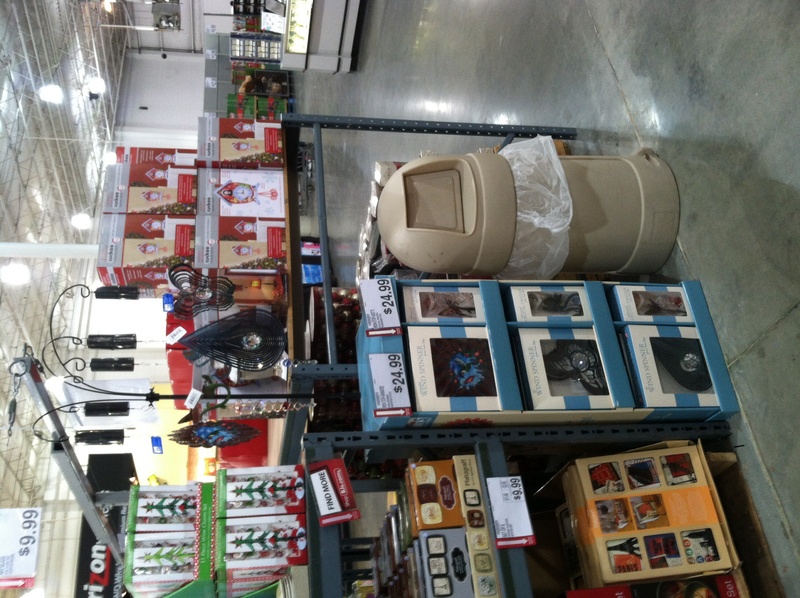 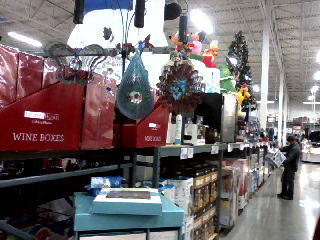 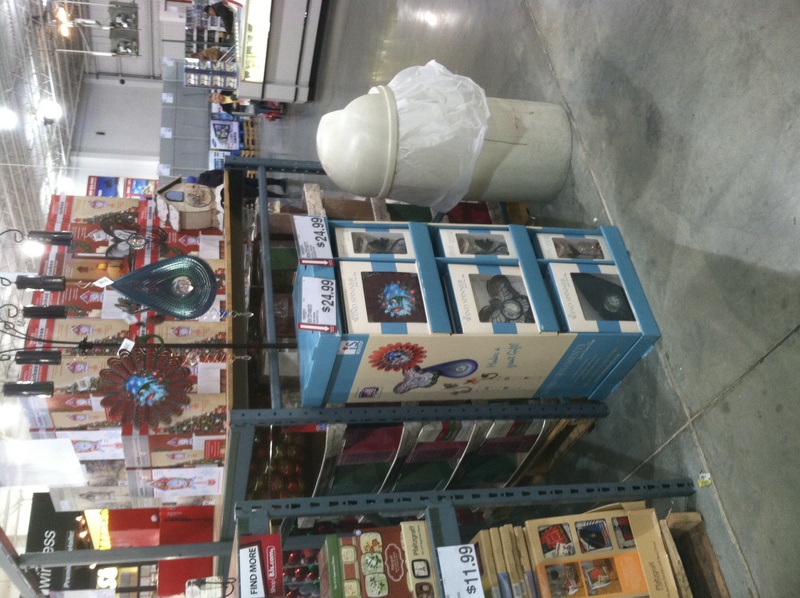 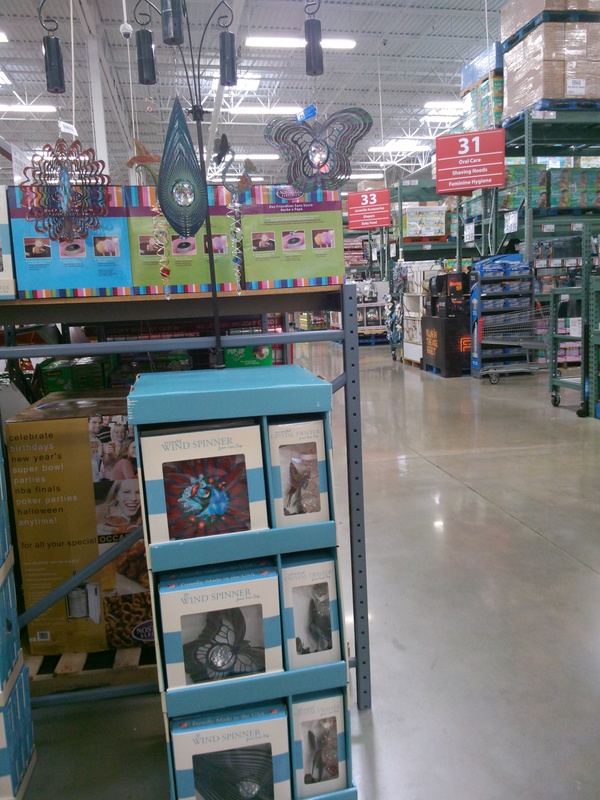 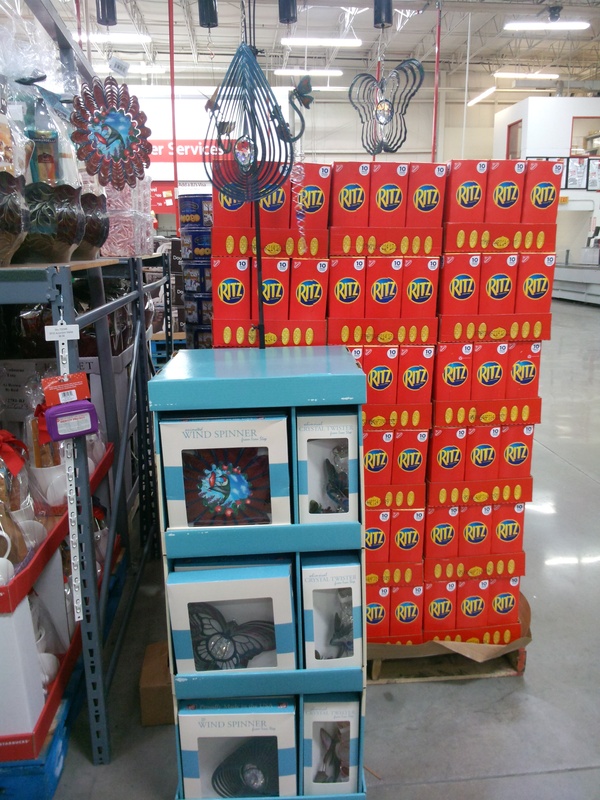 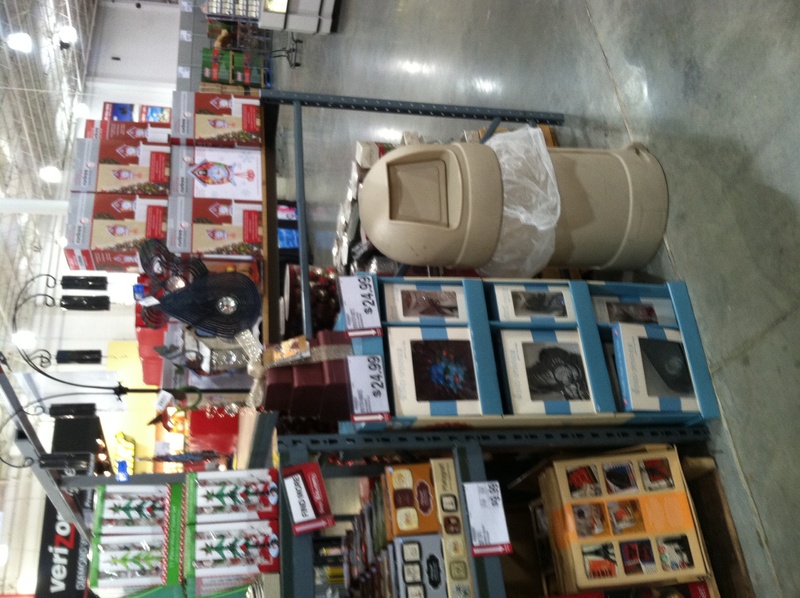 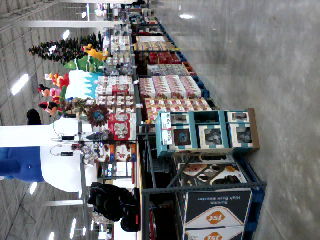 Location of Holiday cardboard display. 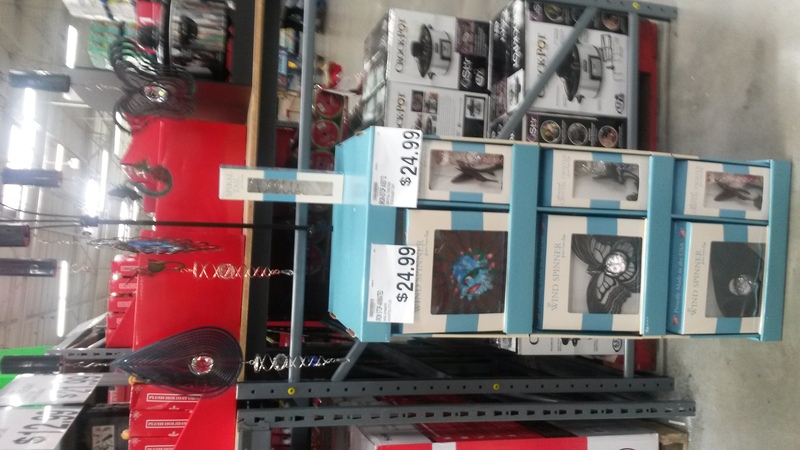 Are all motors spinning on the display? 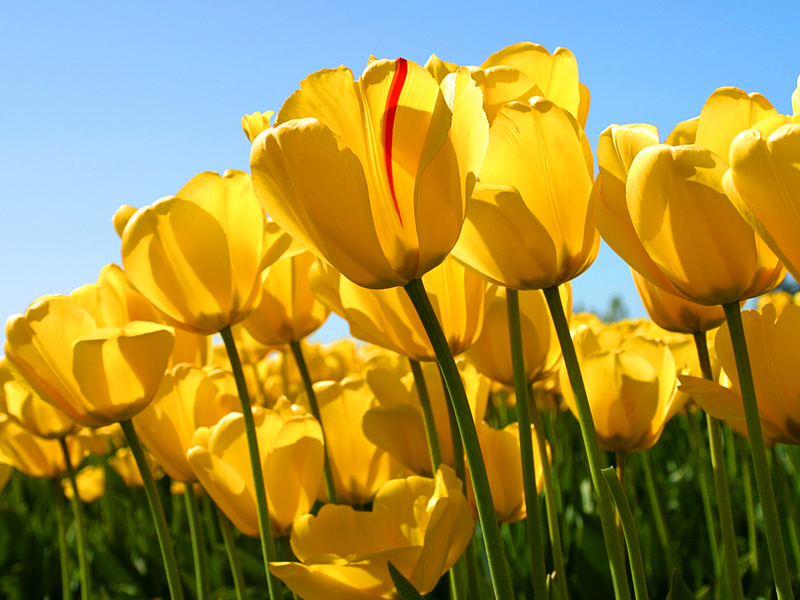 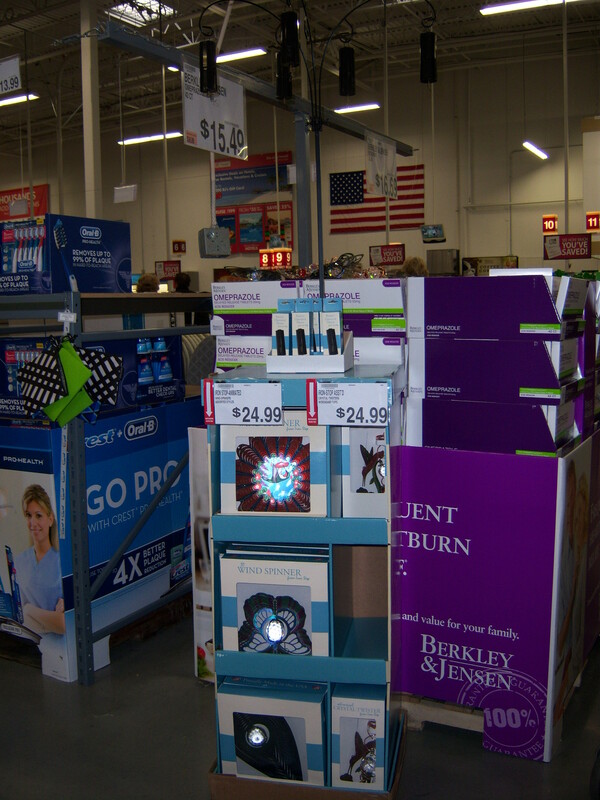 Is the display in an easily visible spot? 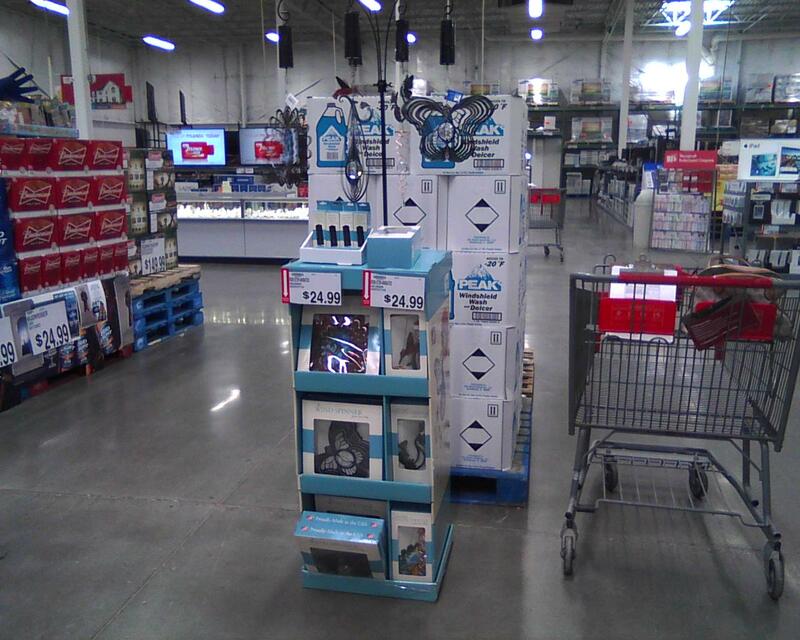 Are all demonstrated products being offered on the display? 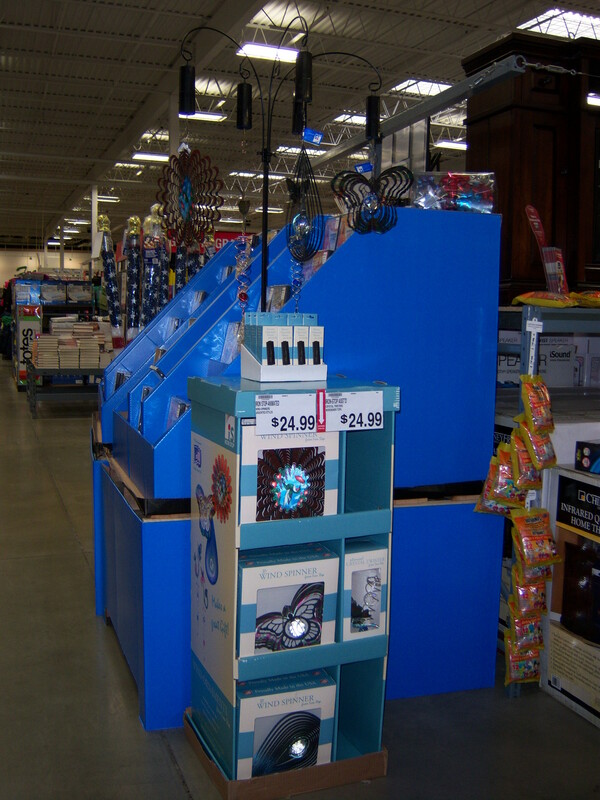 Battery opporated motor's on display and what's left in backstock. 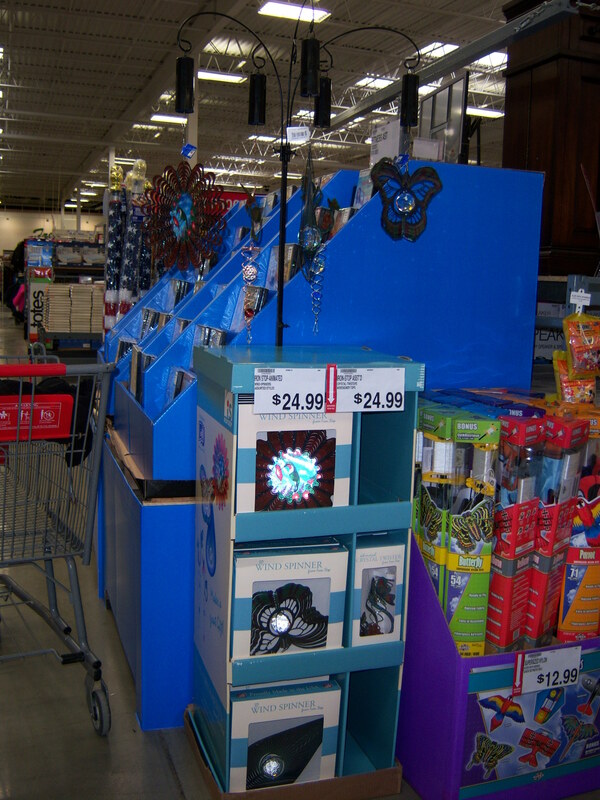 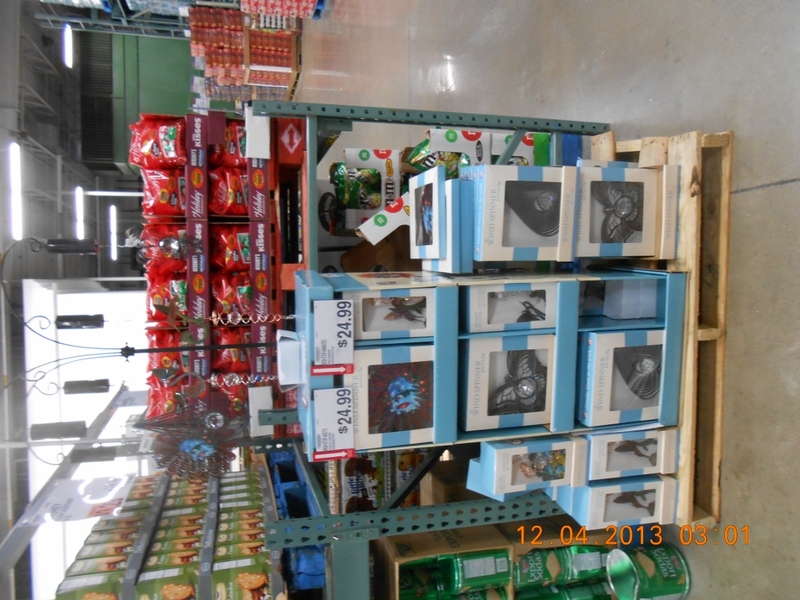 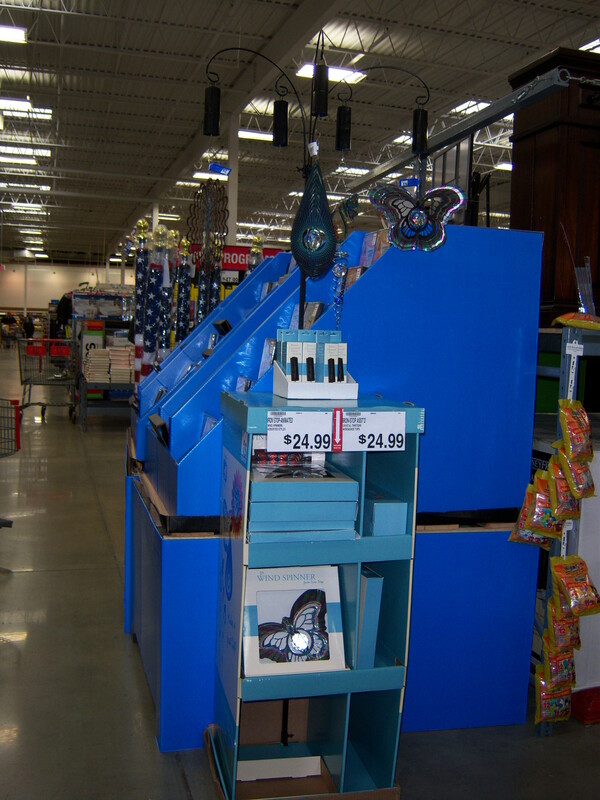 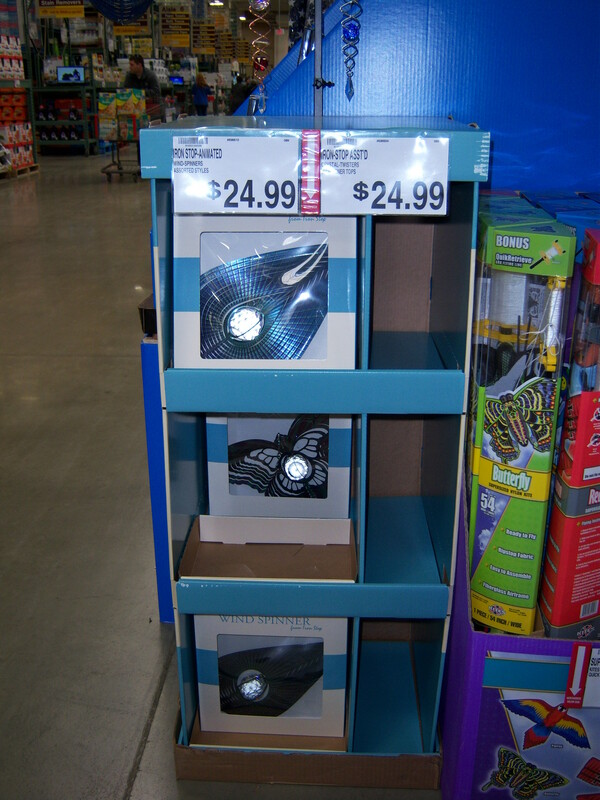 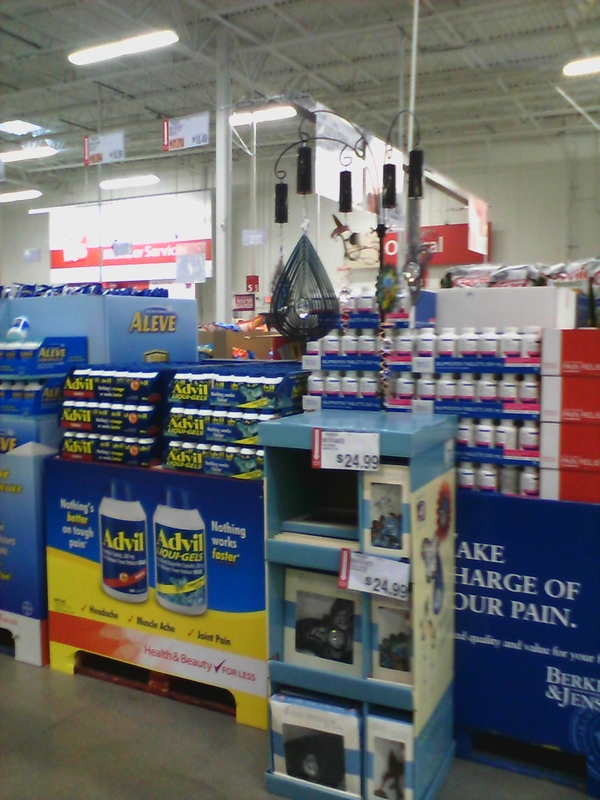 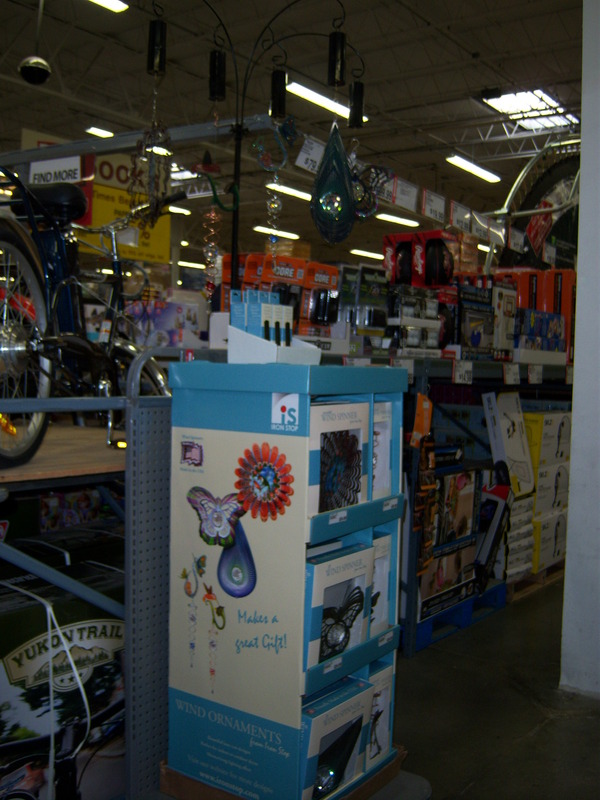 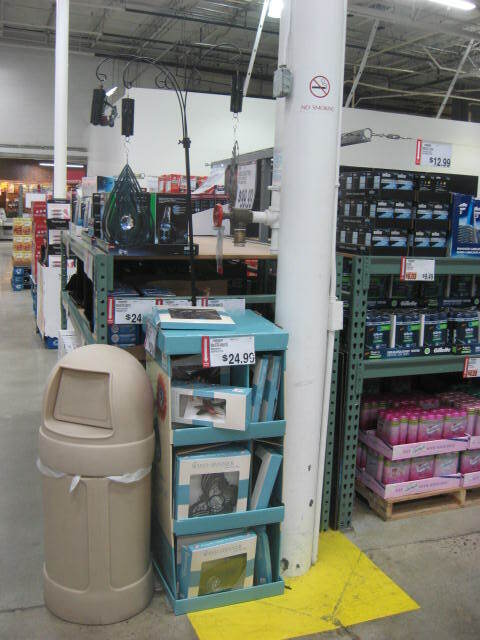 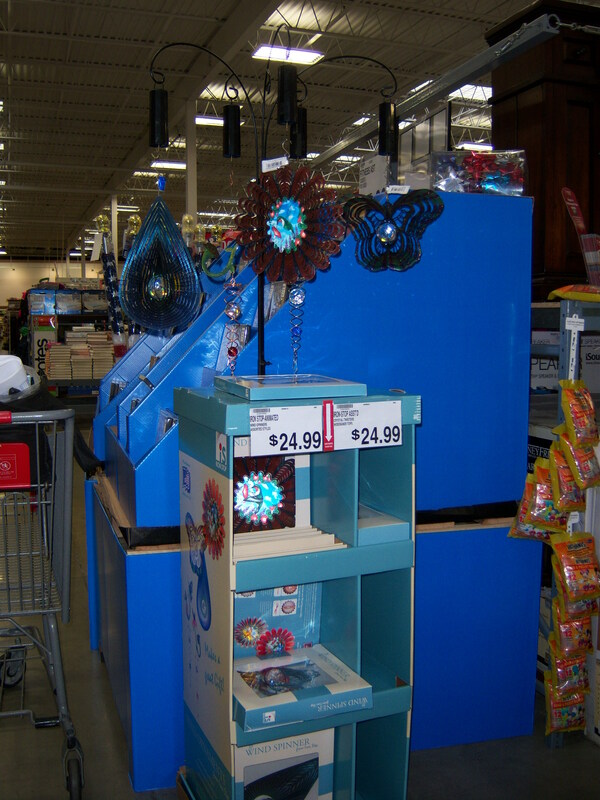 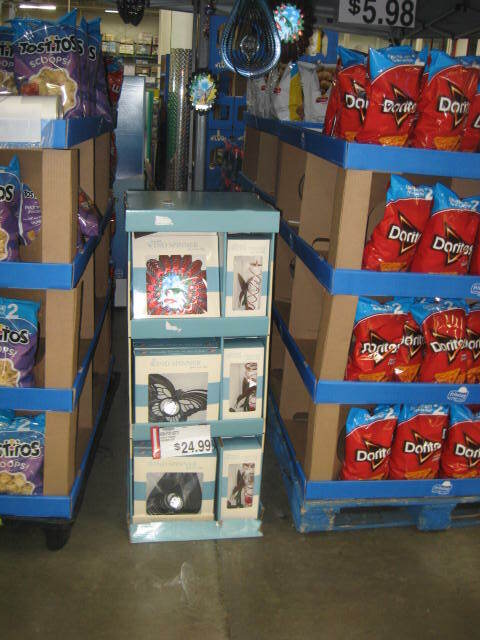 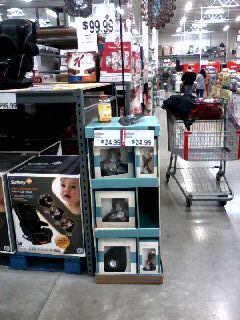 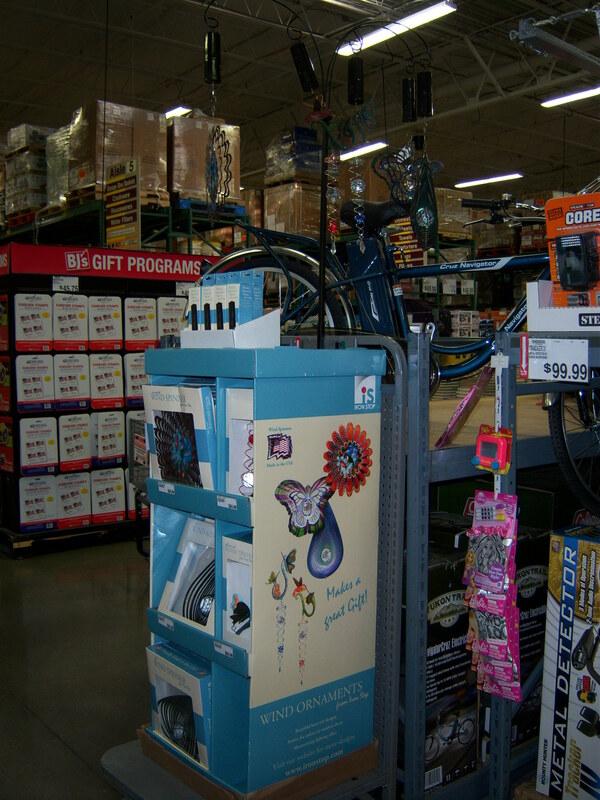 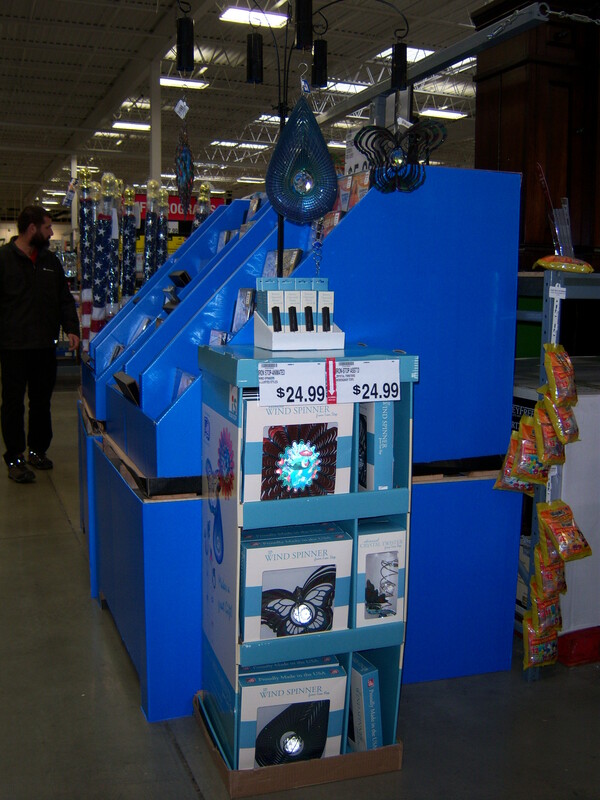 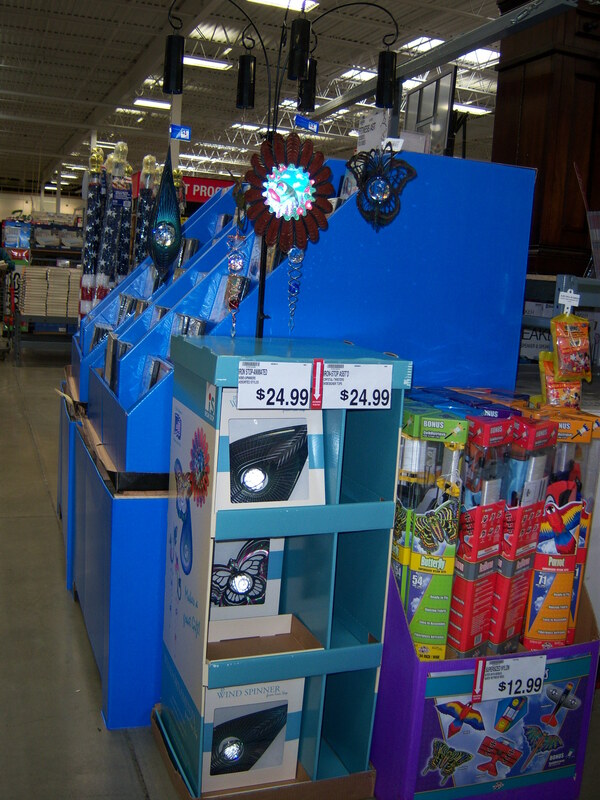 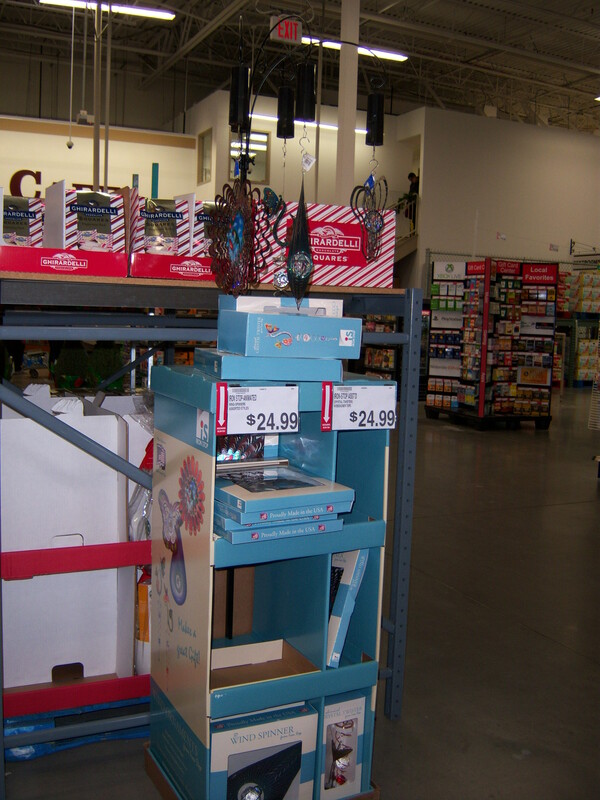 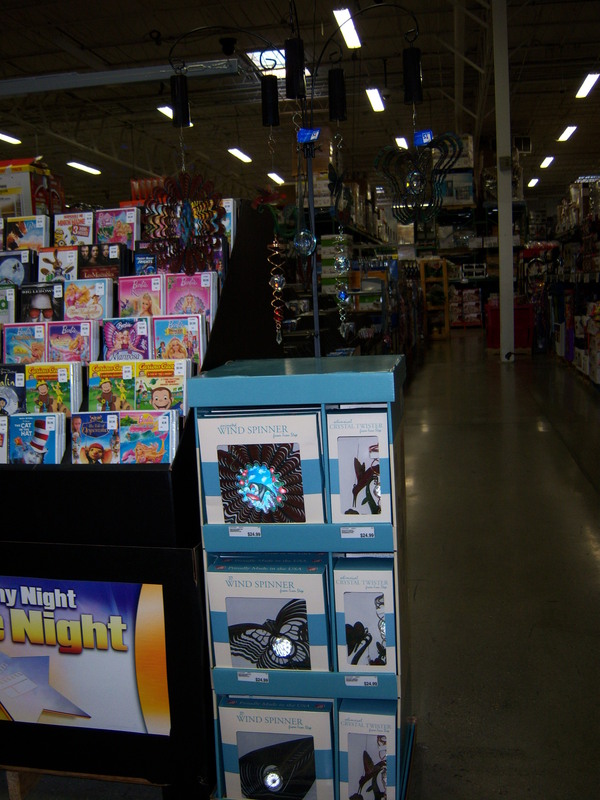 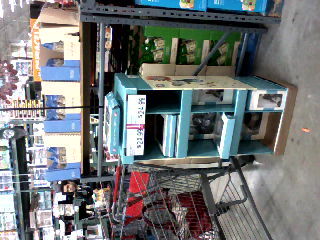 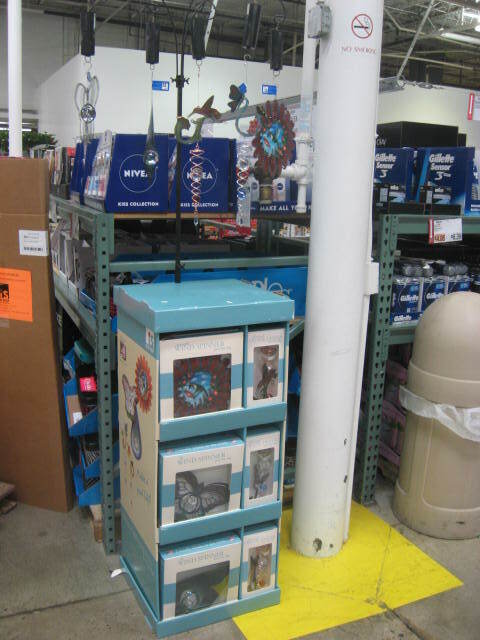 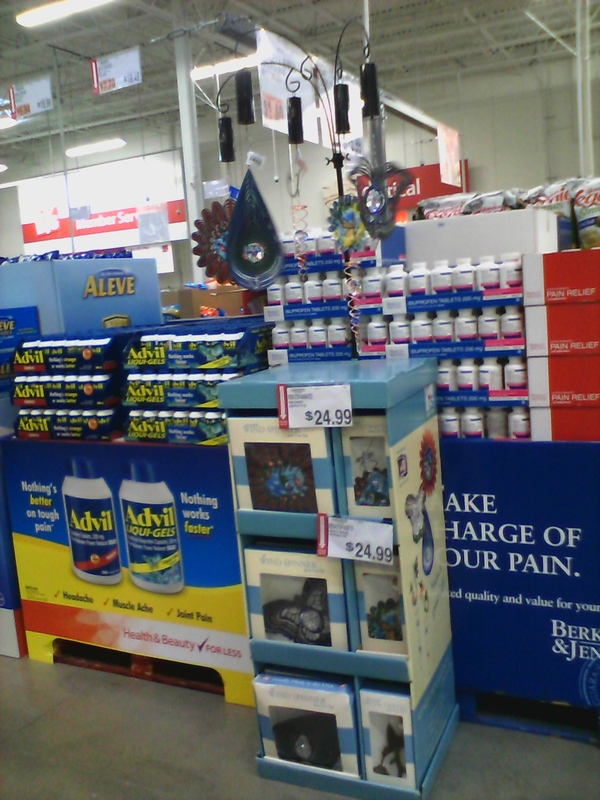 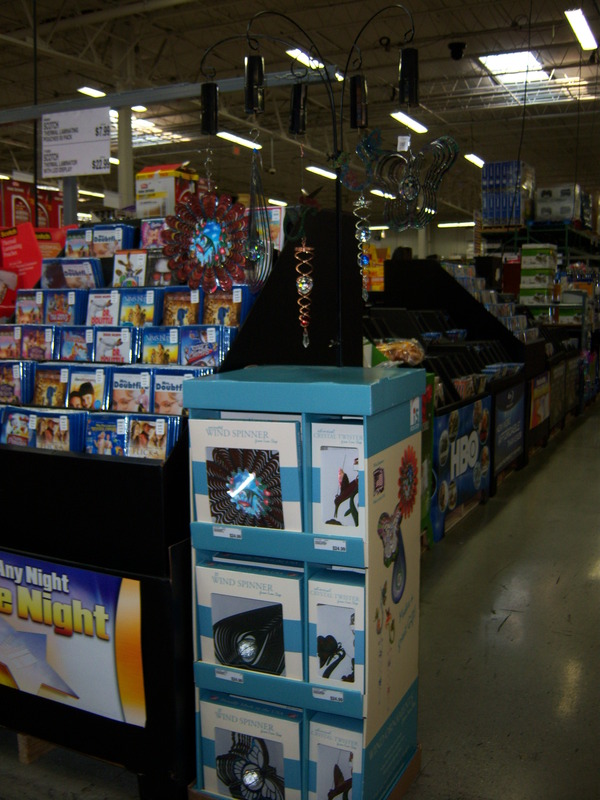 D cell Batteries on display and whats left in backstock. 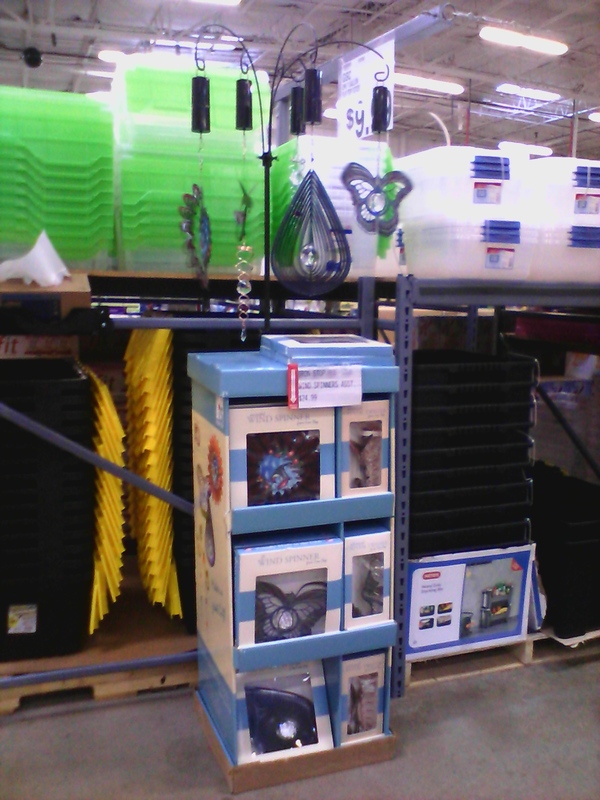 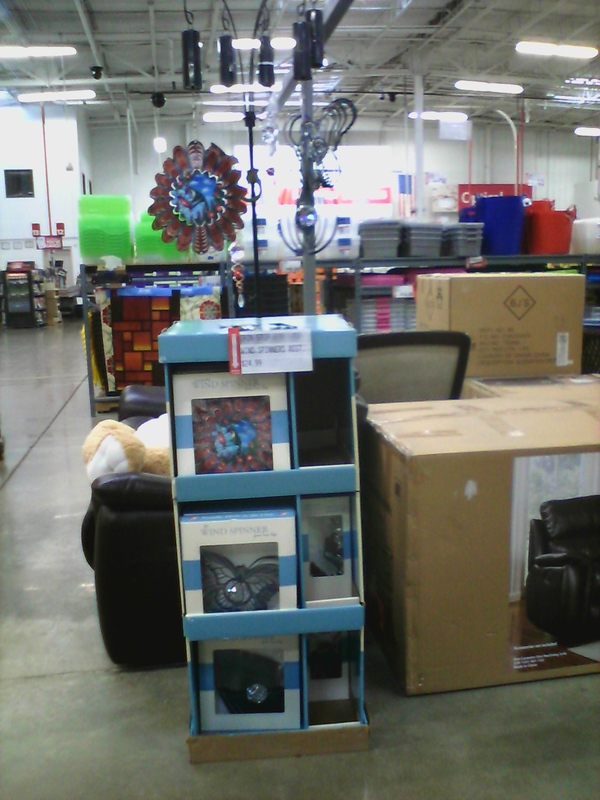 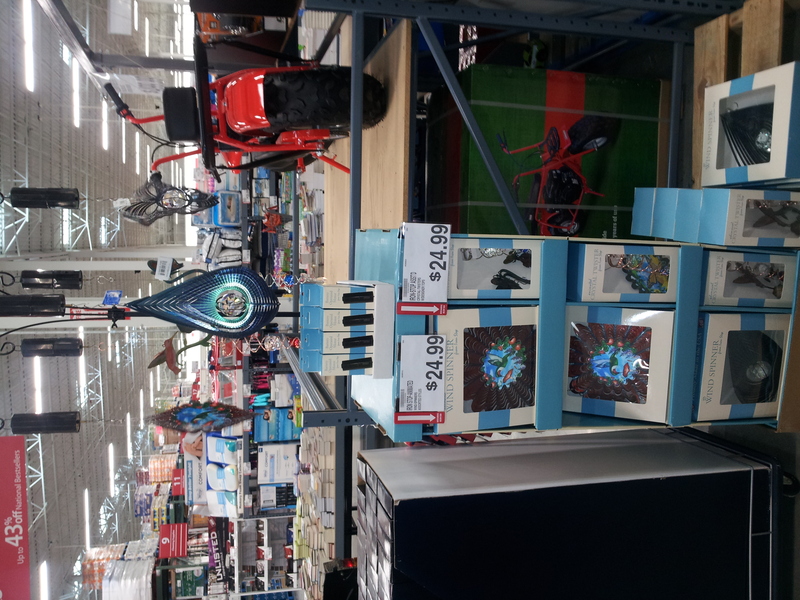 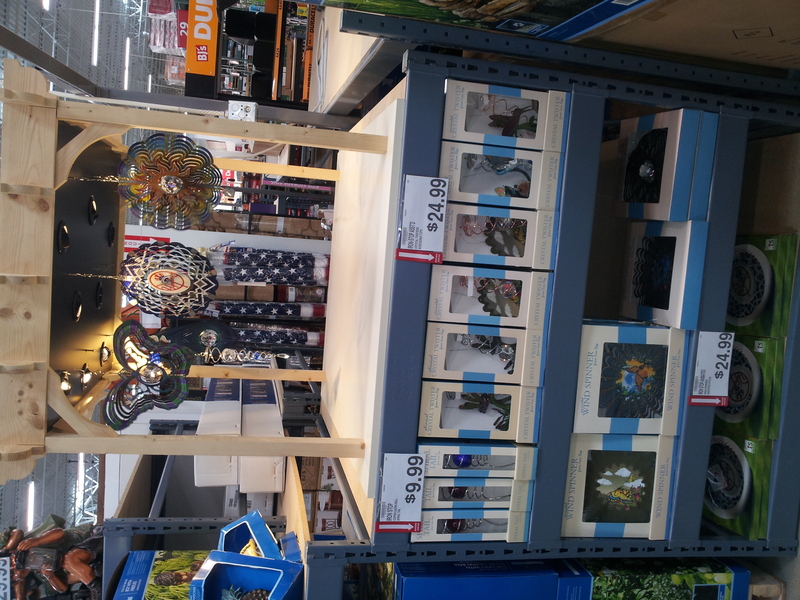 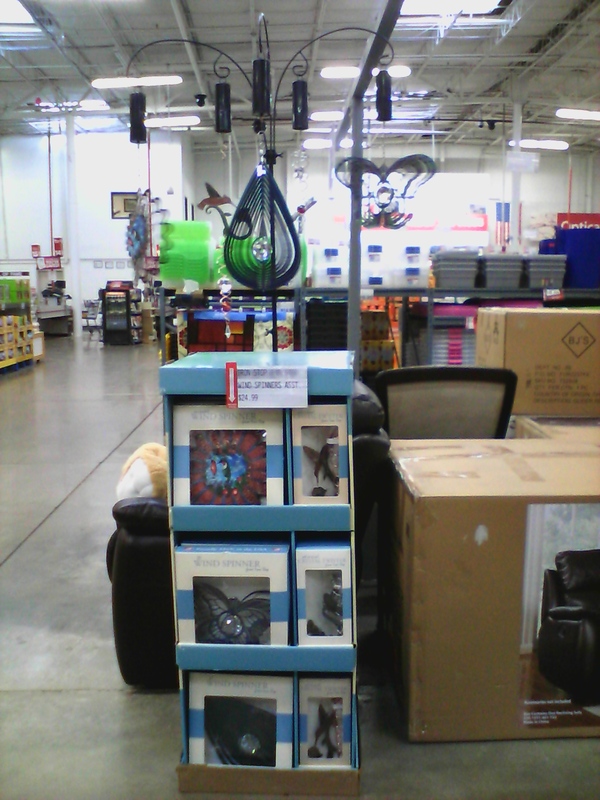 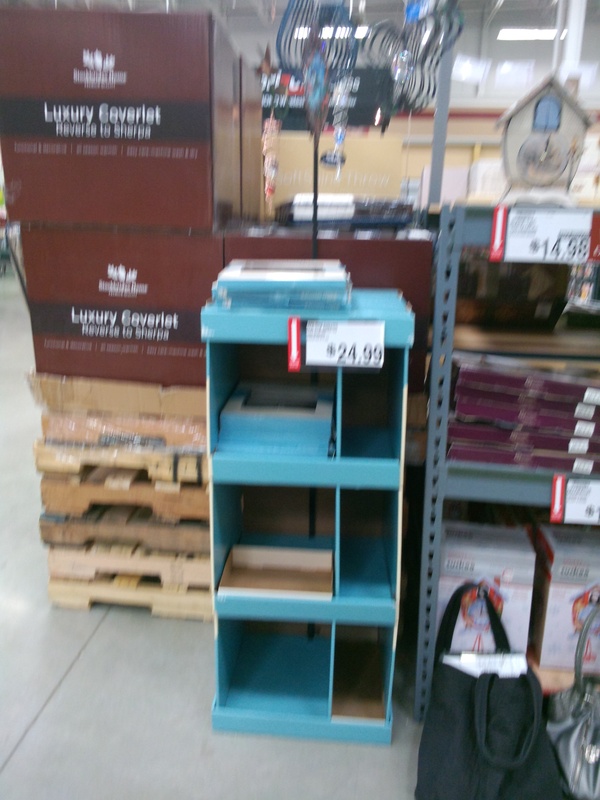 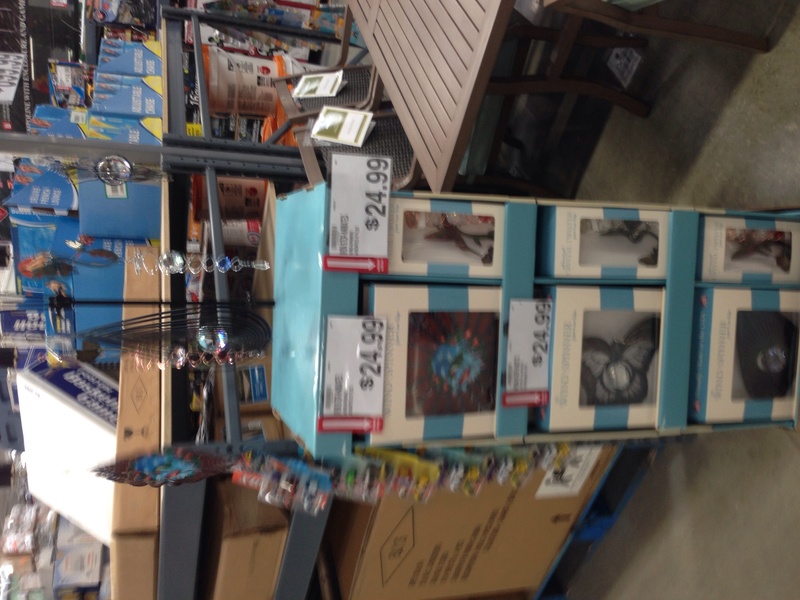 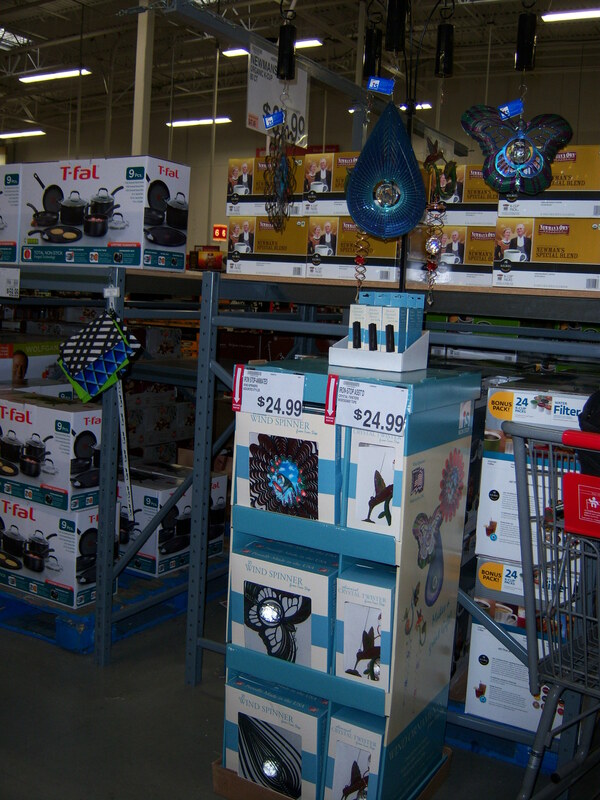 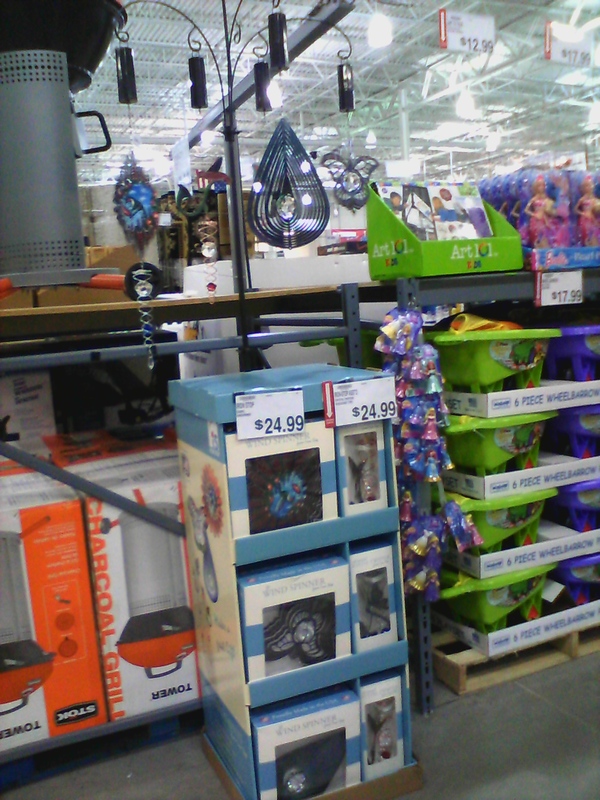 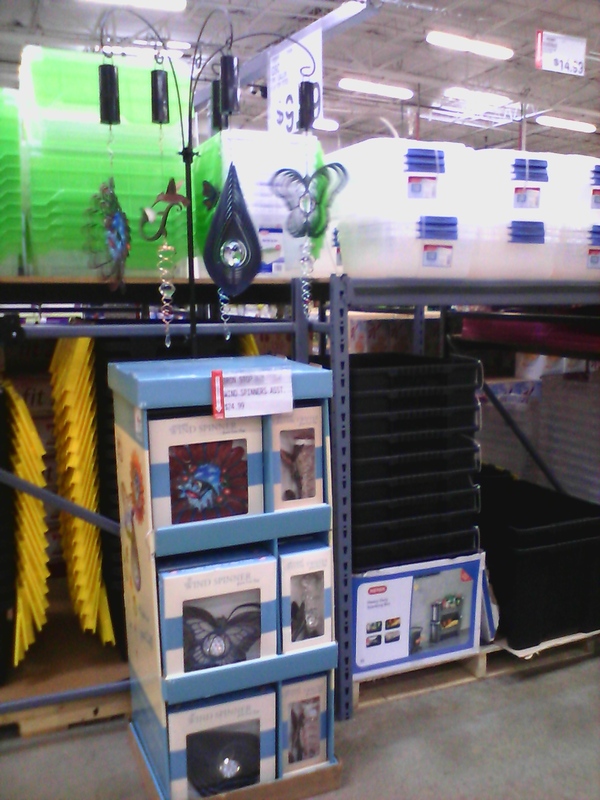 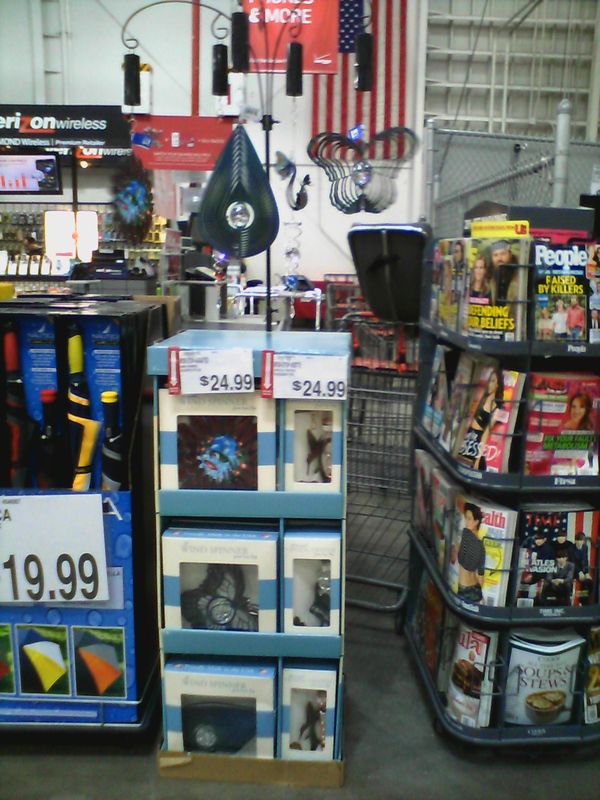 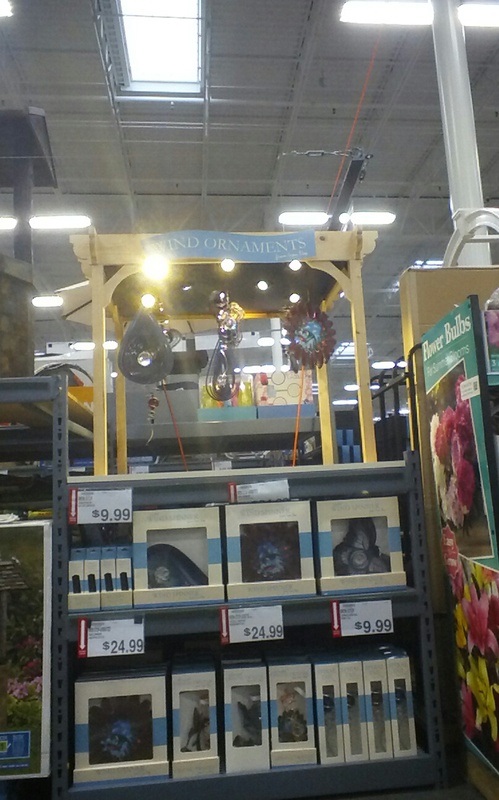 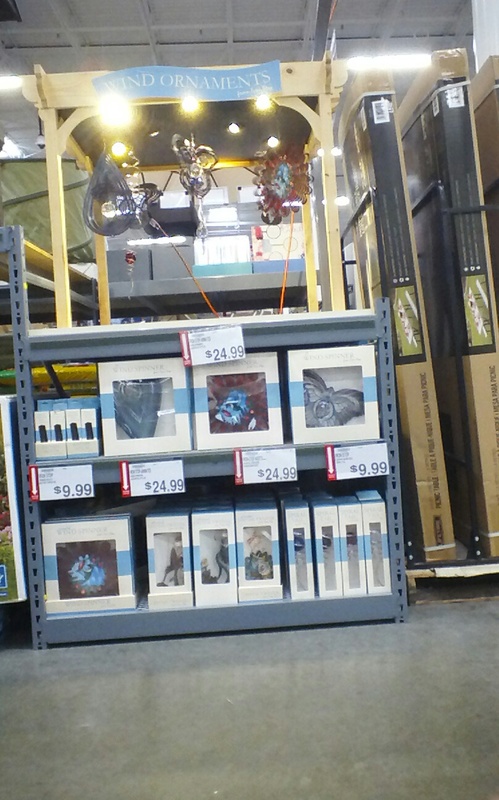 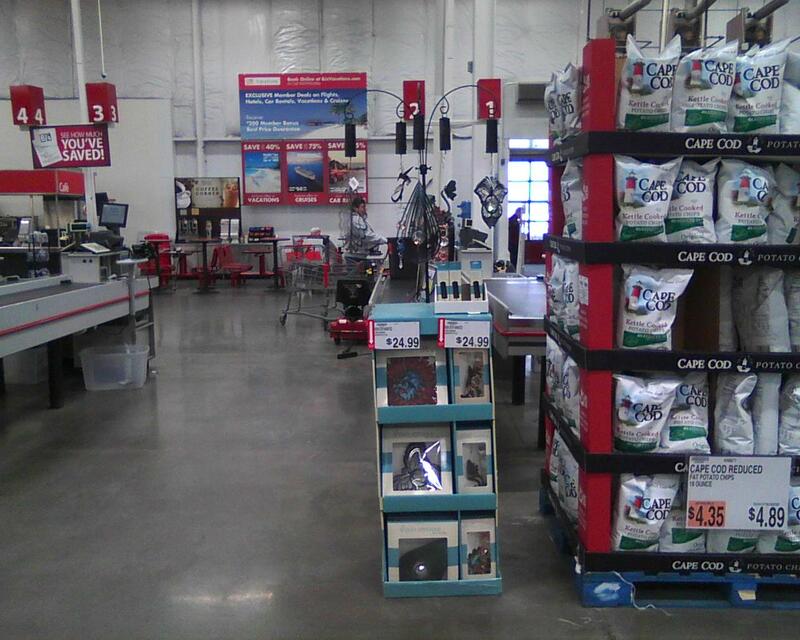 2014-03-26 19:19:03 199 2013/2014 BJsHolidaydisplay400 Clermont FL 03-26-2014 lawn and garden Good Yes Yes Yes New Product arrived need a third shelf on display so it can be put out on display do not know yet if a third shelf can be added. 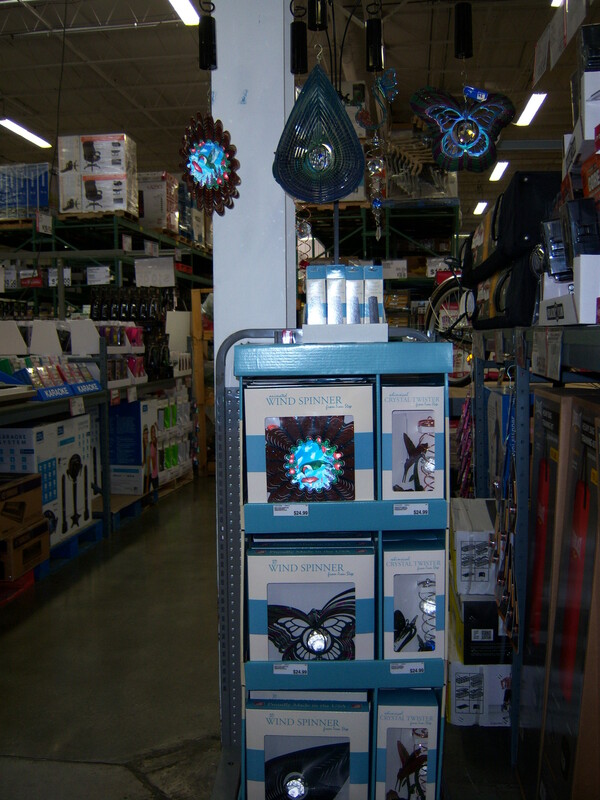 Paul Marcoccia yes yes 1 was broken no no New Shipment of new product was up in steel did not think it was a good idea too take it down since we do not have room on the display when BJ set the display they only put two selves but to display new product will you call the store too see if a third shelf can be added for the new product, since I did not get the new product down did not count it in the inventory I hope you have a total number you can send me for the inventory count, the inventory count that I am giving you is only what is on the display now and overstock of old product, also if you want me too remove some of the old product and place new just send me email showing which product too place on the two shelves and if we can get a third shelf added that would be good . 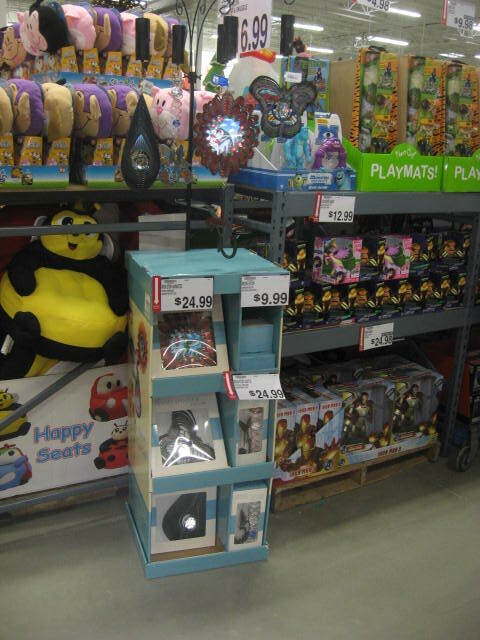 2014-02-21 16:39:29 76 2013/2014 BJsHolidaydisplay394 Yorktown Heights NY 02-21-2014 main aisle at checkout counters 1 and 2 Poor Yes Yes Yes Management has not located stored display. 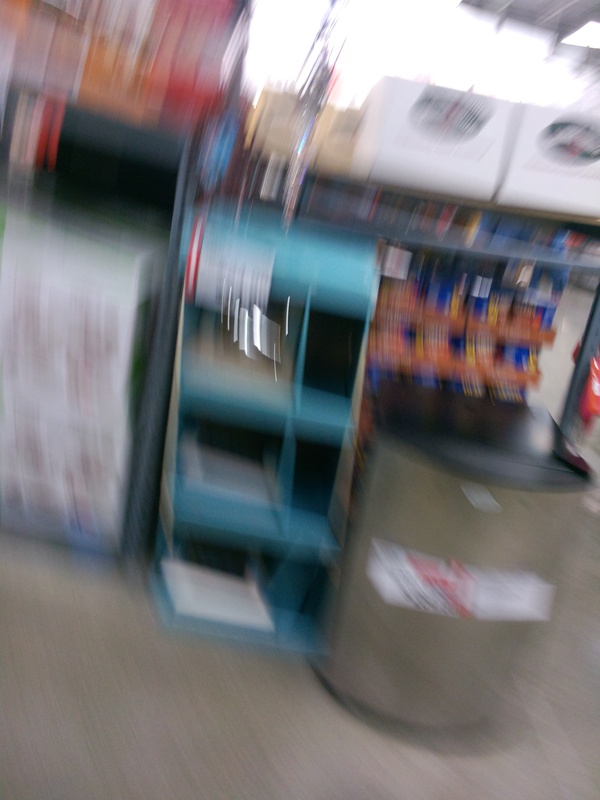 Store worked with me for 1 and 1/2 hours. 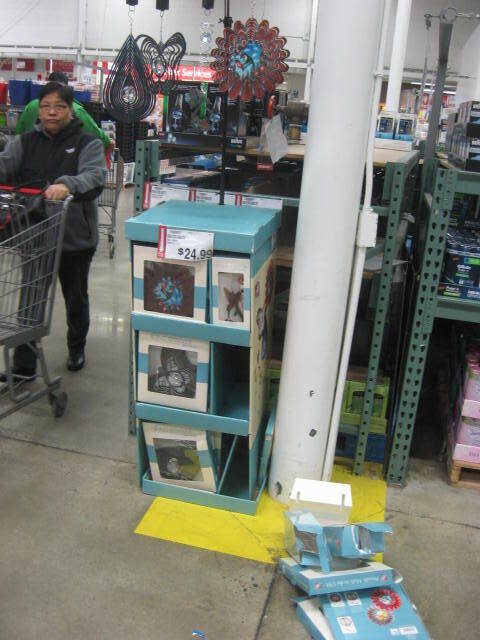 Management suggested making copies of my downloaded photos and a letter explaining the missing display for the night crew. 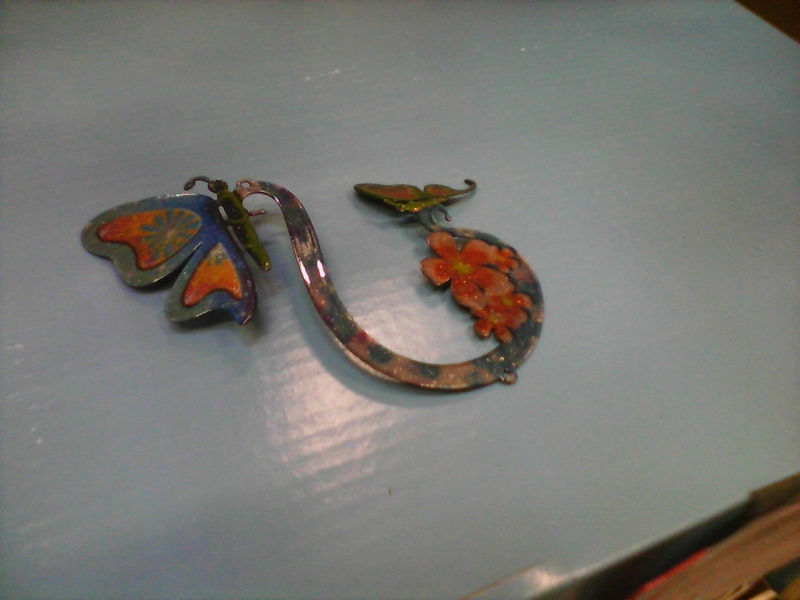 This was completed. 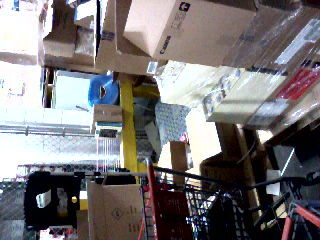 I was told to call tomorrow. 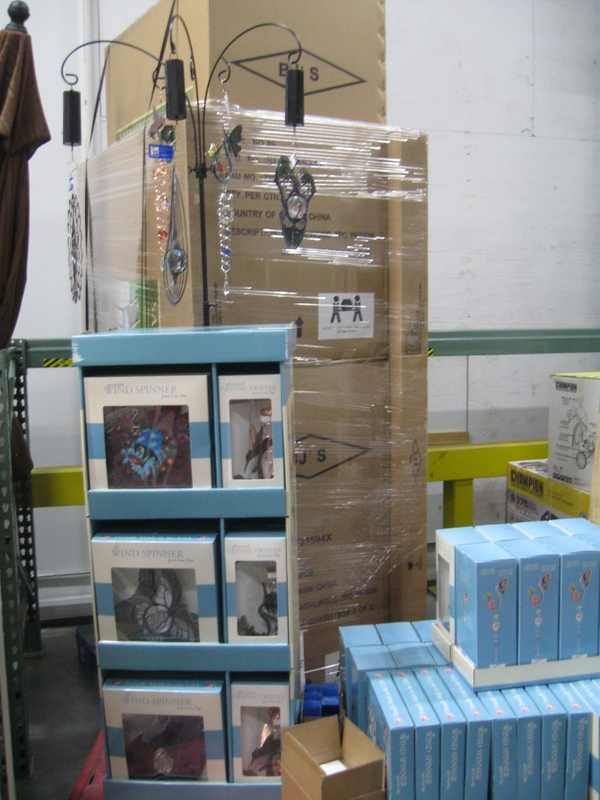 Fabbio Liriano, Store Manager and Daniel Lopes in Receiving. 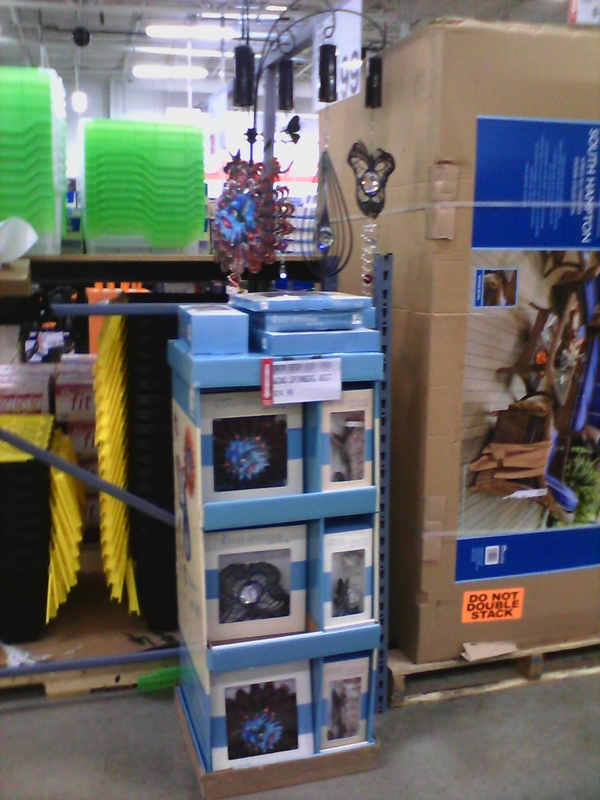 no back stock no yes no Despite my appointment for my visit today no one had tried to locate the stored display. 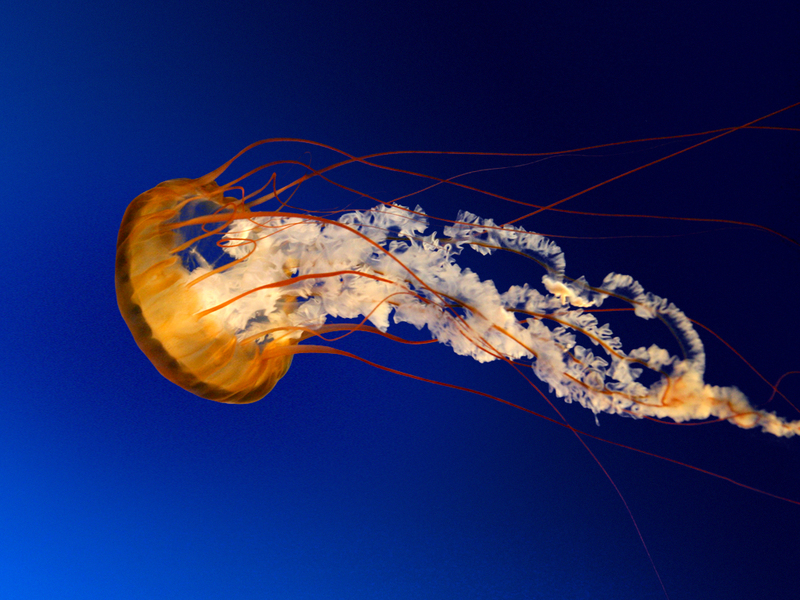 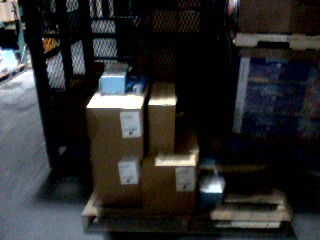 I called two days before my visit to make certain it would be located and ready for me to set up at my visit today. 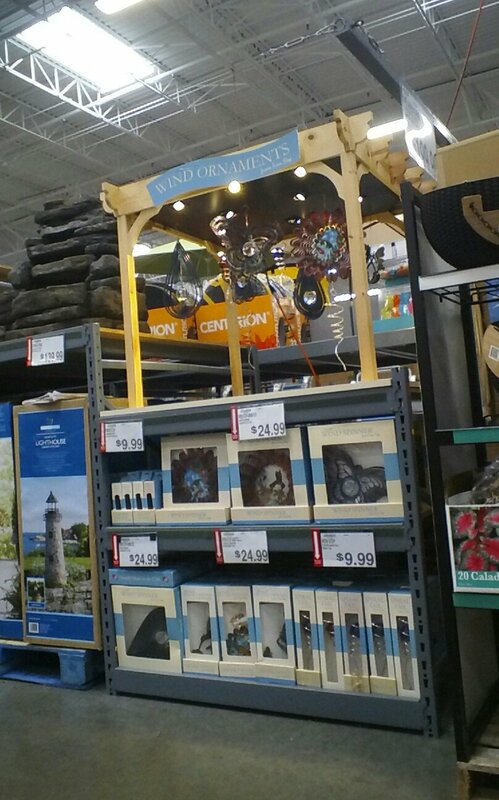 I was in the store for 90 minutes trying to locate the display. 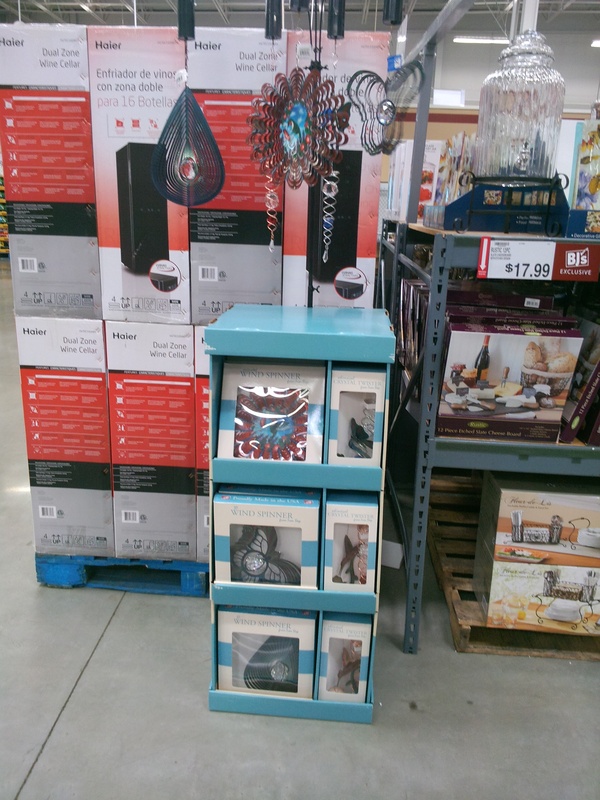 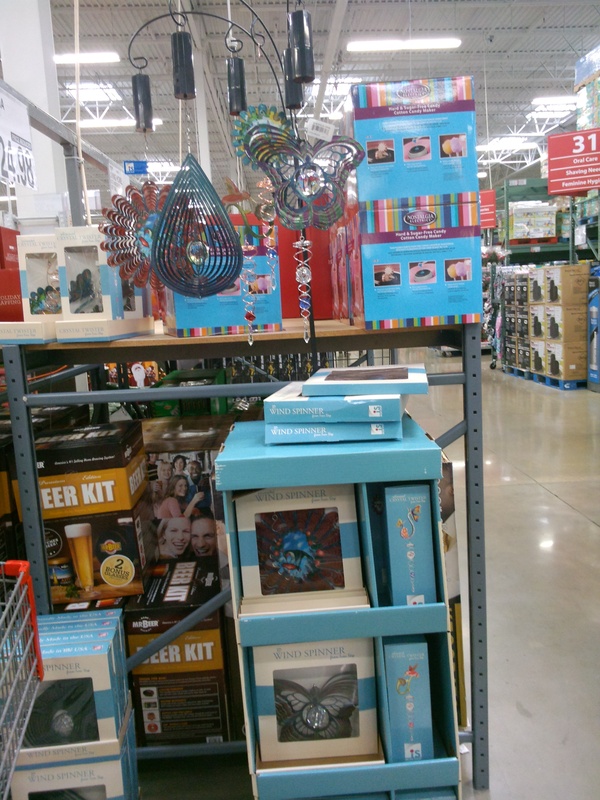 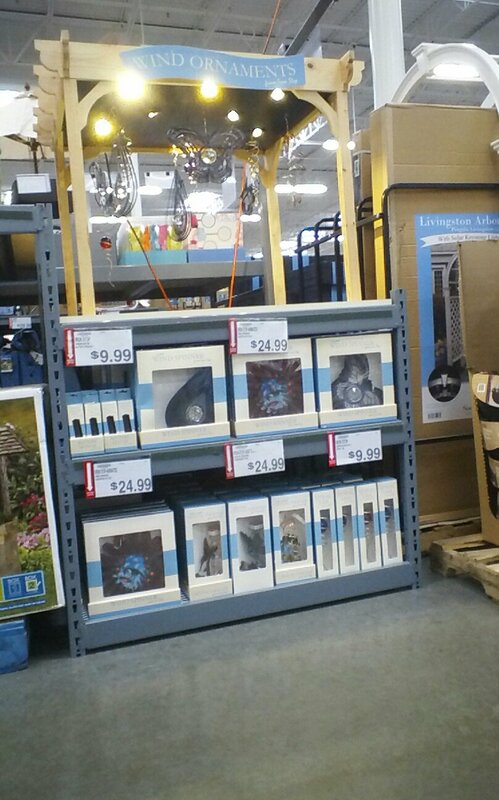 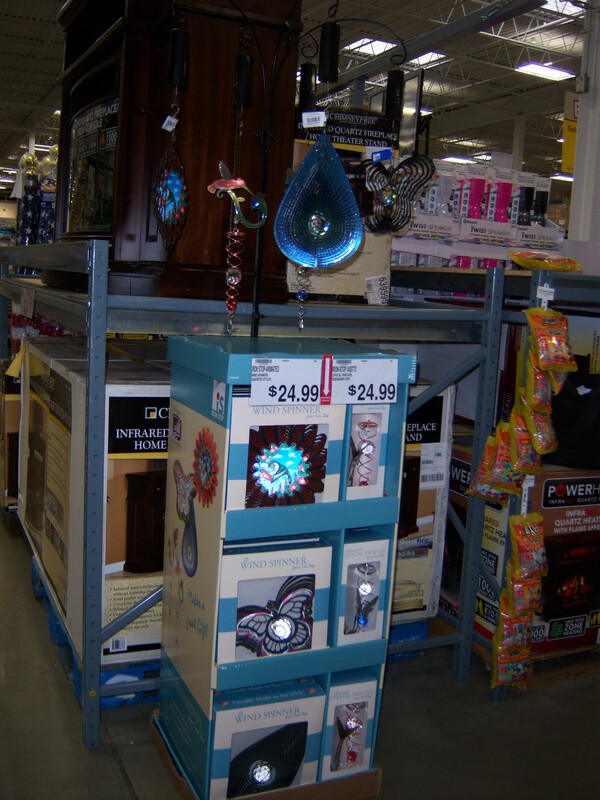 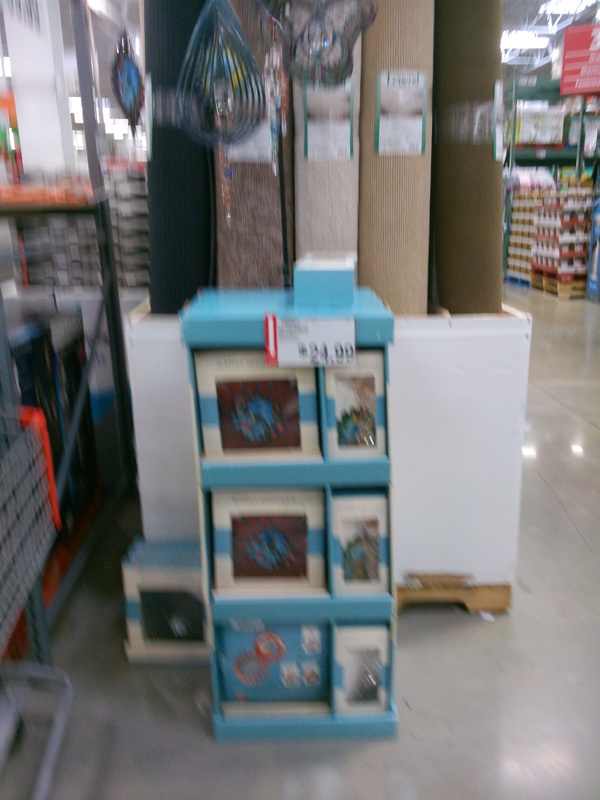 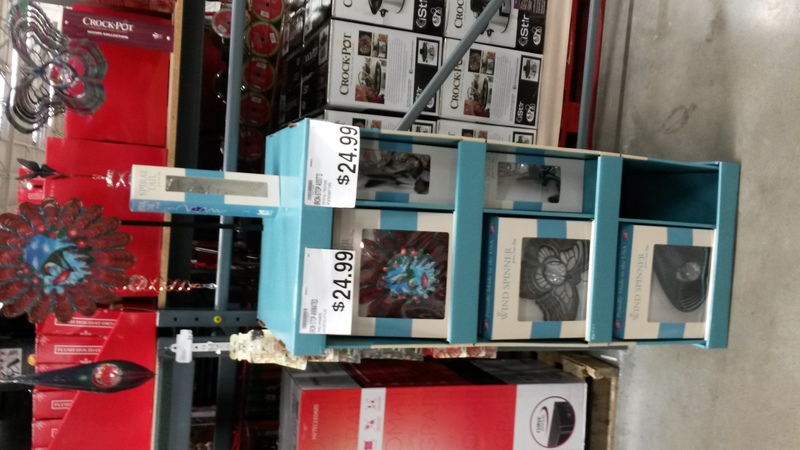 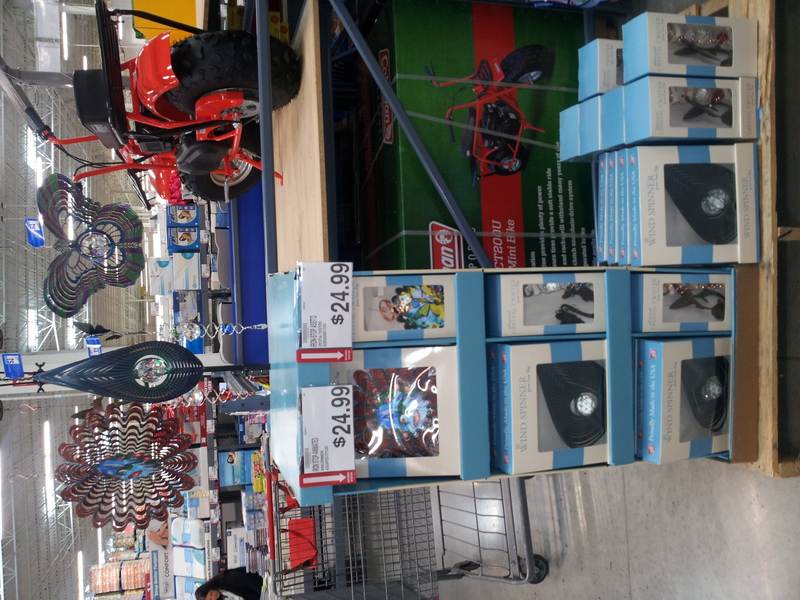 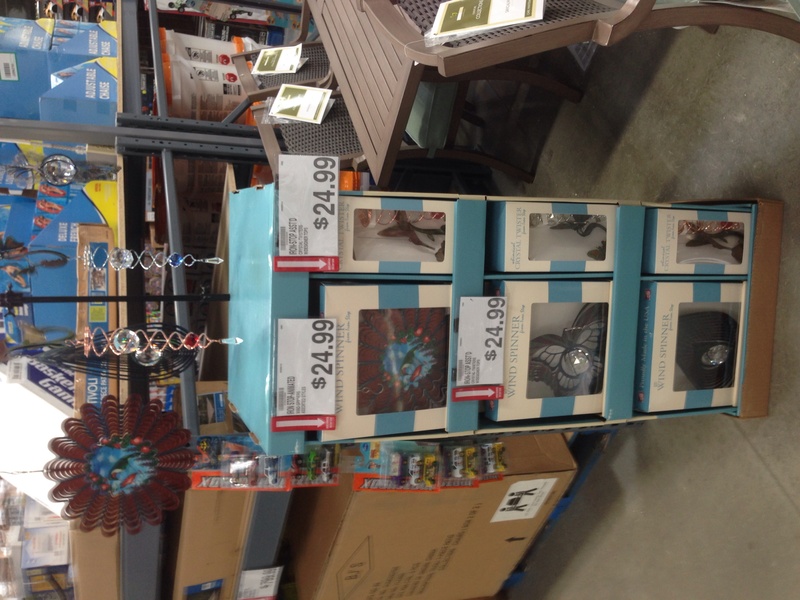 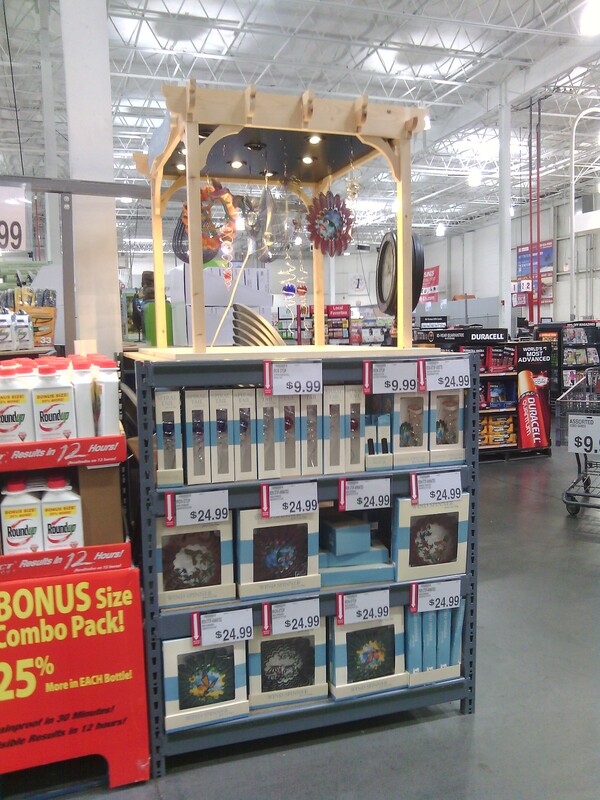 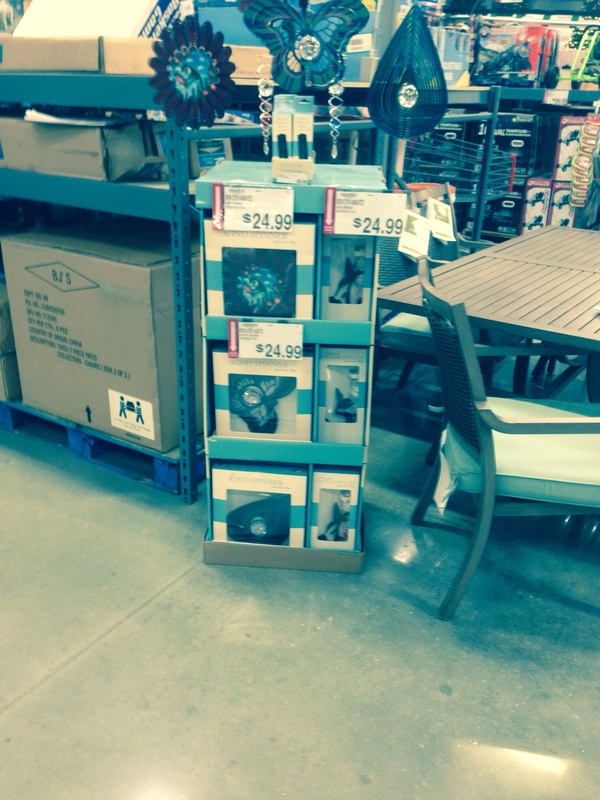 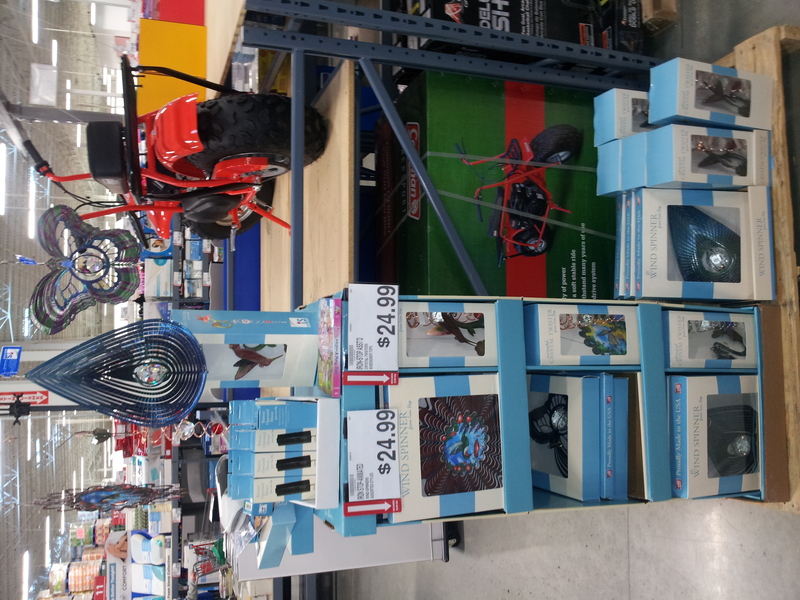 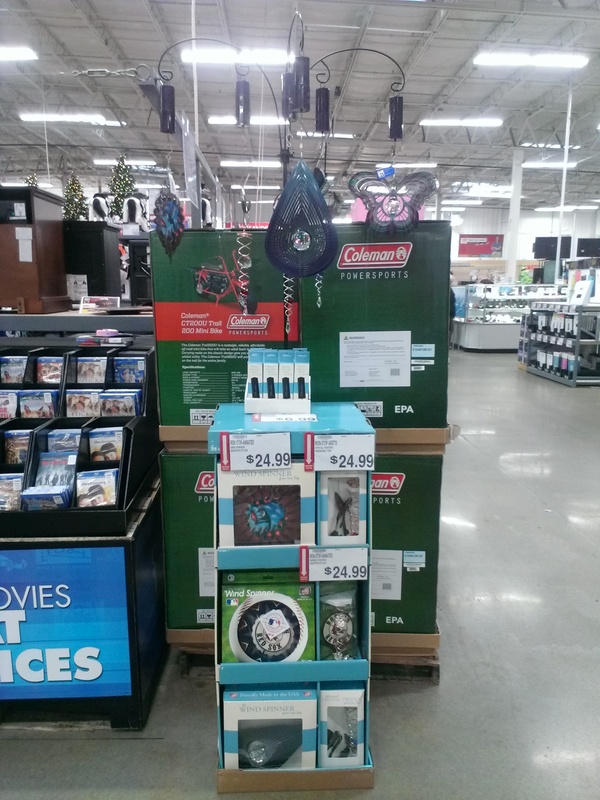 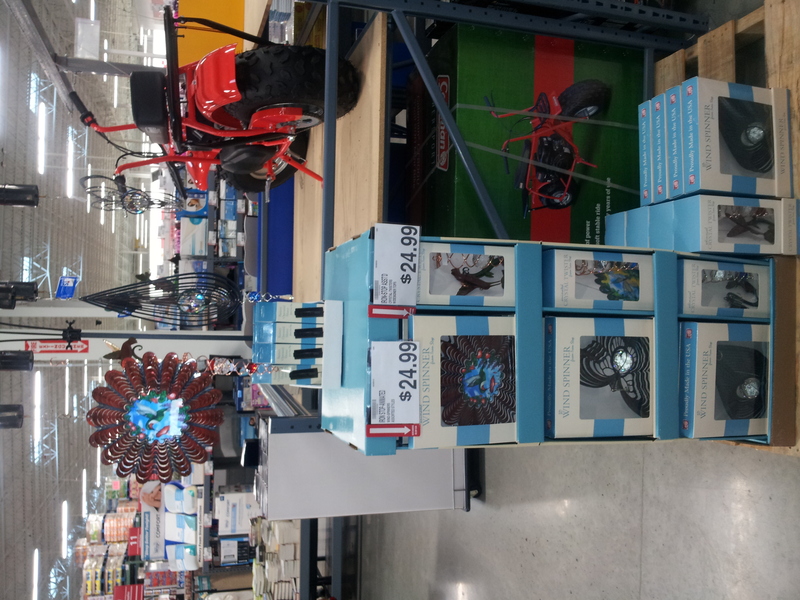 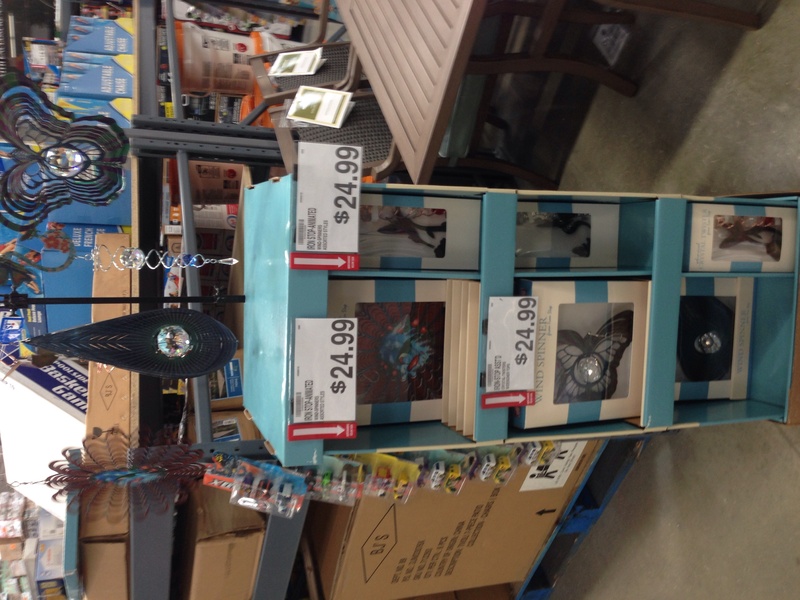 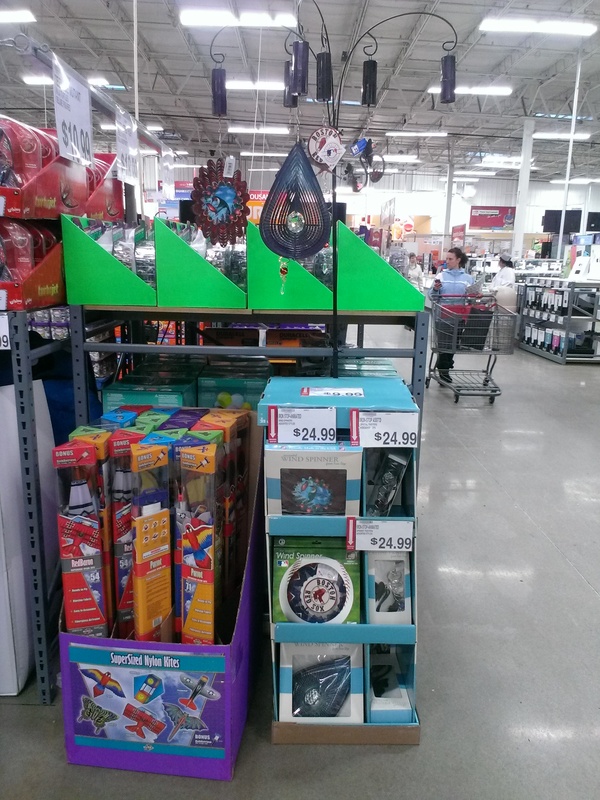 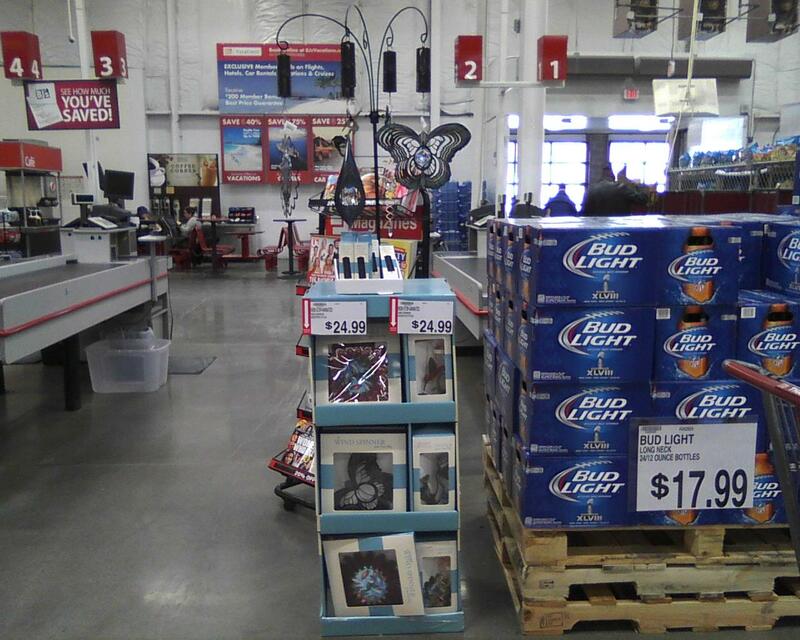 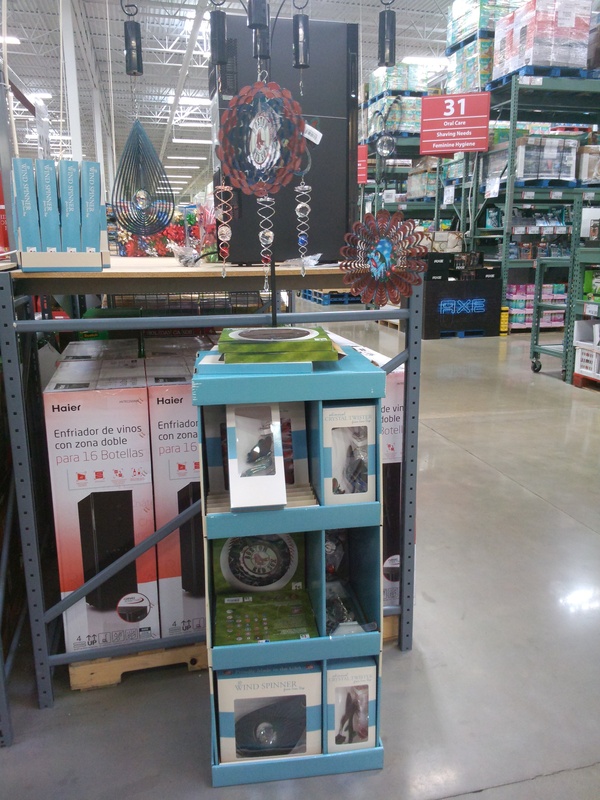 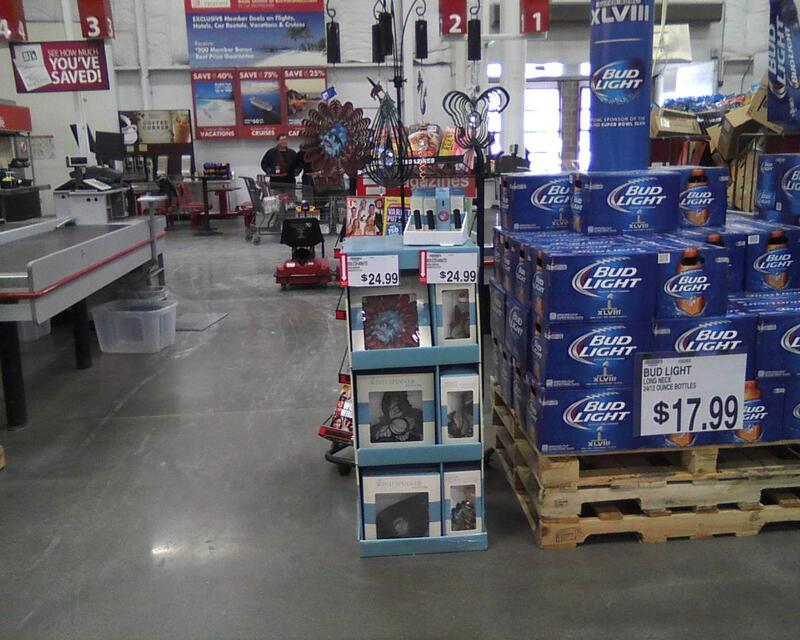 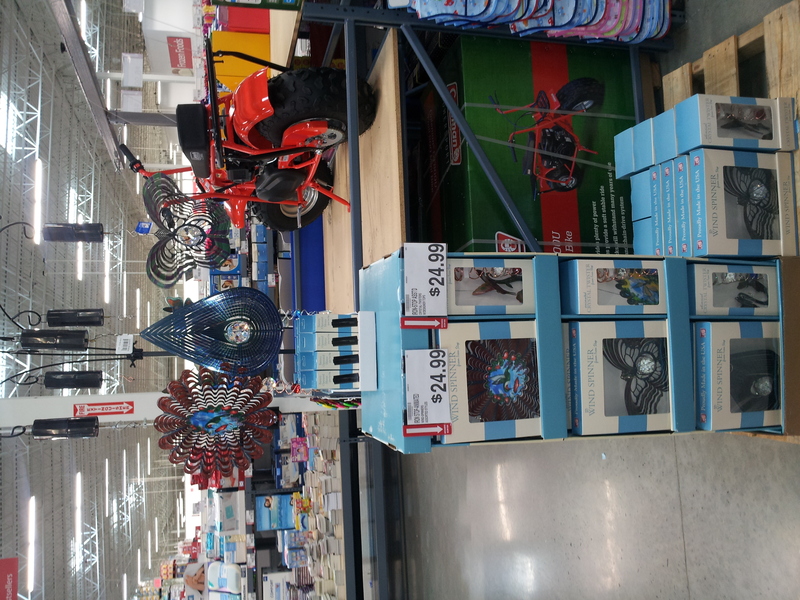 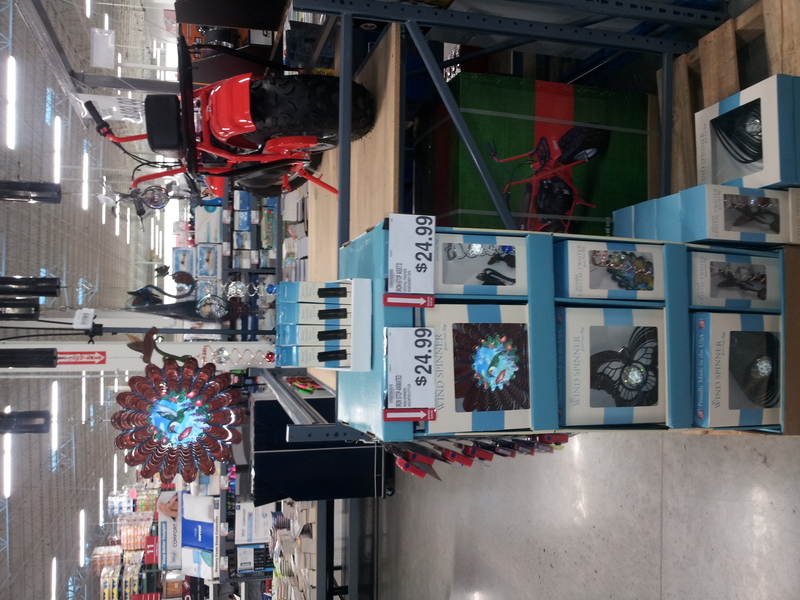 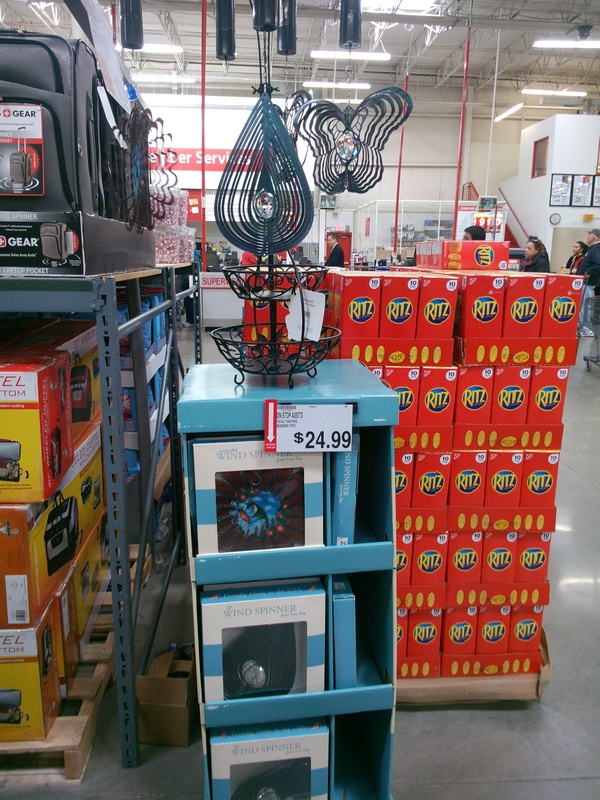 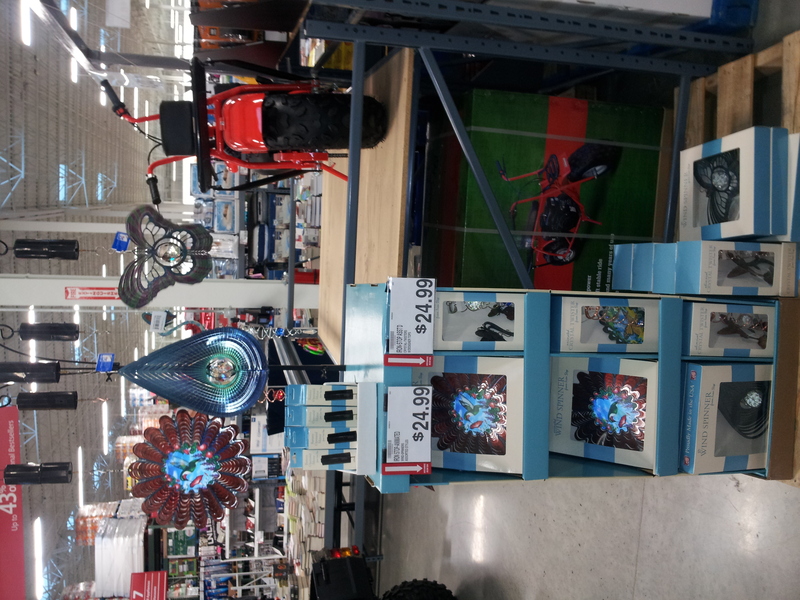 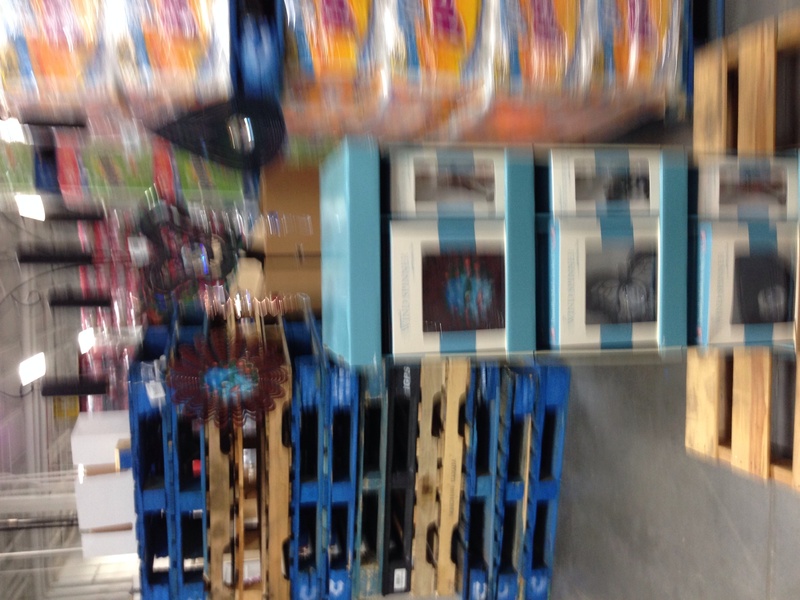 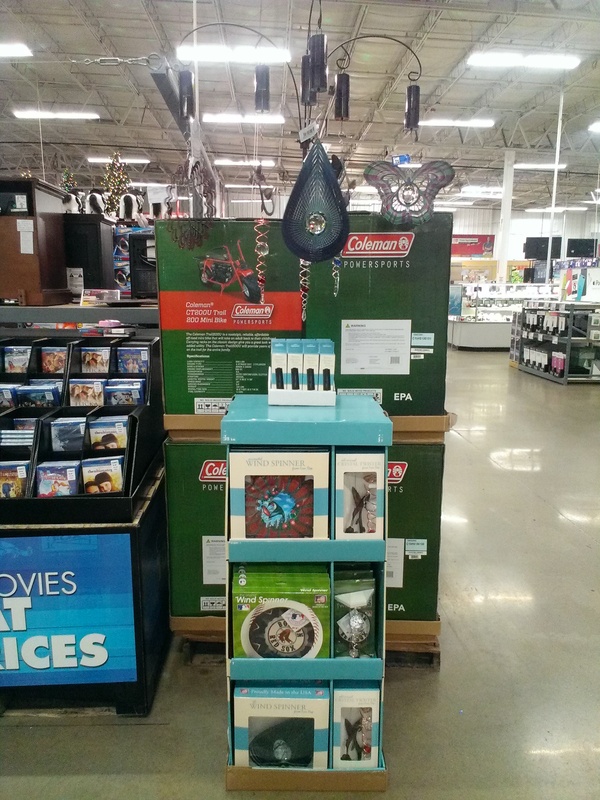 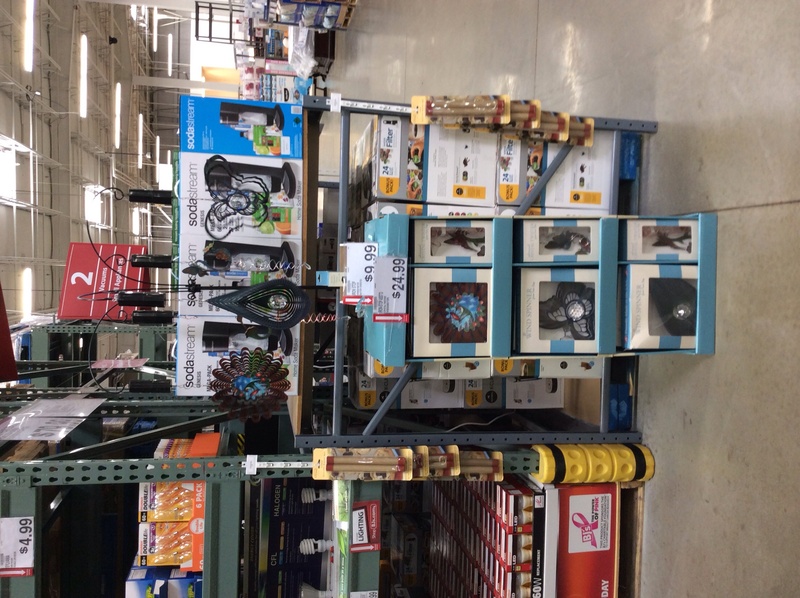 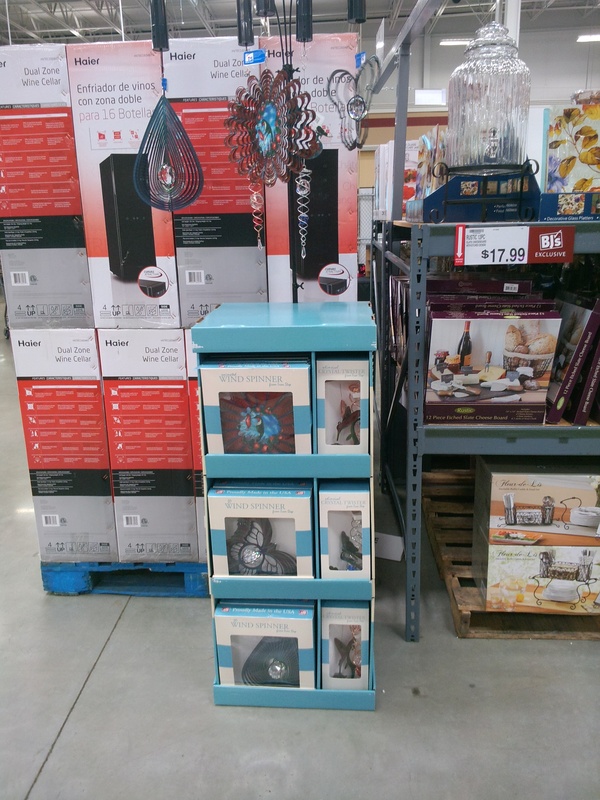 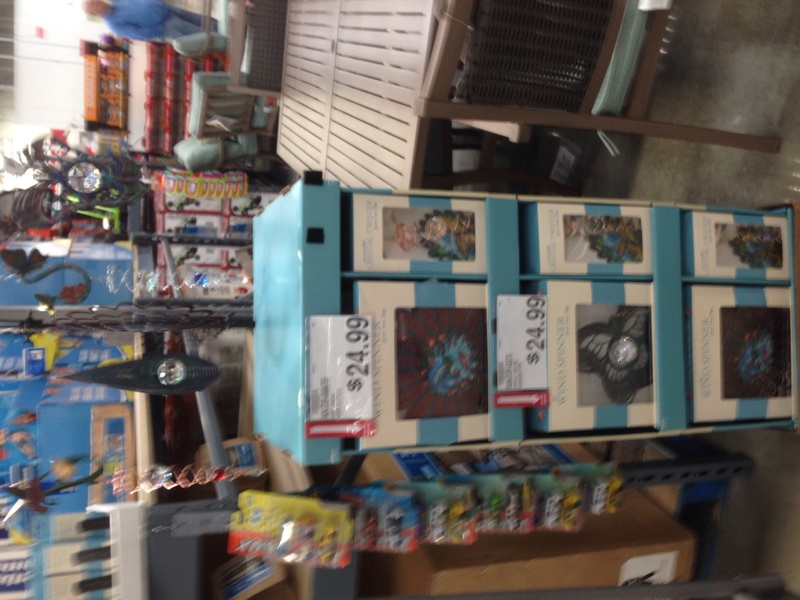 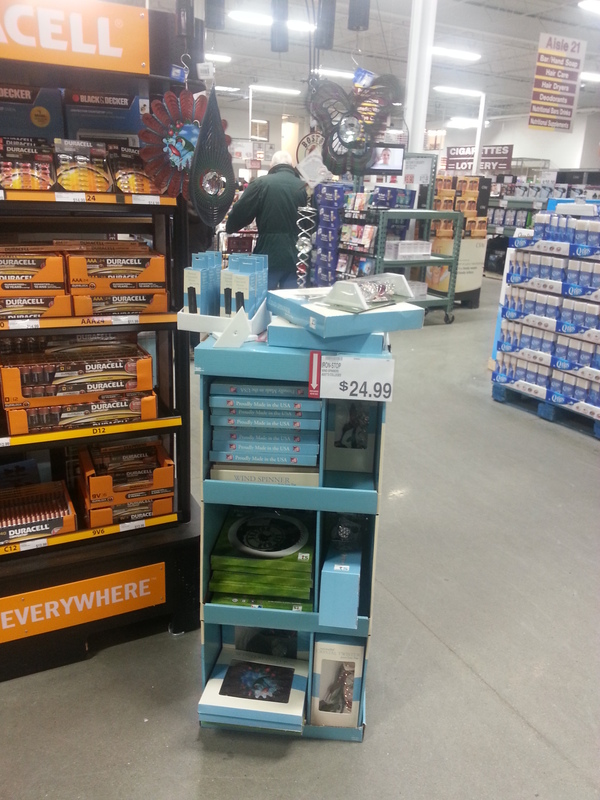 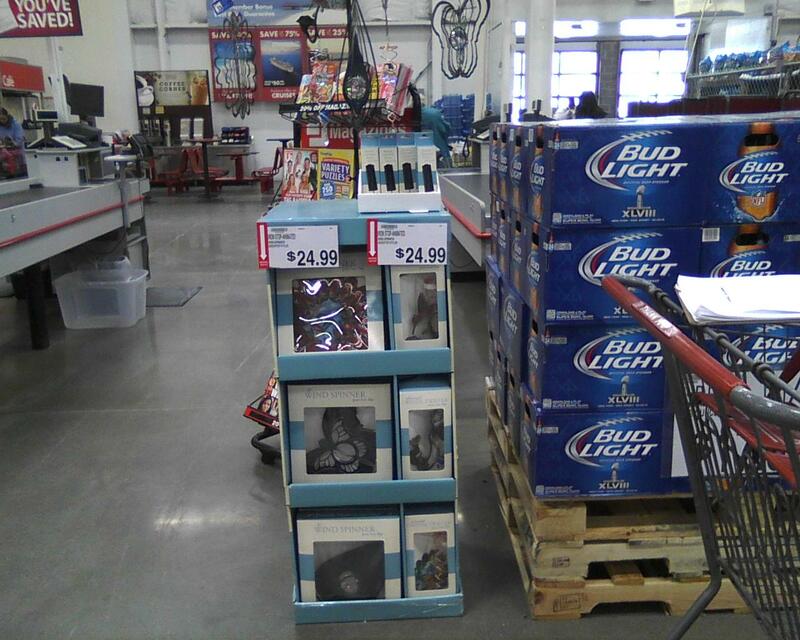 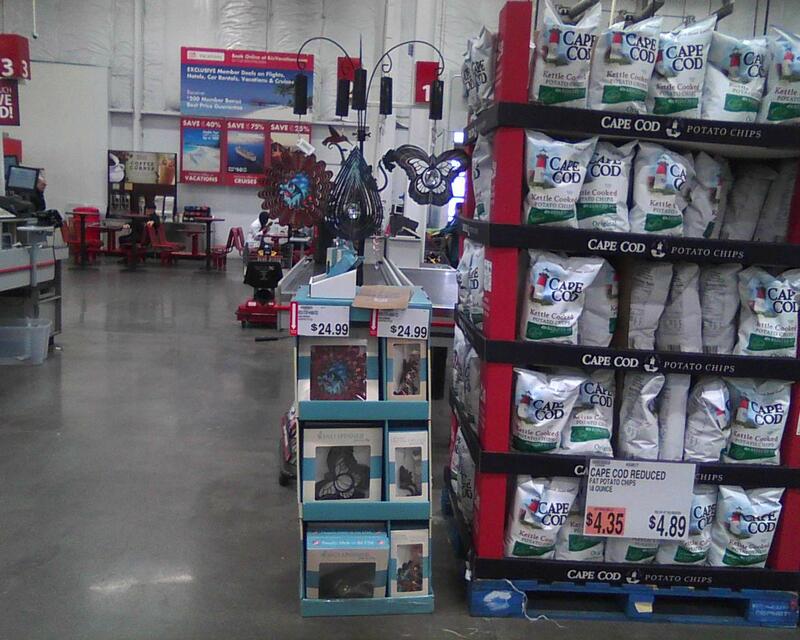 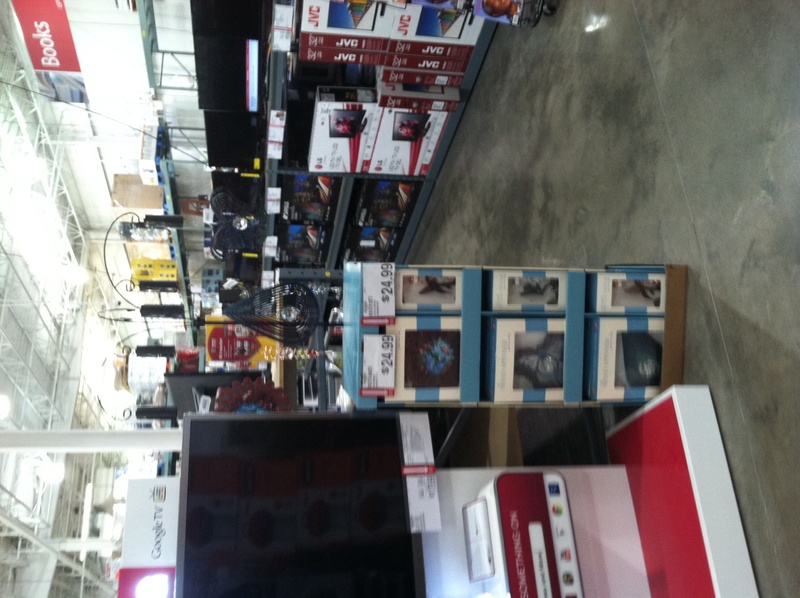 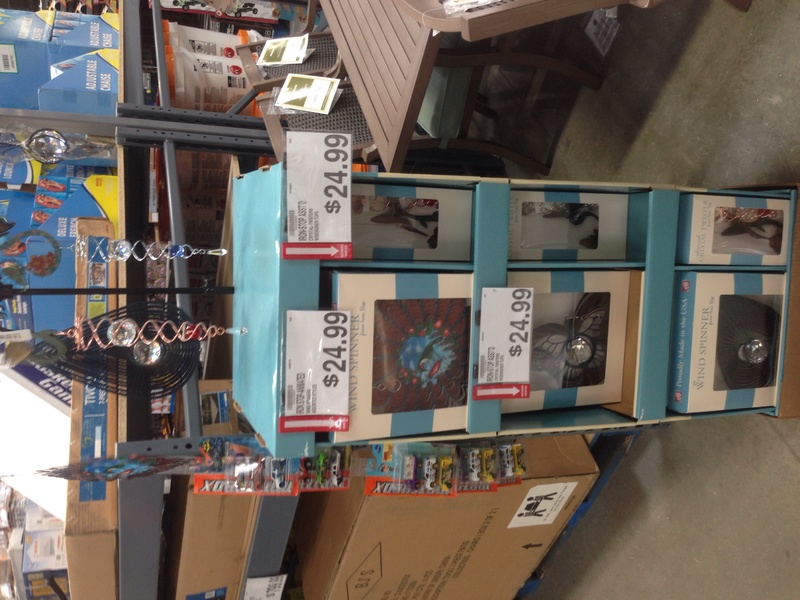 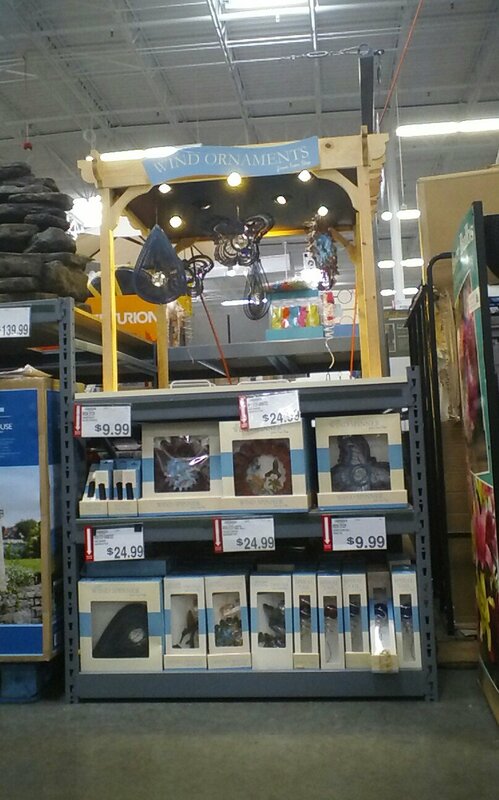 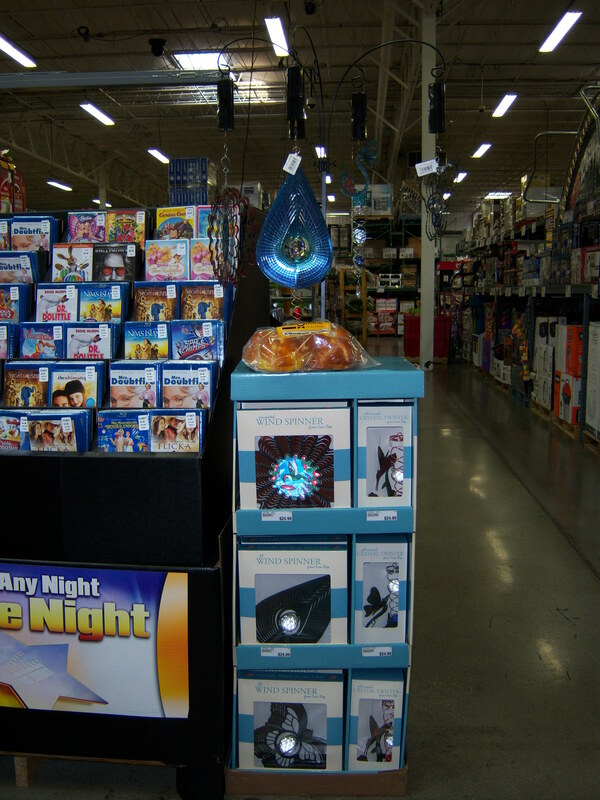 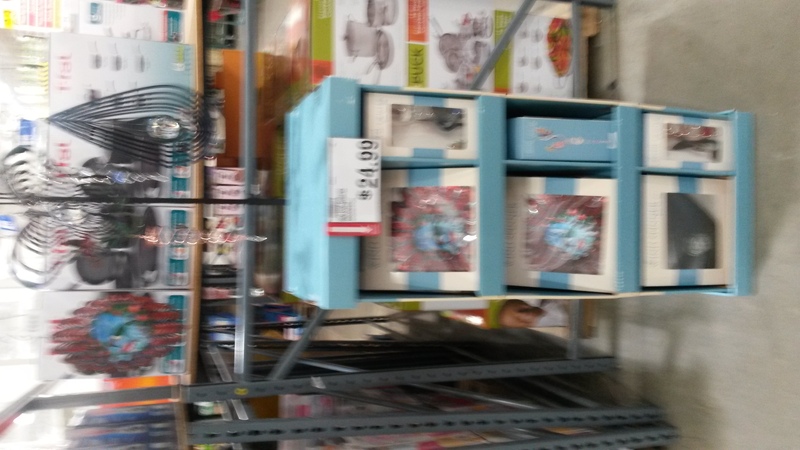 It was suggested to leave photos of the display. 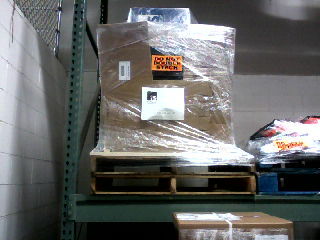 This was done and a letter explaining all was addressed to the Night Crew. 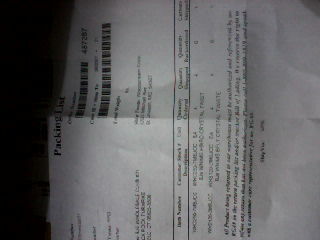 I will call tomorrow to find out if it was located. 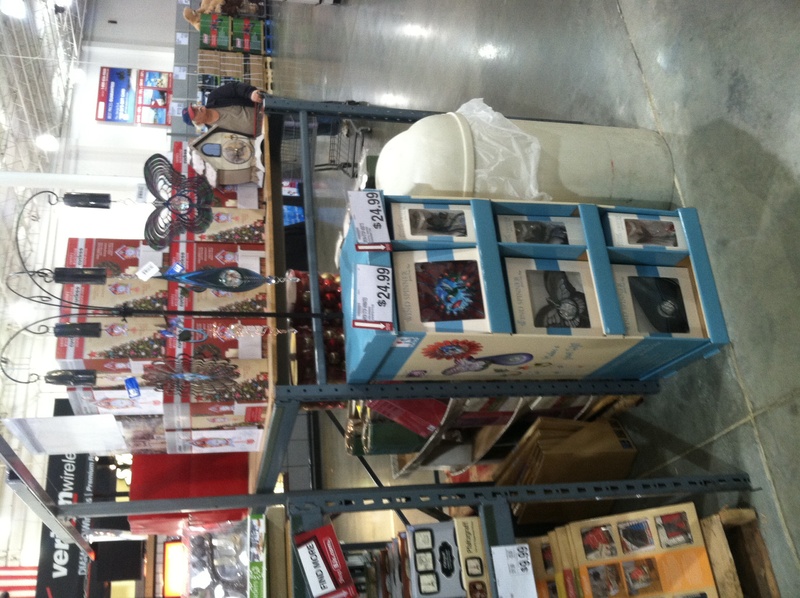 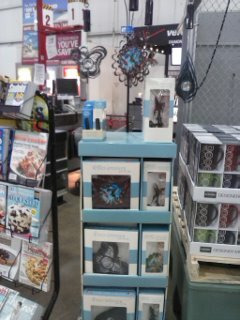 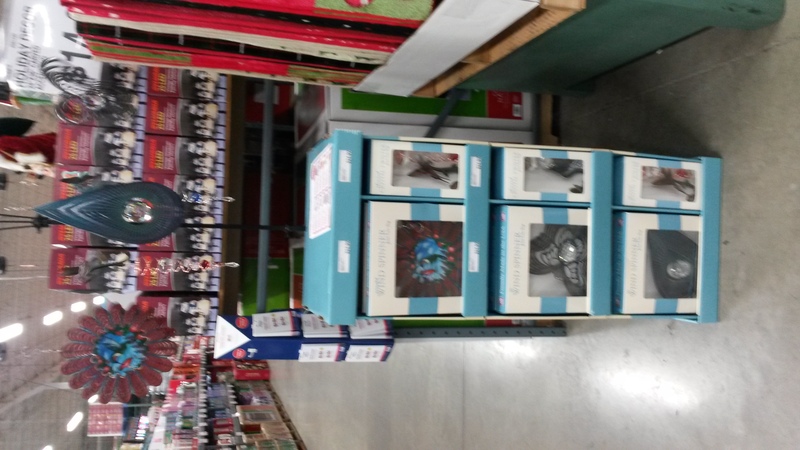 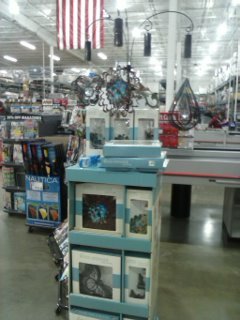 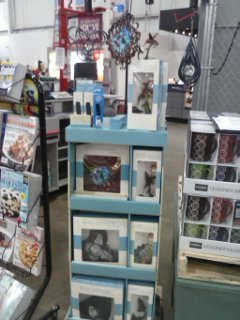 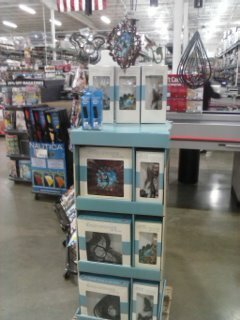 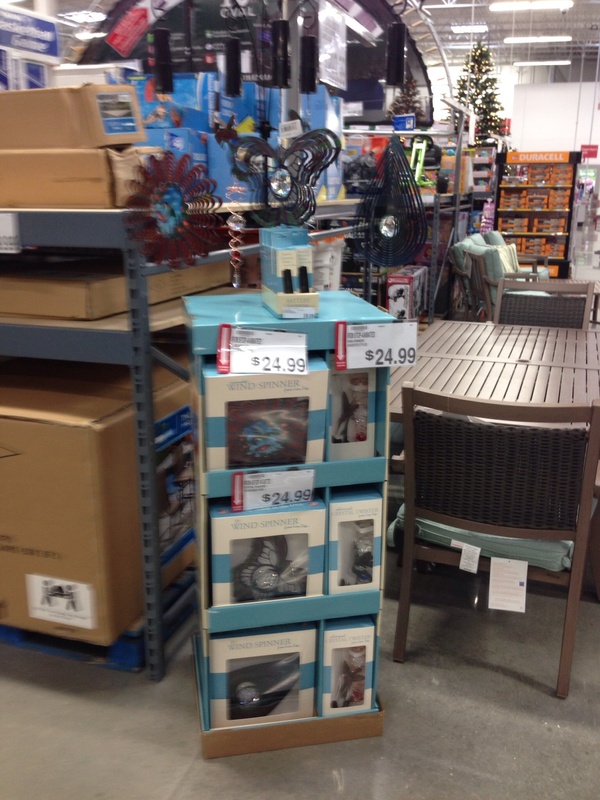 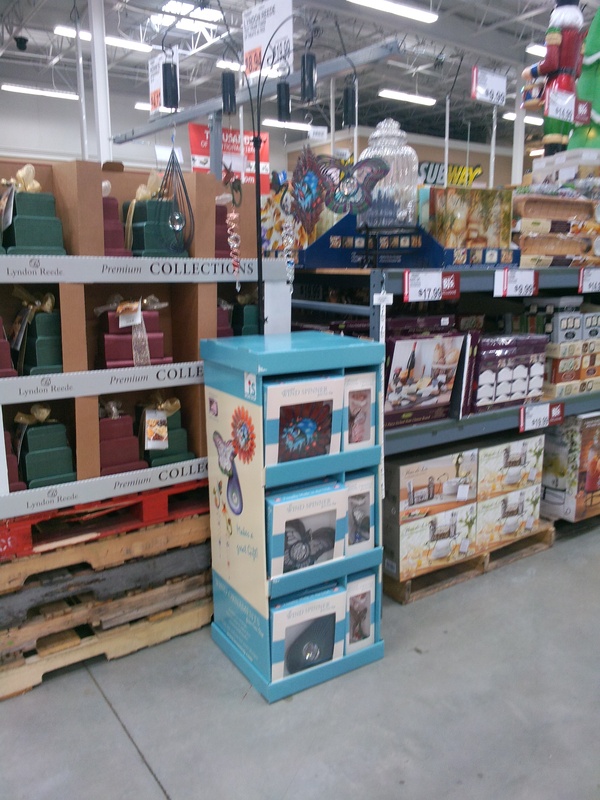 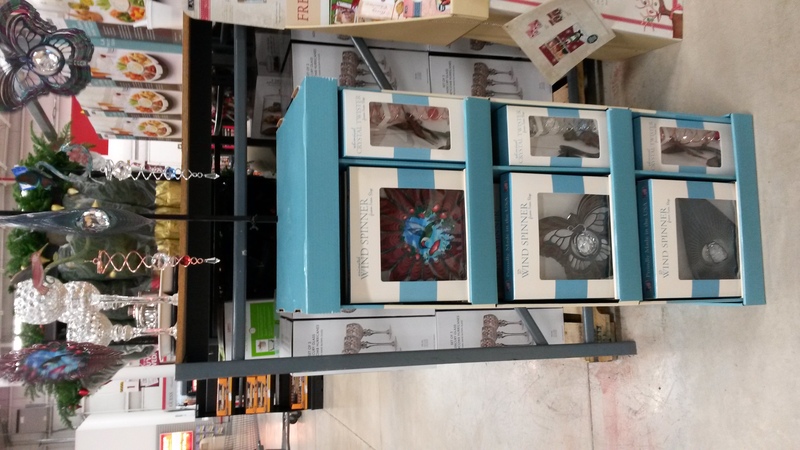 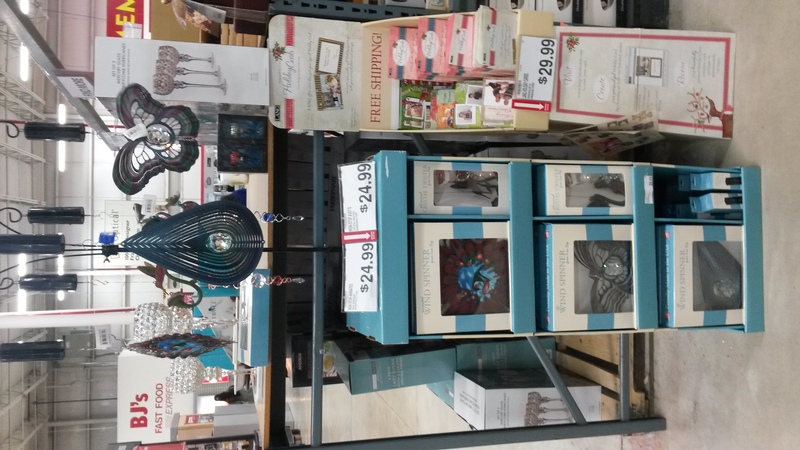 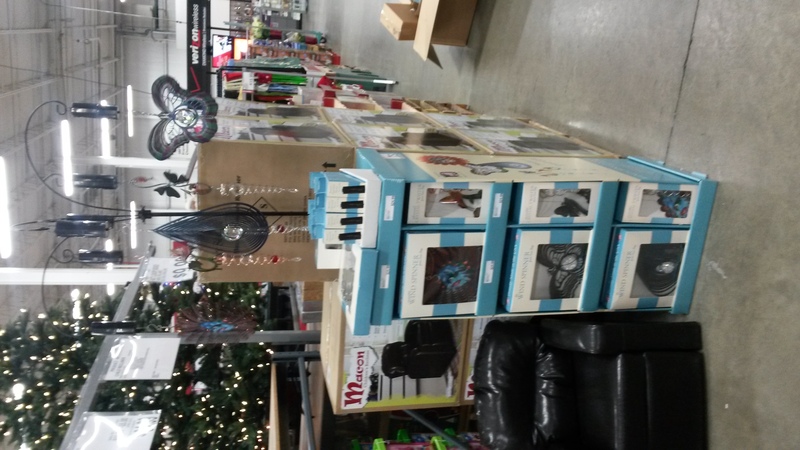 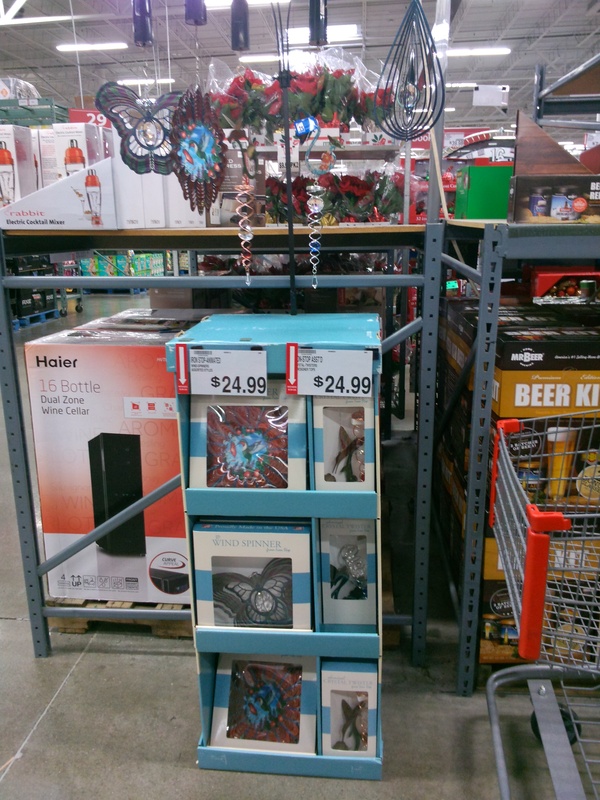 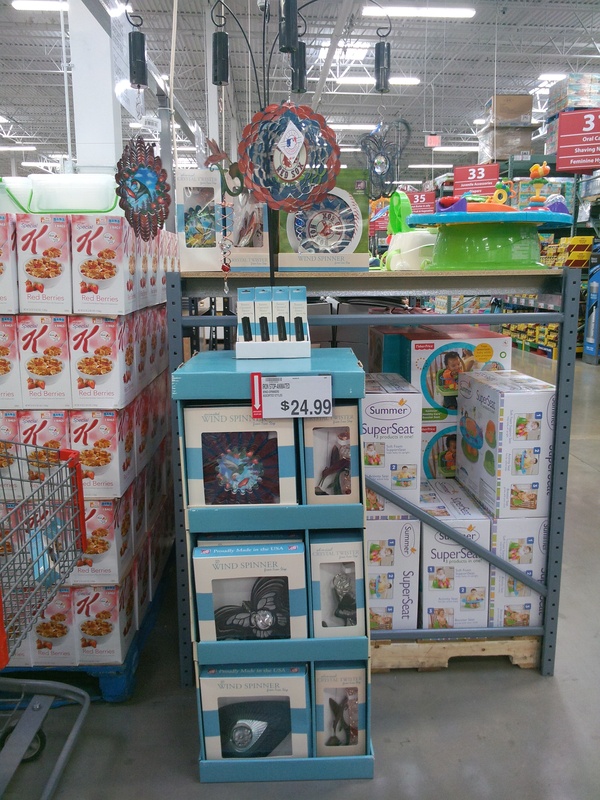 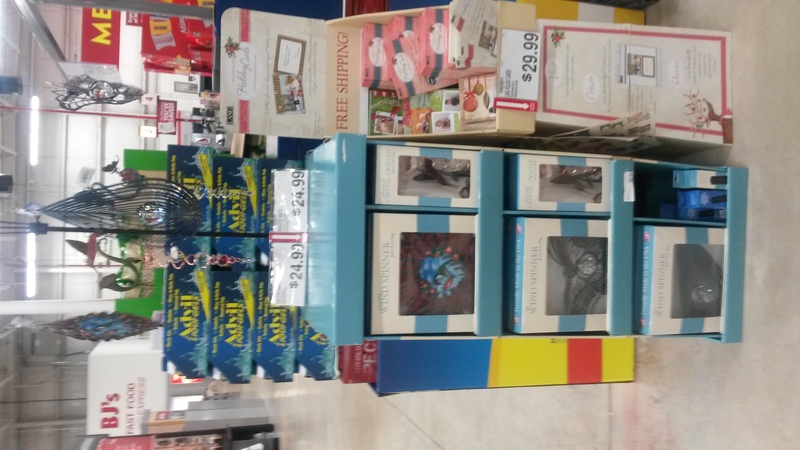 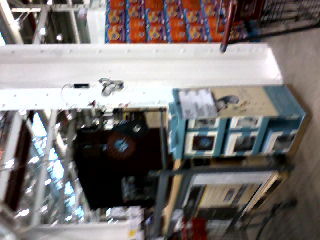 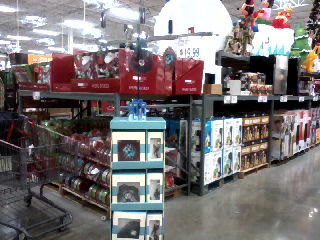 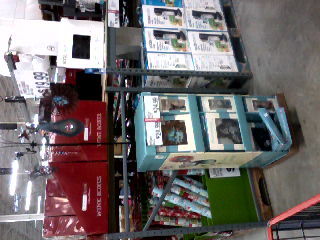 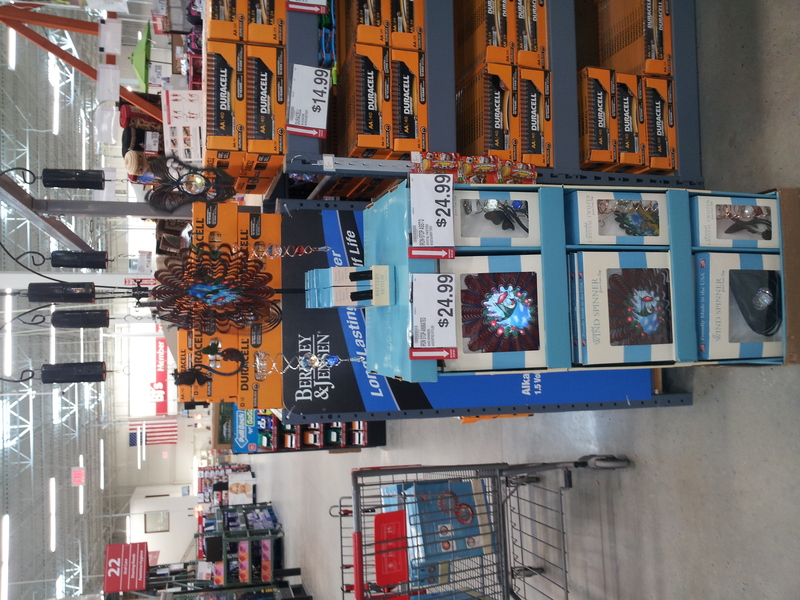 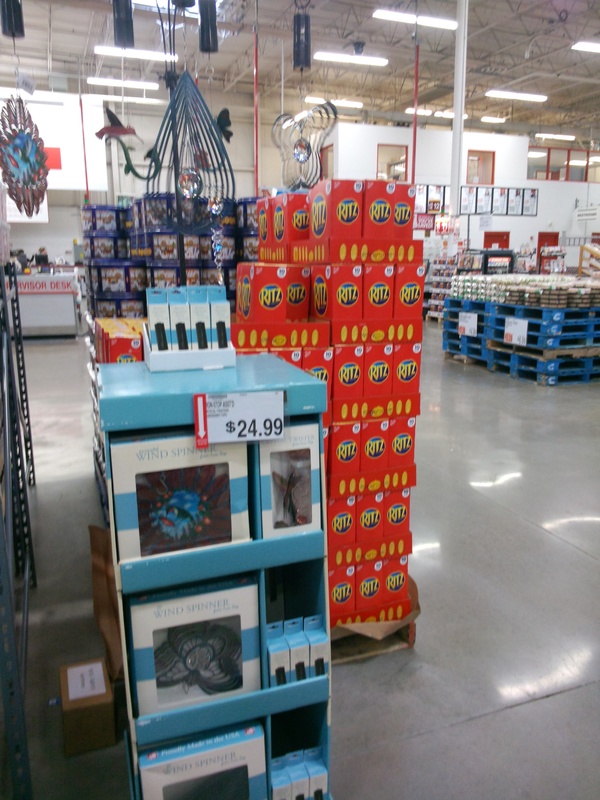 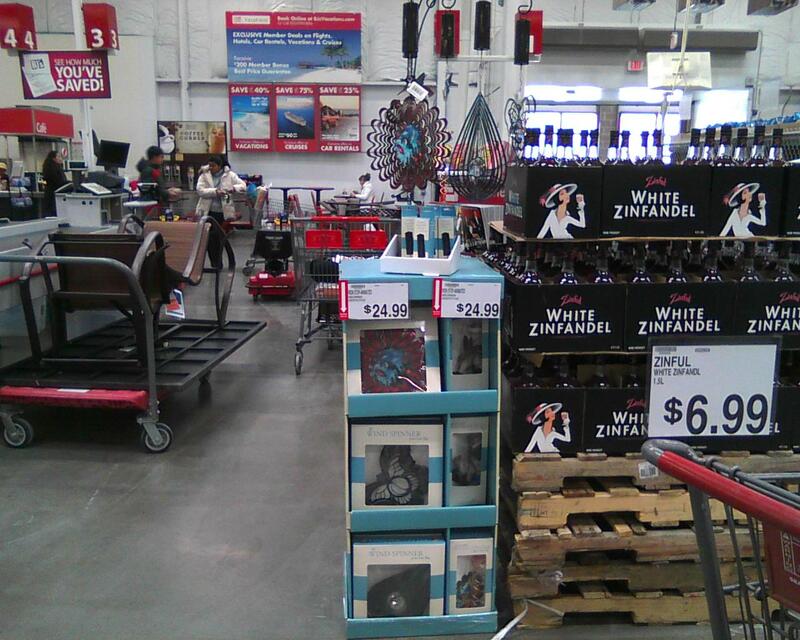 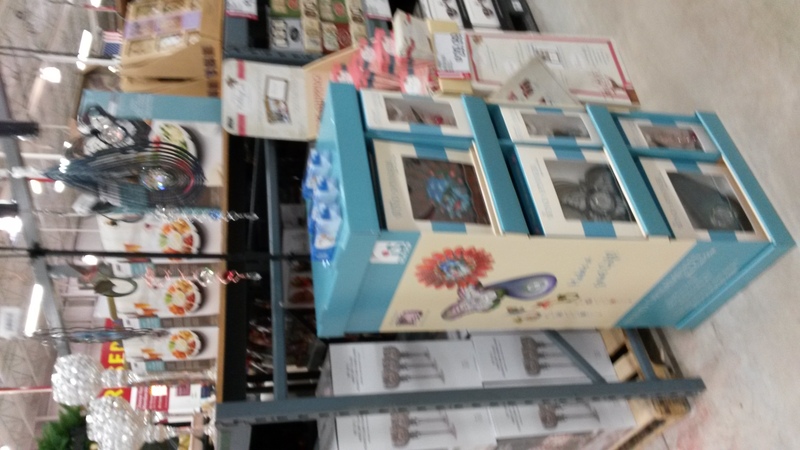 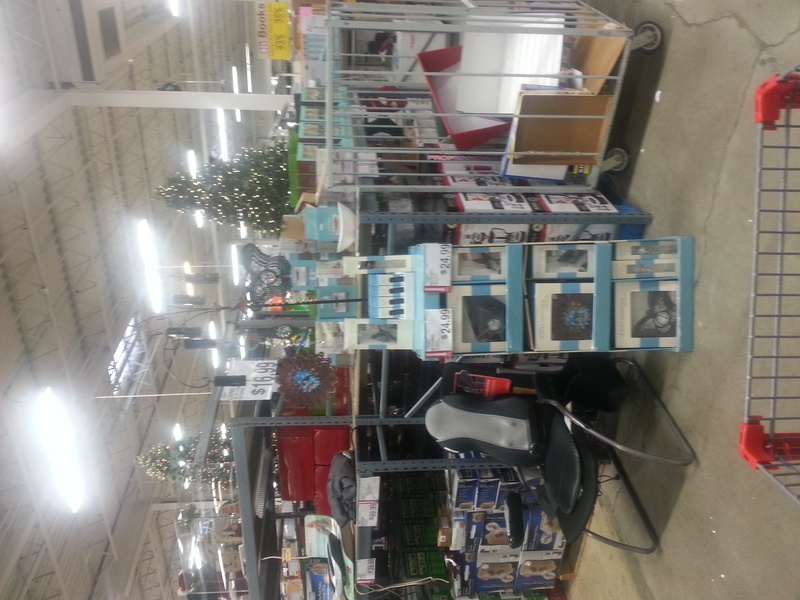 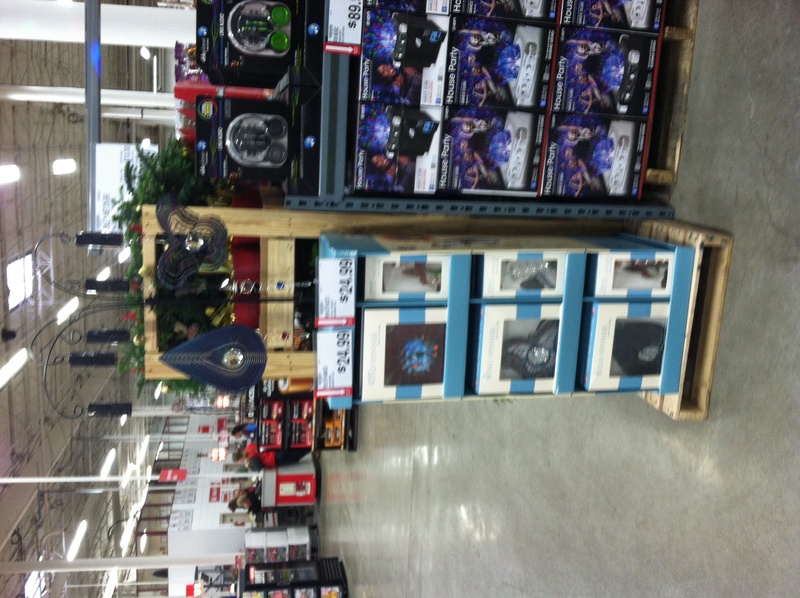 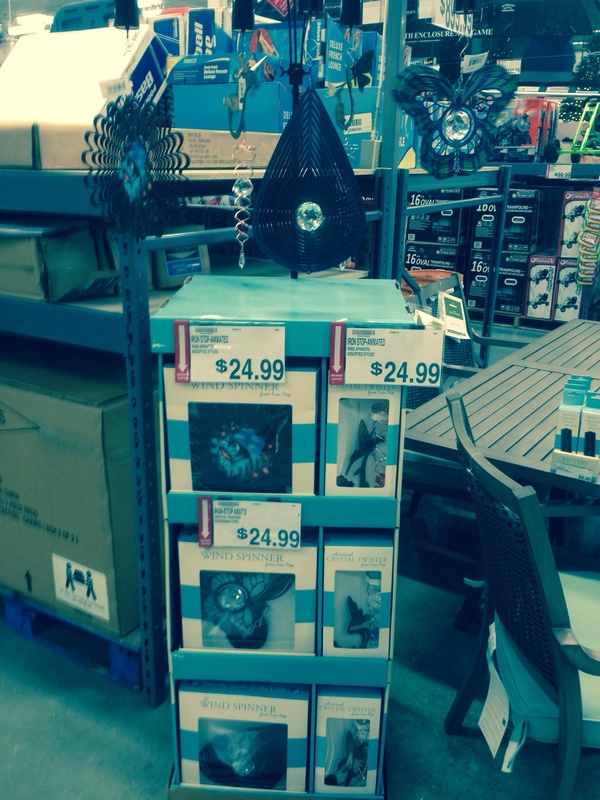 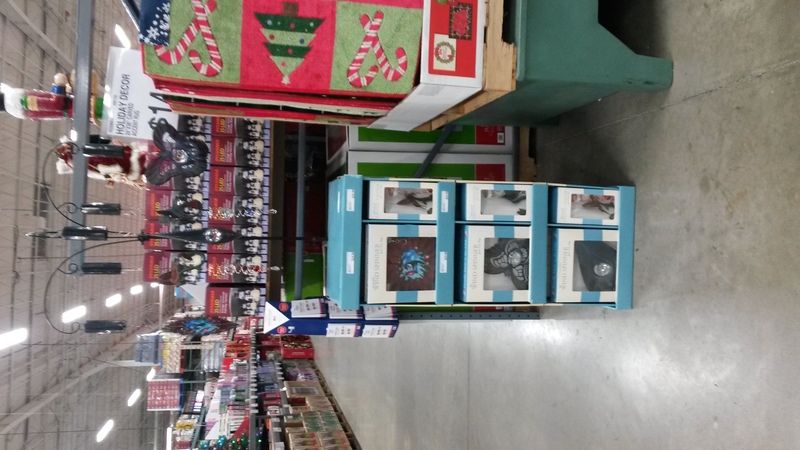 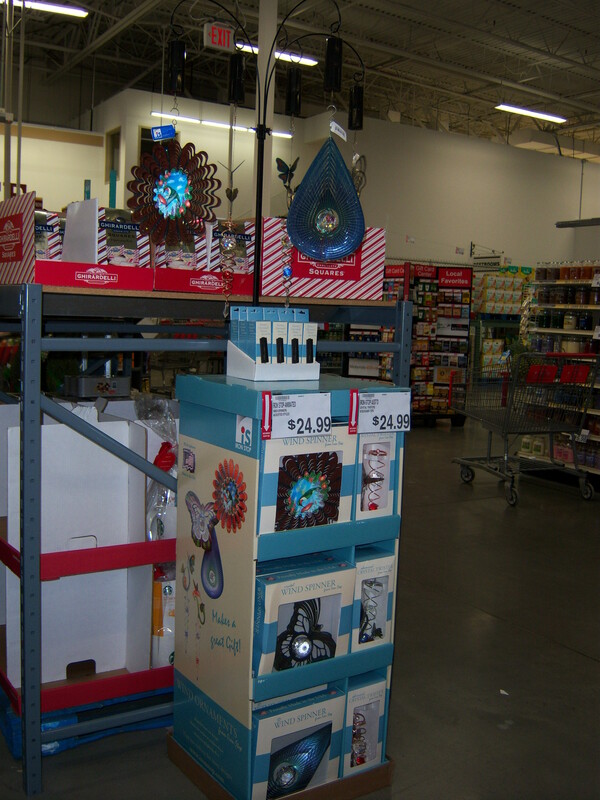 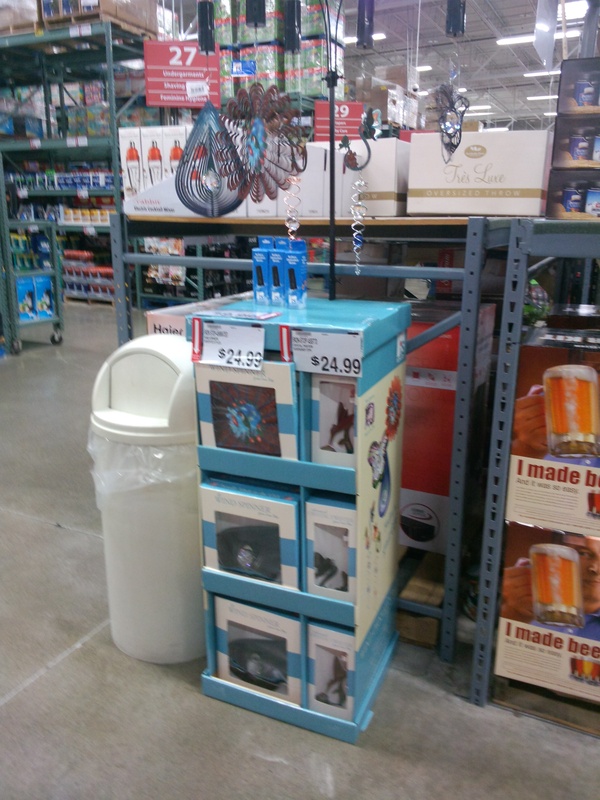 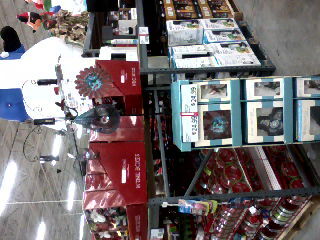 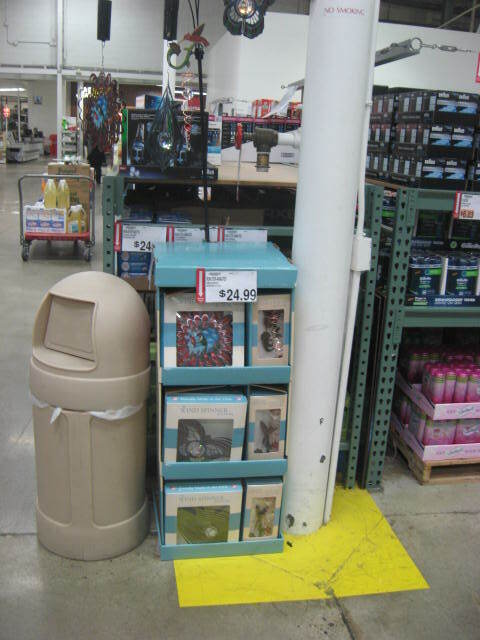 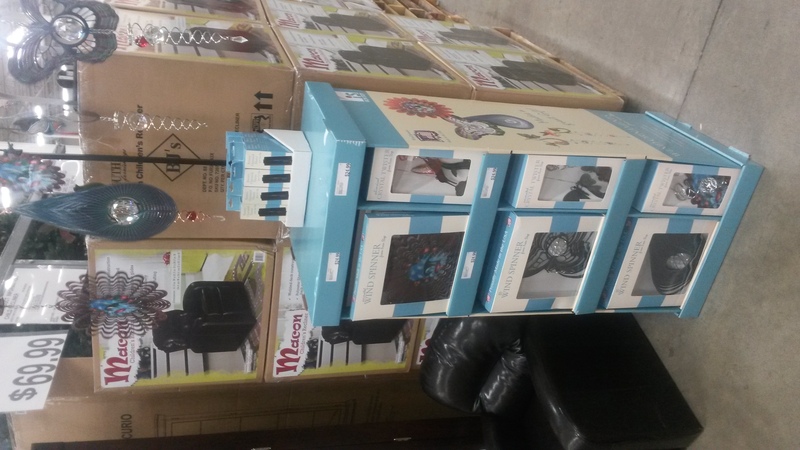 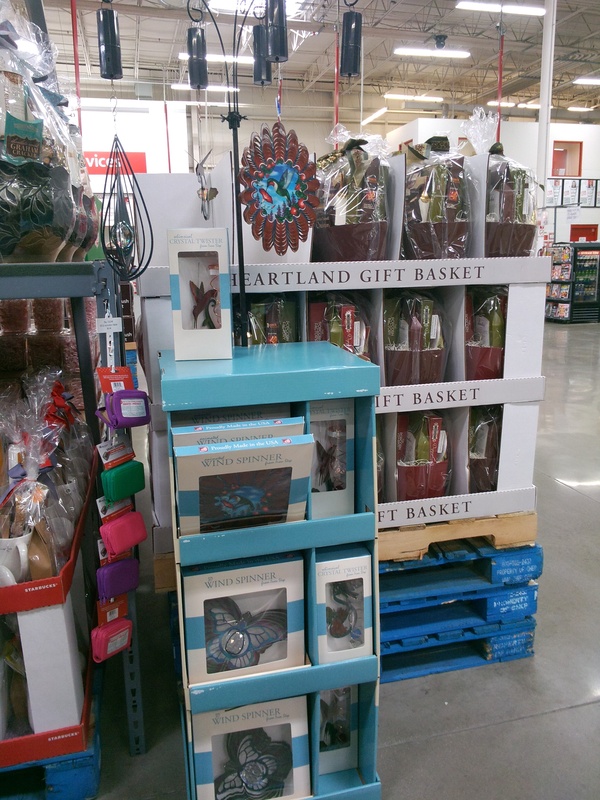 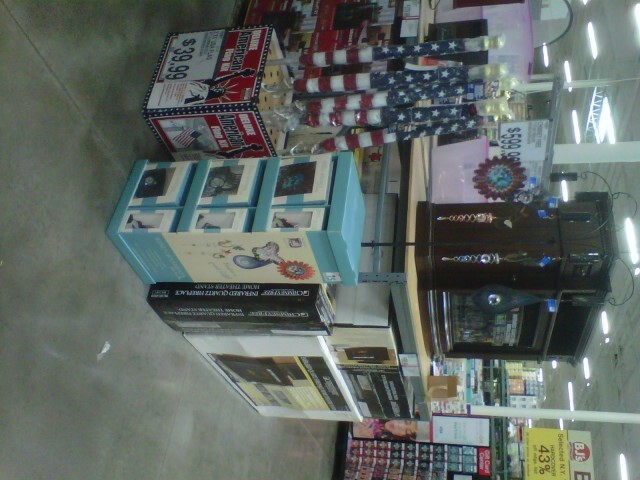 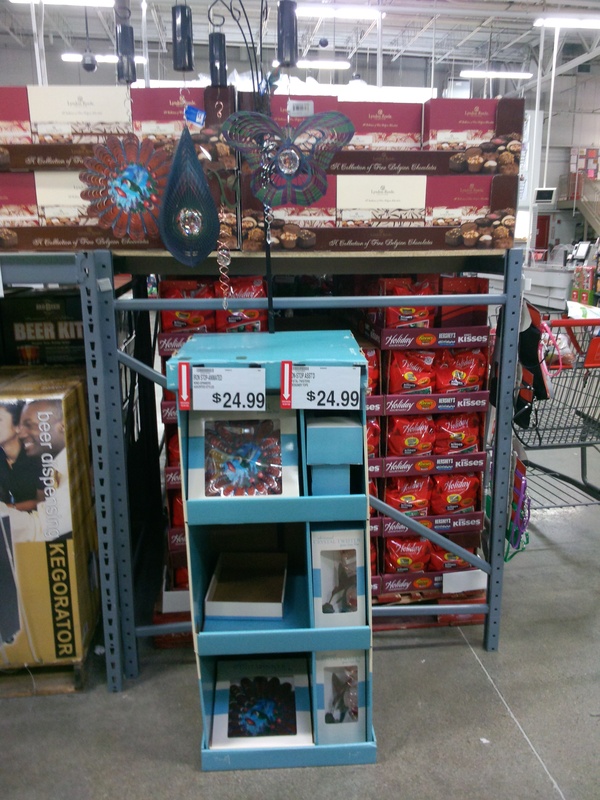 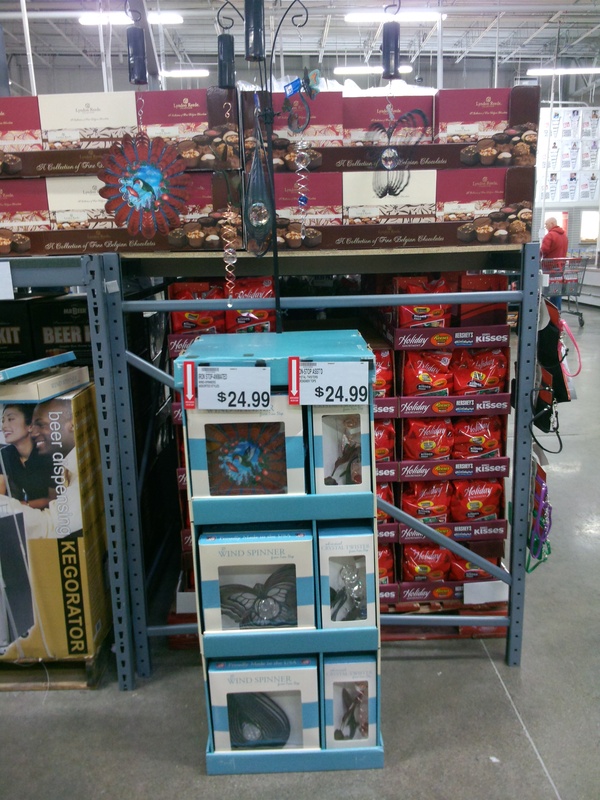 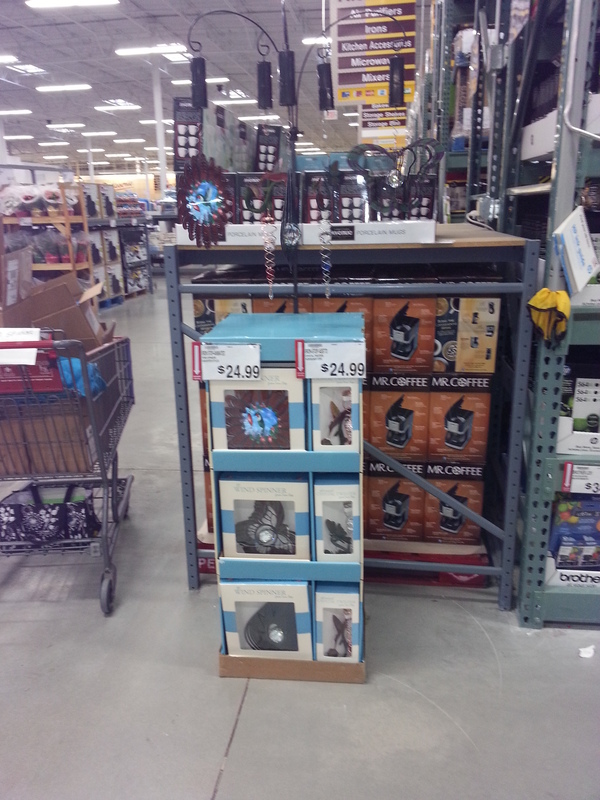 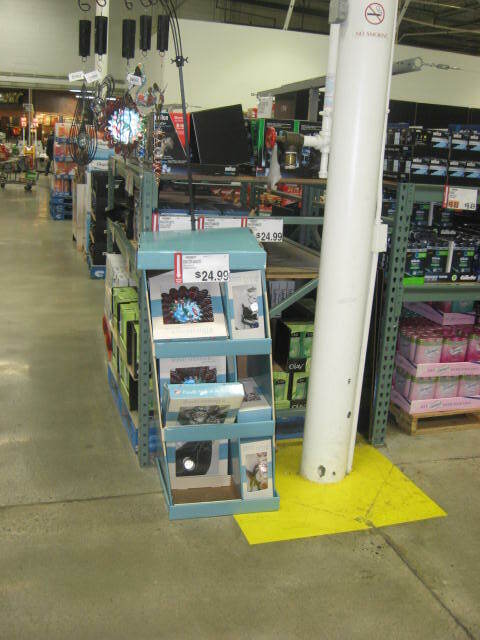 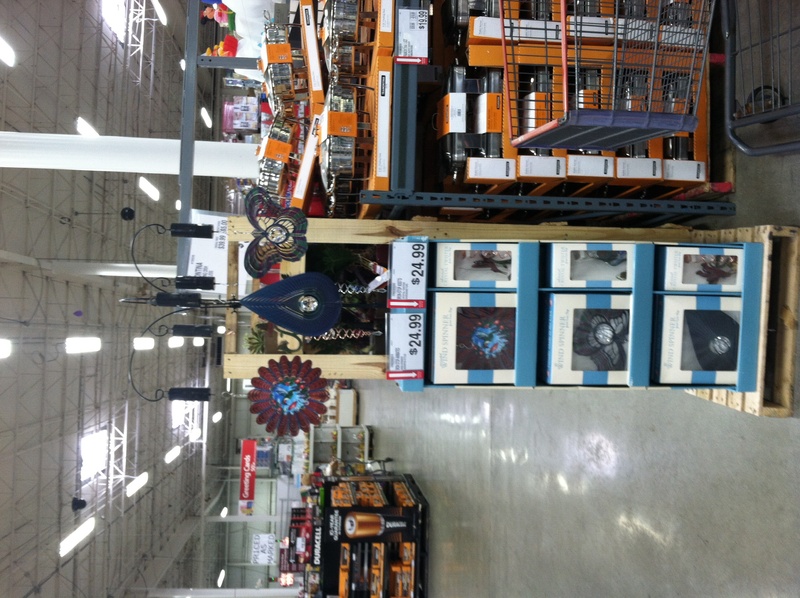 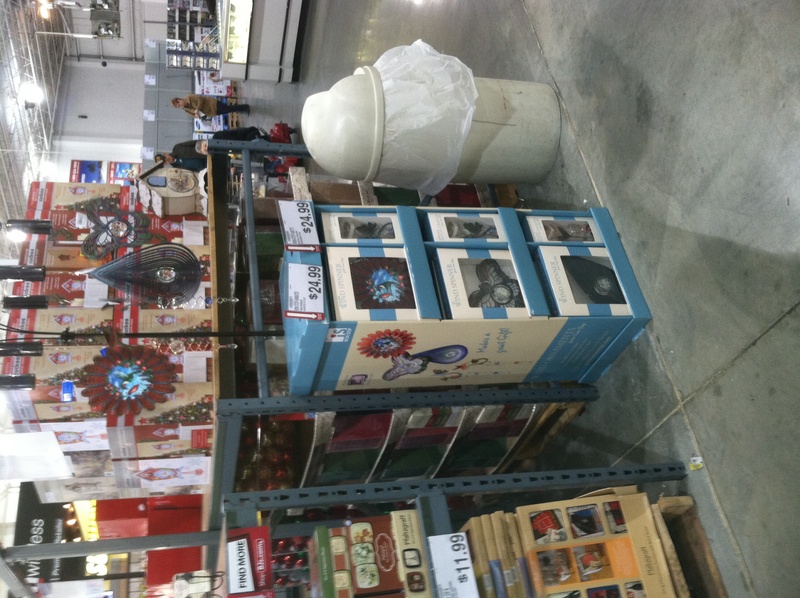 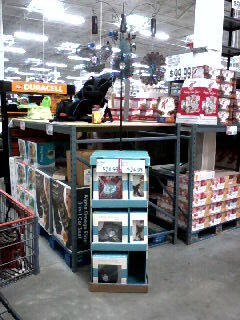 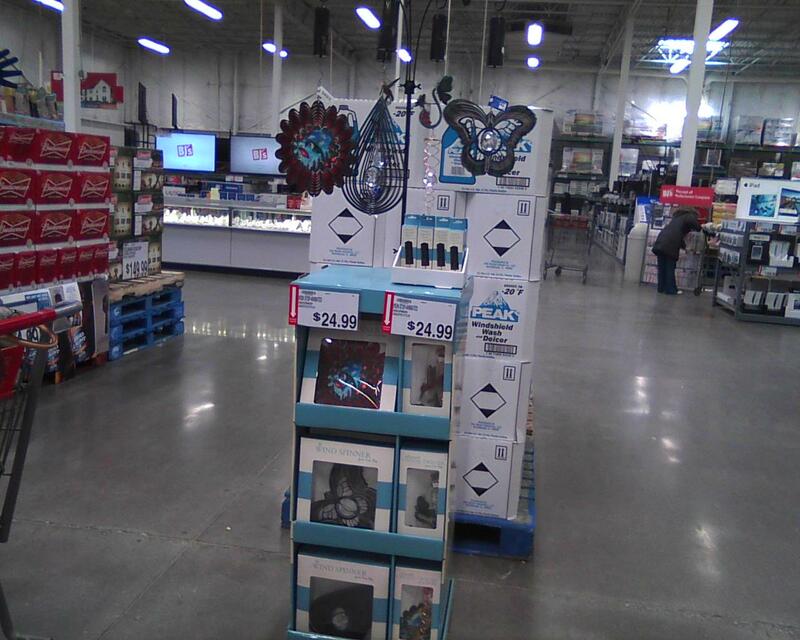 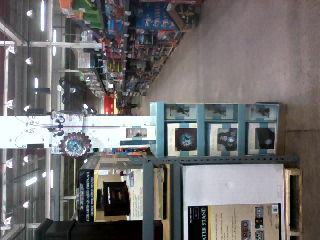 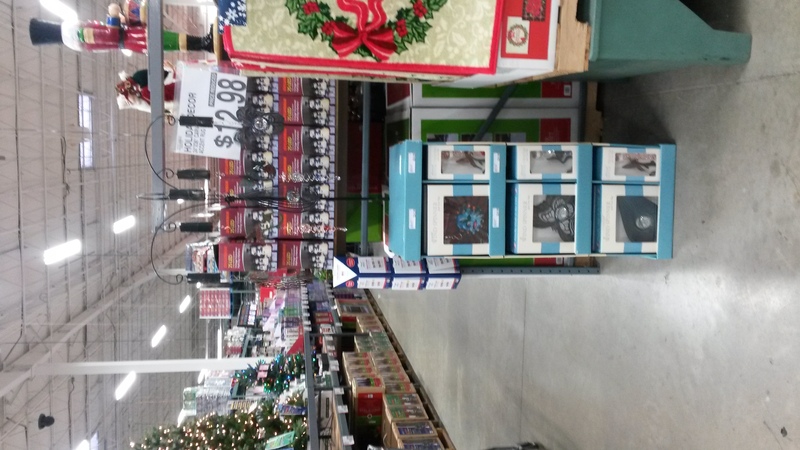 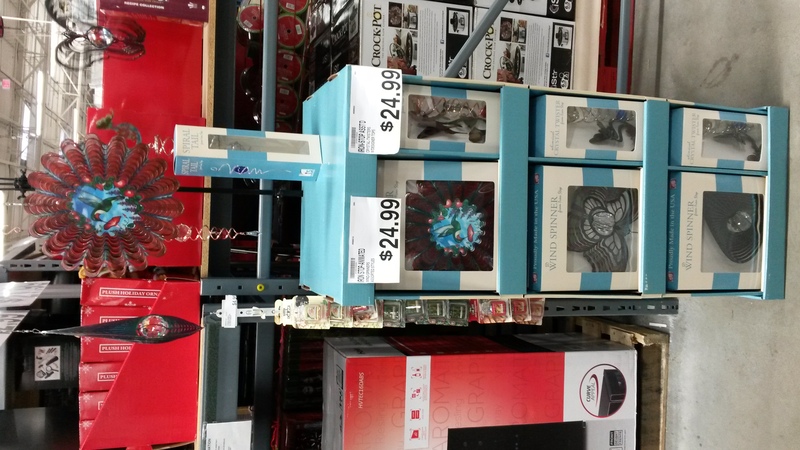 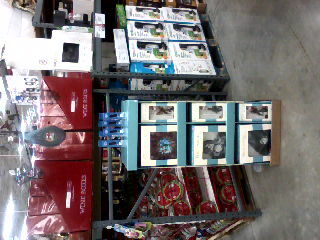 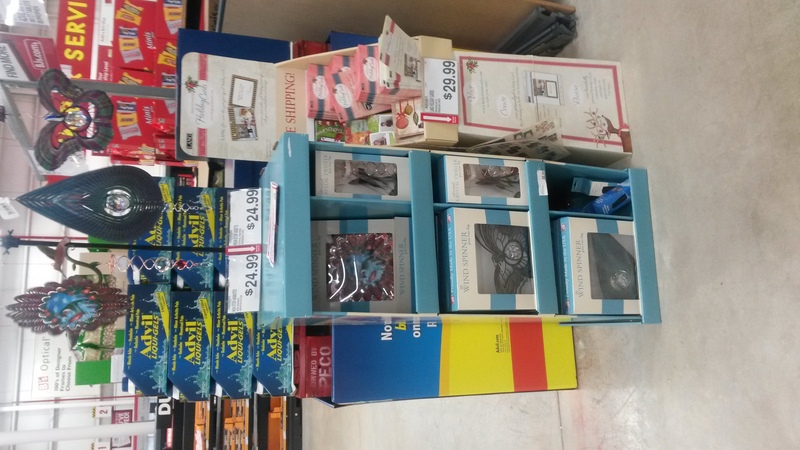 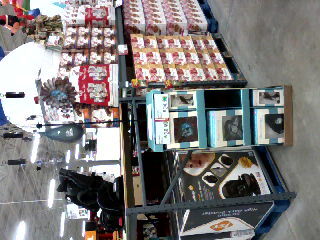 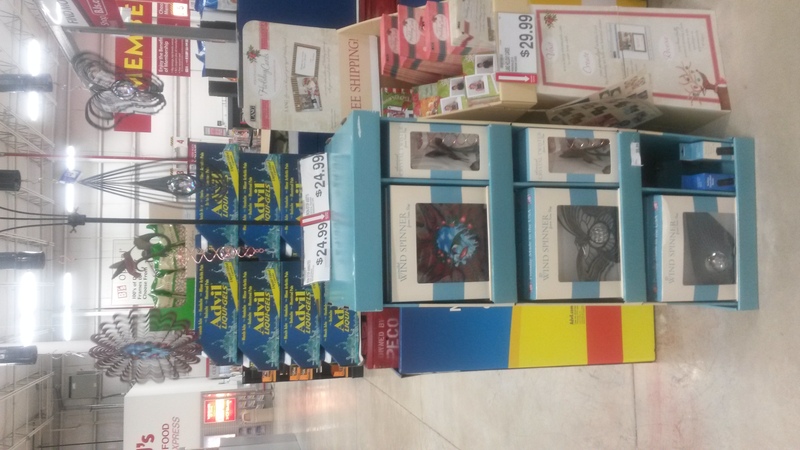 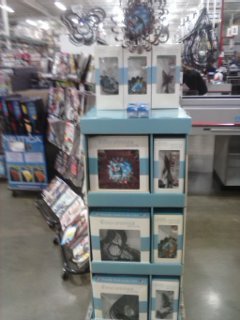 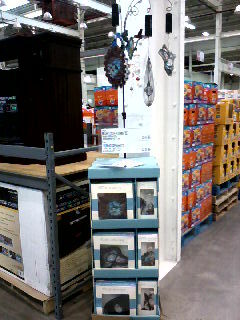 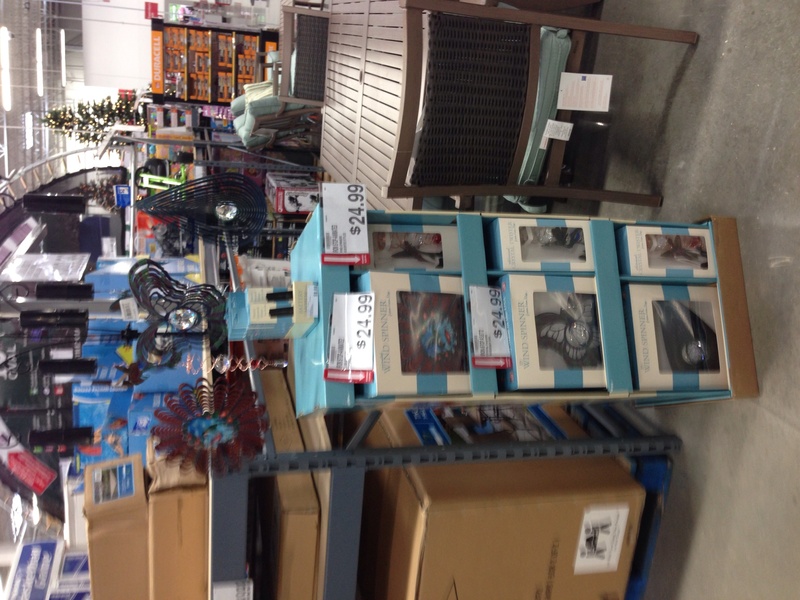 I serviced the existing Holiday floor display. 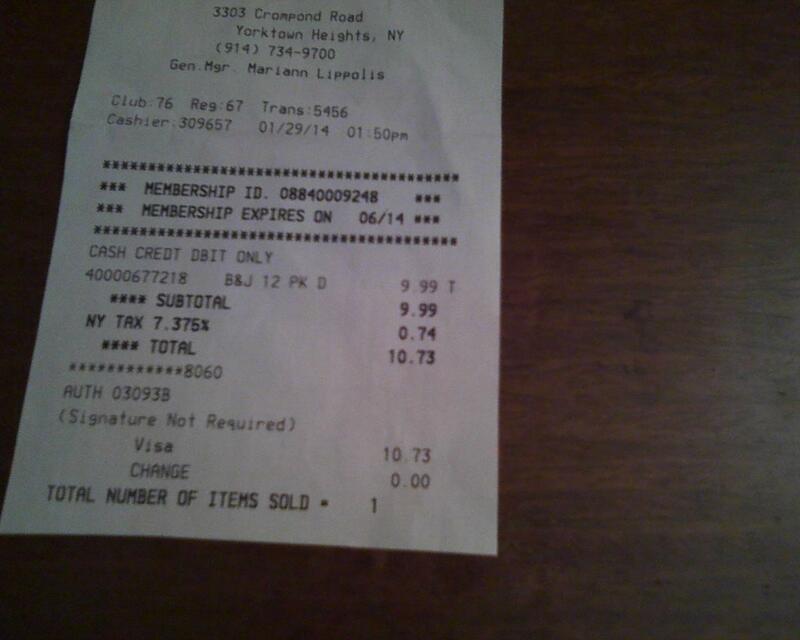 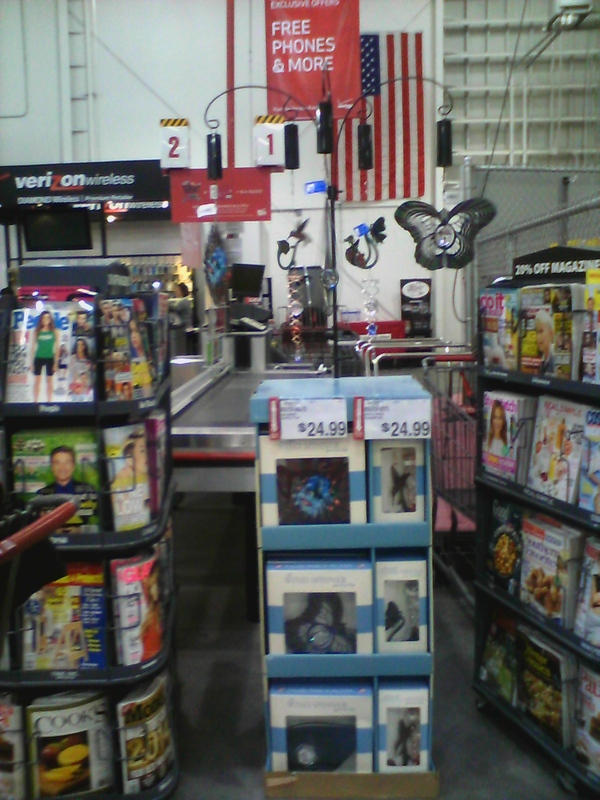 2014-02-13 11:13:24 76 2013/2014 BJsHolidaydisplay384 Yorktown Heights NY 02-12-2014 main aisle at last checkout counter Good Yes Yes Yes Management states that the Spring Reset is not scheduled for this location until 02/21/2014. 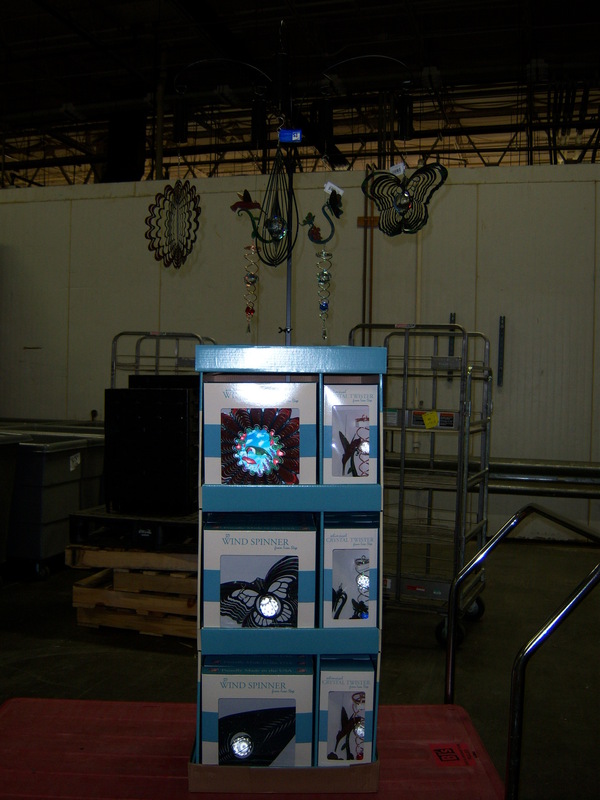 Manager will have the night crew locate the stored display. 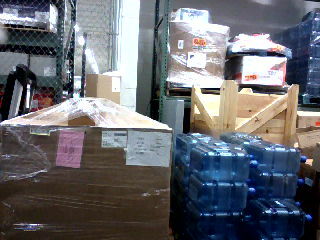 Manager knows that it is stored but doesn't know where. 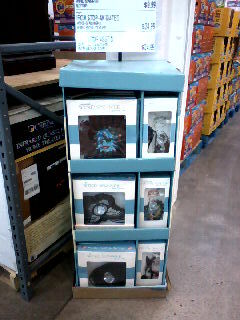 Rob Strauss yes no yes, 4 no The display is in very good condition. 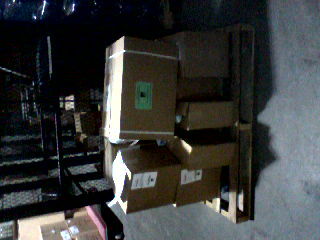 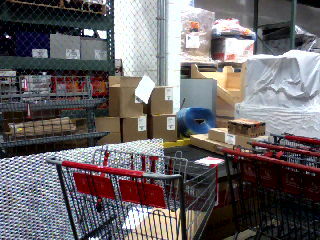 My original backstock still cannot be found. 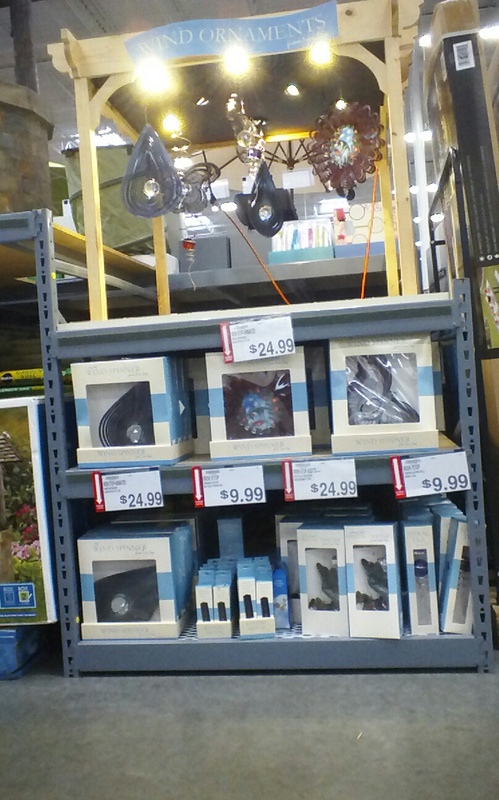 I replaced 4 batteries and restocked with what I had available. 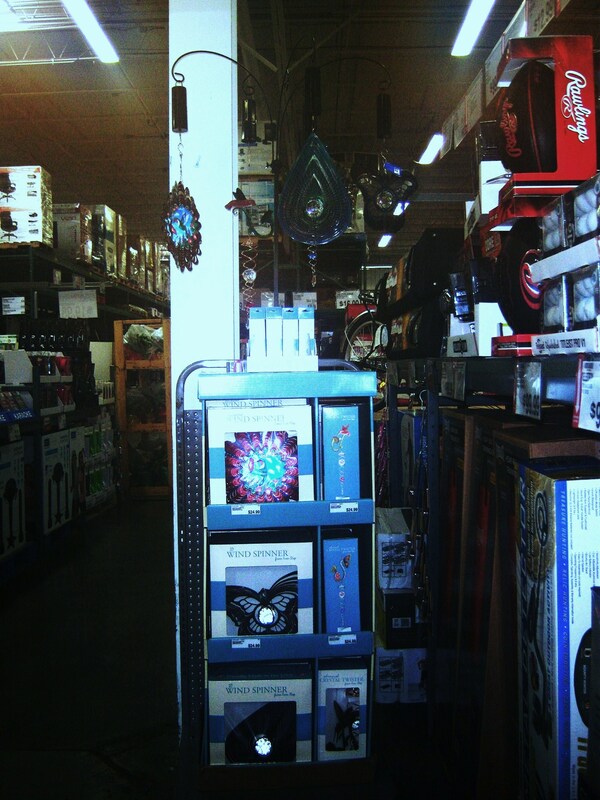 11 8 7 12 8 9 8 001.jpg 002.jpg - - - I will visit when I receive my schedule for this location. 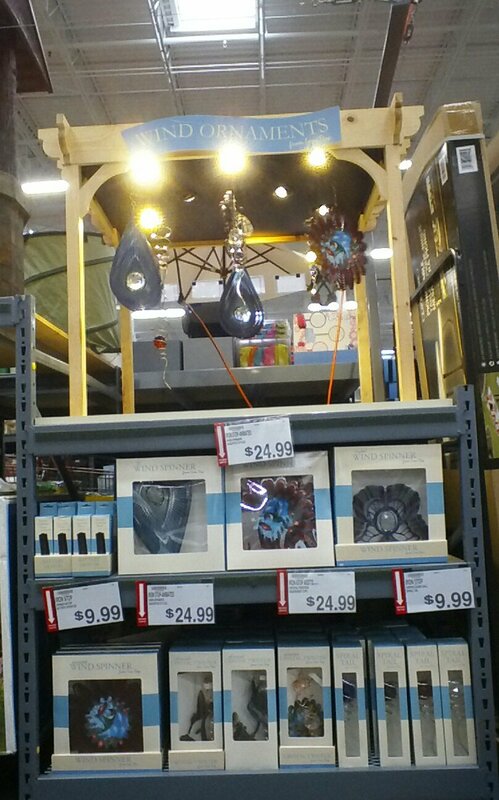 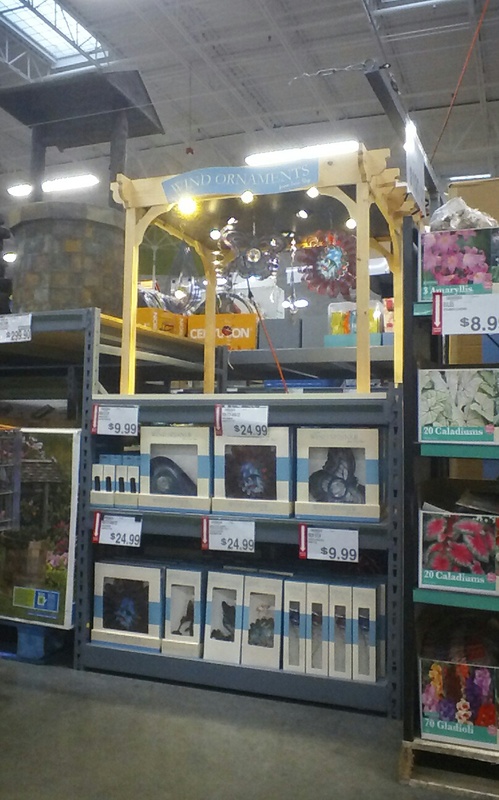 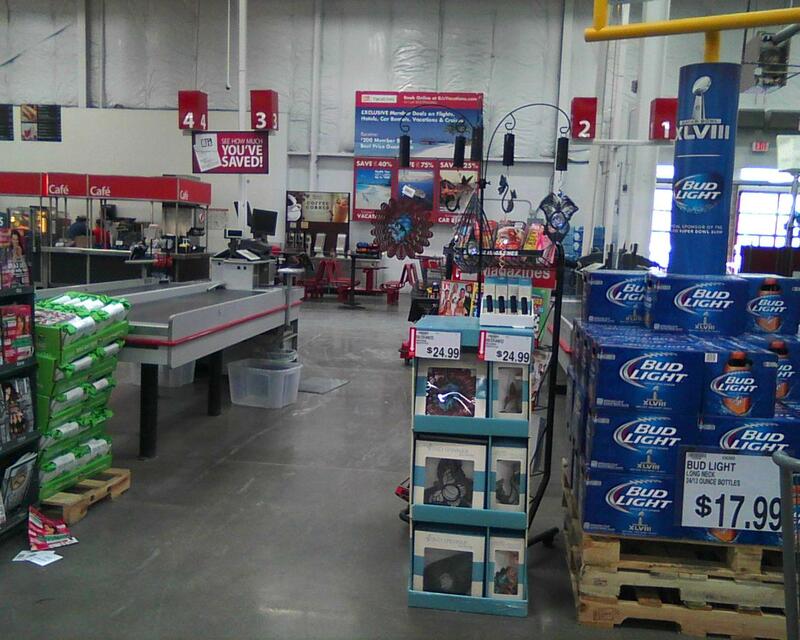 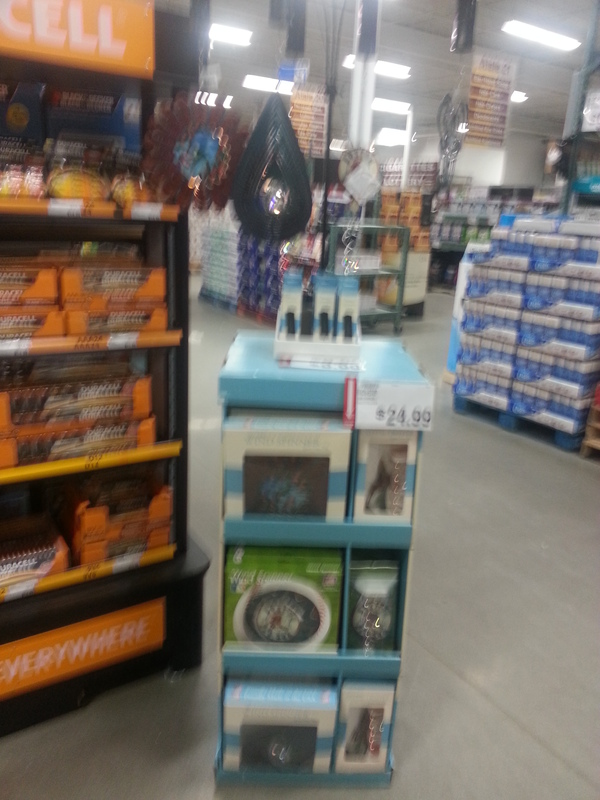 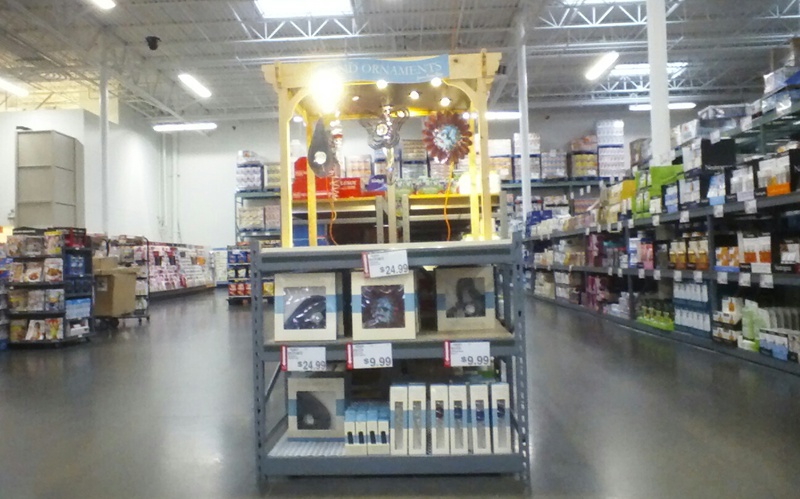 2014-02-07 20:55:16 76 2013/2014 BJsHolidaydisplay372 Yorktown Heights NY 02-07-2014 main, front aisle at checkout stations Good Yes Yes Yes Management is not aware of new Pergola. 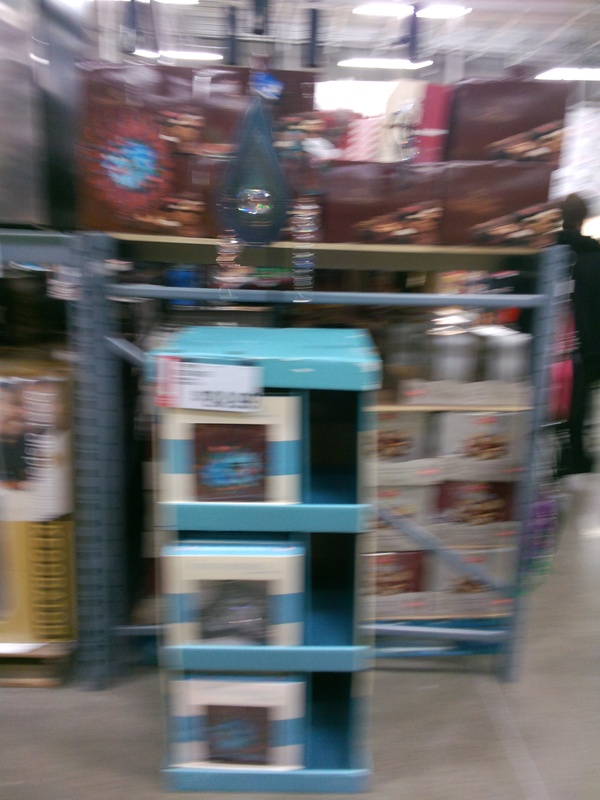 We could not locate it. 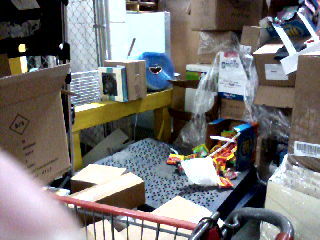 Manager in charge was not present. 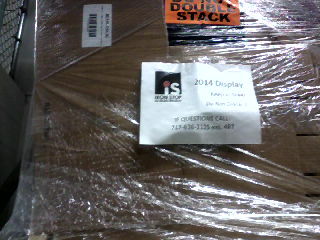 He will call me. 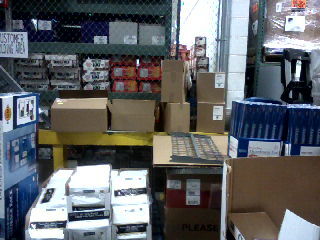 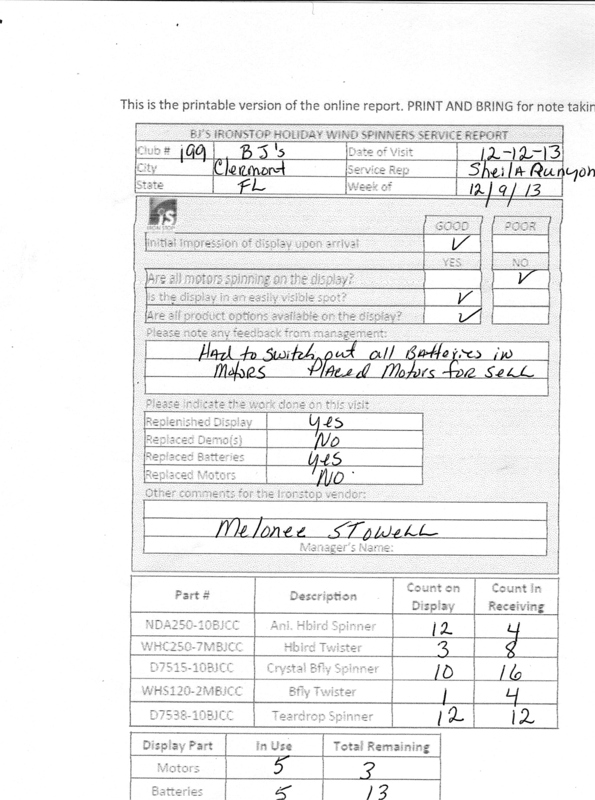 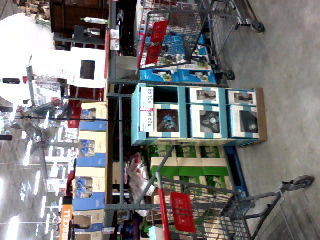 Monica Hanlon did not have stock to fill the existing spaces no no no The initial backstock is still not found. 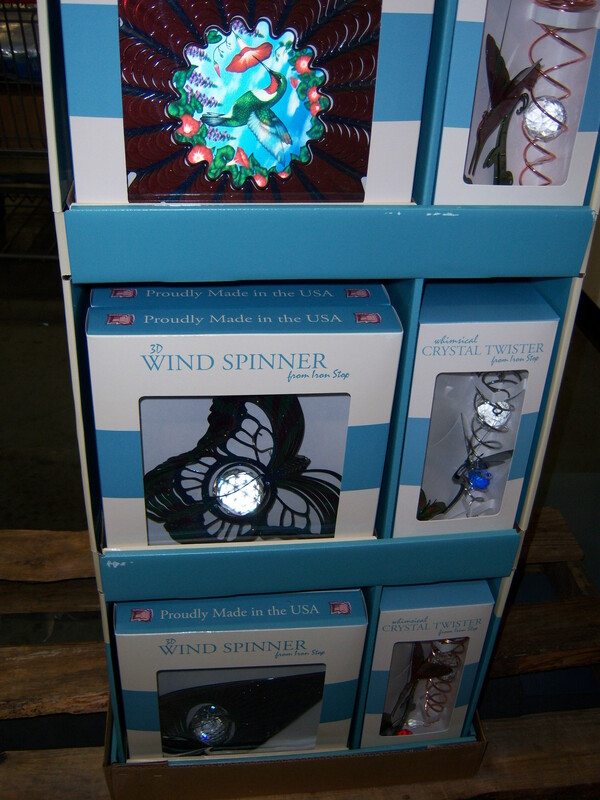 The replenishment shipment is available but only Twisters were replenished and no Spinners. 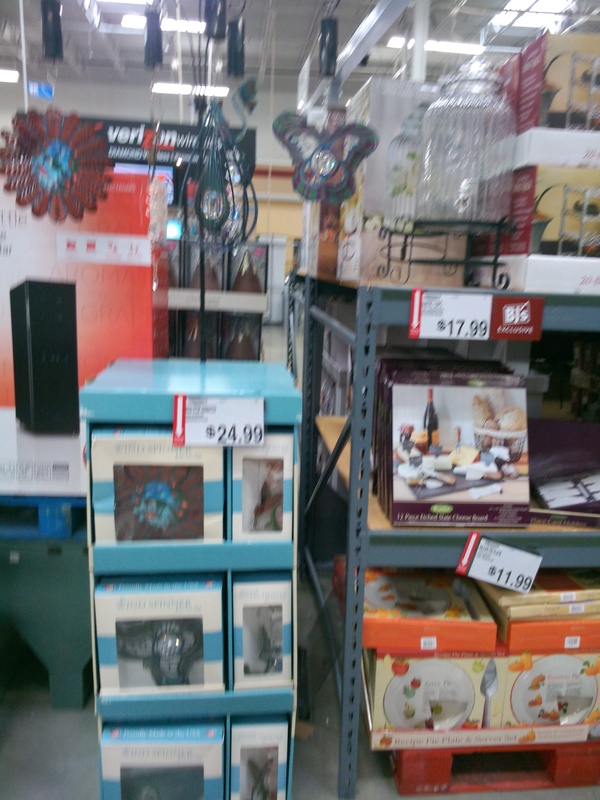 2014-02-02 11:55:23 31 2013/2014 BJsHolidaydisplay364 Fairfield CT 02-01-2014 Seasonal Good No Yes No Left message with Richard and Chris about the change over. 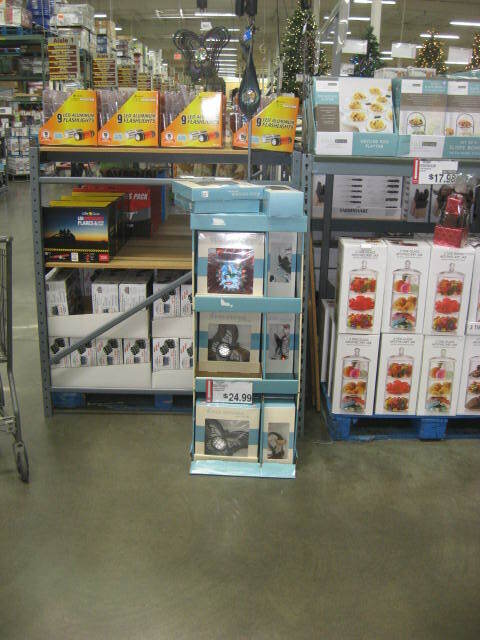 Richard and Chris yes no 3 none Replaced all available items. 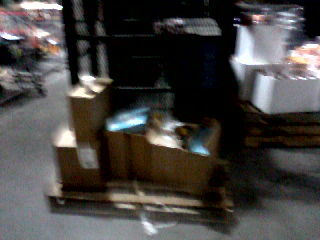 I replaced 4 WHC250 for 4 NACT120. 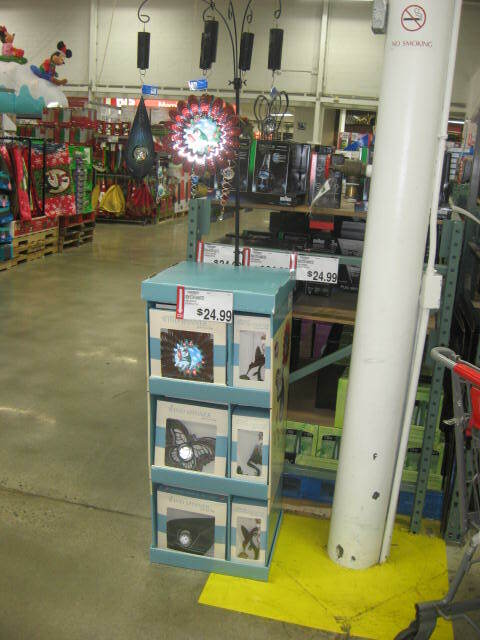 No longer available in the warehouse NDA250 and WHS120. 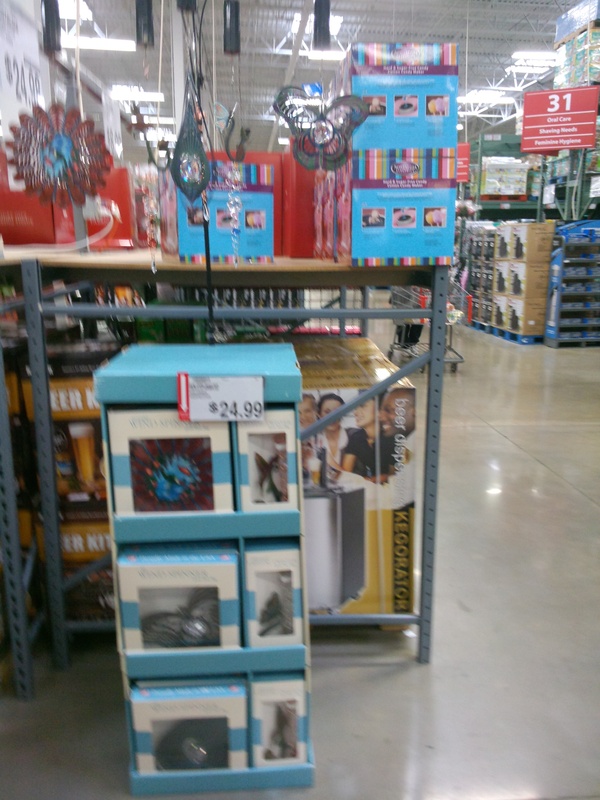 2014-02-02 11:31:42 193 2013/2014 BJsHolidaydisplay363 Stratford CT 02-01-2014 Seasonal Good No Yes No WHS120 not on display or in warehouse. 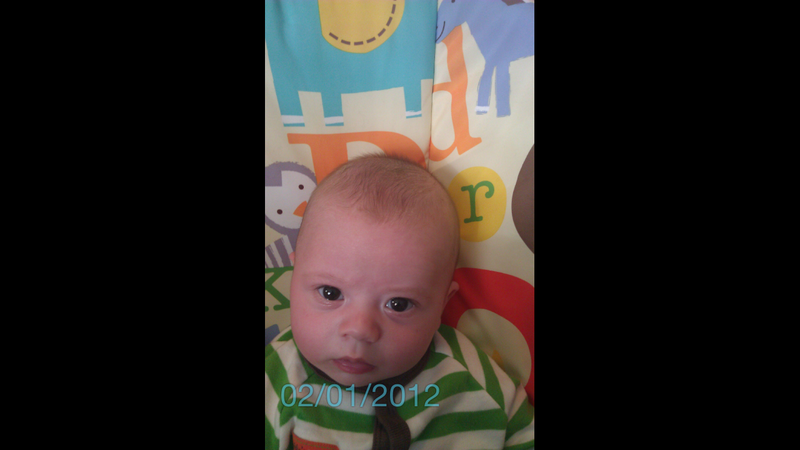 Michael, Brianna. 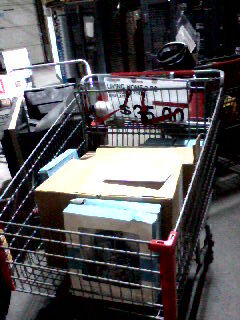 Max and Vicky yes none 3 2 Replace two motors and three batteries. 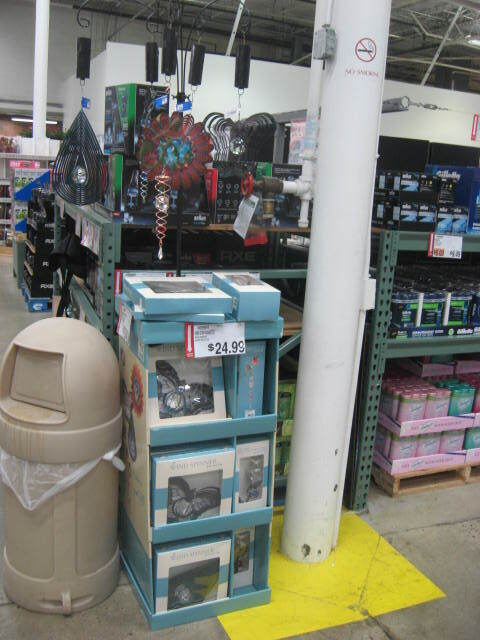 The inventory located in the warehouse seems to be missing. 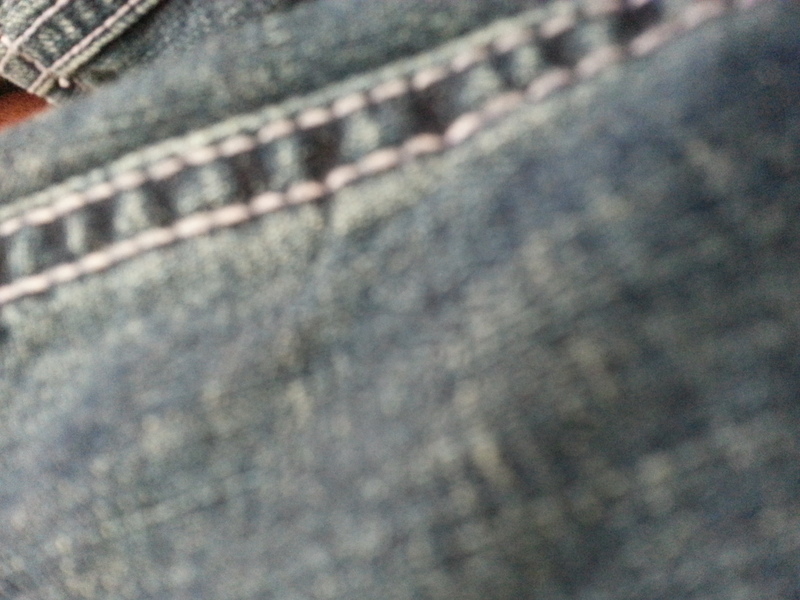 Called and left message with Joseph Santos. 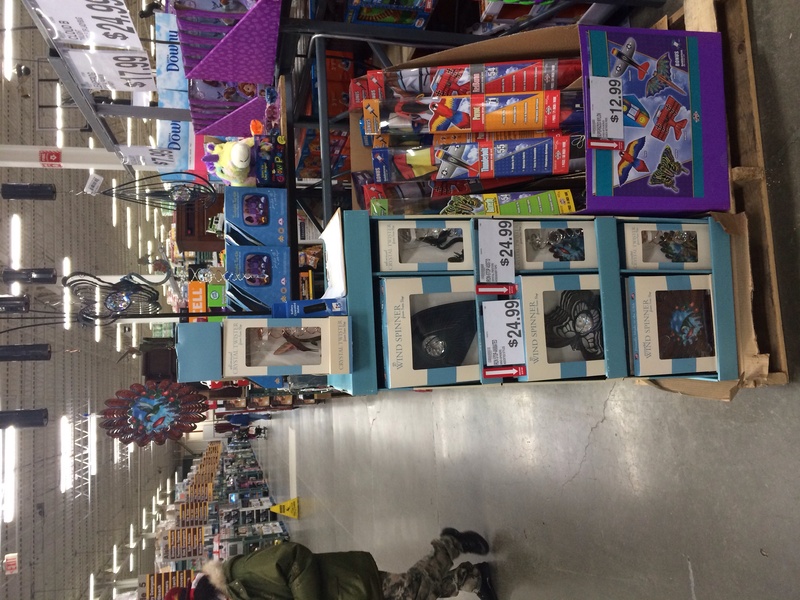 2014-01-05 11:08:27 26 2013/2014 BJsHolidaydisplay311 edison NJ 01-04-2014 near the main asile Poor Yes Yes Yes na kelly yes yes yes yes new displays is needed, it does not stand up correctly, probably hit a few times. 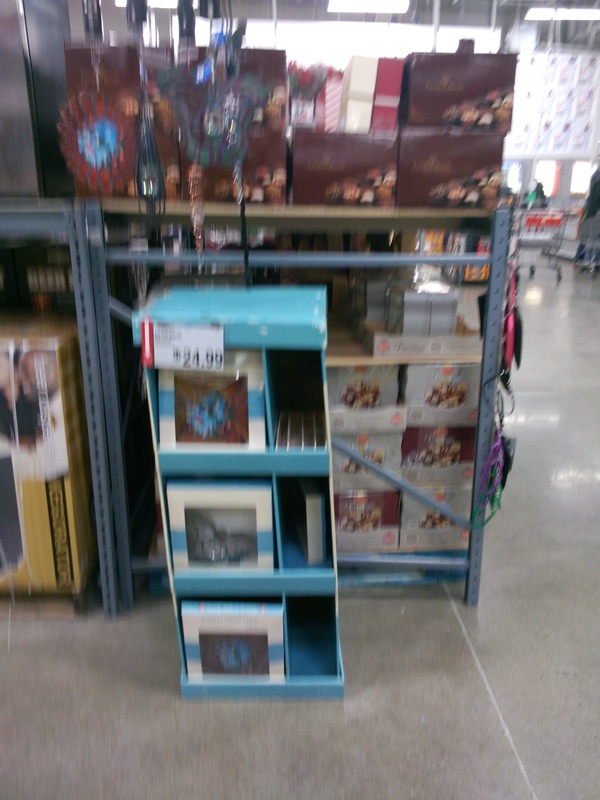 It also fell over when I was there. 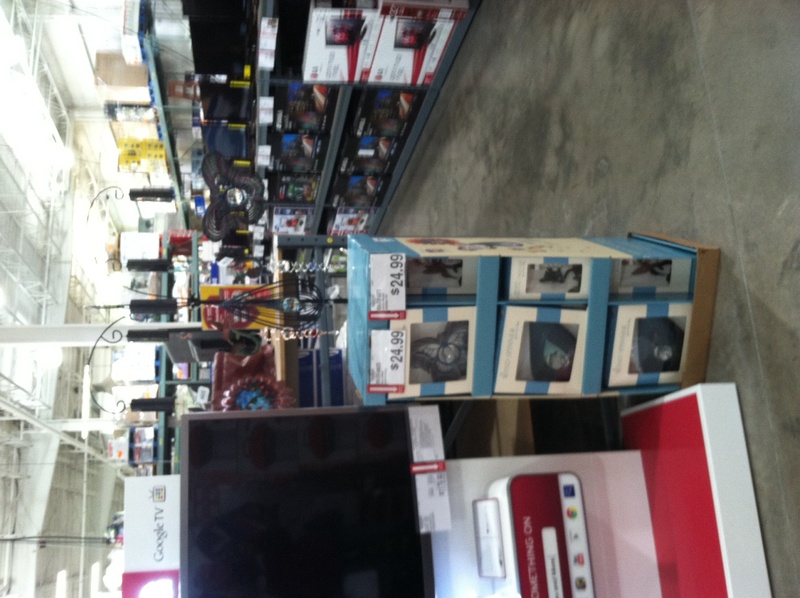 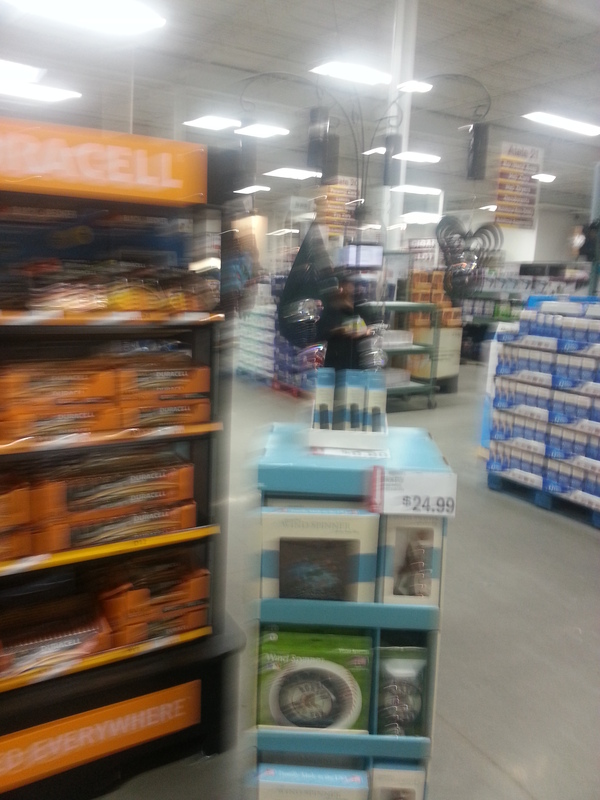 2014-01-04 14:57:21 57 2013/2014 BJsHolidaydisplay304 Reading PA 01-04-2014 endcap in seasonal Good No Yes Yes no problems with display Ashancia yes no yes no store either sold or stolen display model of Hum-twister and motor. 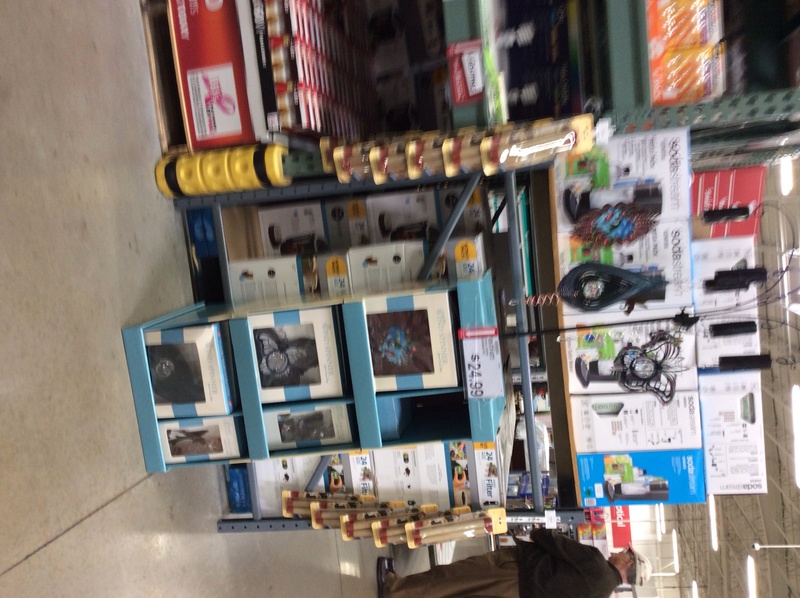 2014-01-04 14:18:20 200 2013/2014 BJsHolidaydisplay300 Oaks PA 01-04-2014 end cap seasonal Good No Yes No no problems Jason yes no yes no one tear spinner stolen found empty box in back of stock. 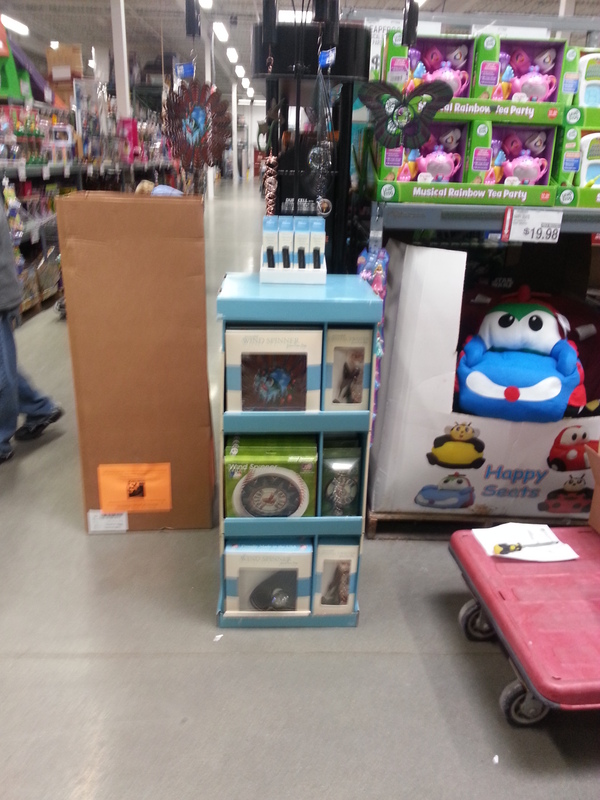 2013-12-27 04:07:51 57 2013/2014 BJsHolidaydisplay257 Reading PA 12-26-2013 endcap seasonal Good Yes Yes Yes No problems Emiley yes no no no Motors almost sold out. 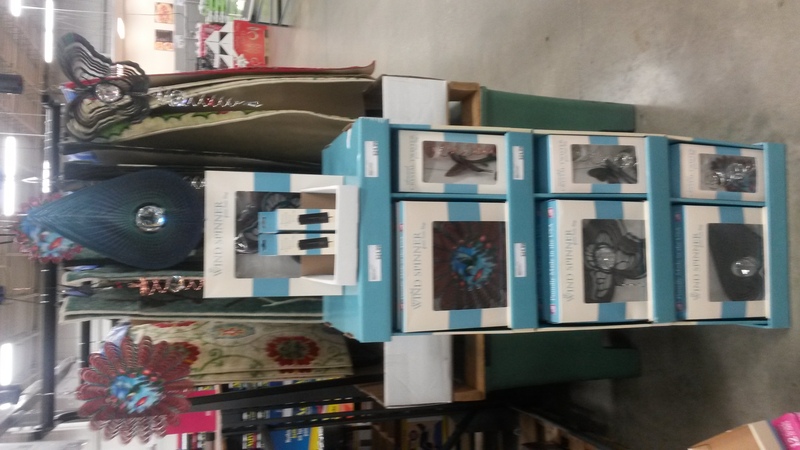 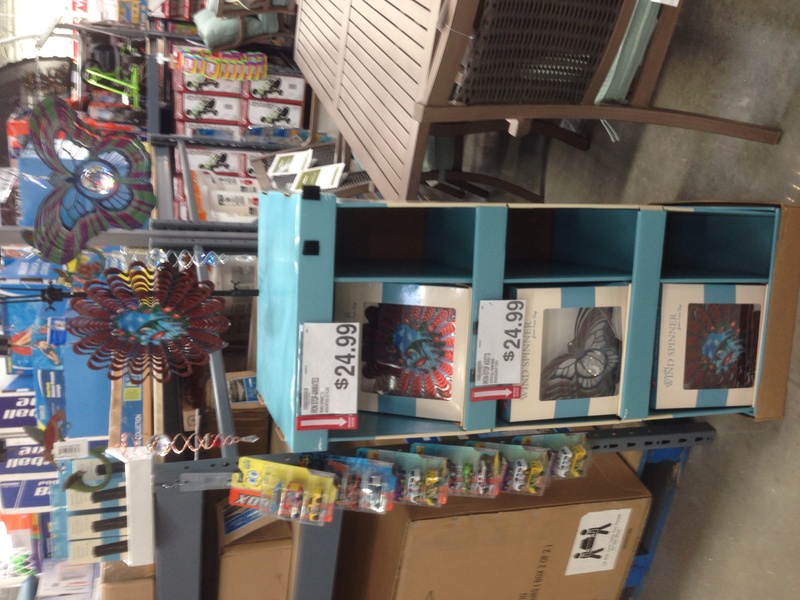 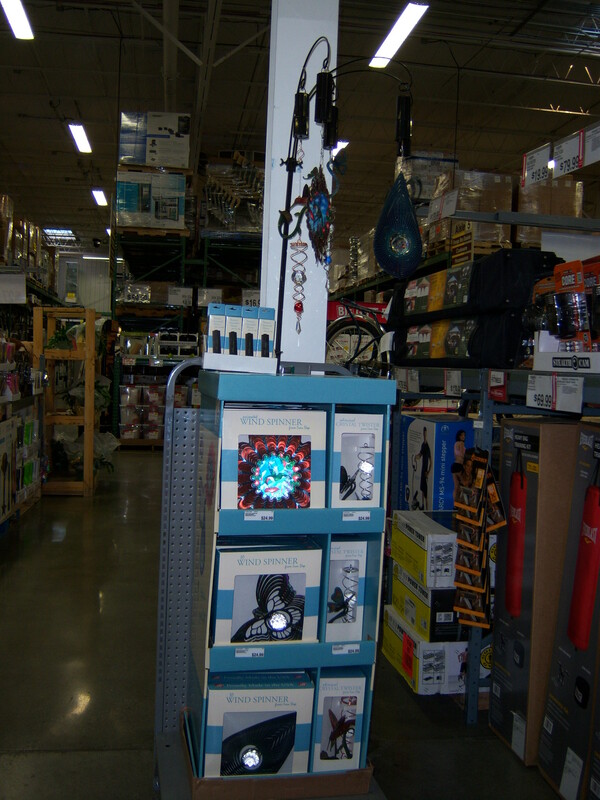 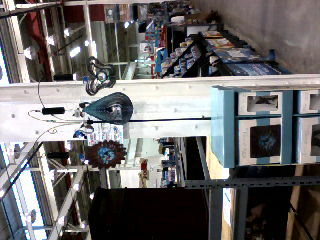 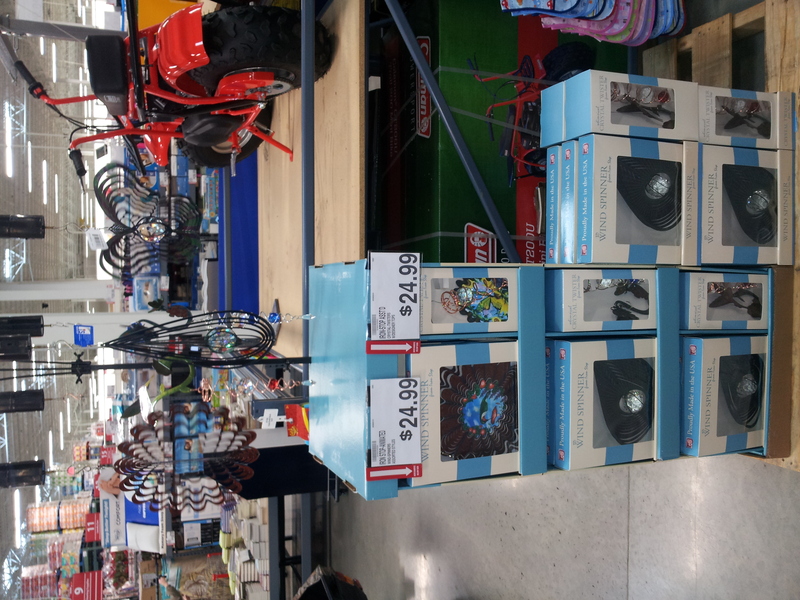 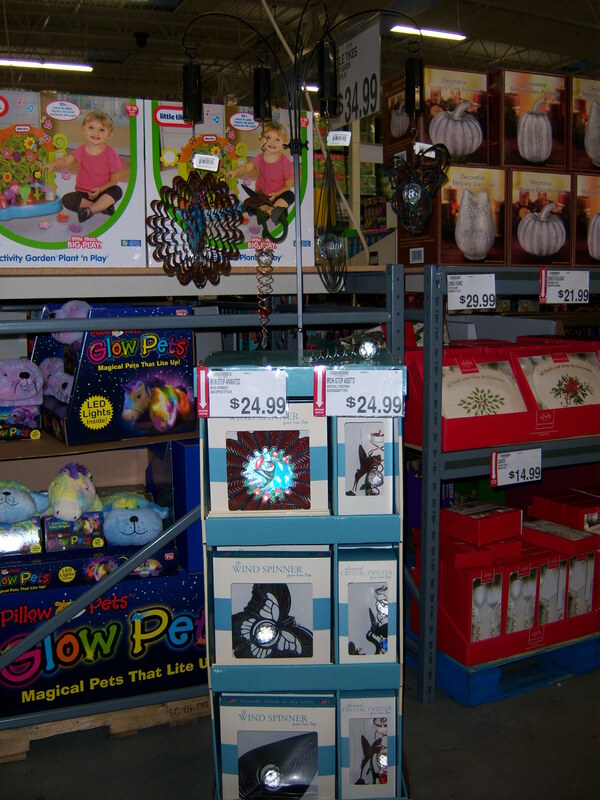 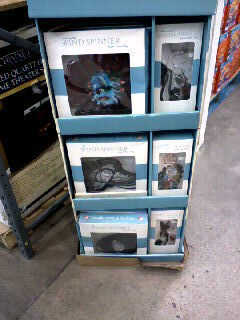 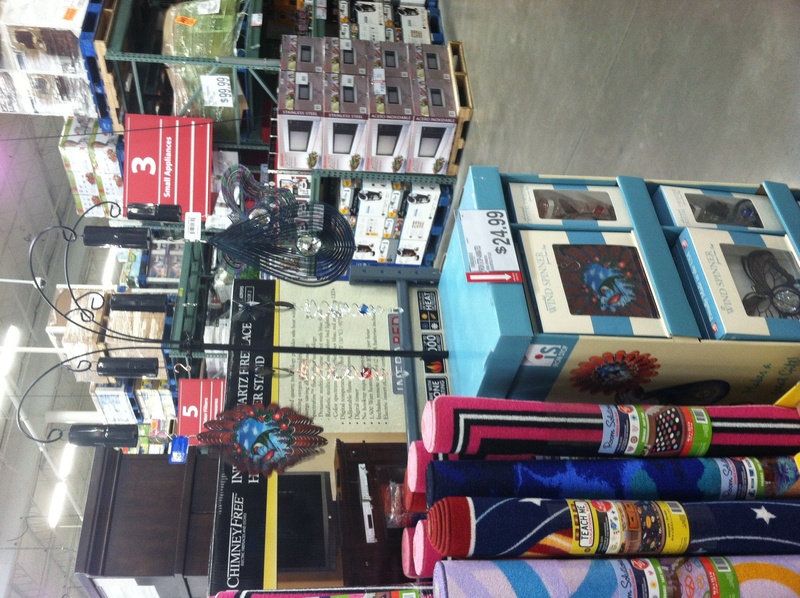 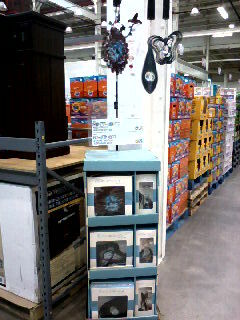 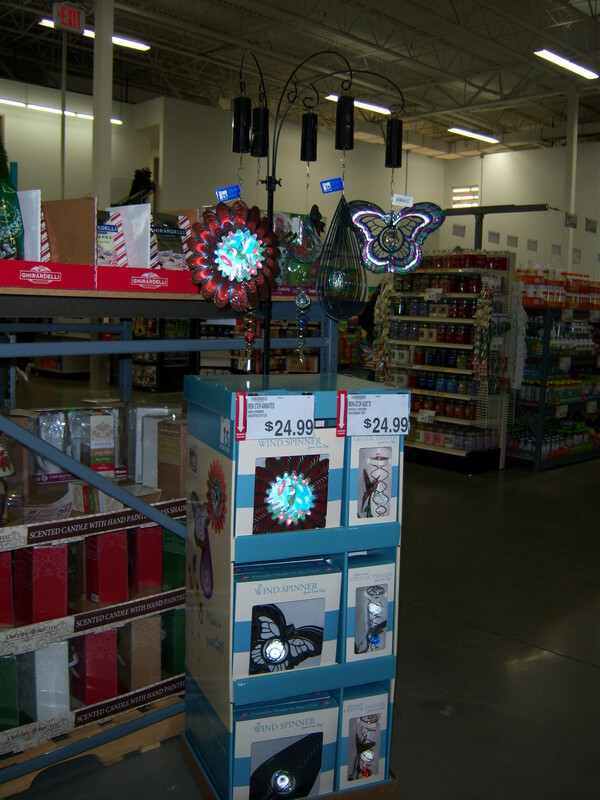 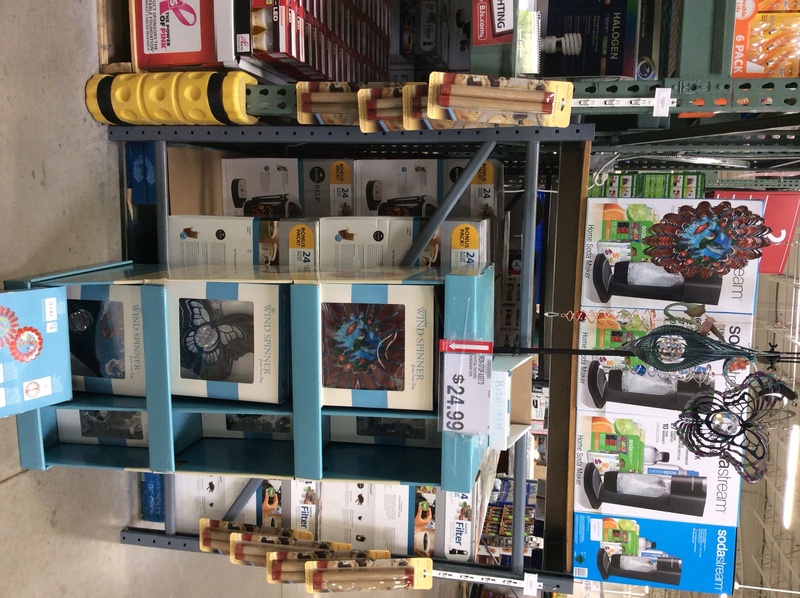 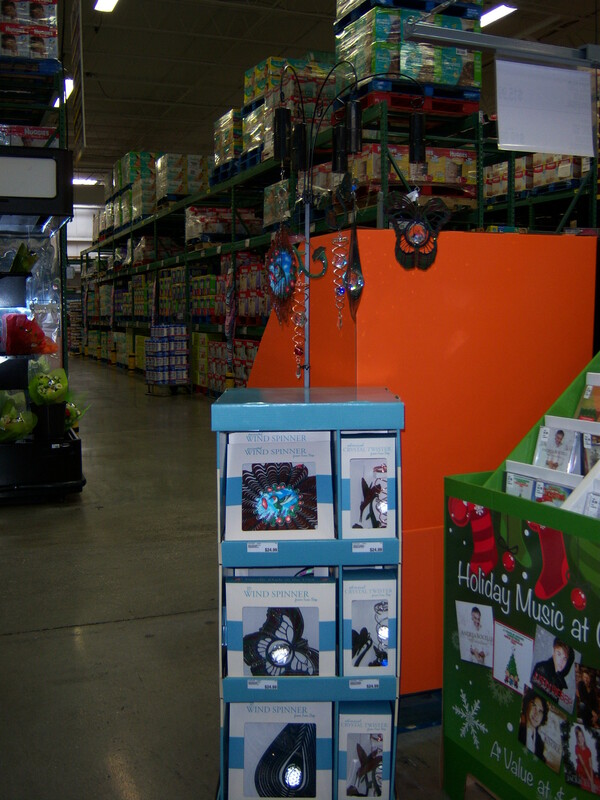 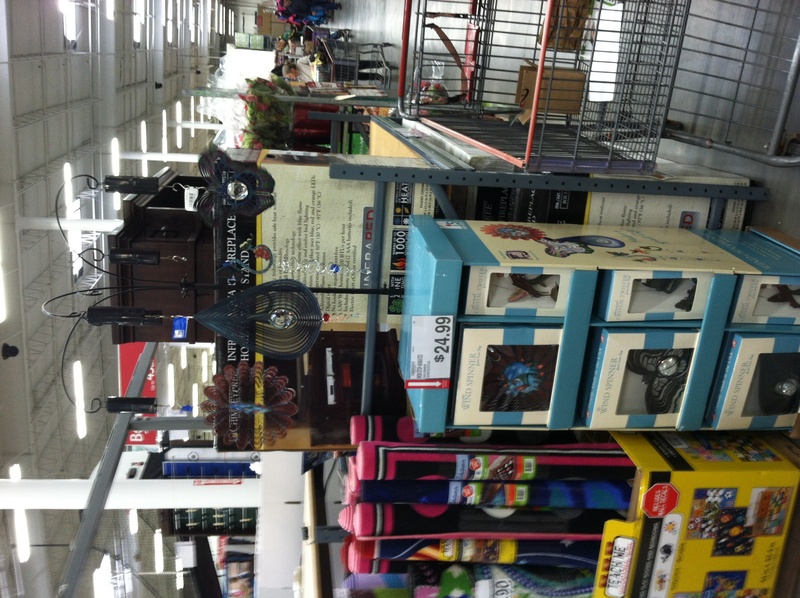 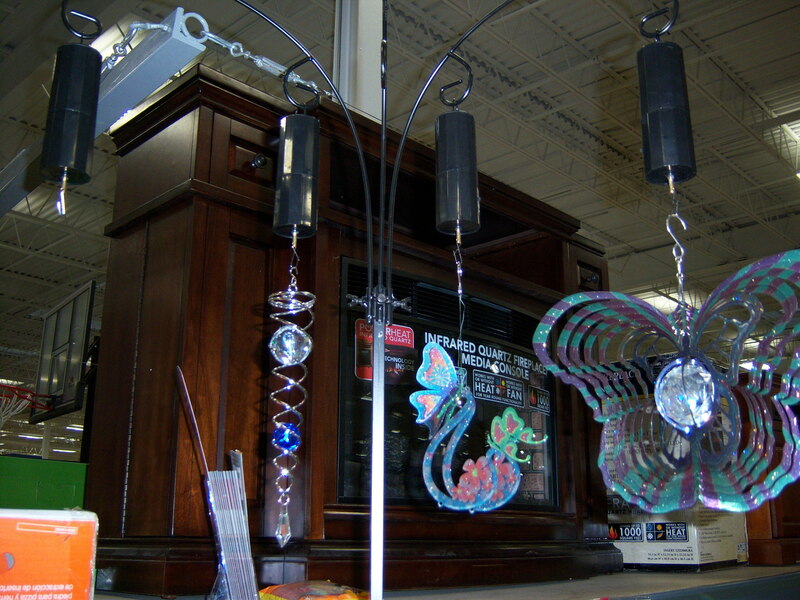 Sold out of Hum-bird twisters and But-fly twisters. 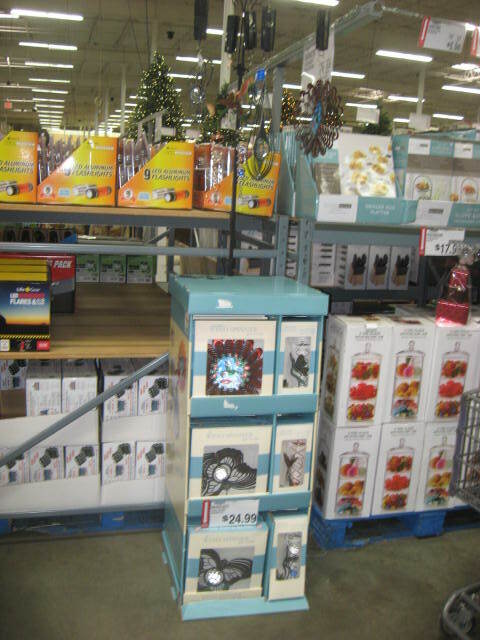 2013-12-27 04:00:09 86 2013/2014 BJsHolidaydisplay256 Downingtown PA 12-26-2013 endcap in seasonal Good Yes Yes No everything is ok Eric yes no no no Sold out of motors, and Hum-bird whim twisters. 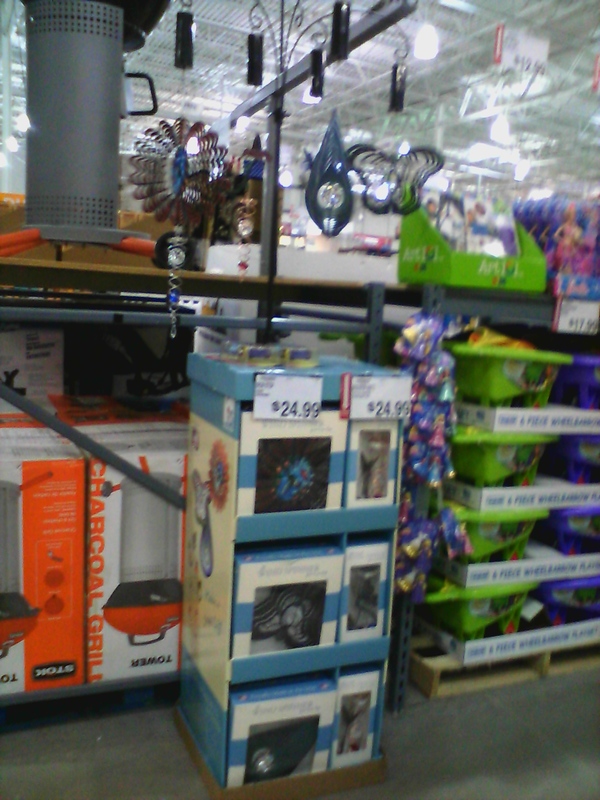 2013-12-27 03:40:25 56 2013/2014 BJsHolidaydisplay255 Springfield PA 12-26-2013 endcap in seasonal Good Yes Yes No everything was ok Debbie yes no no no Motors all sold out, Hum-bird whim twisters sold out, But-fly Spinners almost sold out. 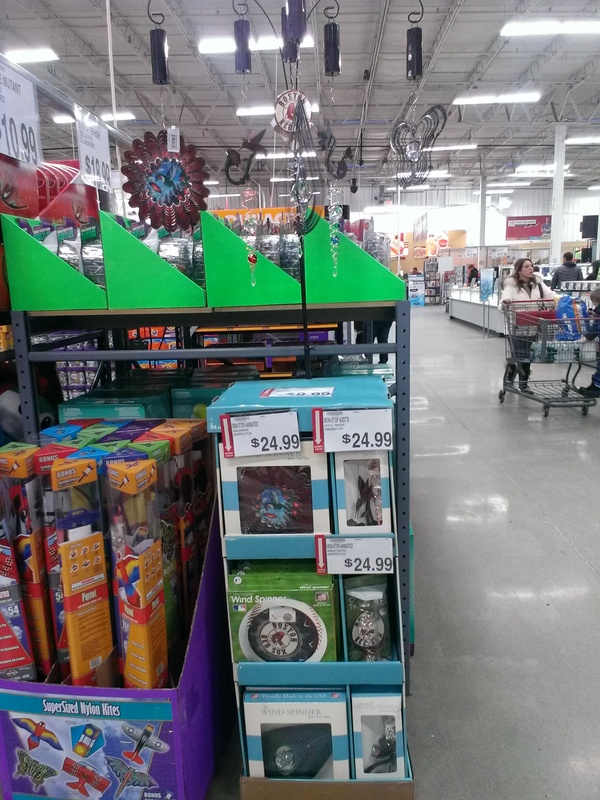 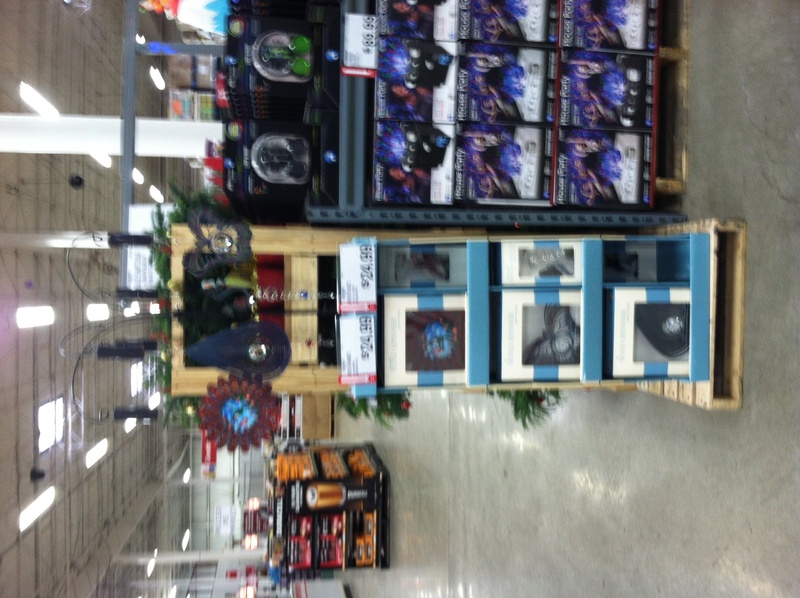 2013-12-27 03:27:23 92 2013/2014 BJsHolidaydisplay254 Conshohocken PA 12-26-2013 endcap in seasonal Poor Yes Yes No No problems Adam yes yes no no All motors sold out. 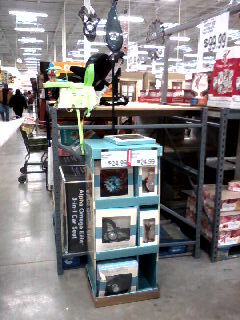 They sold display hum-bird twister & motor. 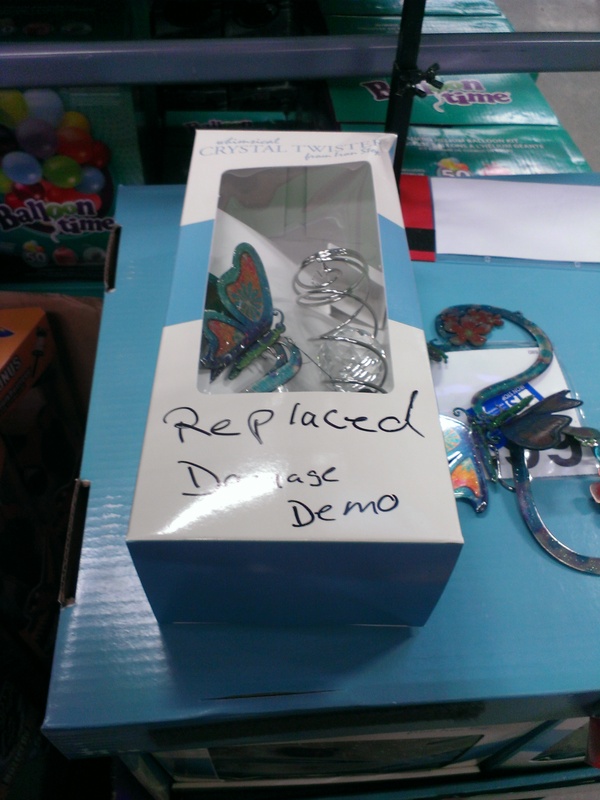 Did not replace it no spares. 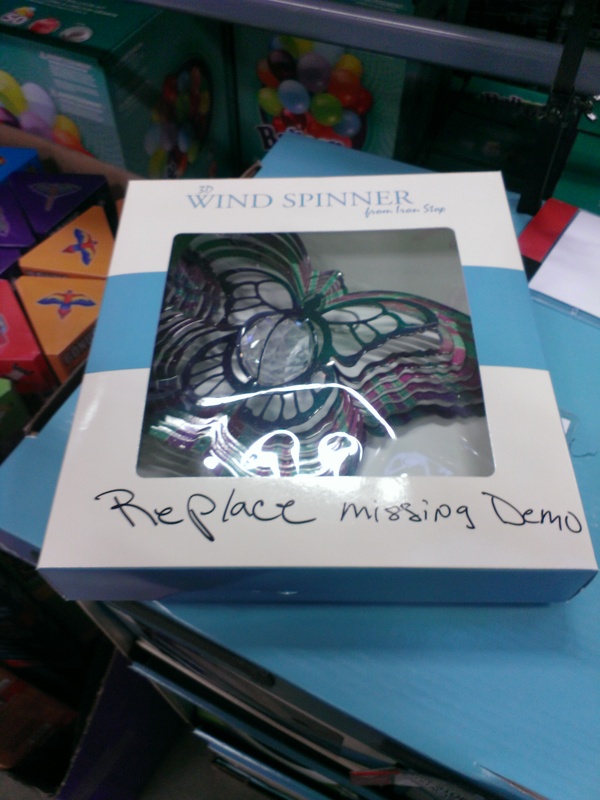 Display model of but-fly twister broken. 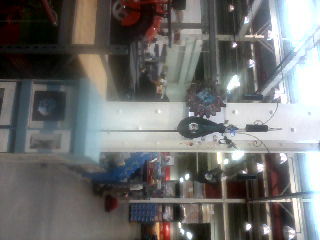 I repaired it and rehung it. 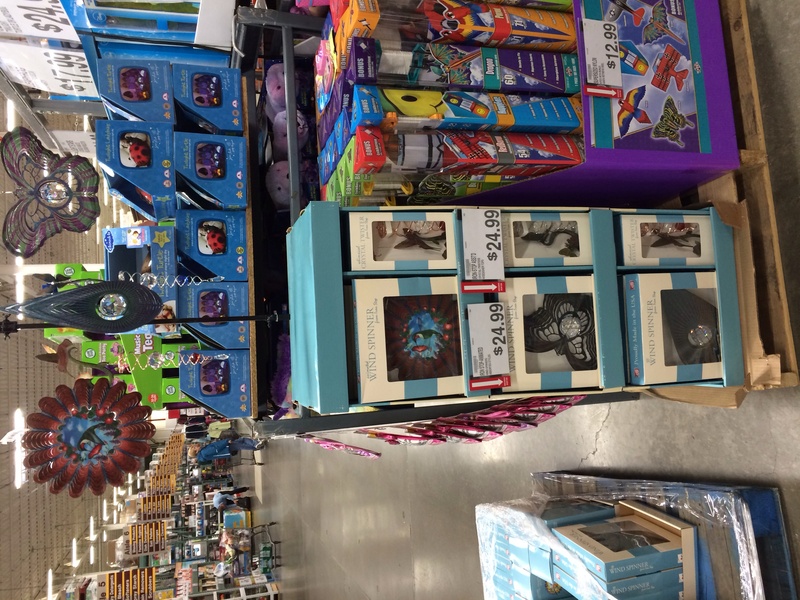 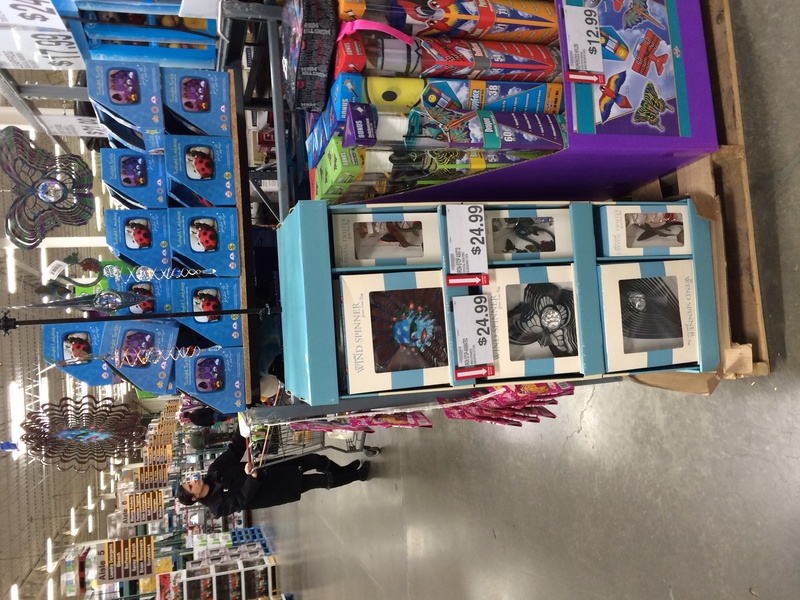 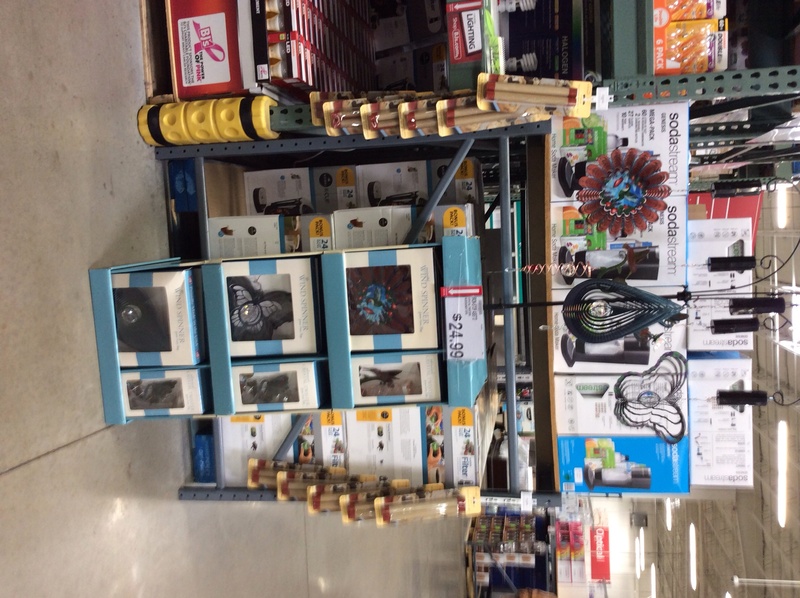 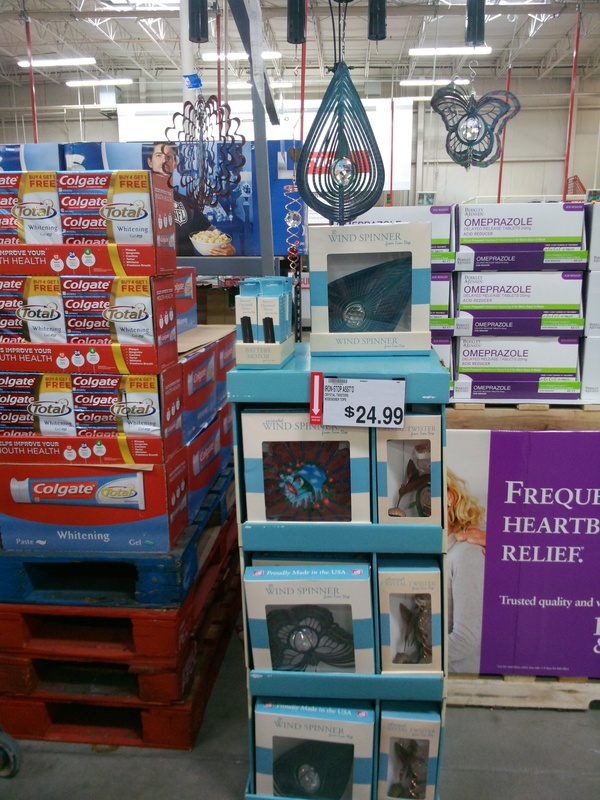 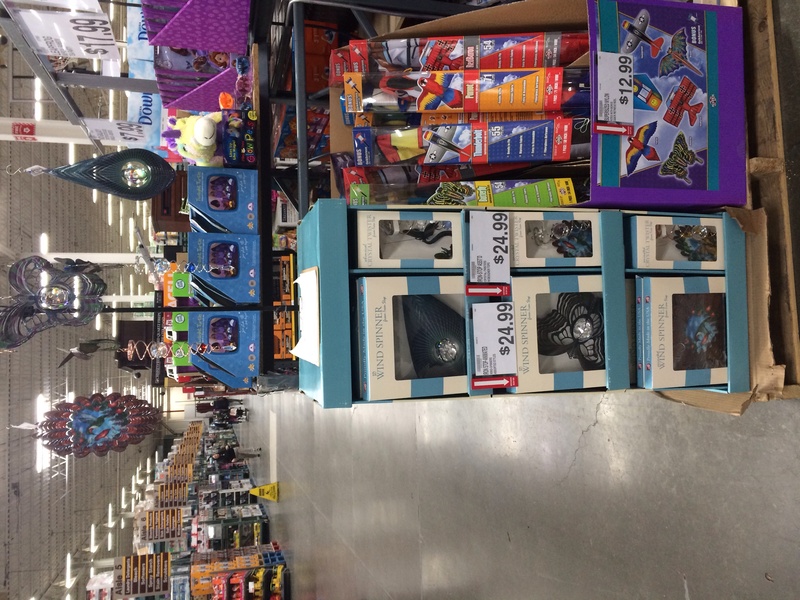 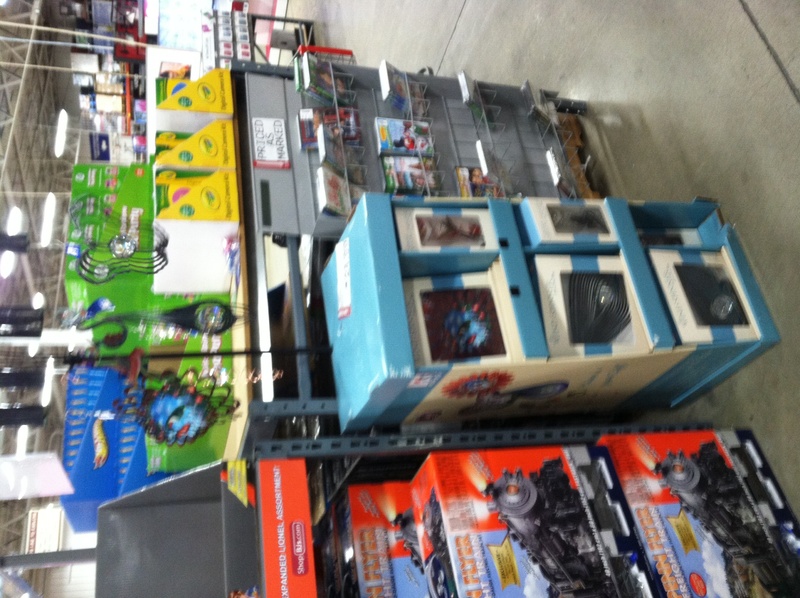 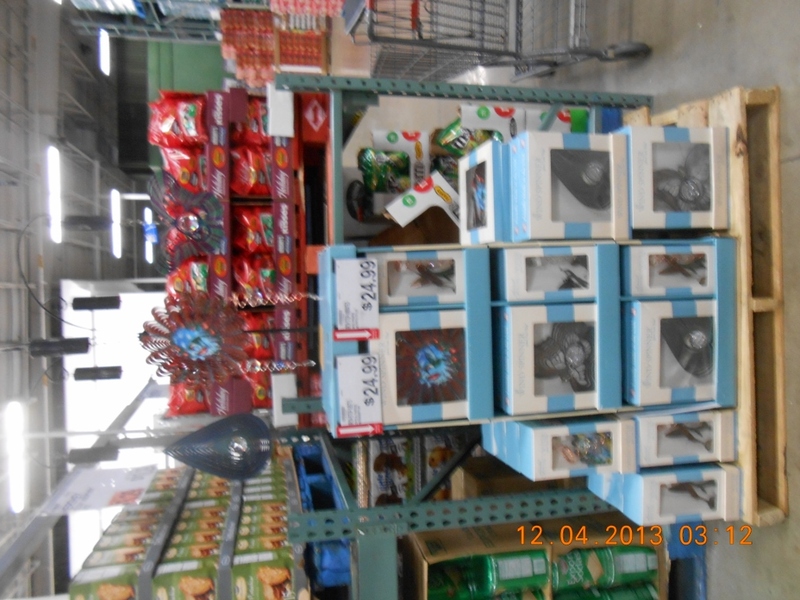 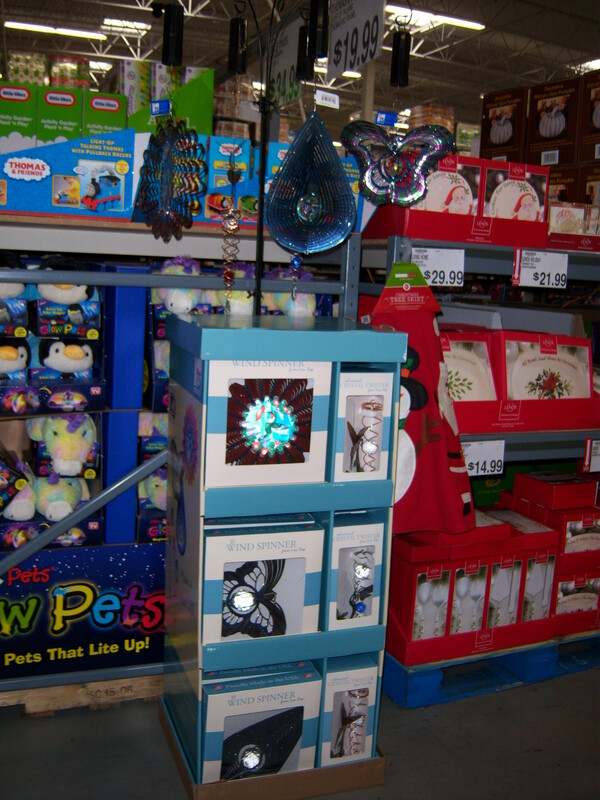 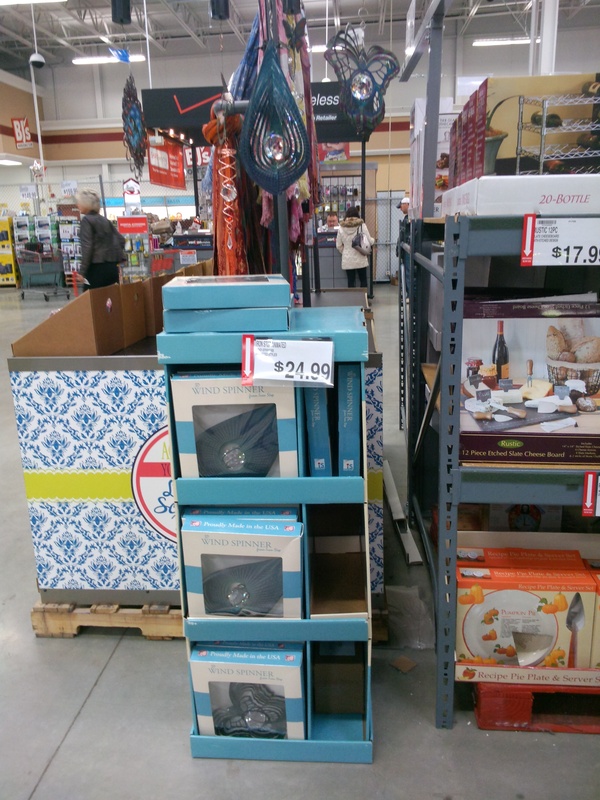 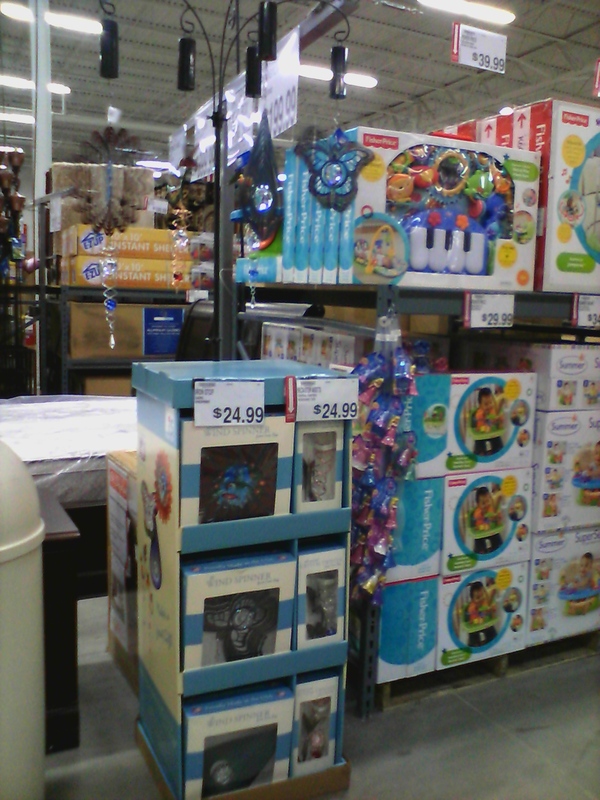 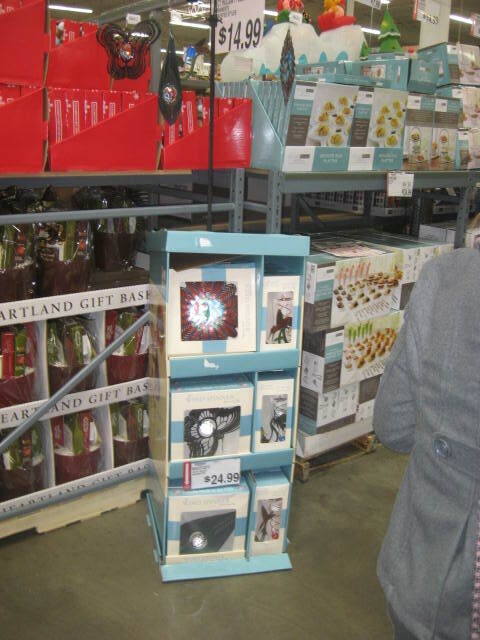 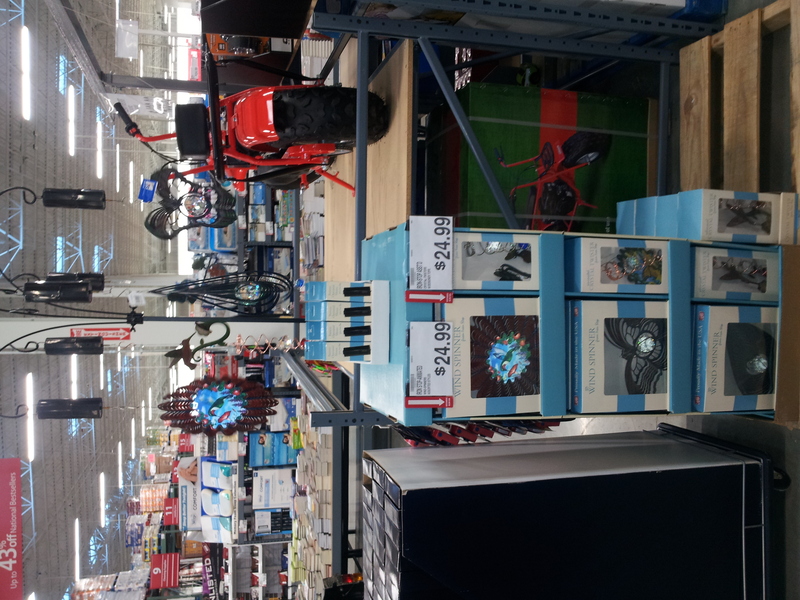 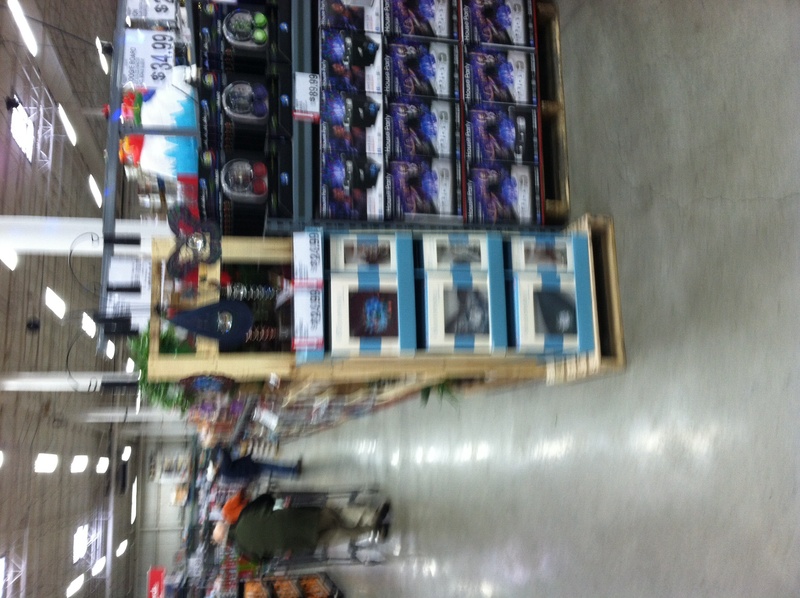 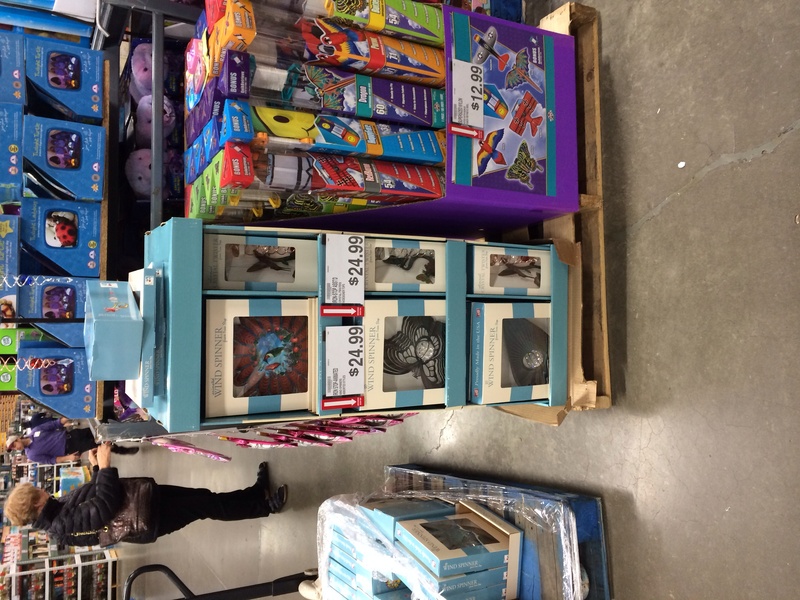 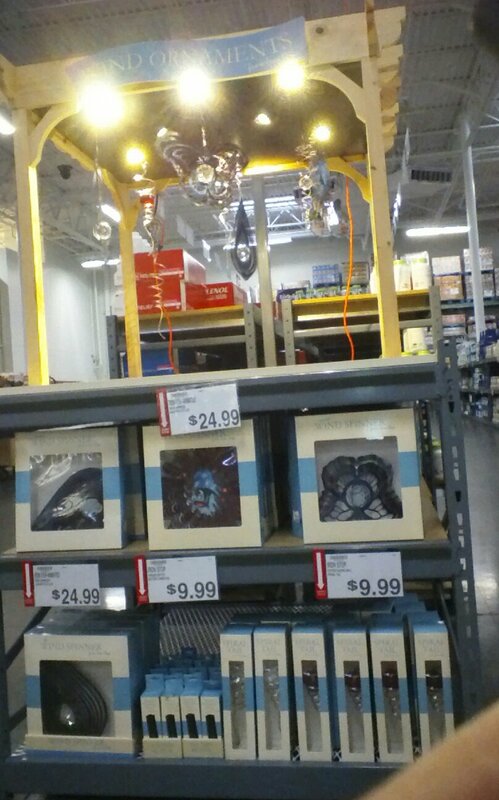 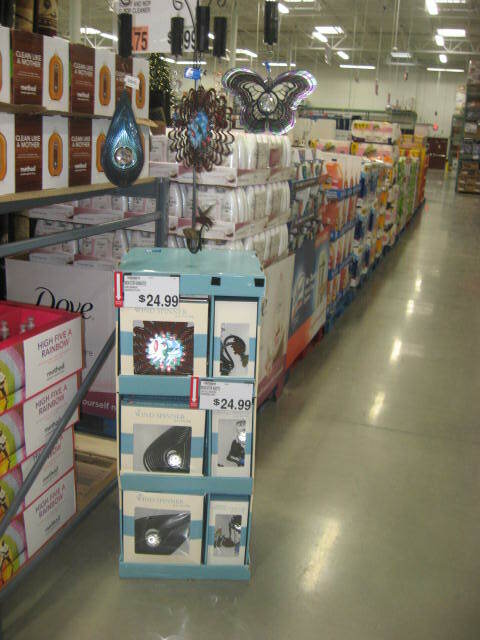 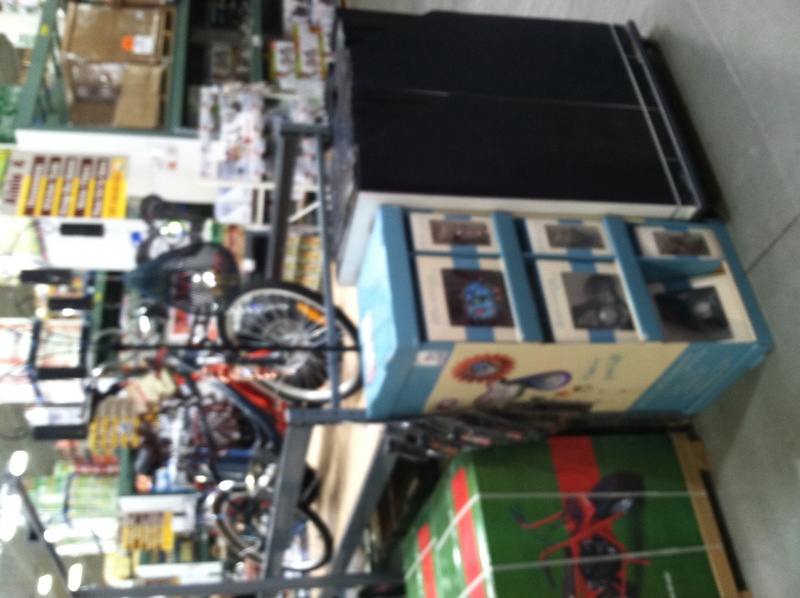 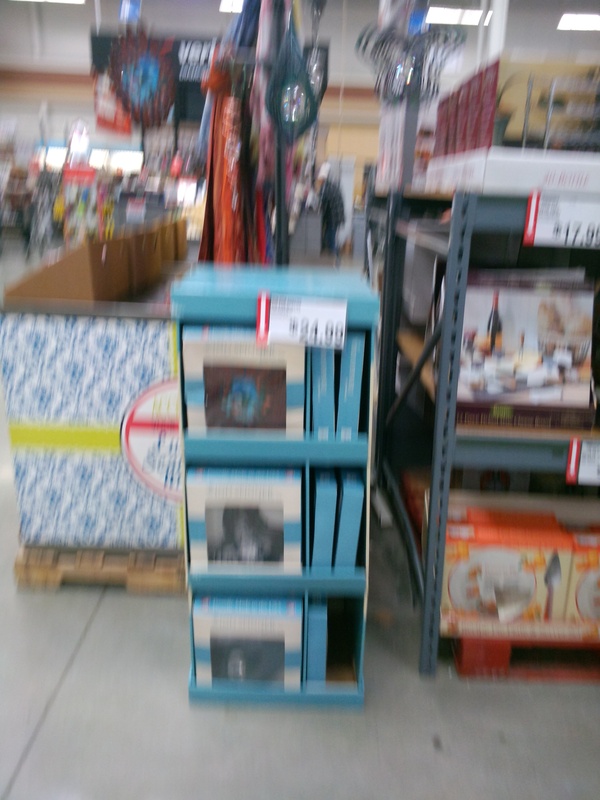 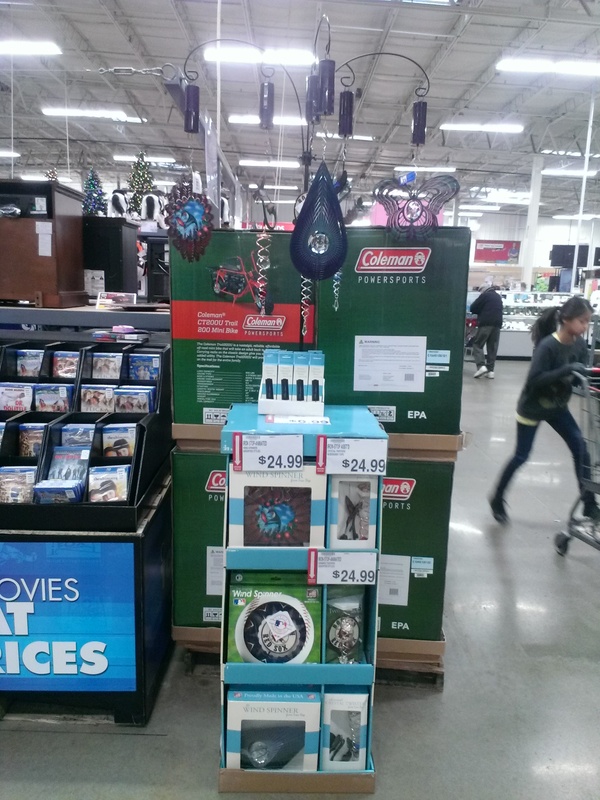 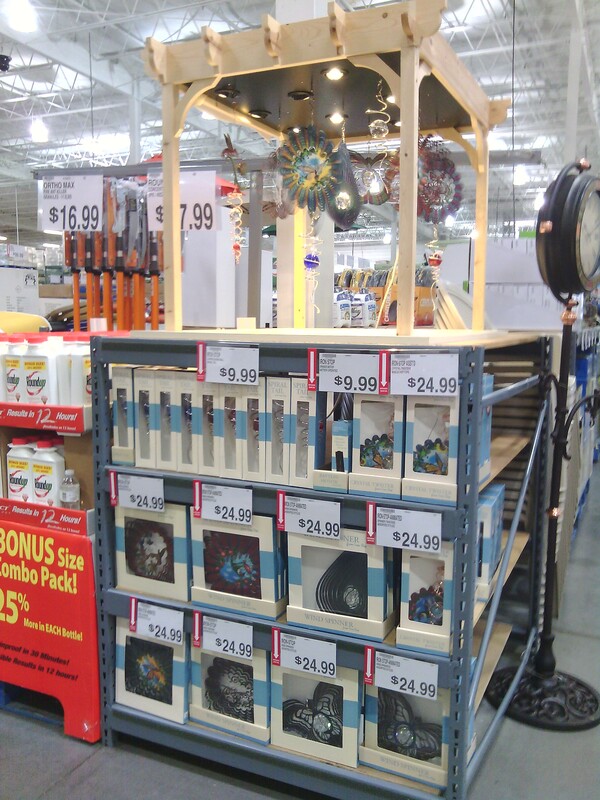 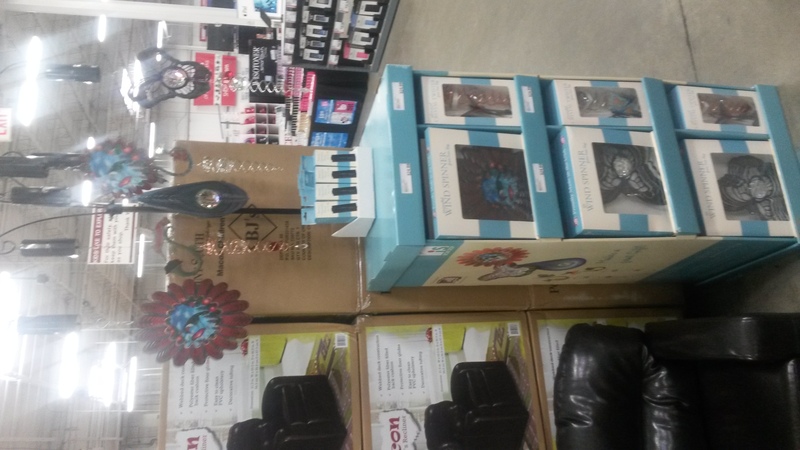 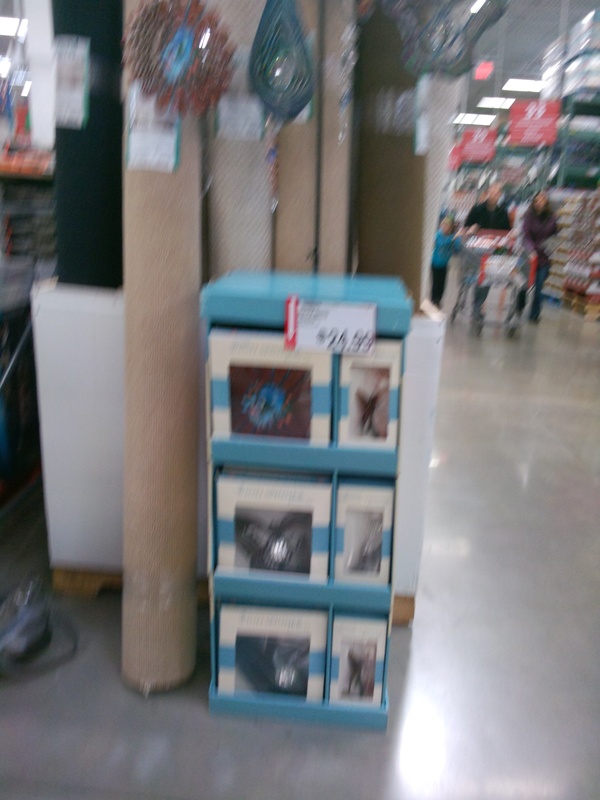 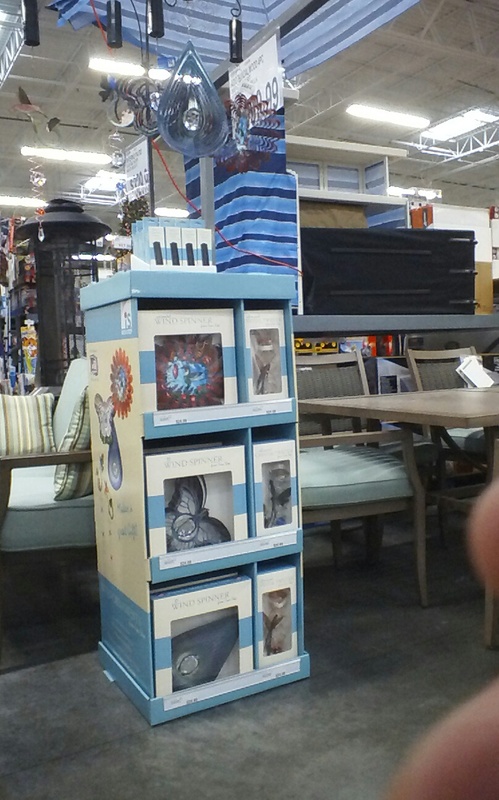 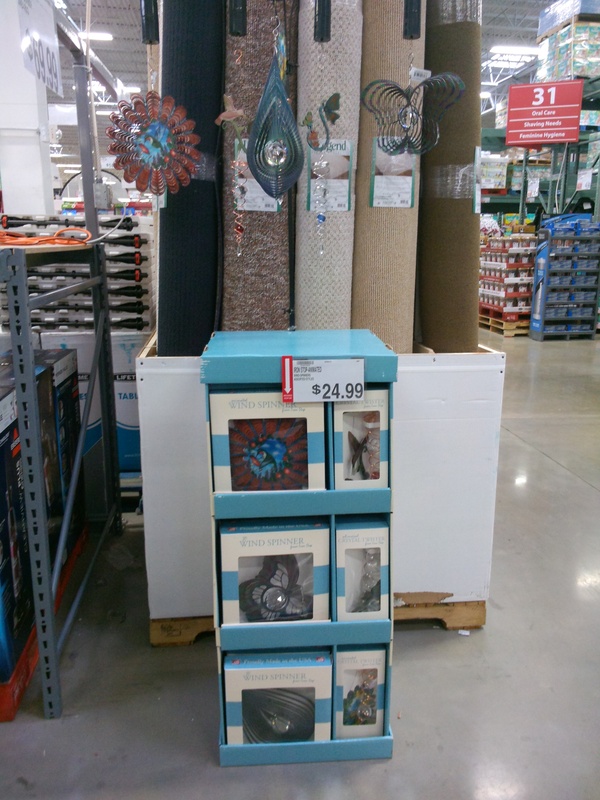 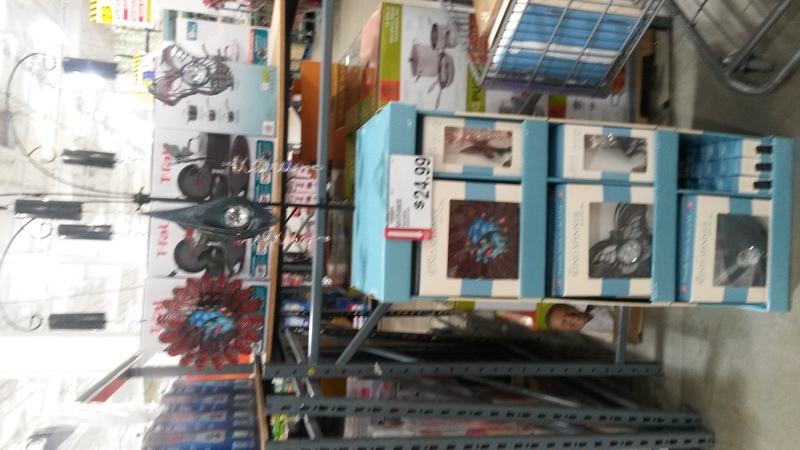 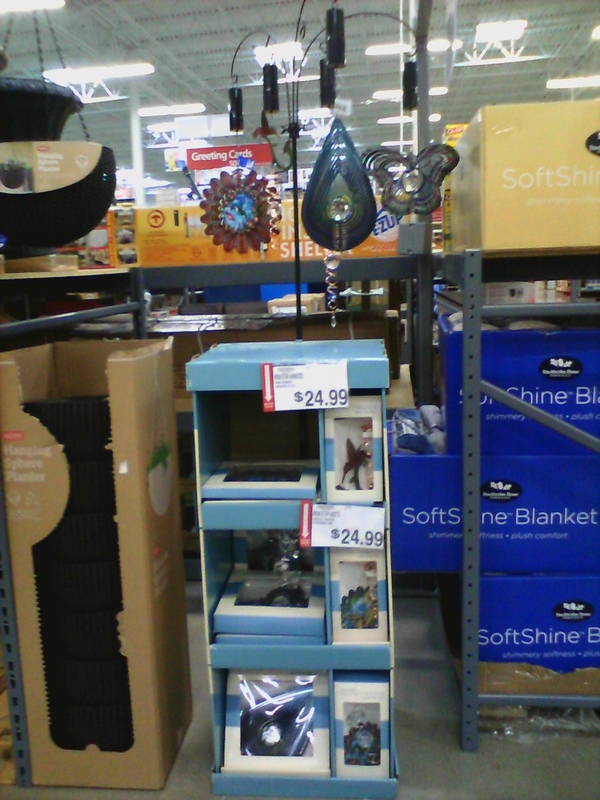 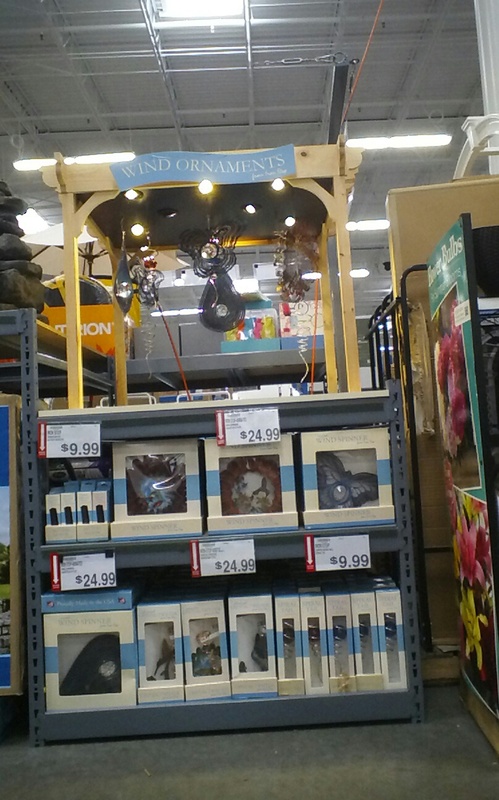 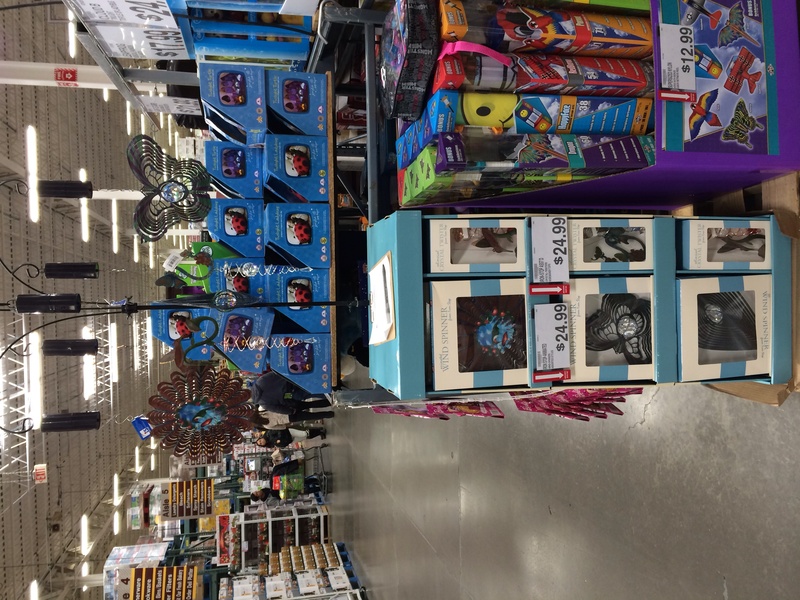 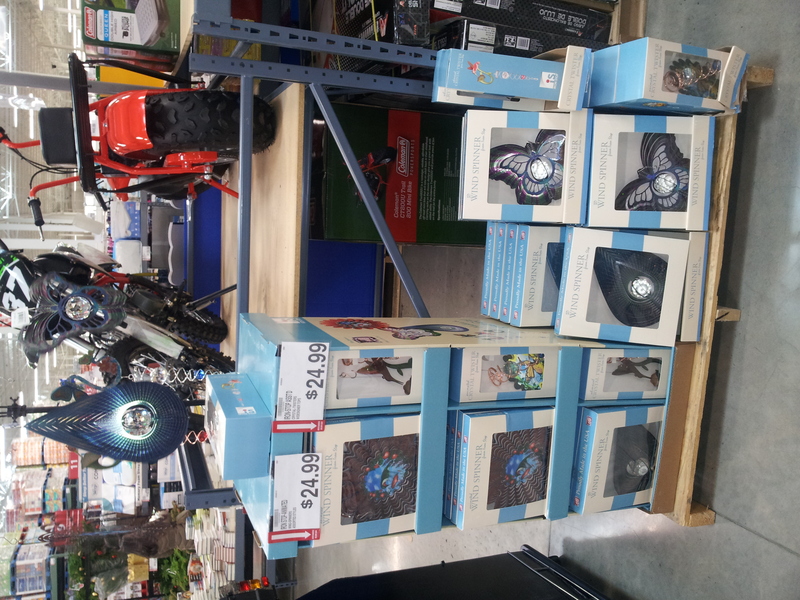 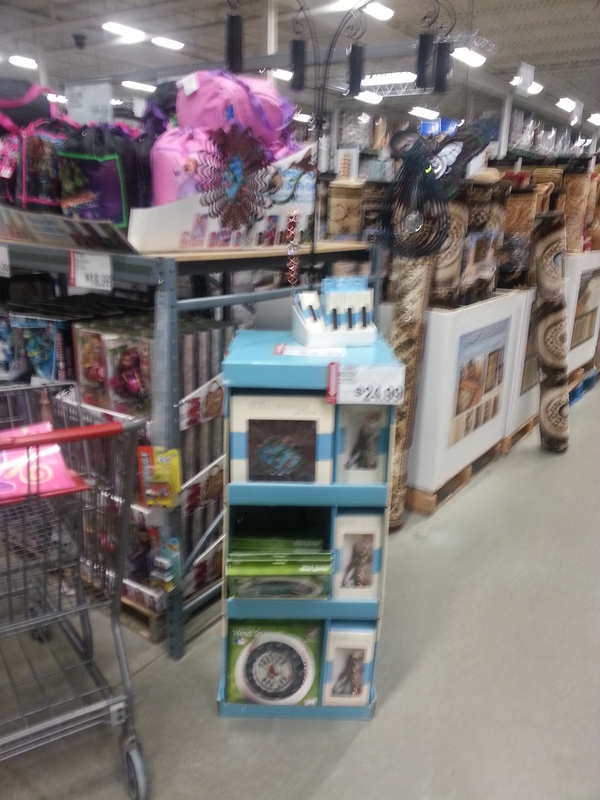 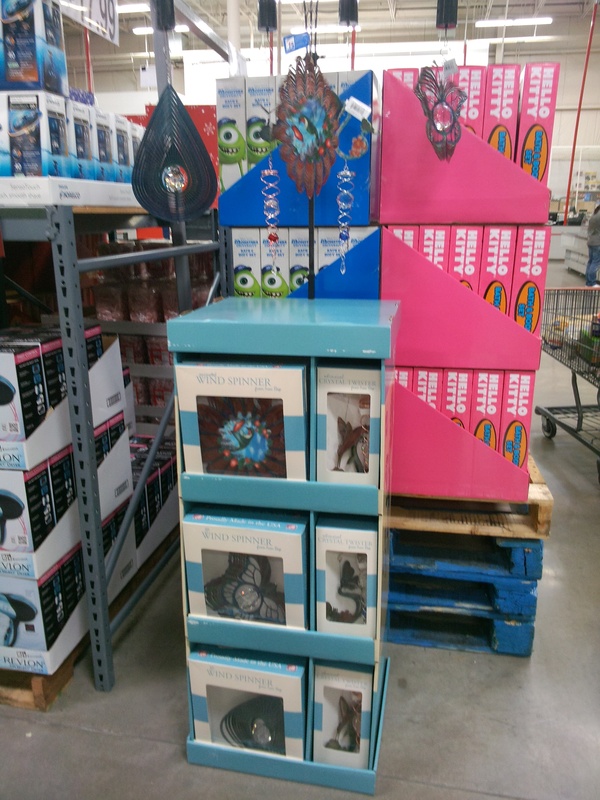 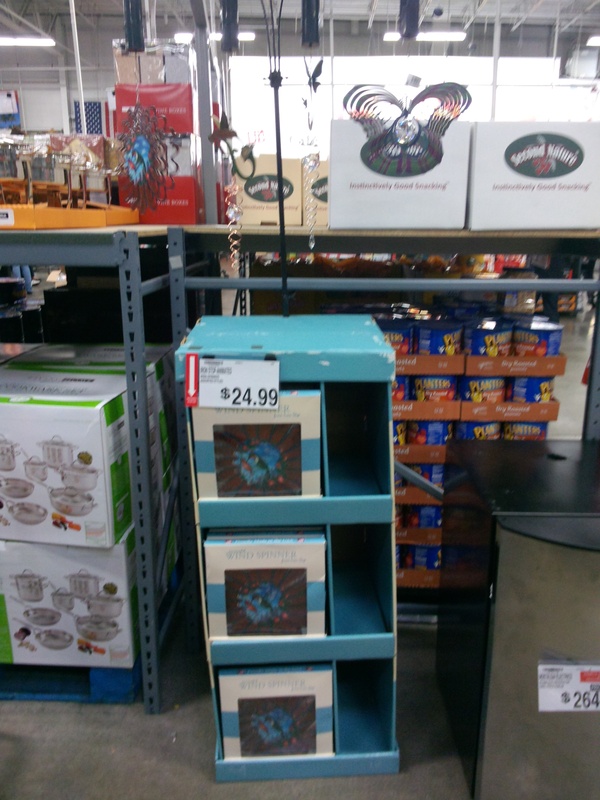 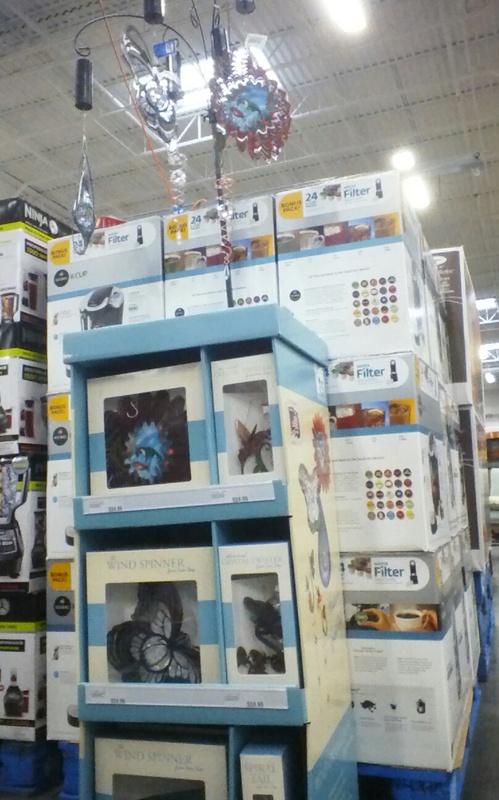 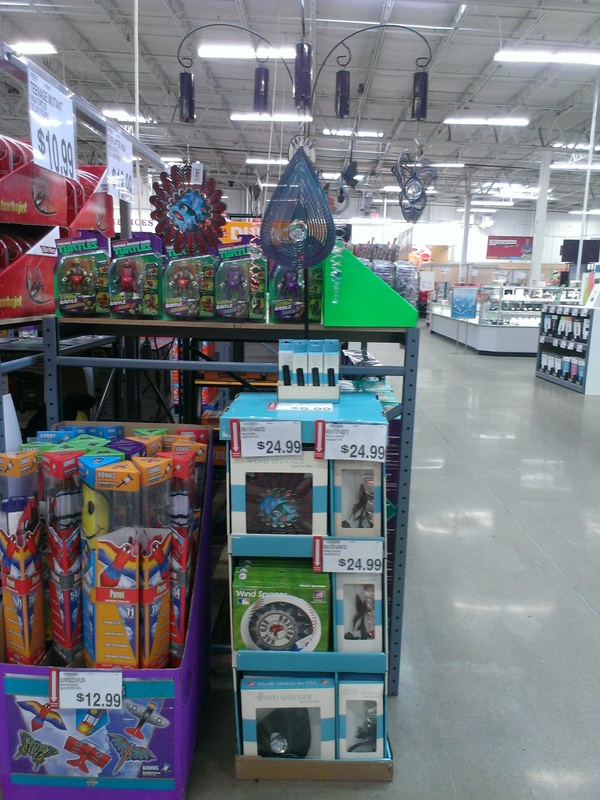 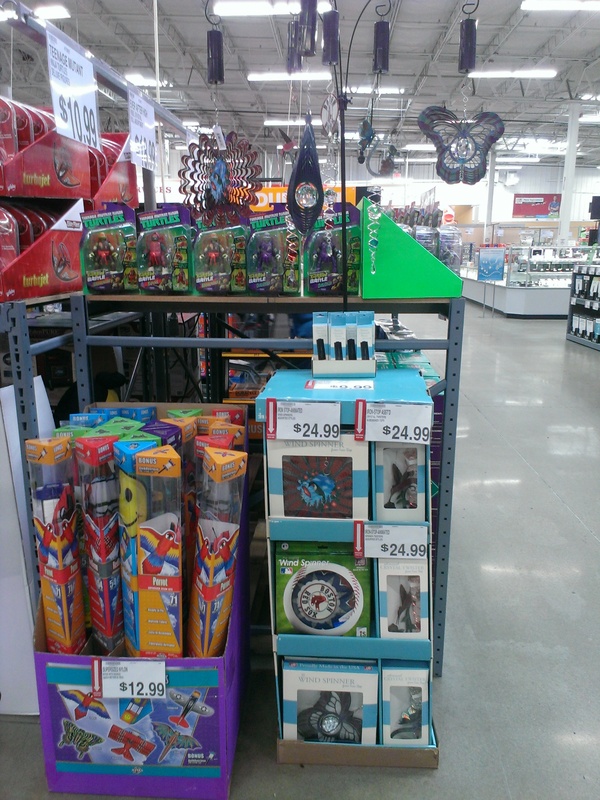 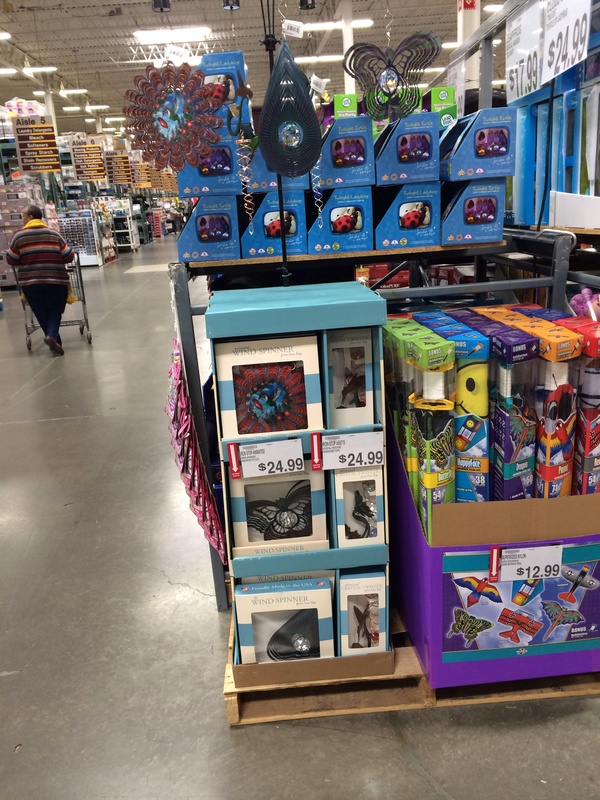 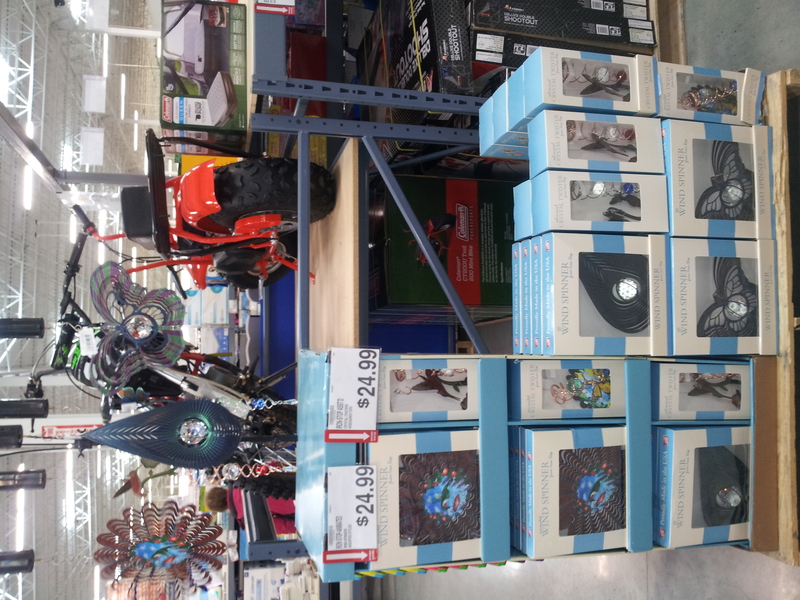 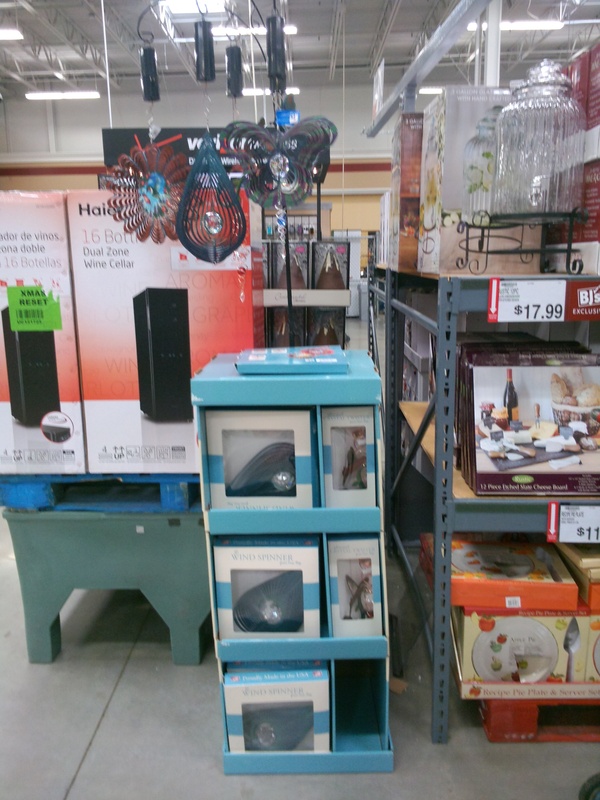 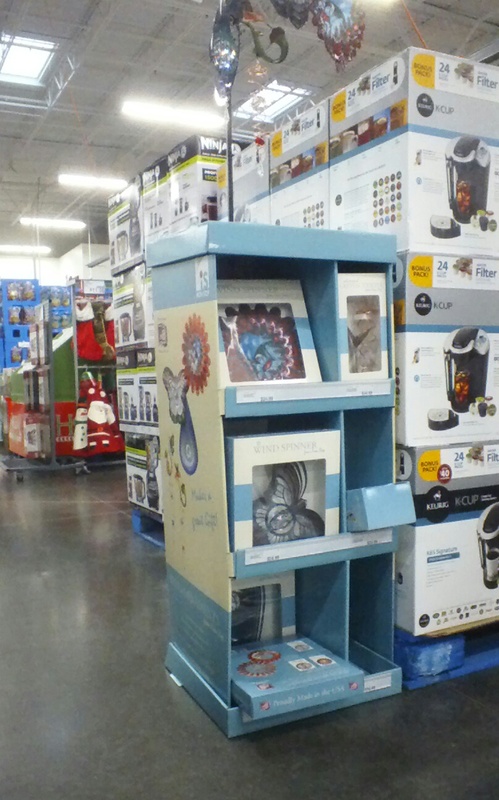 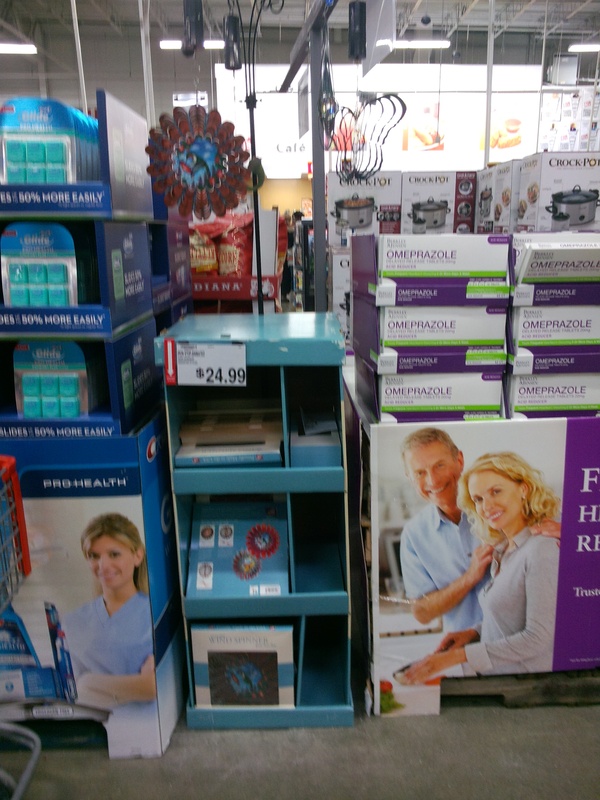 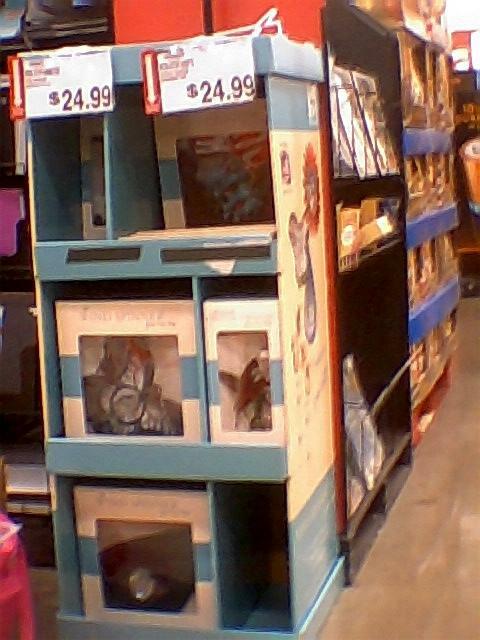 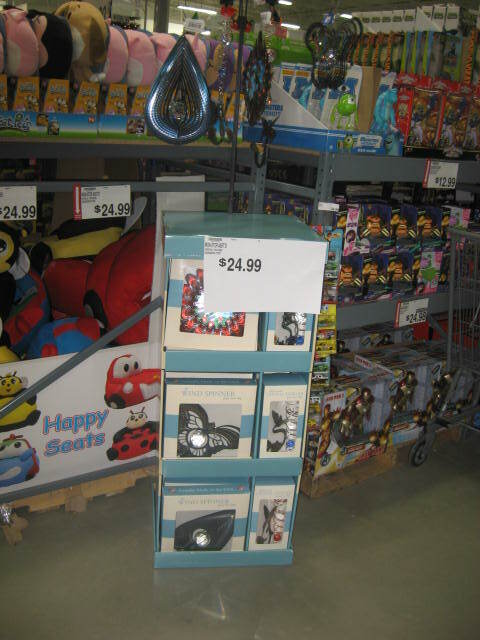 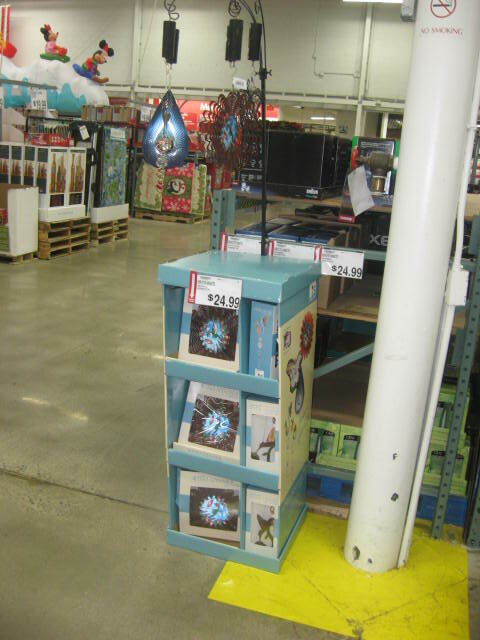 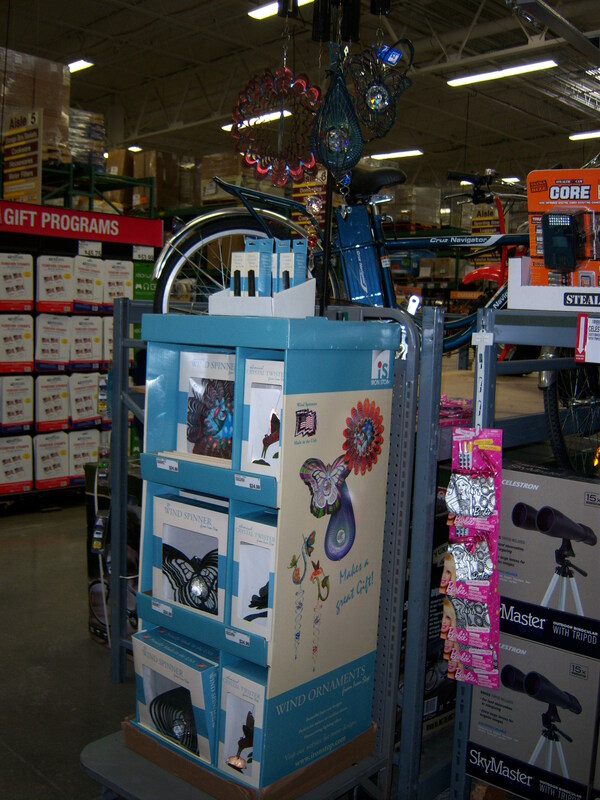 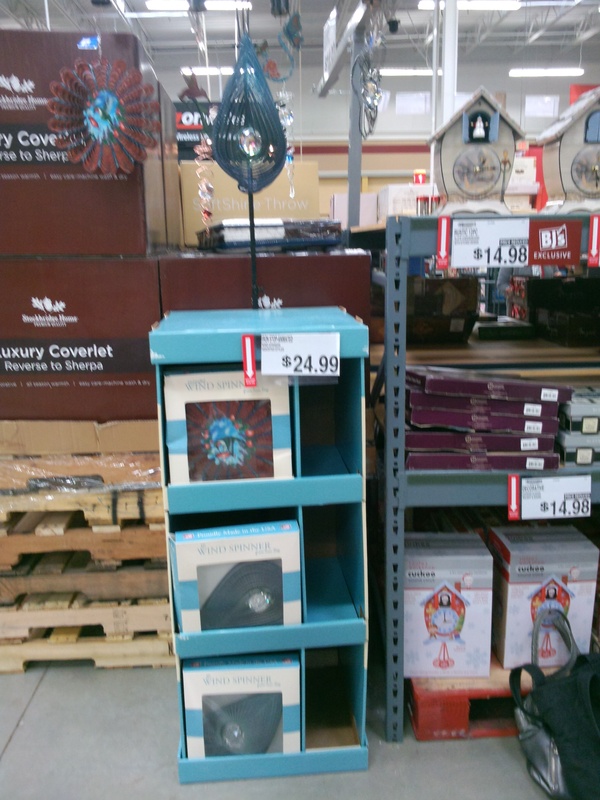 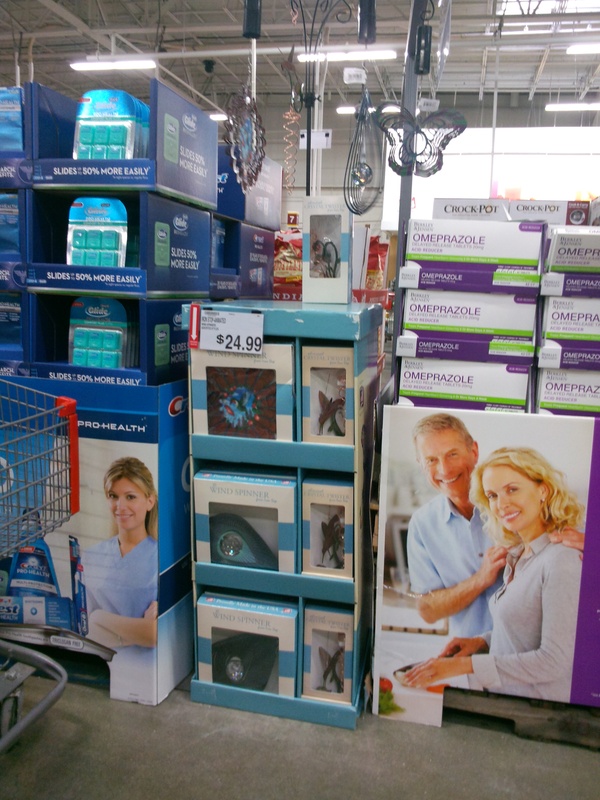 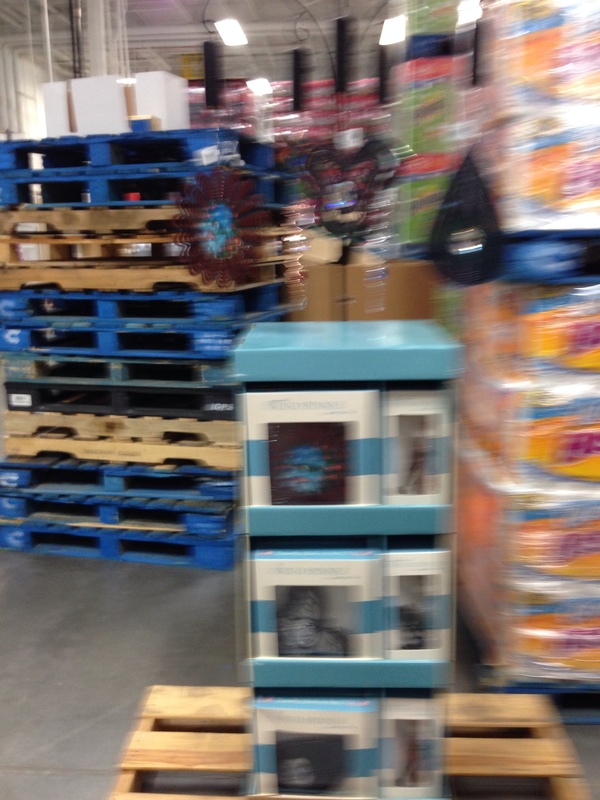 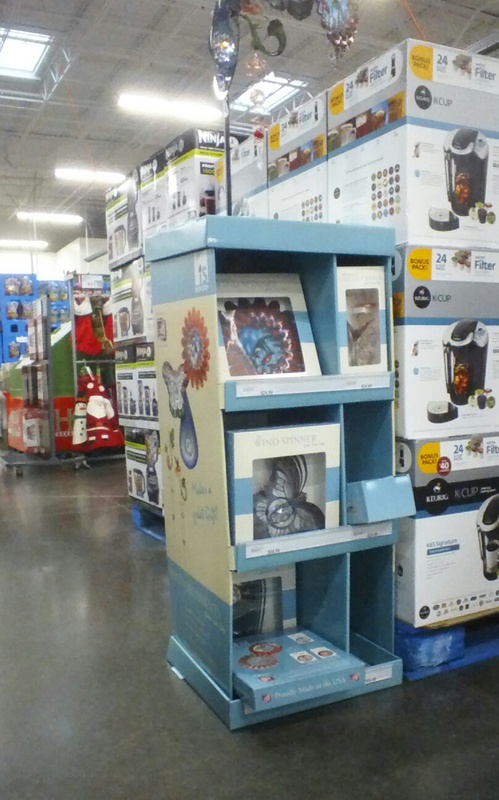 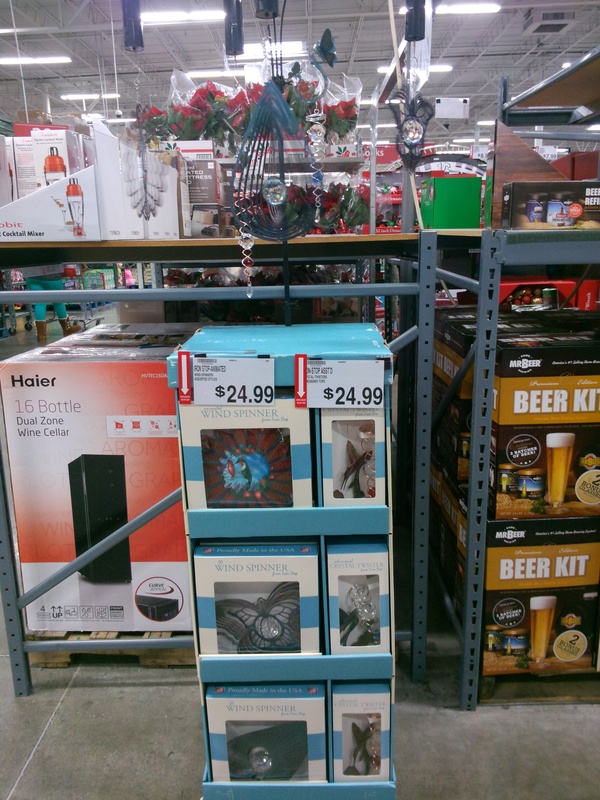 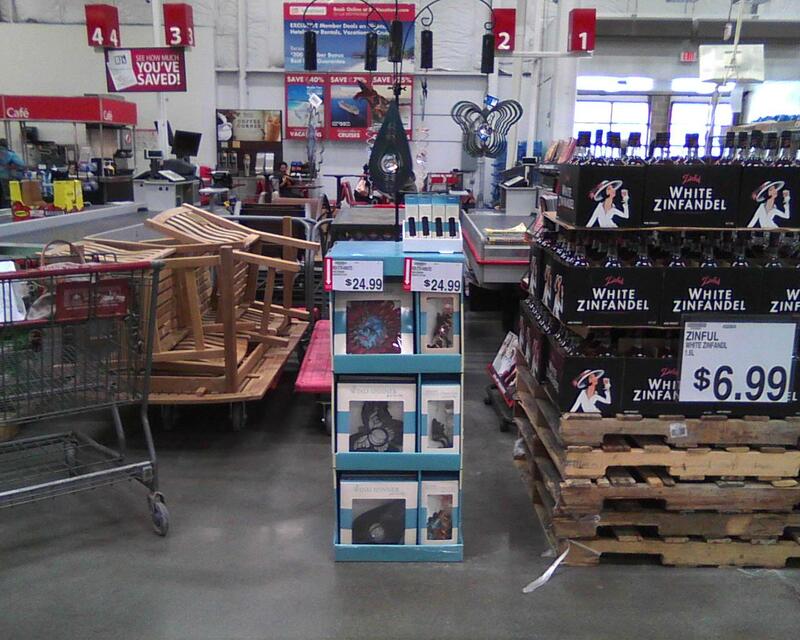 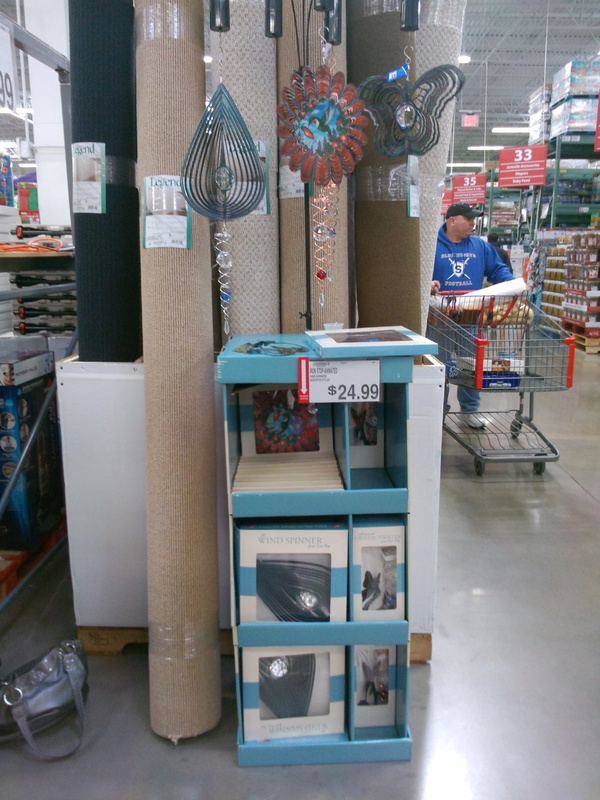 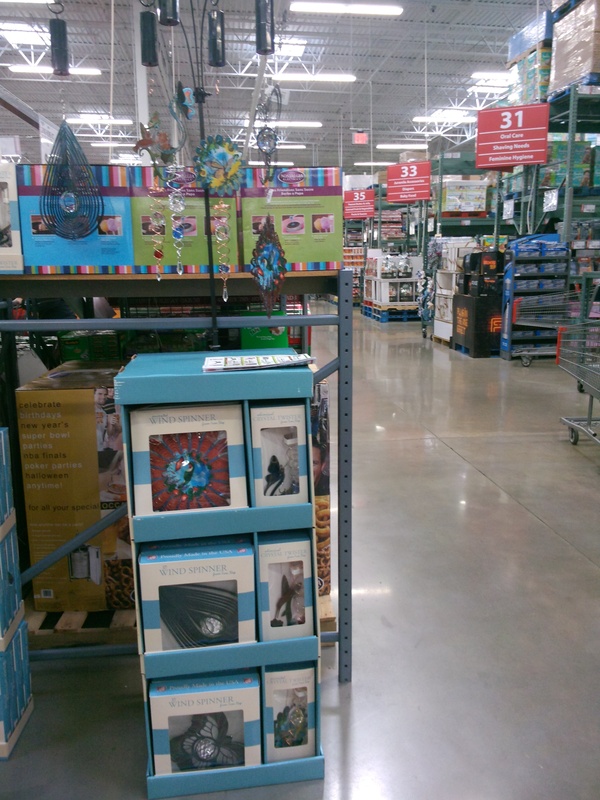 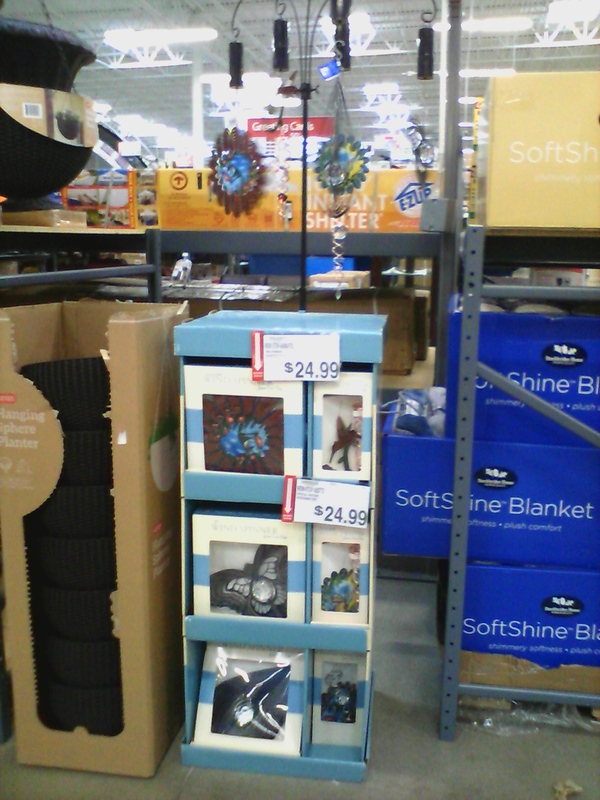 2013-12-26 16:54:13 173 2013/2014 BJsHolidaydisplay244 Wallingford CT 12-24-2013 Seasonal row B Good Yes Yes Yes The display is almost out of product and no shipment could be located in receiving. 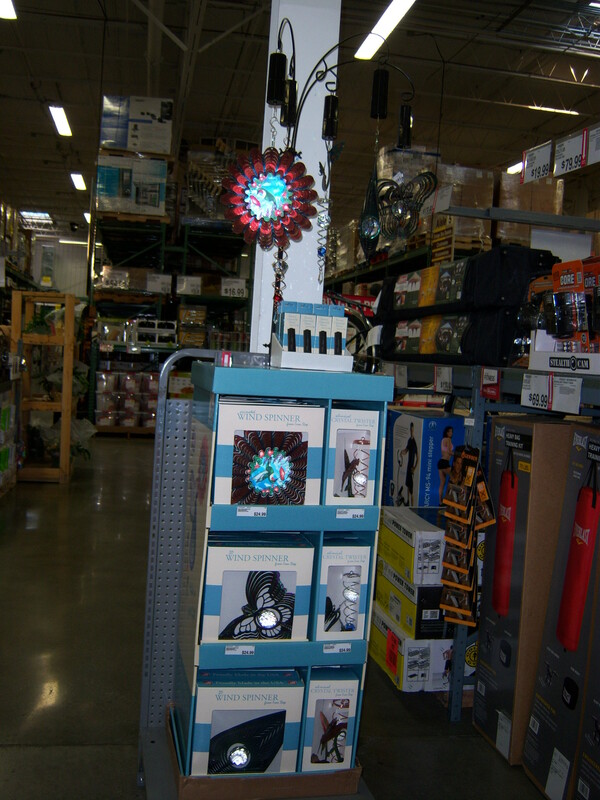 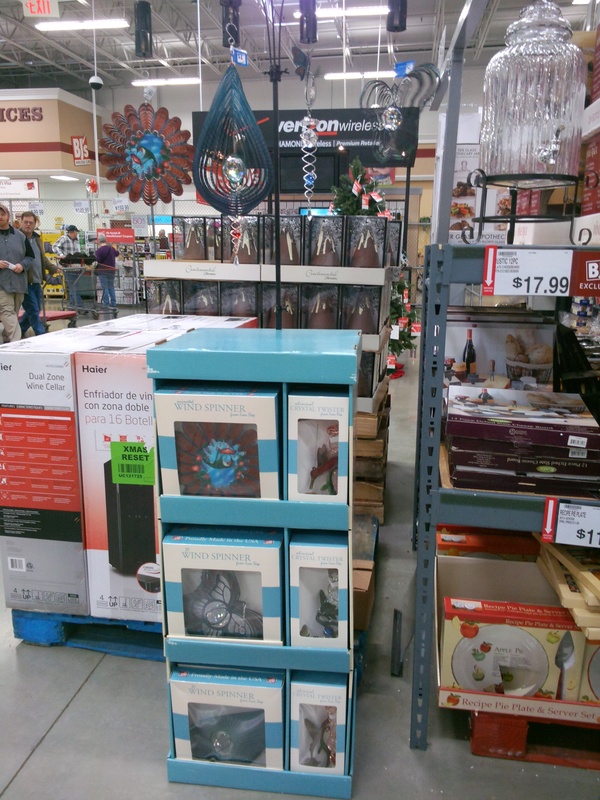 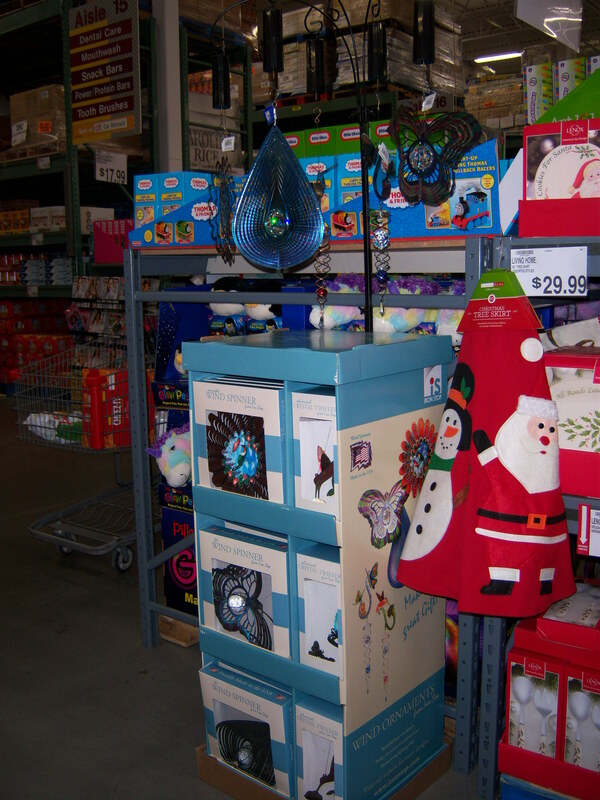 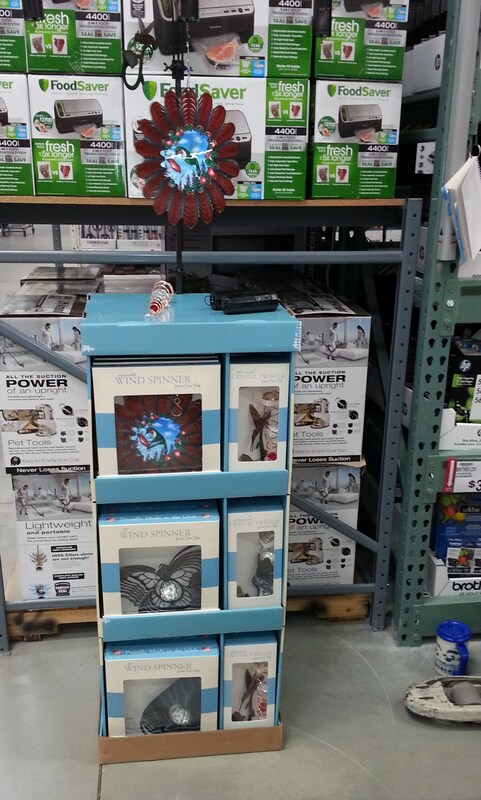 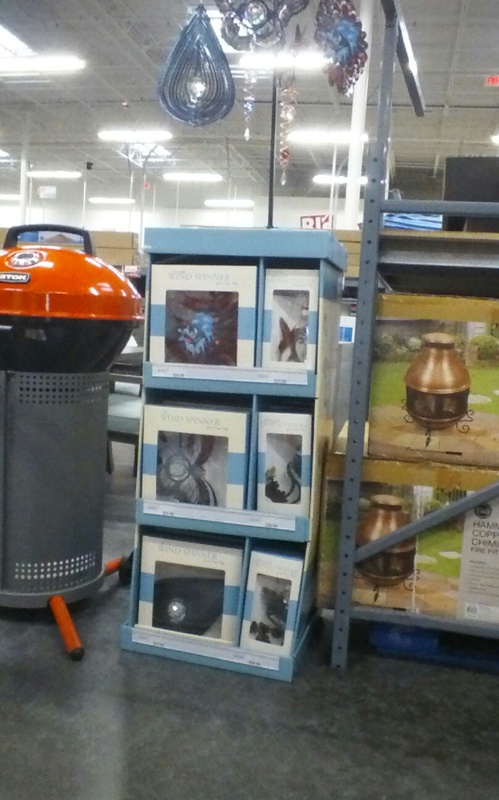 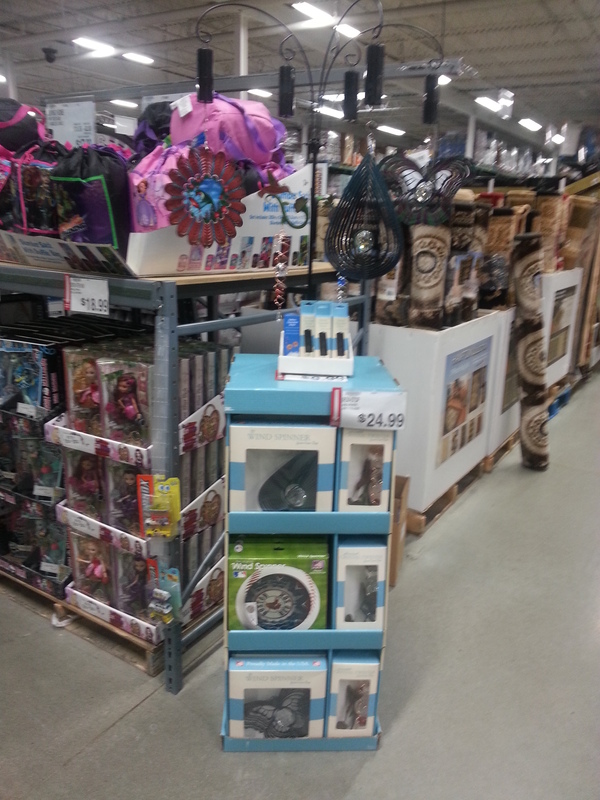 2013-12-26 07:54:55 178 2013/2014 BJsHolidaydisplay240 Newark DE 12-24-2013 Heater end cap Poor Yes Yes No none N/A yes no no no No Product available in back stock. 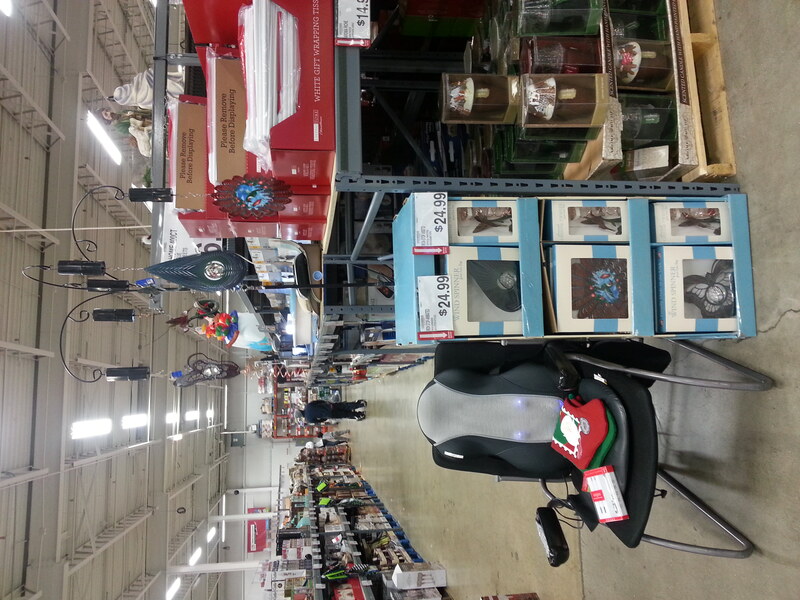 2013-12-26 07:46:31 15 2013/2014 BJsHolidaydisplay239 New Castle DE 12-24-2013 Athletic/Instruments in line Poor Yes No Yes None. 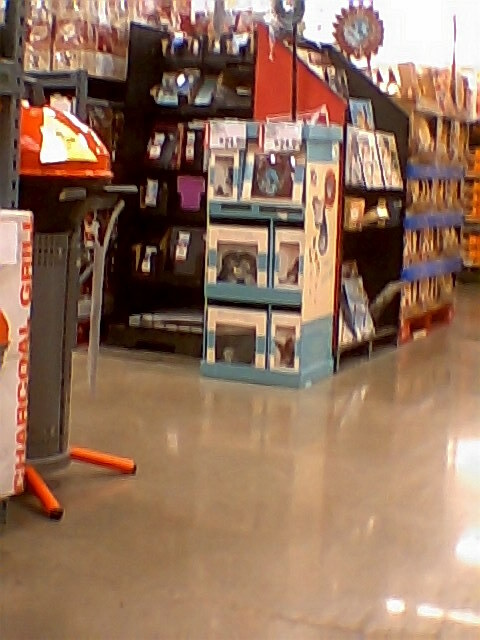 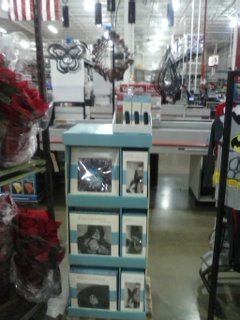 2013-12-13 07:44:30 86 2013/2014 BJsHolidaydisplay156 Downingtown PA 12-13-2013 front of store endcap in seasonal Good Yes Yes Yes No problem Chris yes no yes no NEED BOTH BUTTRTFLY & HUMMINGBIRD TWISTERS. 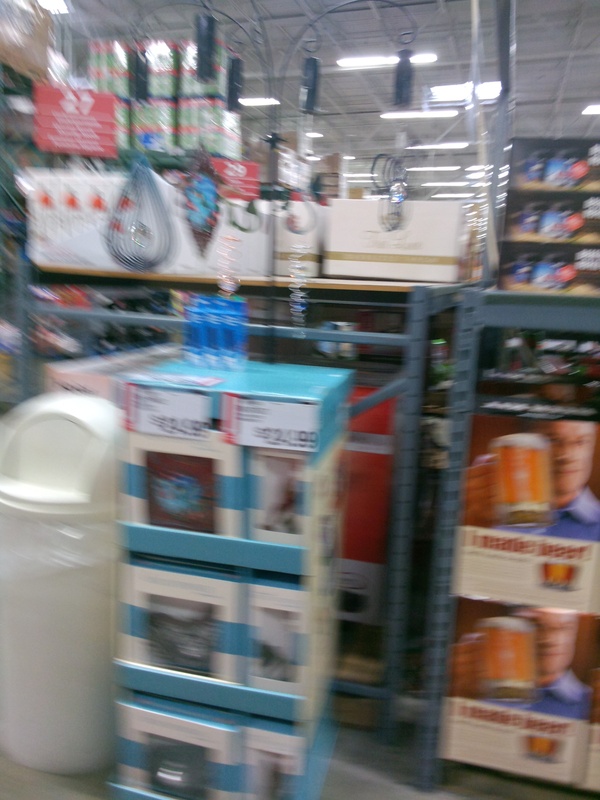 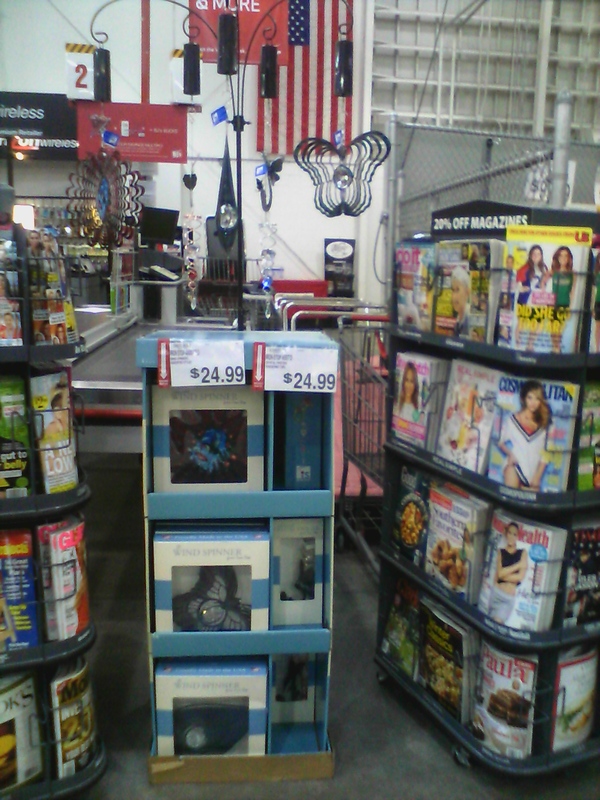 2013-12-12 19:05:56 57 2013/2014 BJsHolidaydisplay153 Reading PA 12-12-2013 endcap in seasonal Good Yes Yes Yes everything ok Stephine yes no yes no Put out motor display. 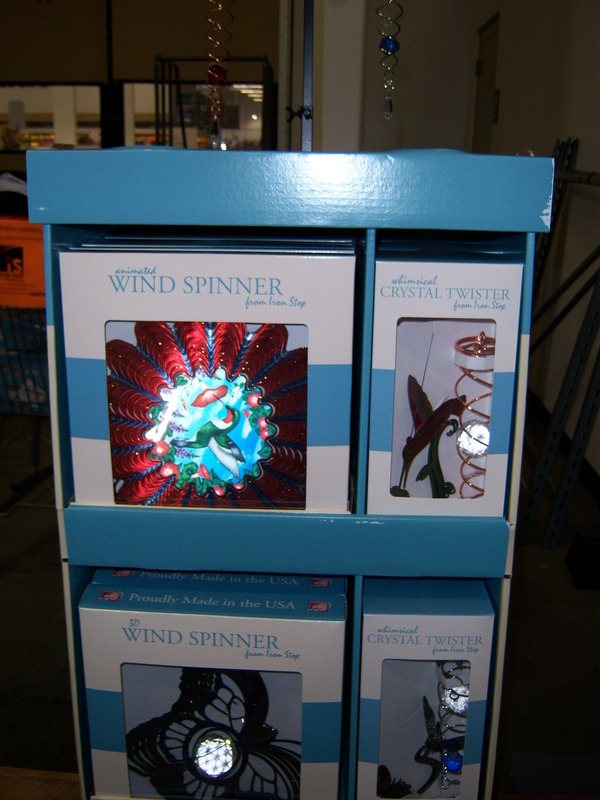 recieved animated hun-bird twisters. 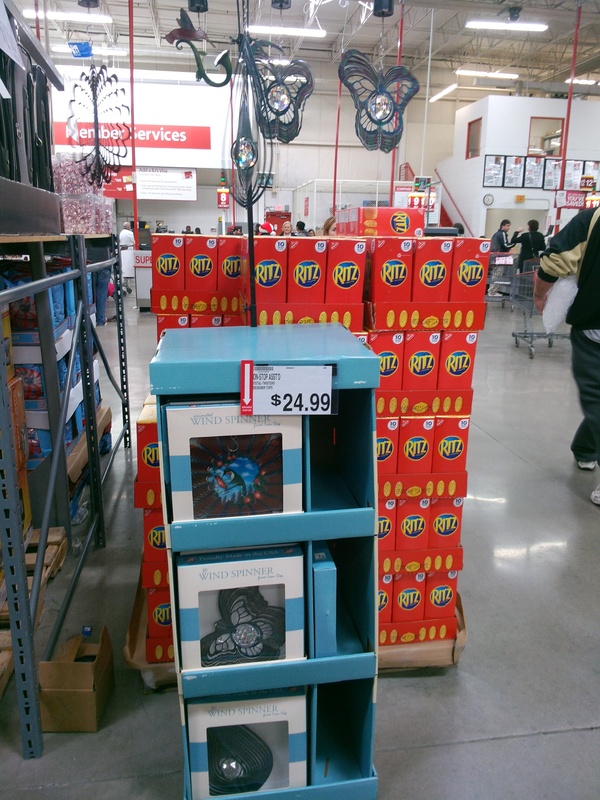 Put them out. 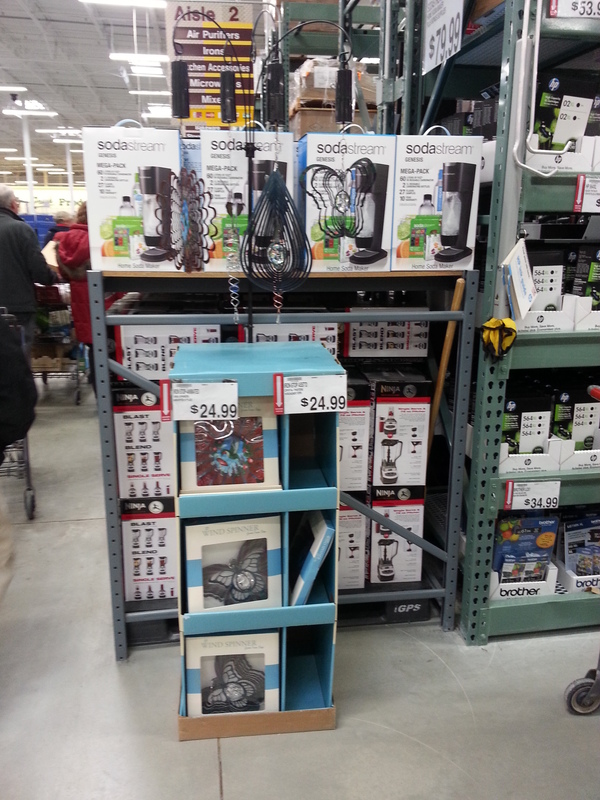 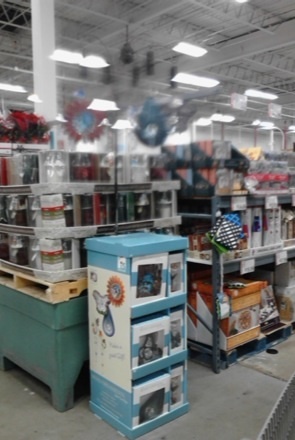 2013-12-12 18:53:07 57 2013/2014 BJsHolidaydisplay152 Reading PA 12-12-2013 endcap in seasonal Good Yes Yes Yes everything is fine Stephine yes no yes no replaced stock and put out motor display. 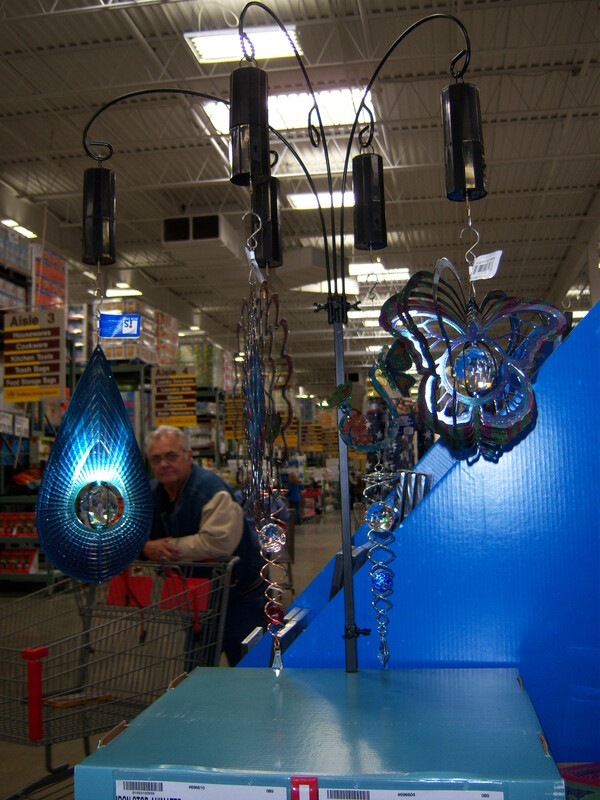 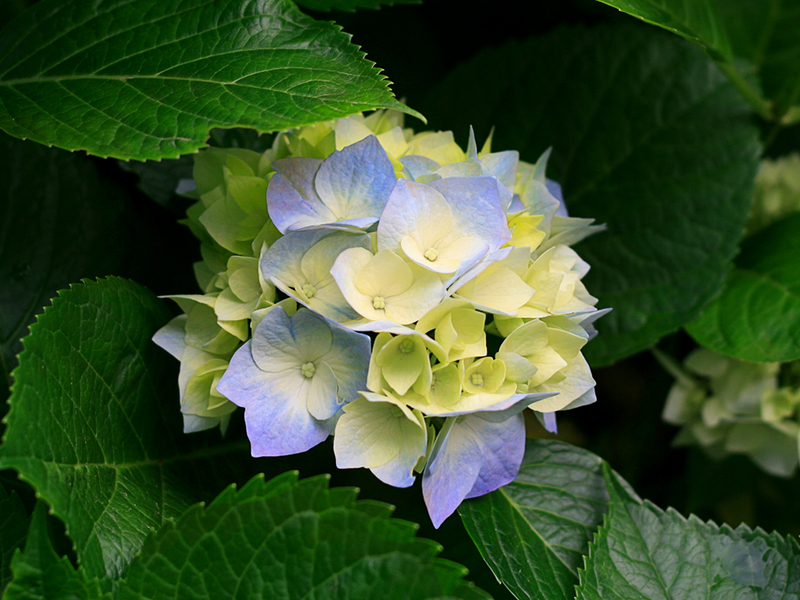 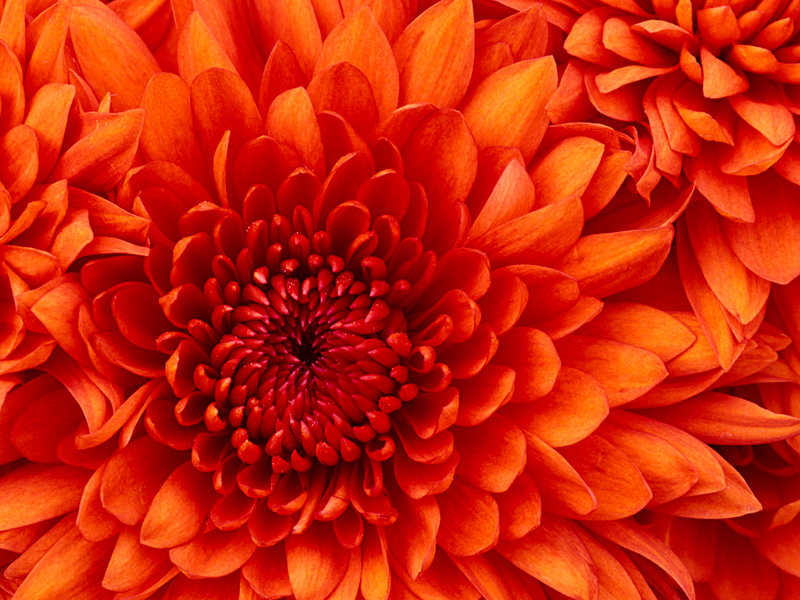 Was sent animated hummingbird twisters not whimiscal. 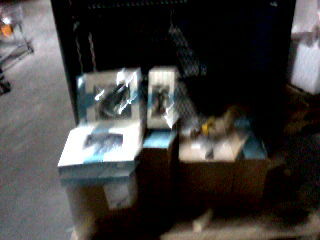 I put them out. 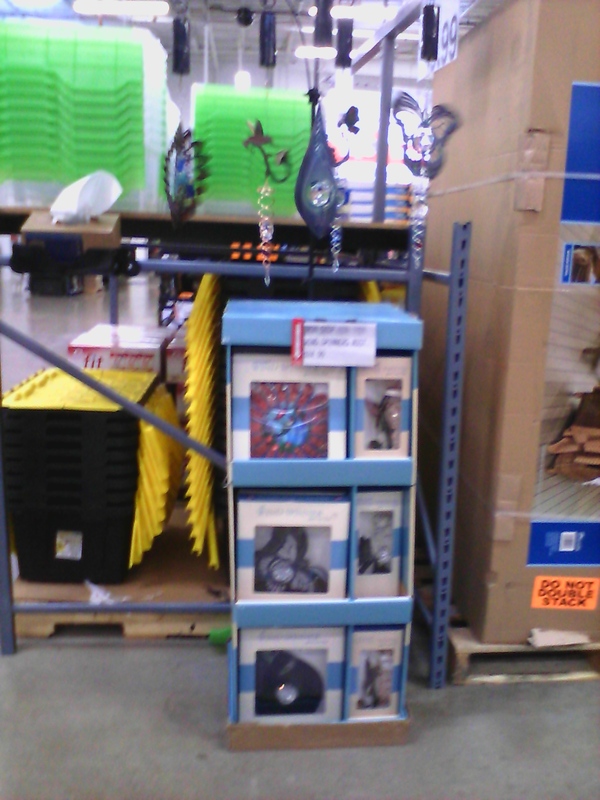 Need more hum-bird twister. 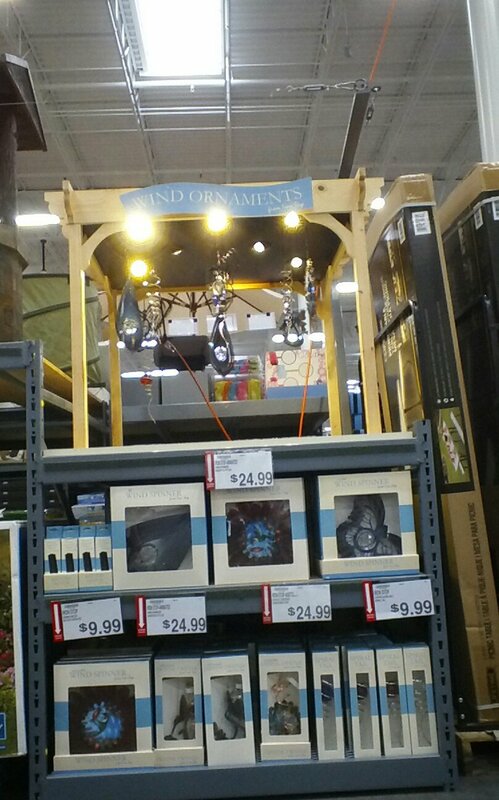 2013-12-12 17:09:59 56 2013/2014 BJsHolidaydisplay151 Springfield PA 12-11-2013 endcap in seasonal Good Yes Yes Yes No complaints Joe yes no yes no Put out motor display and put out animated humming bird twister durring restock. 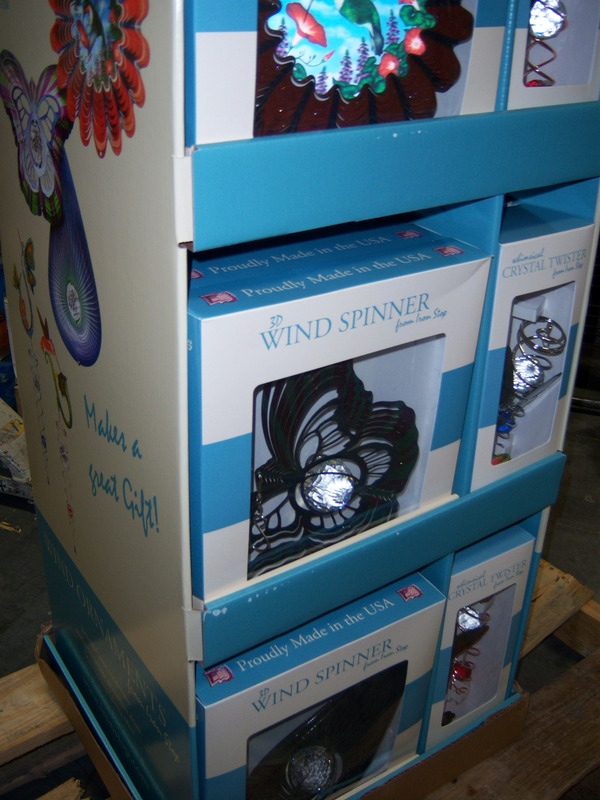 Box of twisters sent in restock order was animated not whimiscal. 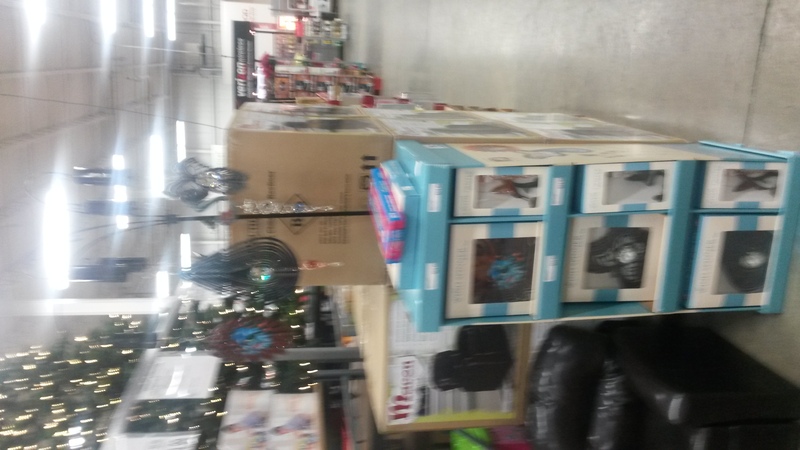 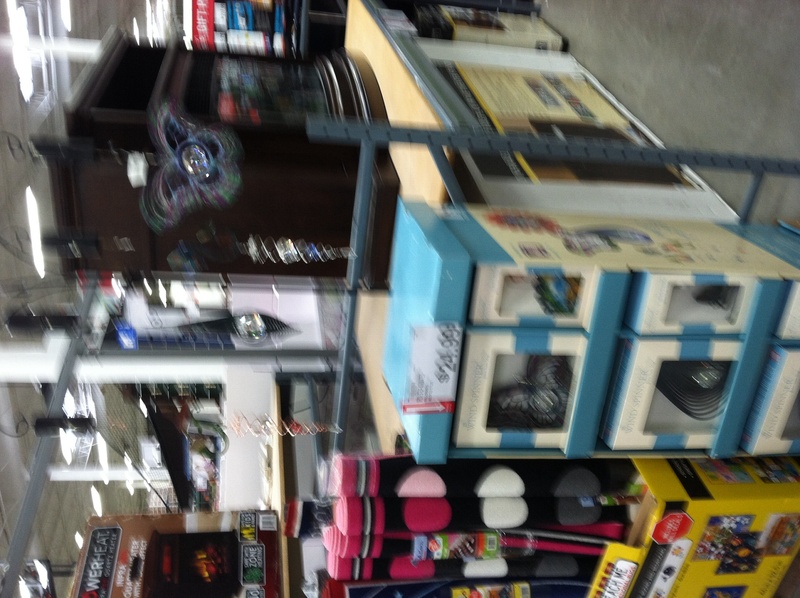 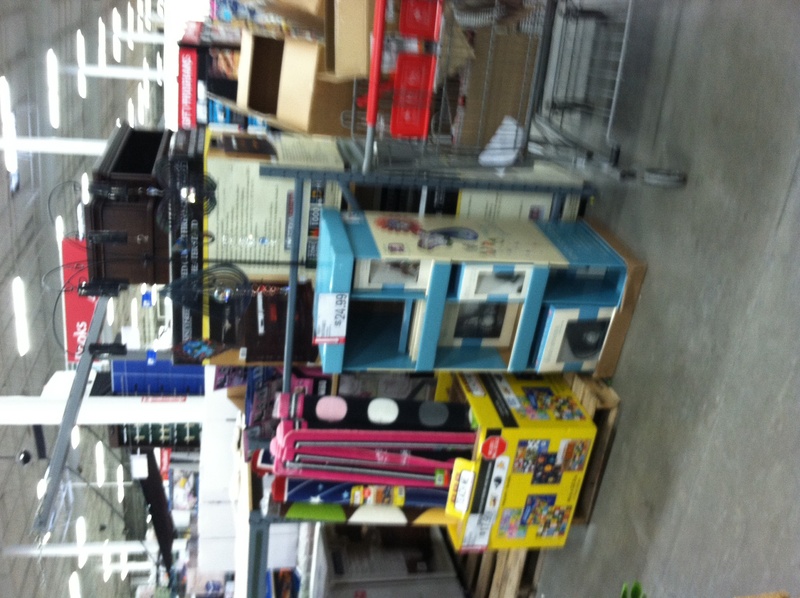 2013-12-12 16:56:09 92 2013/2014 BJsHolidaydisplay150 Conshohocken PA 12-11-2013 endcap in seasonal Good Yes Yes No advised stock came in for the display Angelo yes no yes no SOLD OUT OF ALL TWISTERS. 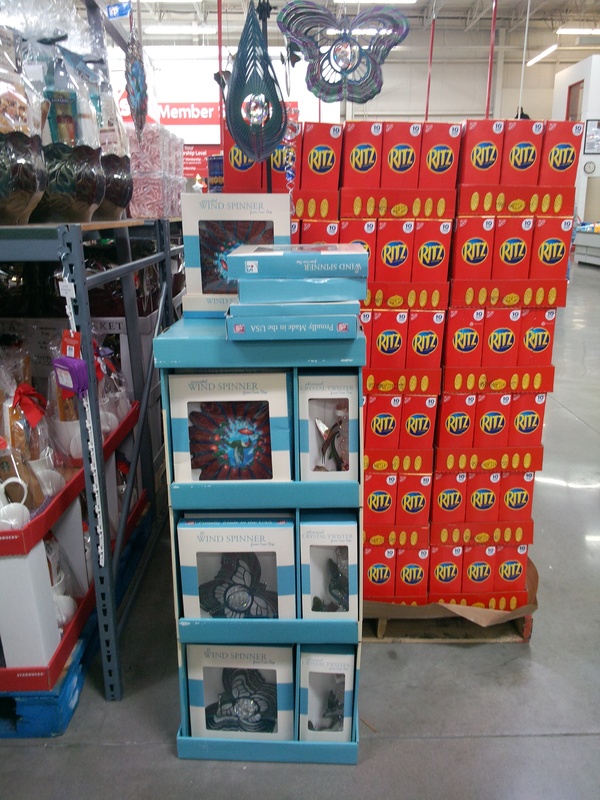 HAVE NO TWISTERS IN BACK STOCK. 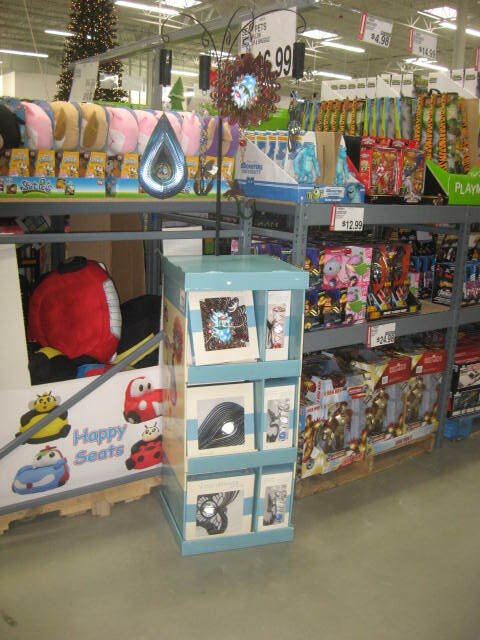 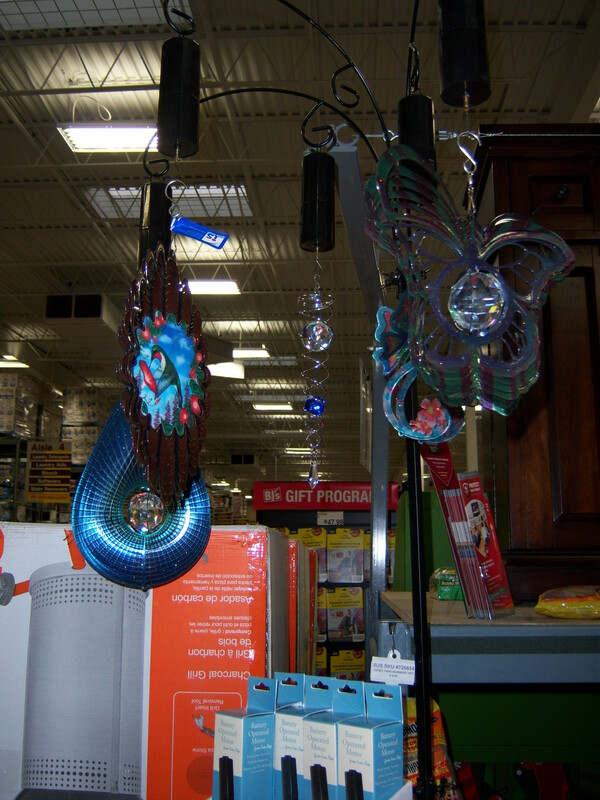 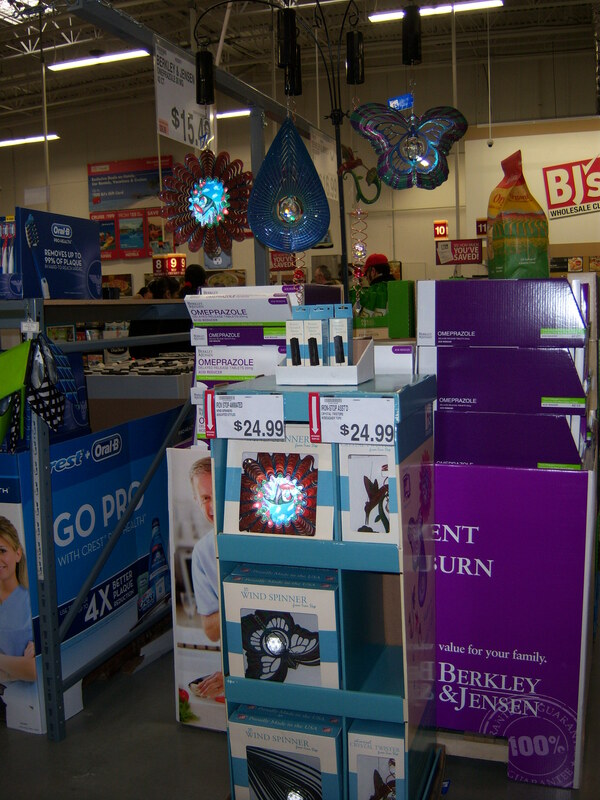 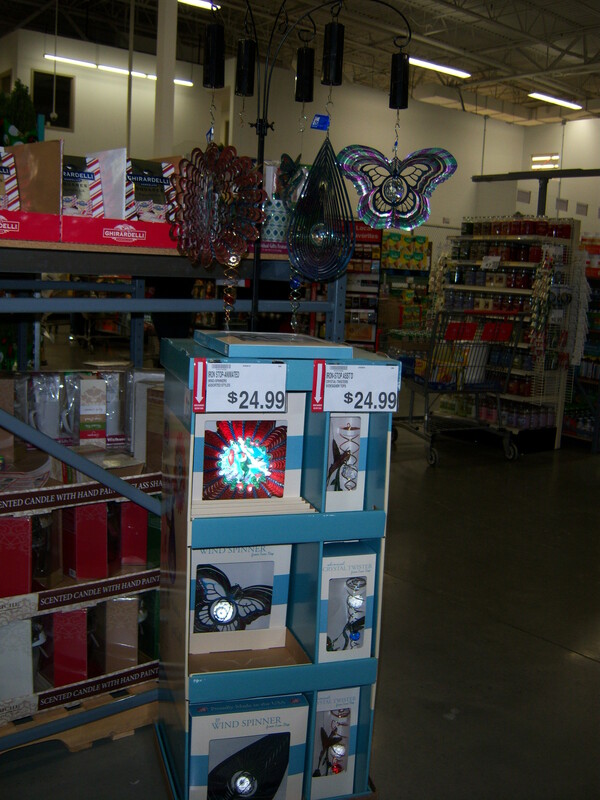 2013-12-10 22:44:49 154 2013/2014 BJsHolidaydisplay130 Kissimmee FL 12-10-2013 Middle of seasonal, but hidden so unless you searched the section you would not see it. 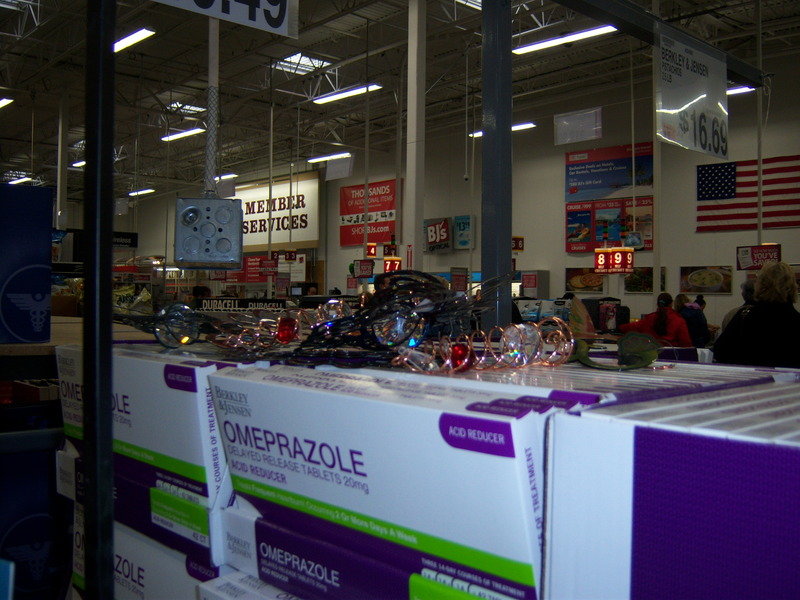 GoodPoor No YesNo Yes Regular display still up. 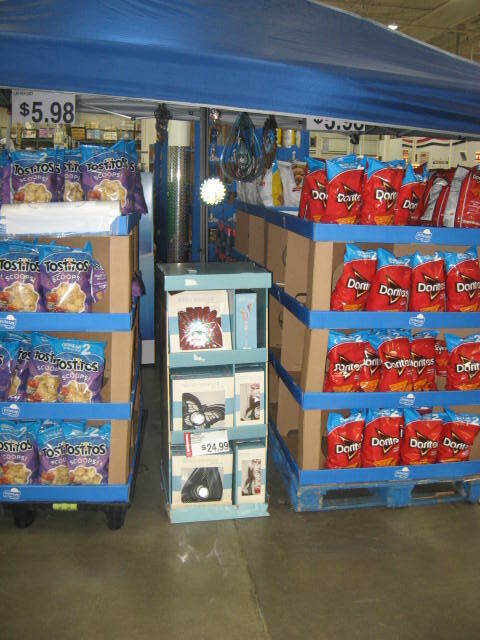 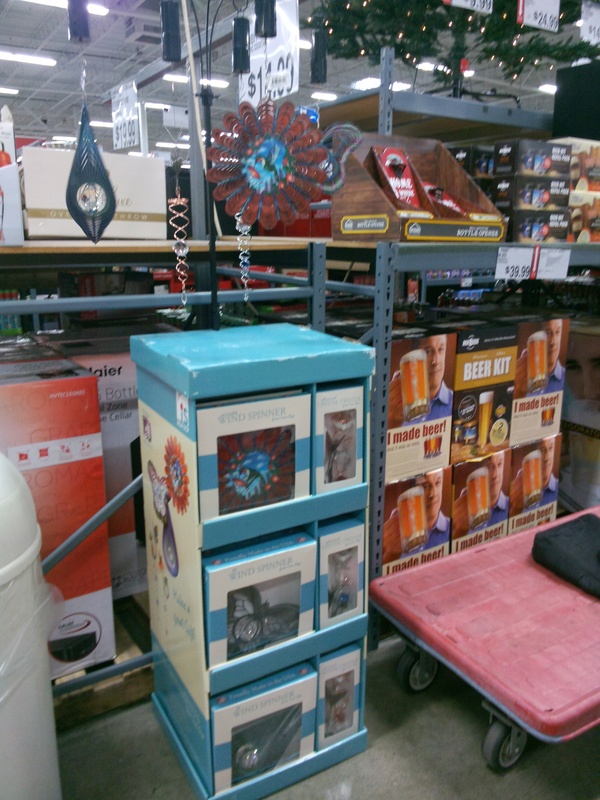 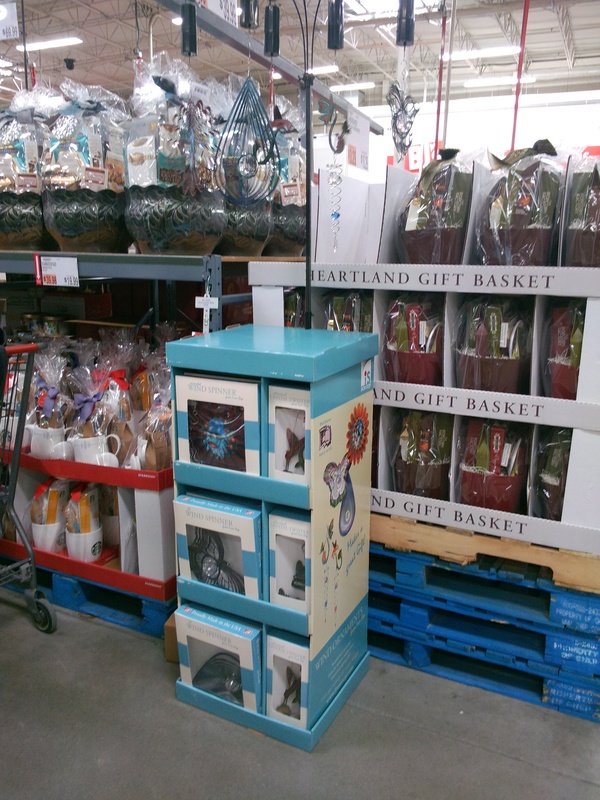 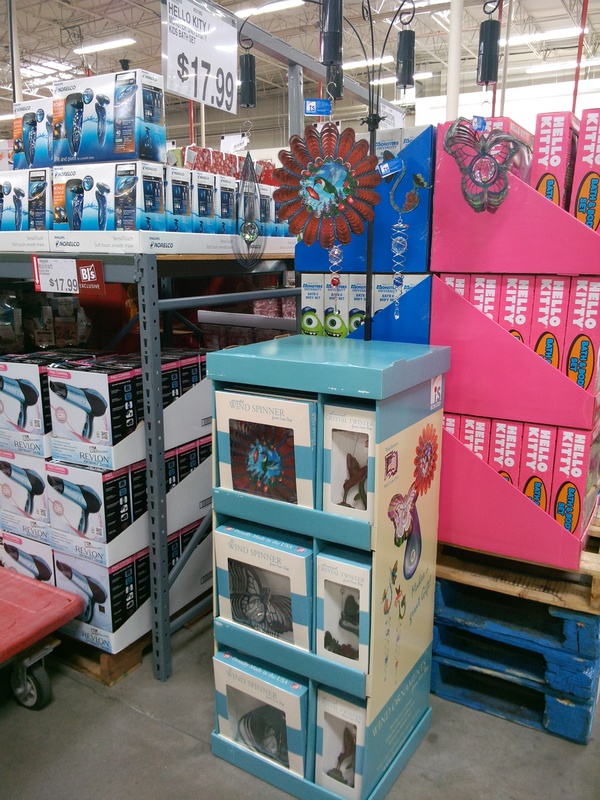 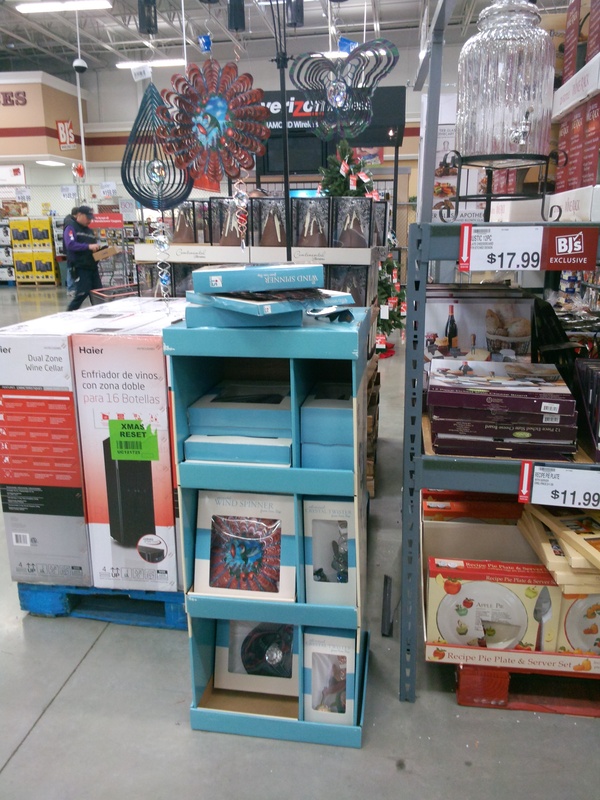 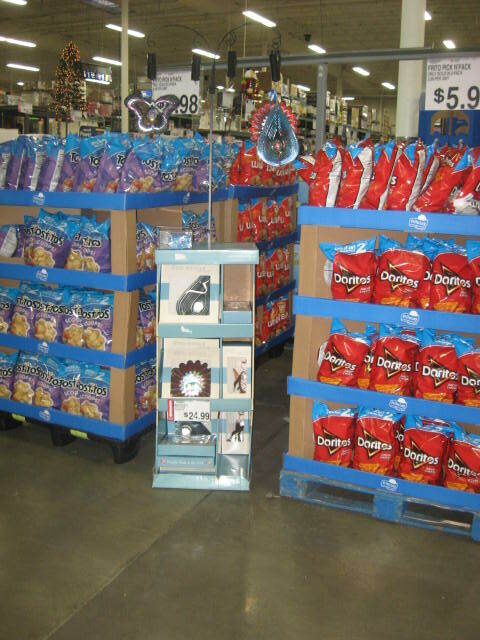 In fact, when I asked a manager where our seasonal display was, he directed me to the regular display.All backstock for seasonal display were placed out on the regular display. 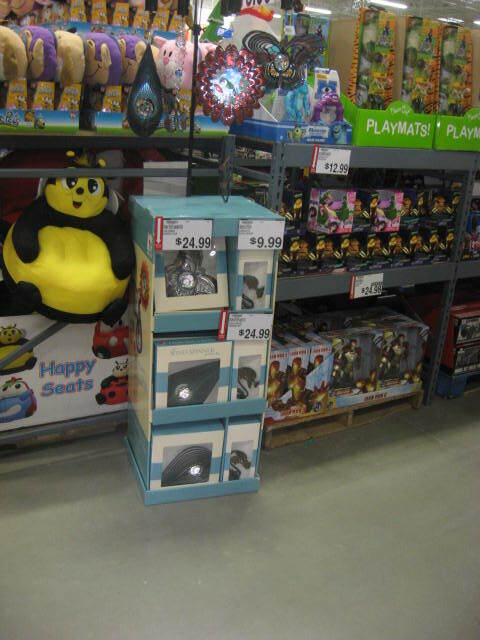 There are no batteries at all in any of our areas. 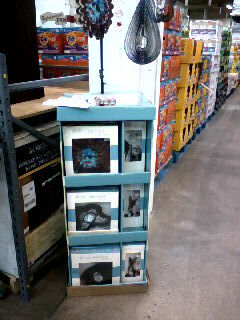 Armando Varrientes yes no no no Regular display still up. 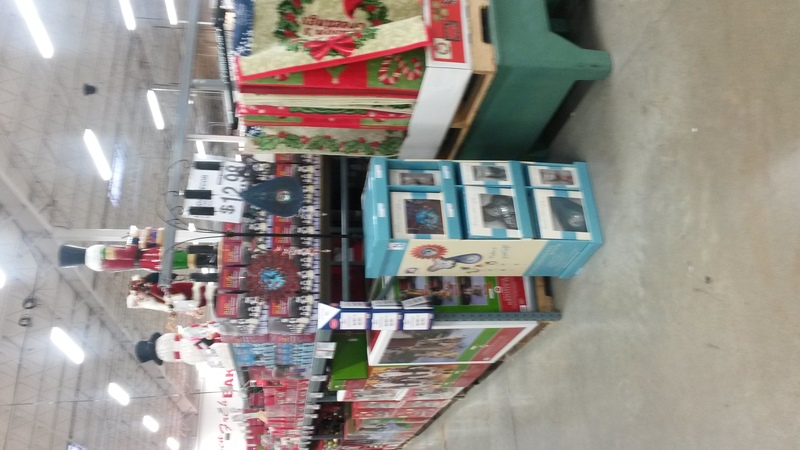 In fact, when I asked a manager where our seasonal display was, he directed me to the regular display.All backstock for seasonal display were placed out on the regular display. 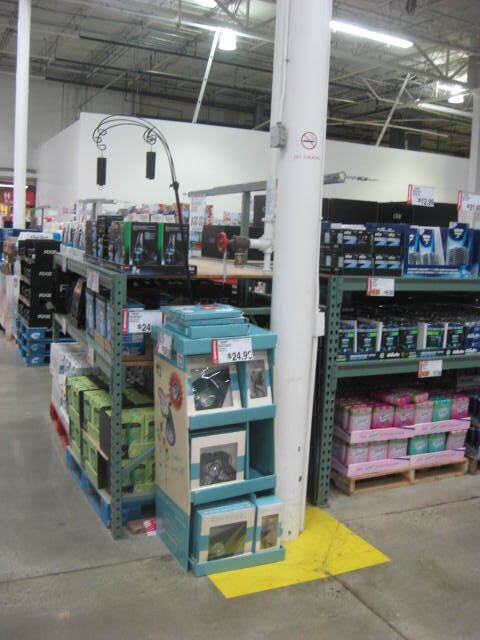 There are no batteries at all in any of our areas. 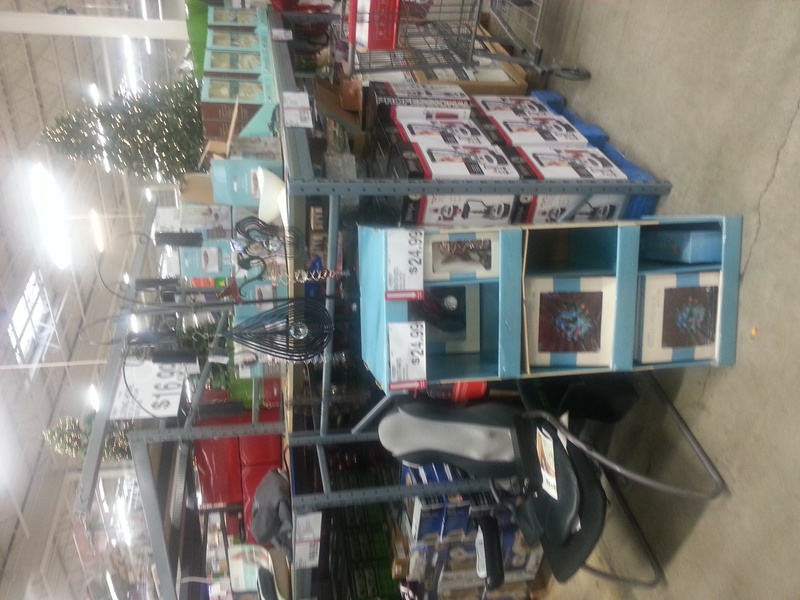 2013-11-27 20:48:28 13 2013/2014 BJsHolidaydisplay70 Maple Shade NJ 11-27-2013 Seasonal Poor Yes Yes Yes - Cathy Yes Yes No No This store has been my problem child, as I reported on my last report the display and some product packages were destroyed. 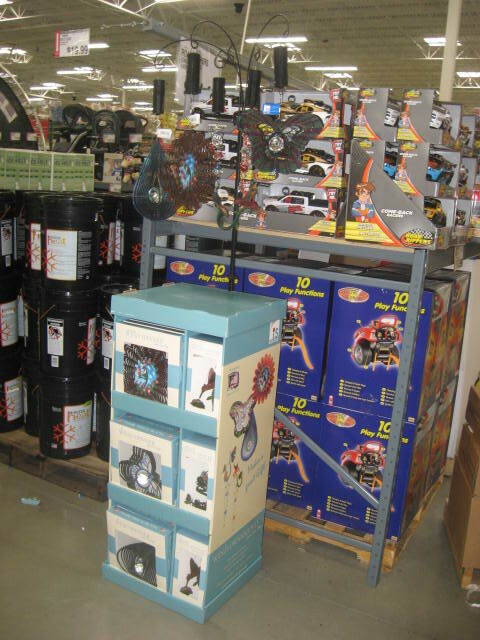 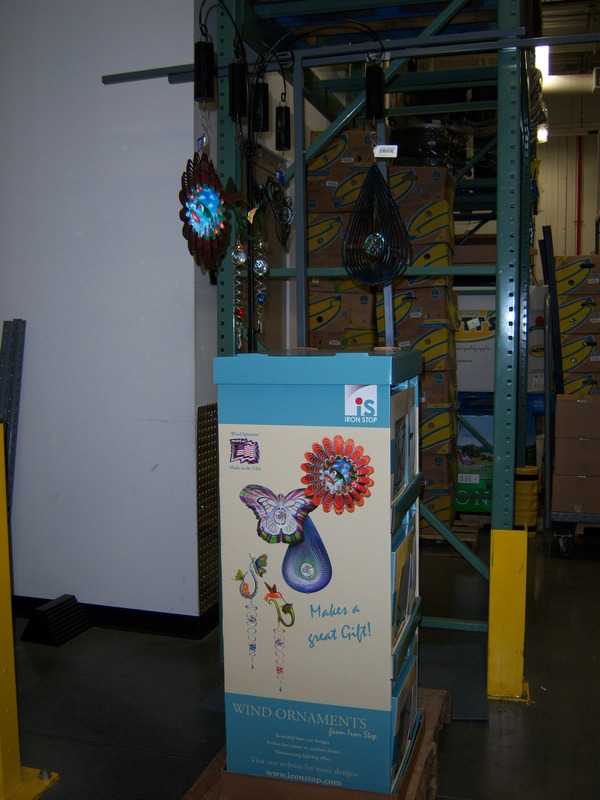 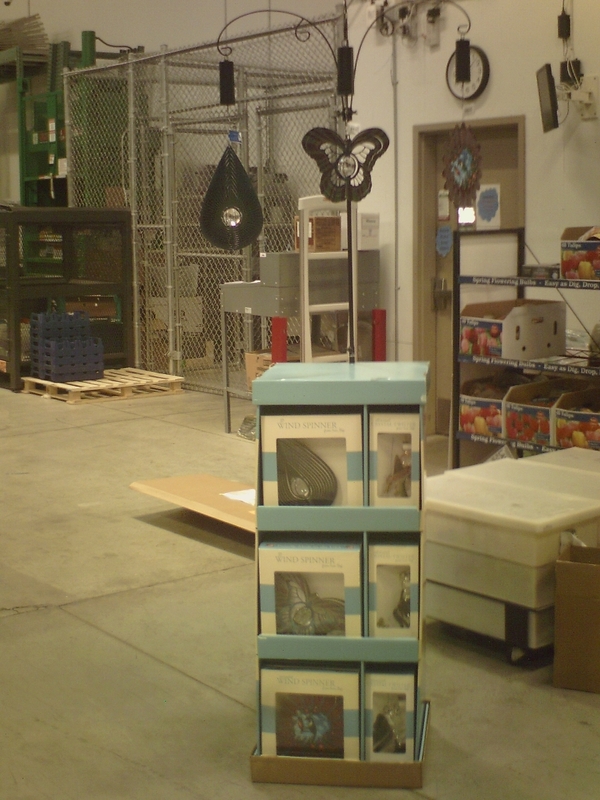 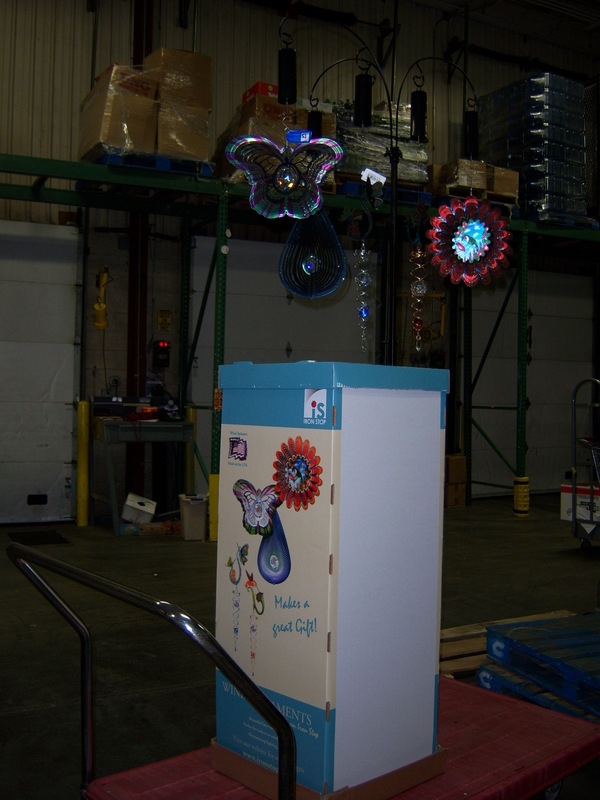 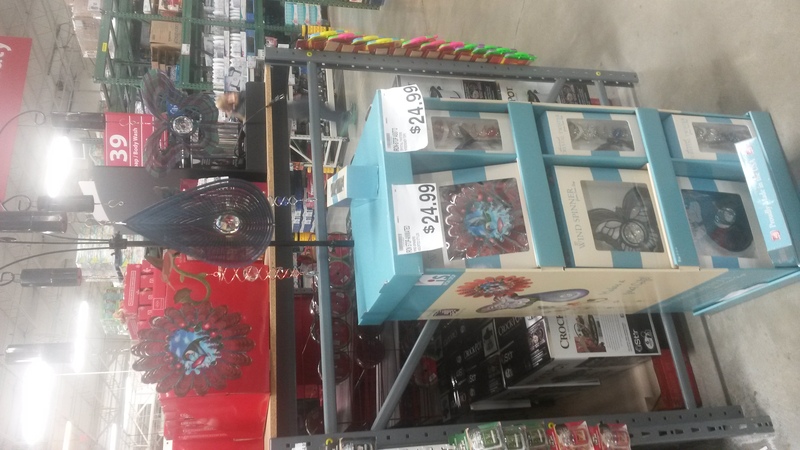 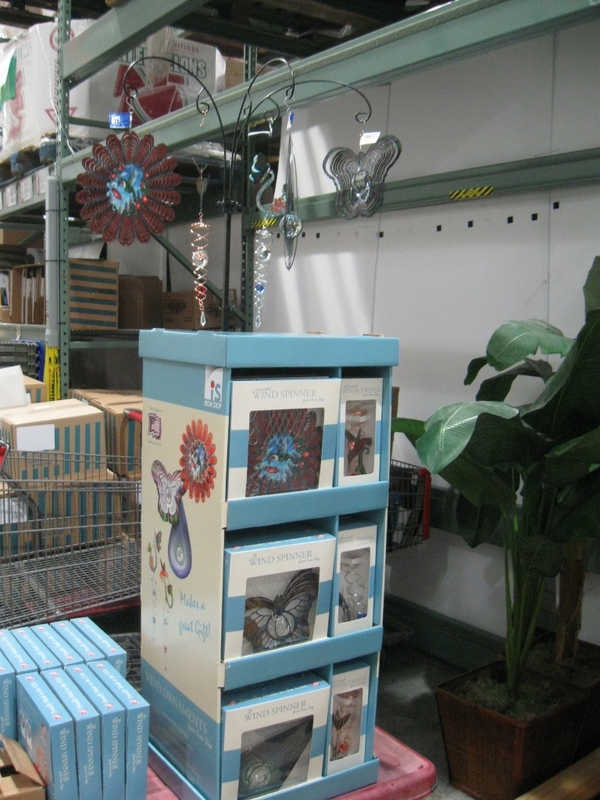 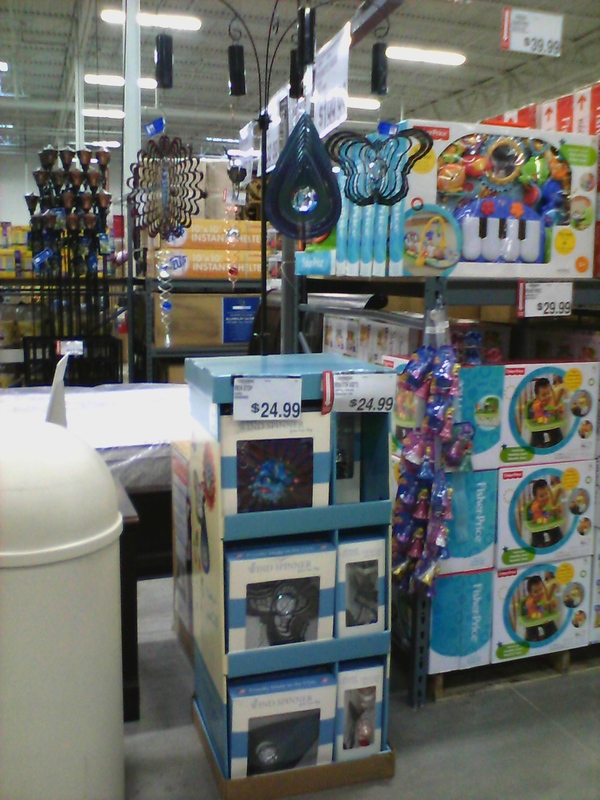 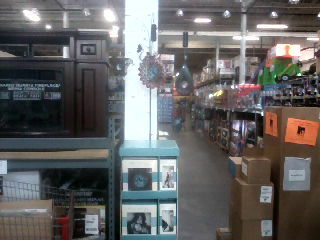 This time 1/2 of the butterfly spinner was "MIA" so I replaced it, than they couldn't find we're they moved my back stock. 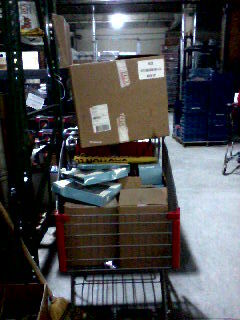 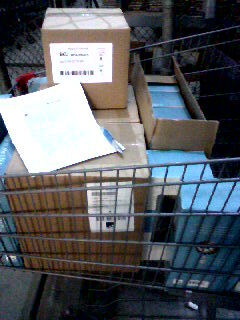 Eventually it was found and I was able to refill the shipper. 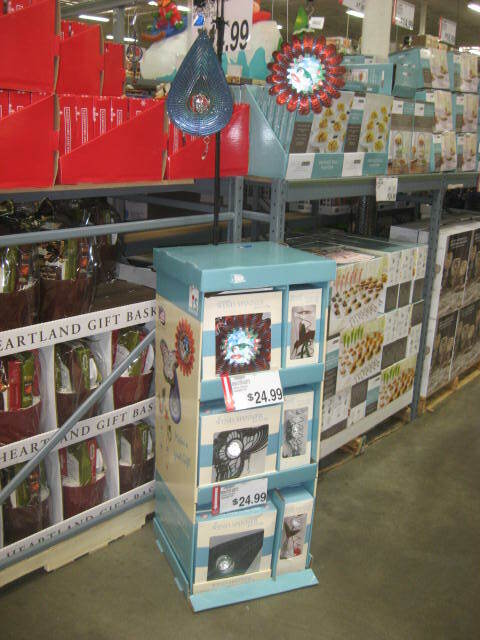 2013-11-15 04:40:23 27 2013/2014BJholidaydisplay5 Oakhurst NJ 11-14-2013 Display was still shrink wrapped on pallet upon arrival.. 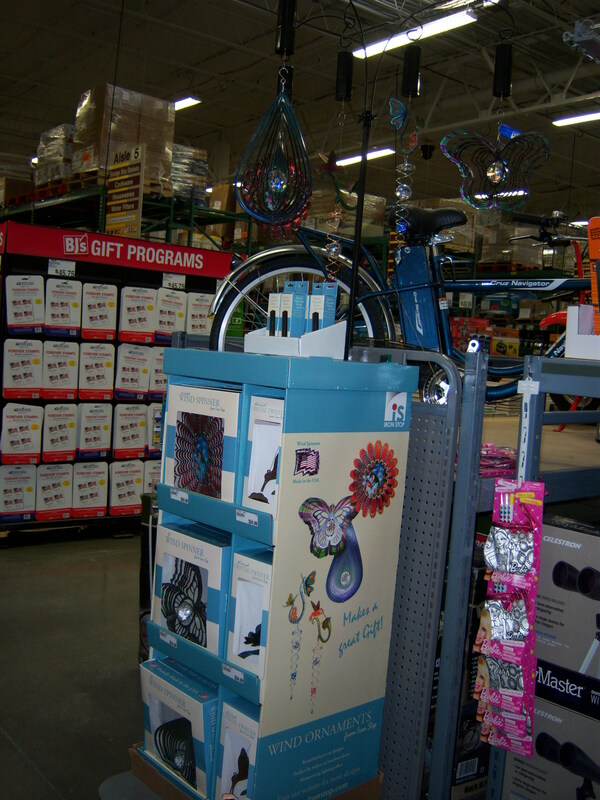 I set the display in seasonal off the main aisle Good Yes Yes Yes - Judy M Initial Set up of display initial set up of display - - This was the initial set up of display which took 1.5 hours. 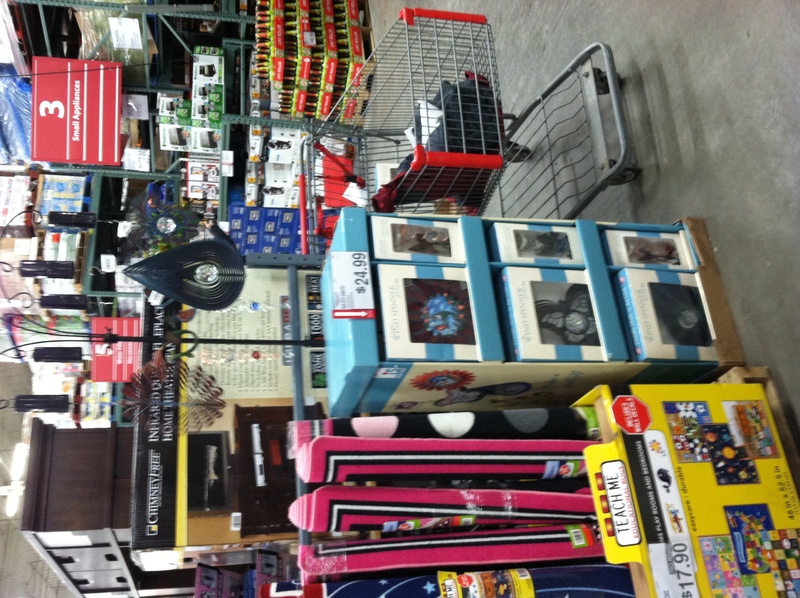 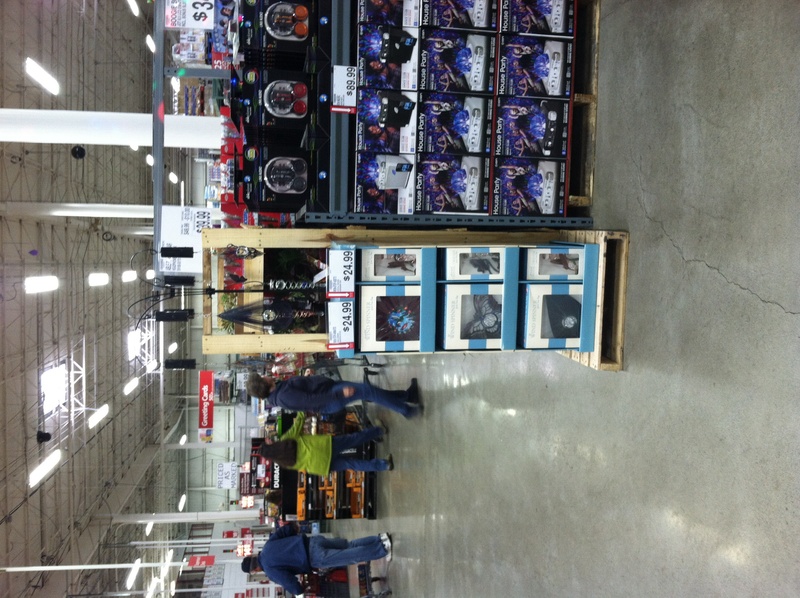 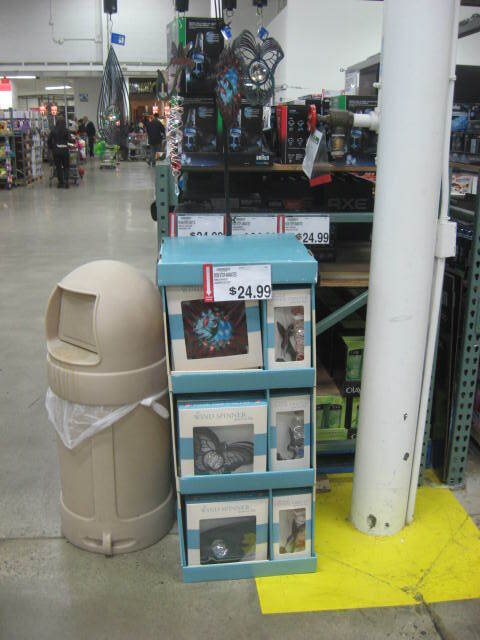 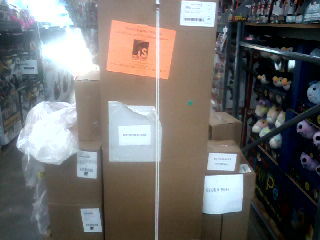 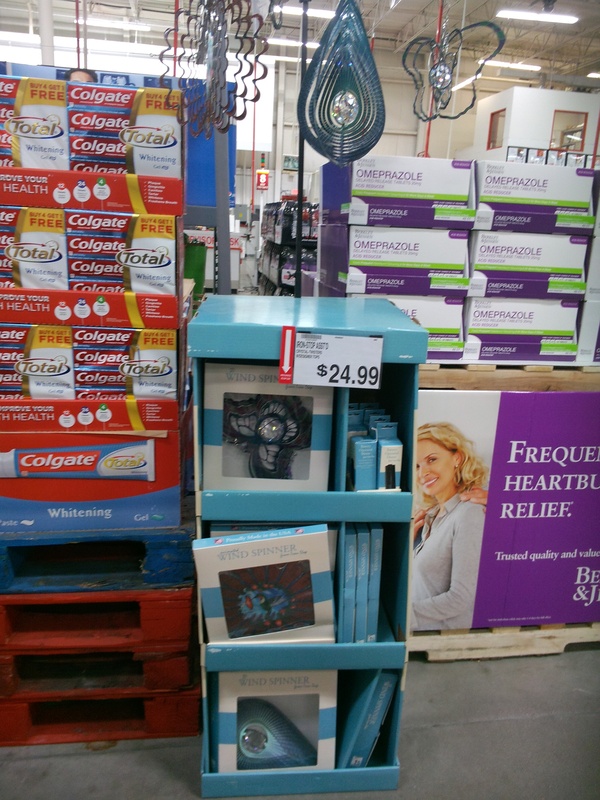 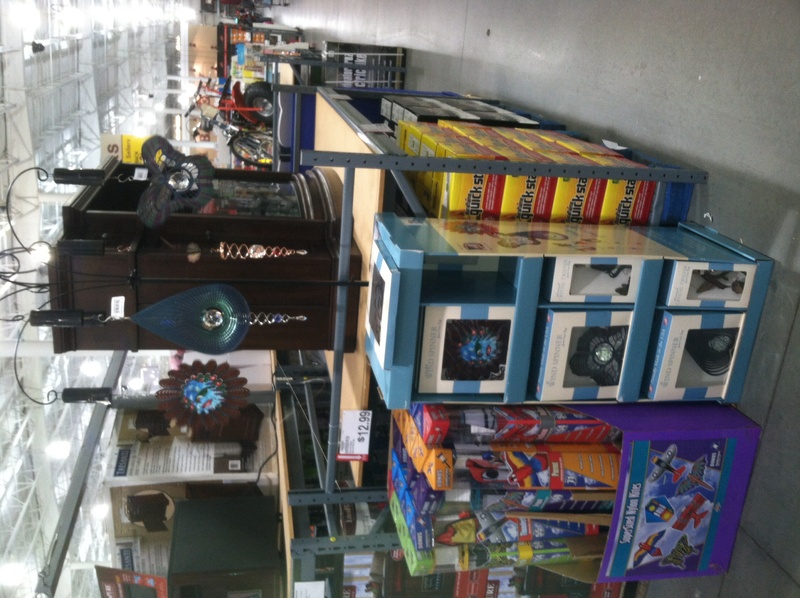 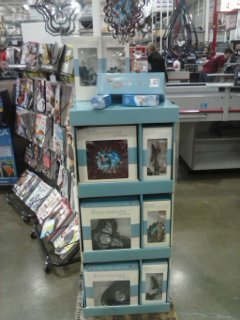 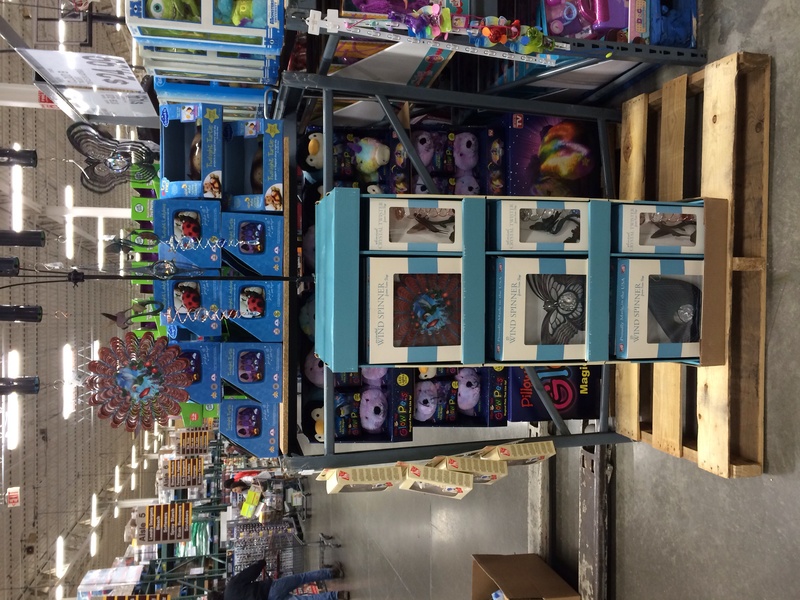 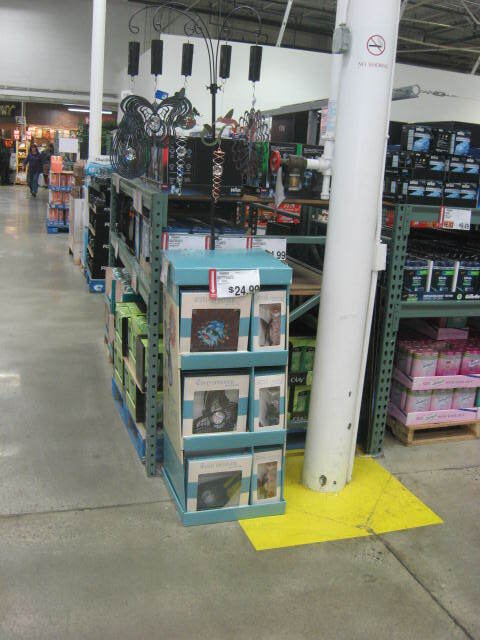 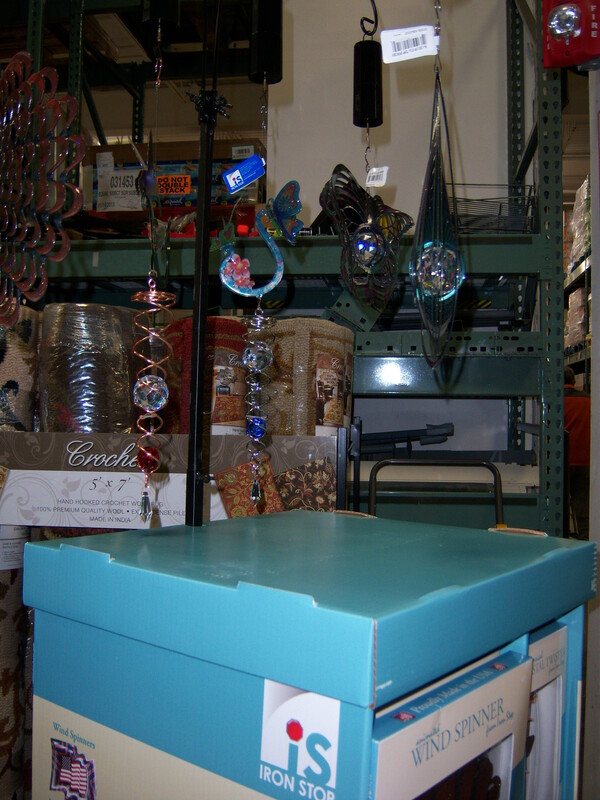 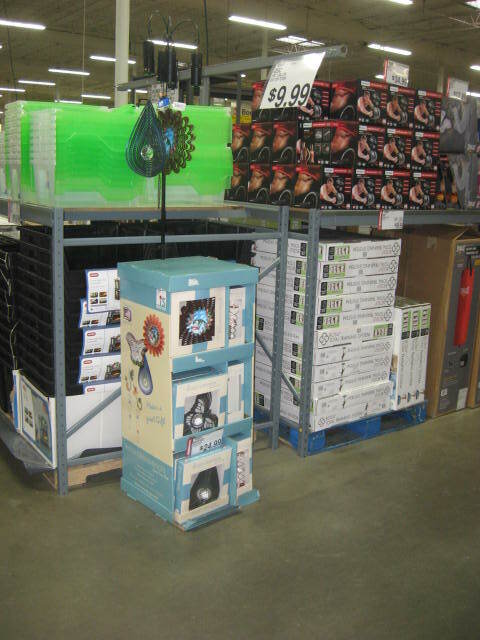 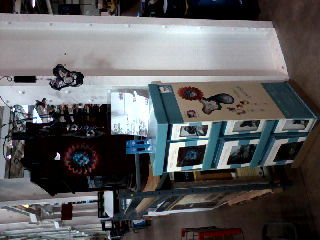 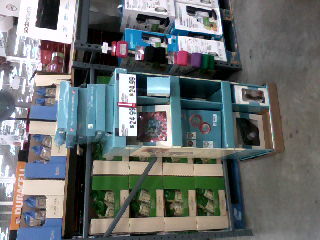 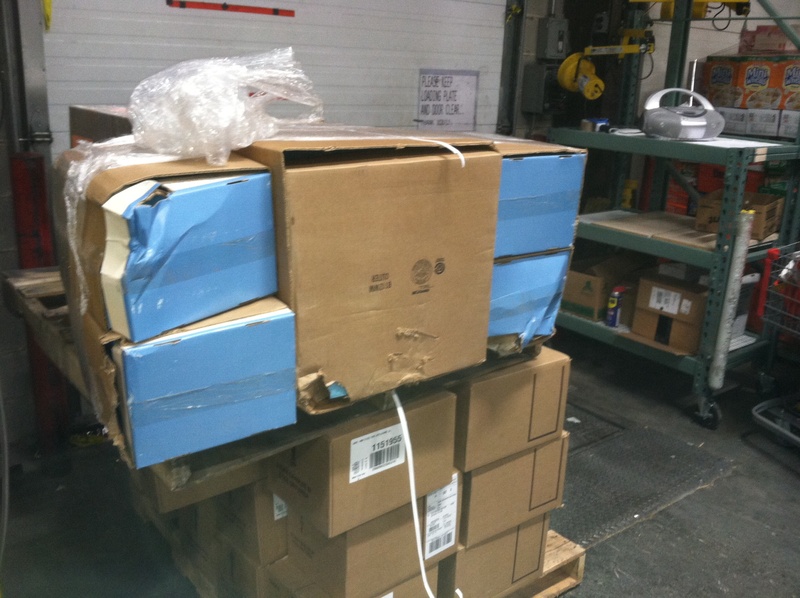 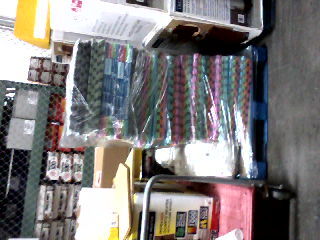 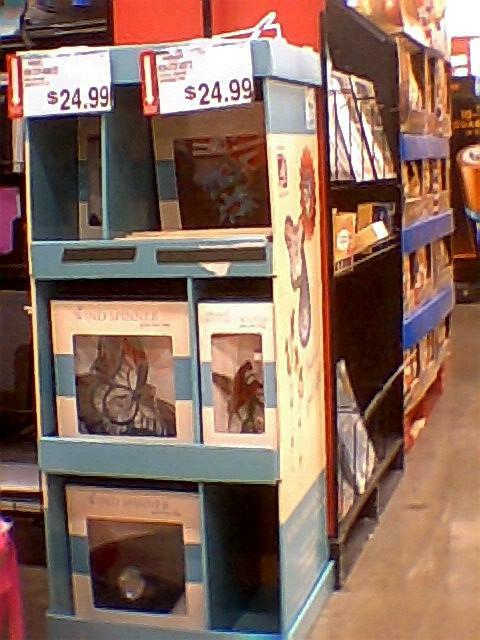 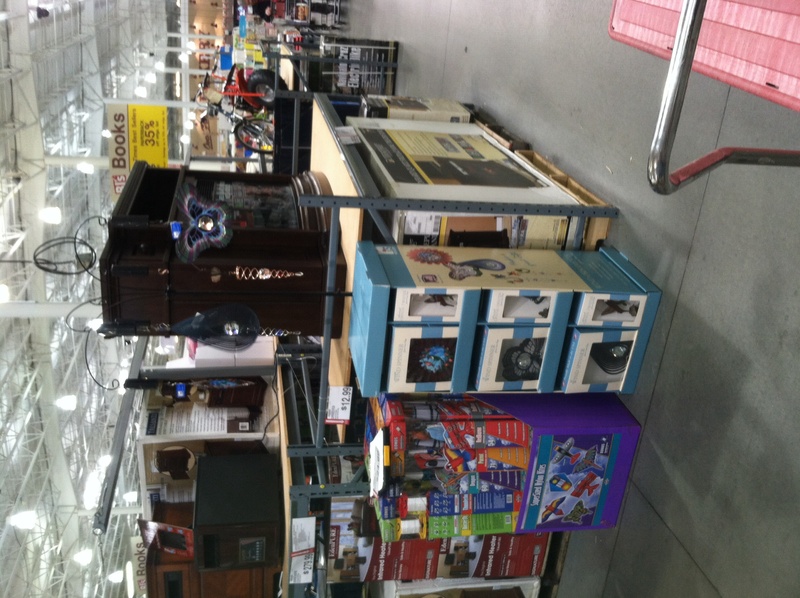 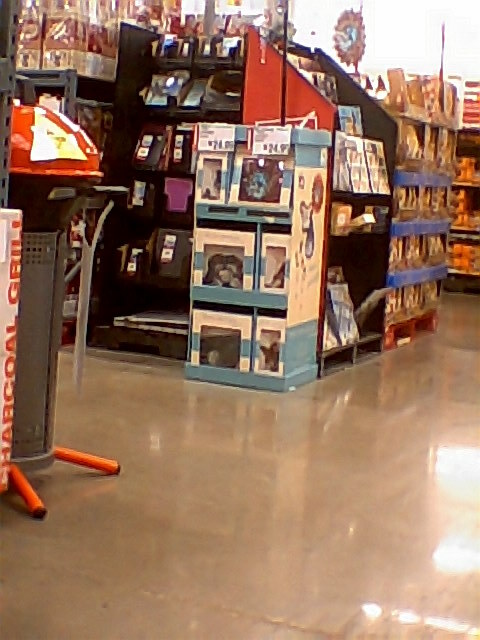 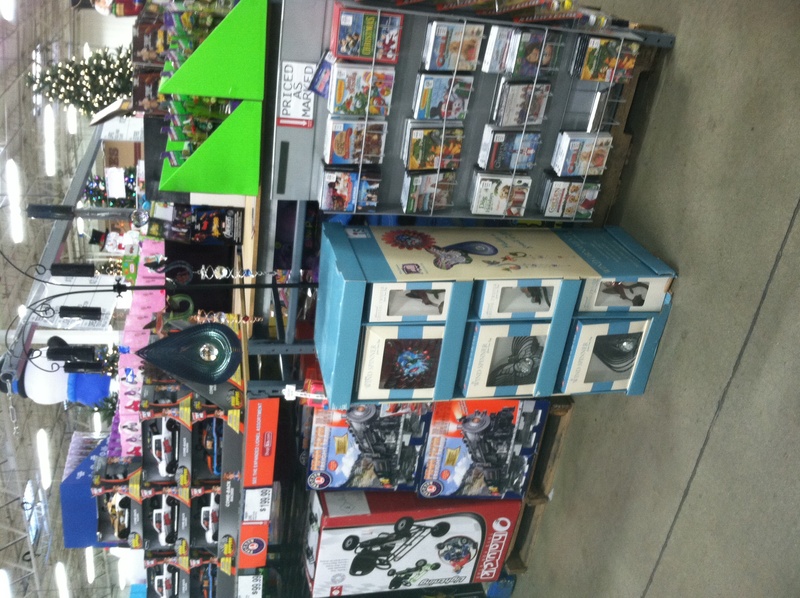 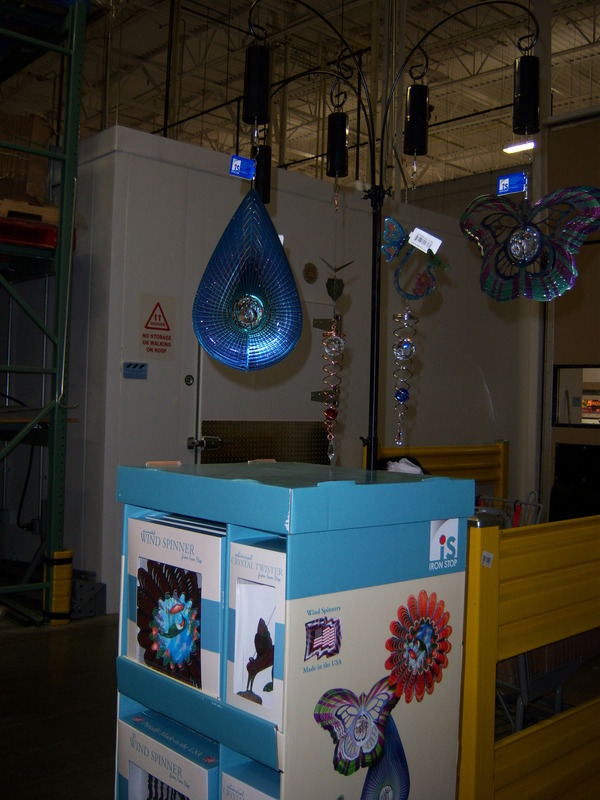 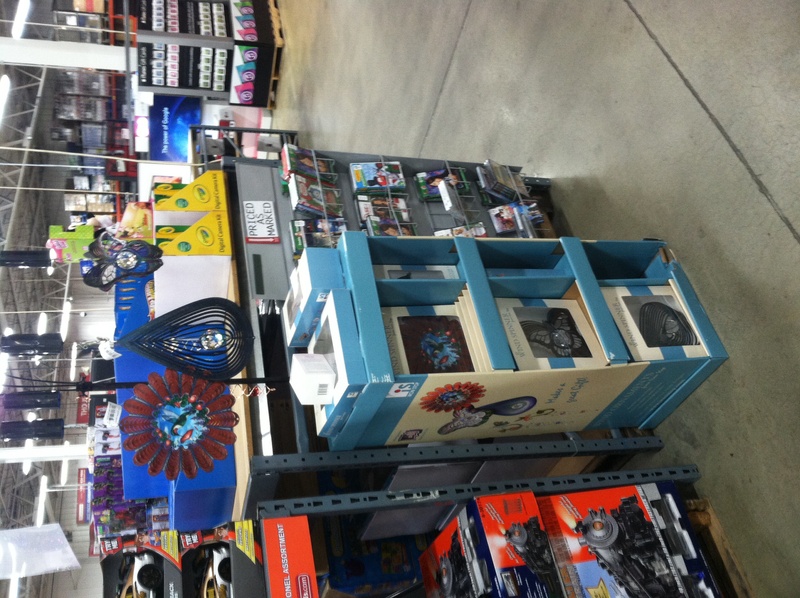 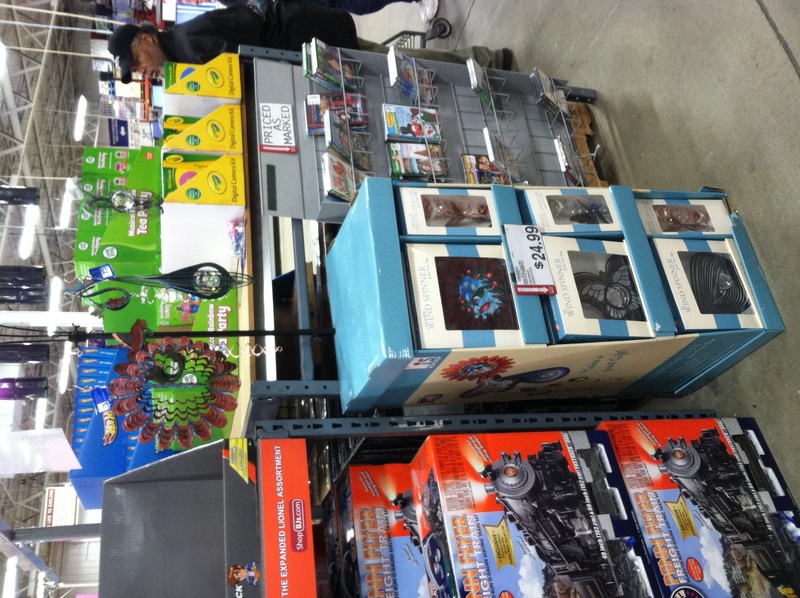 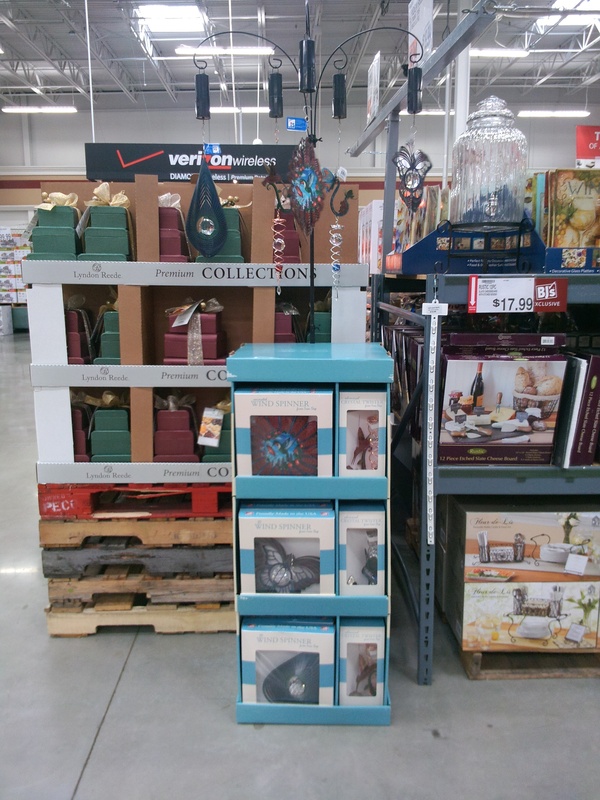 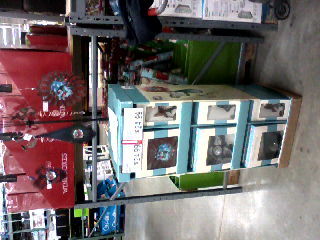 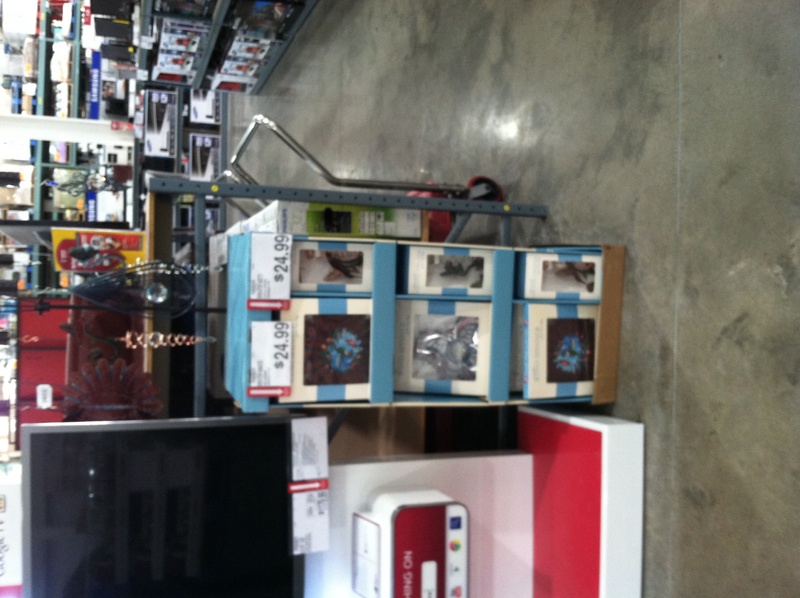 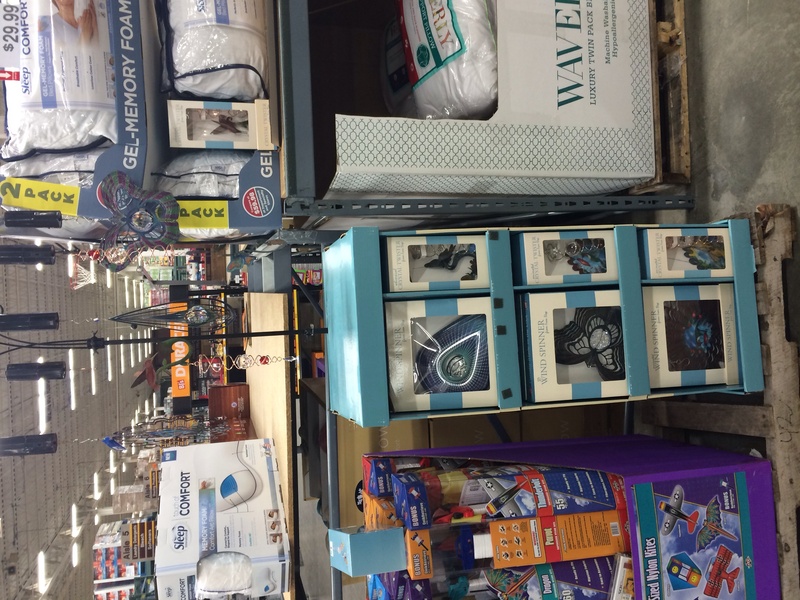 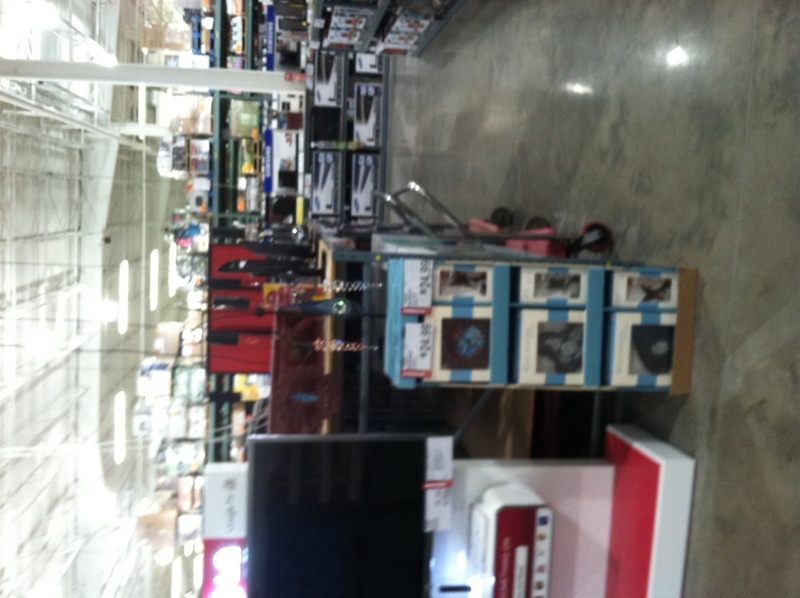 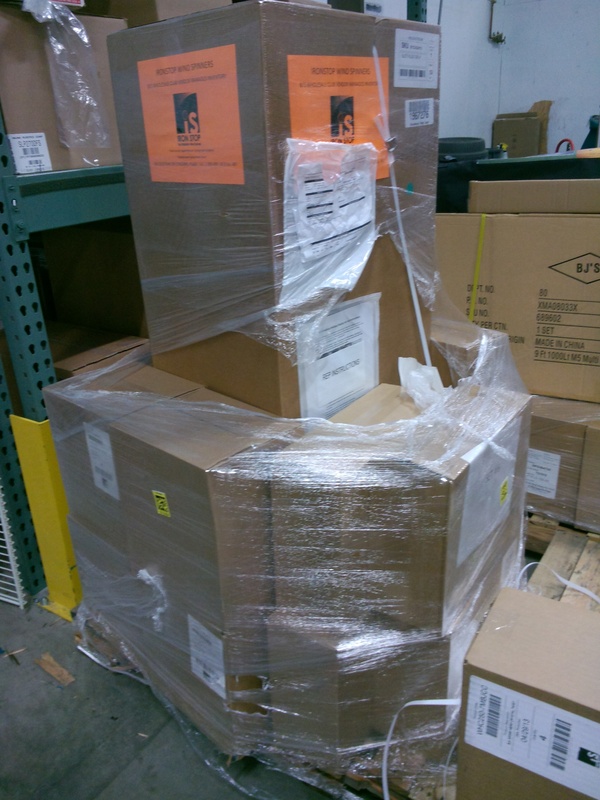 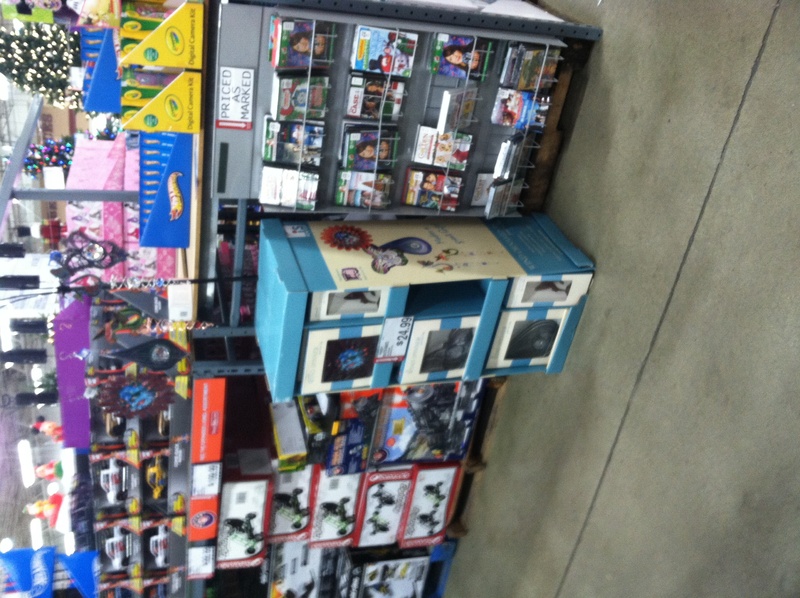 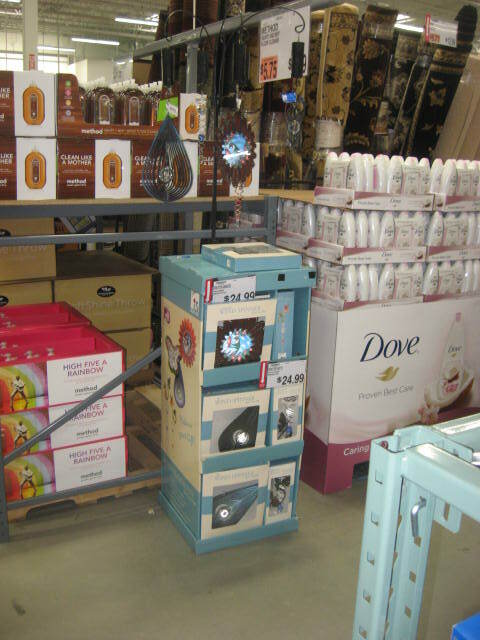 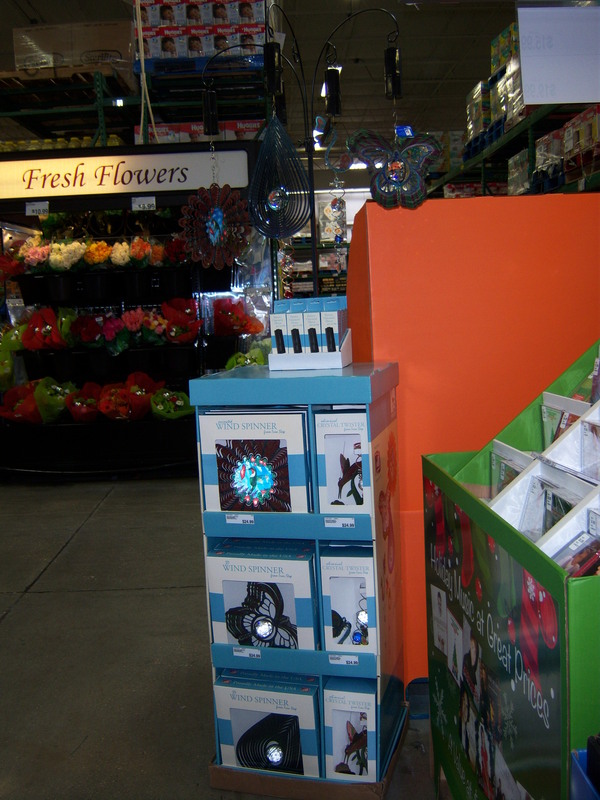 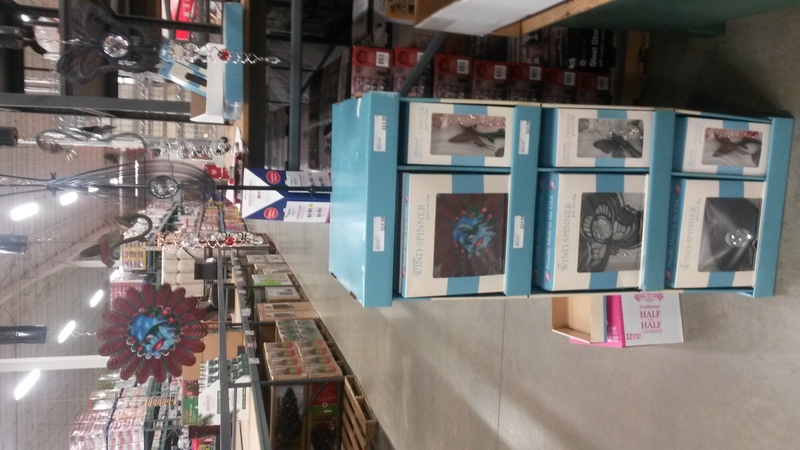 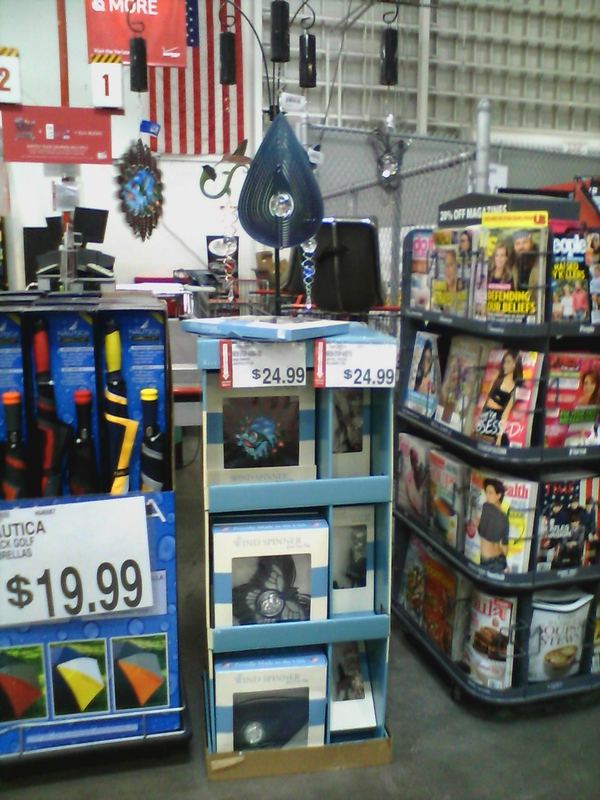 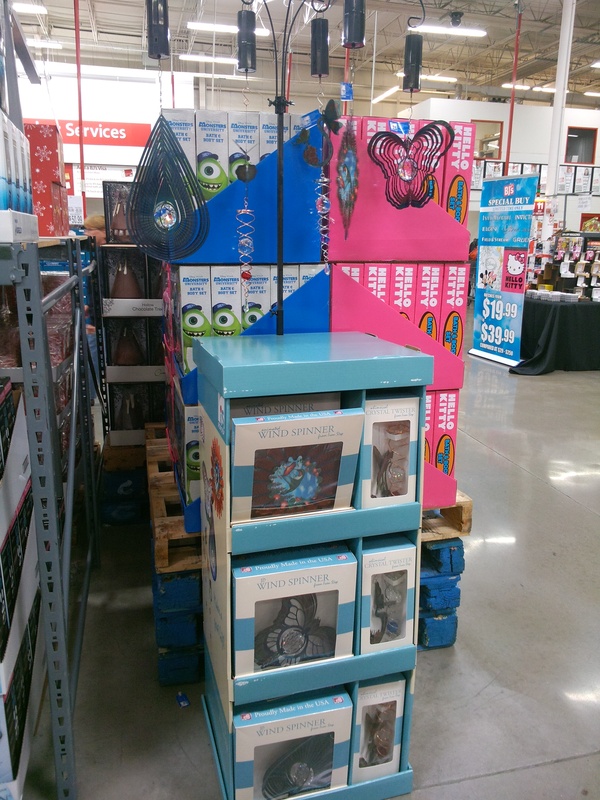 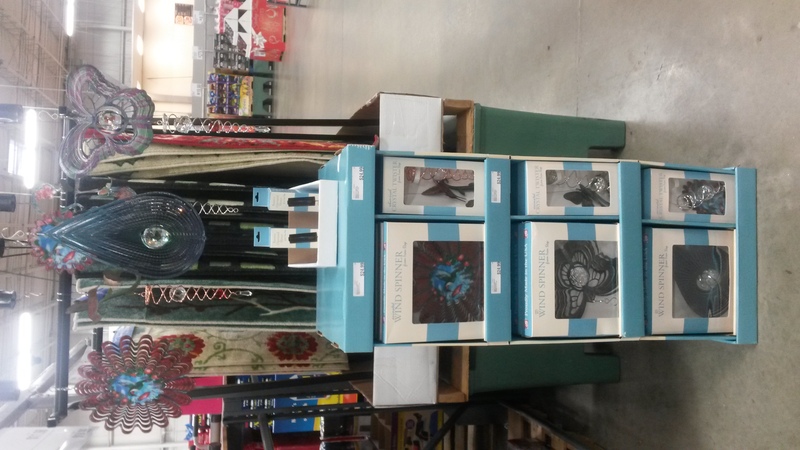 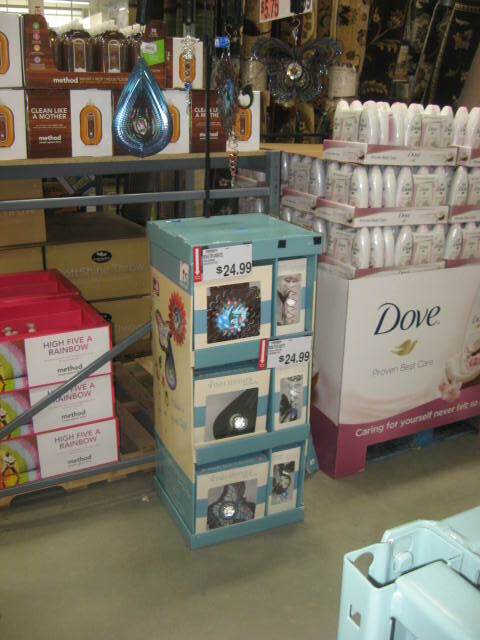 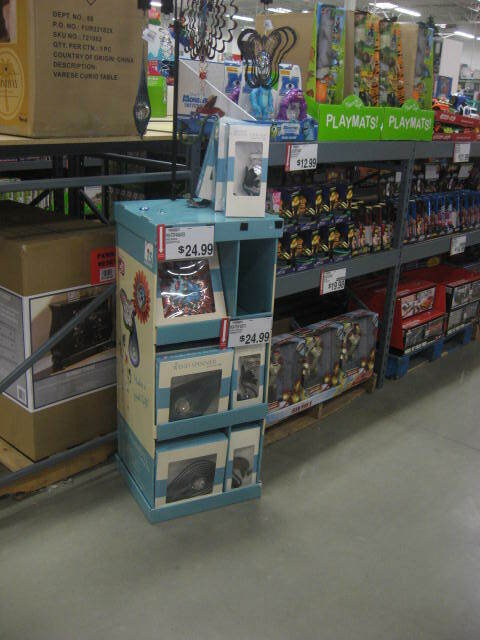 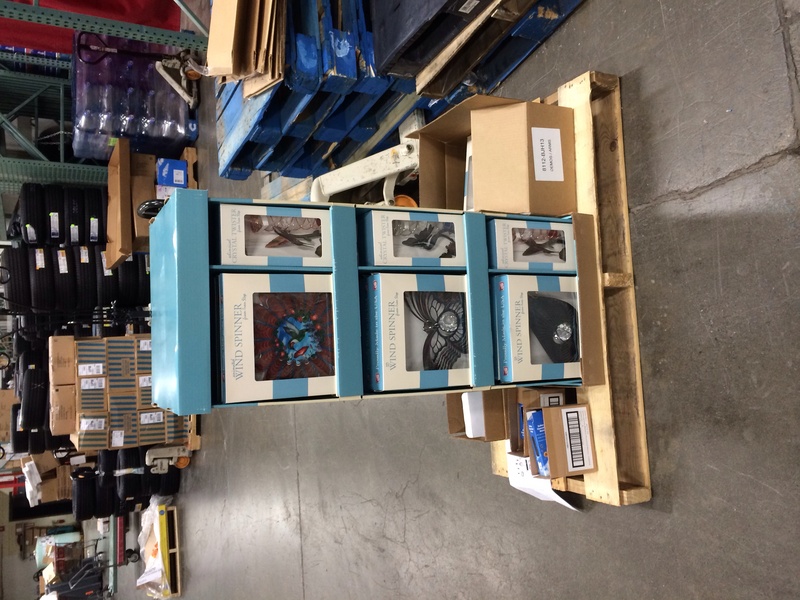 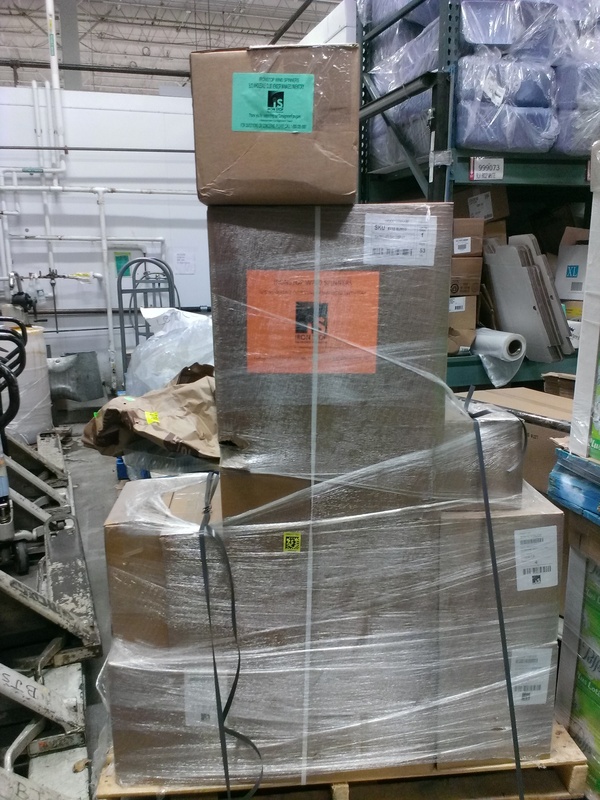 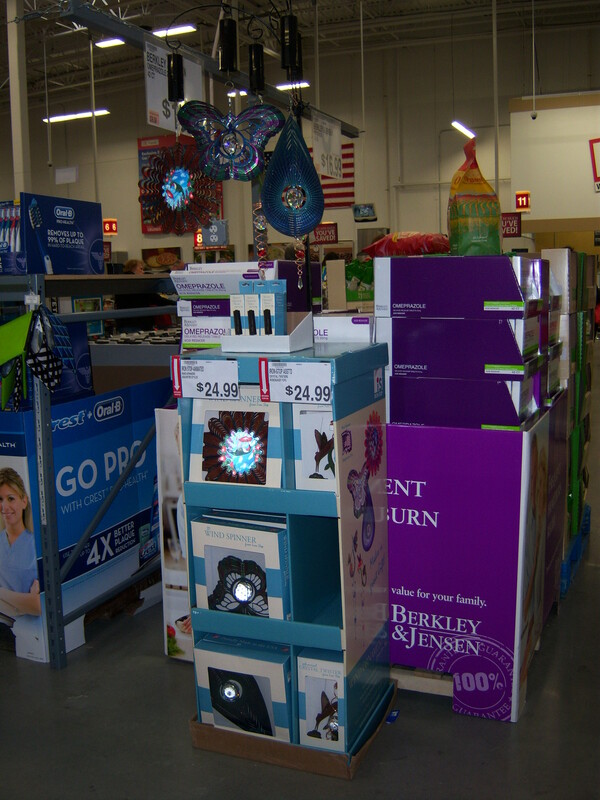 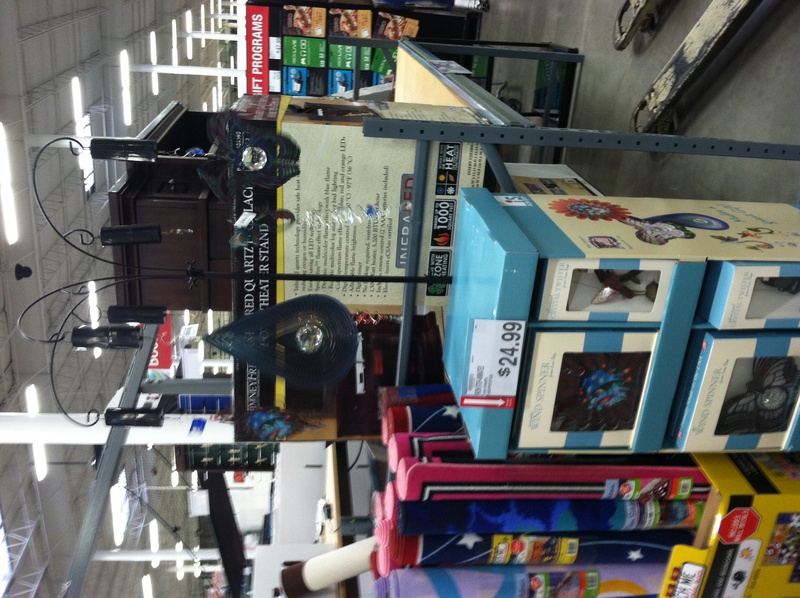 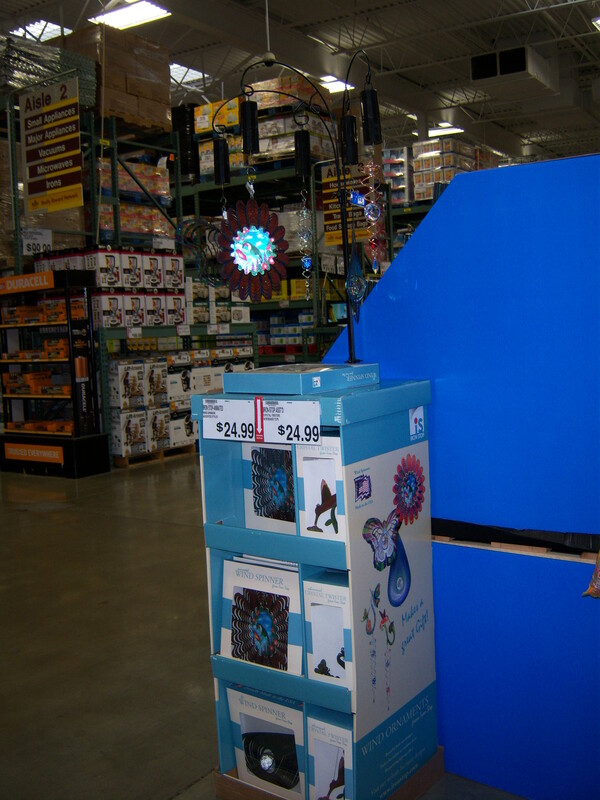 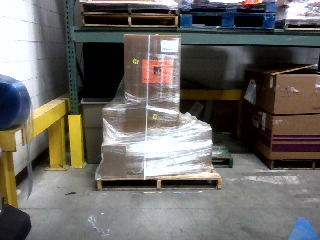 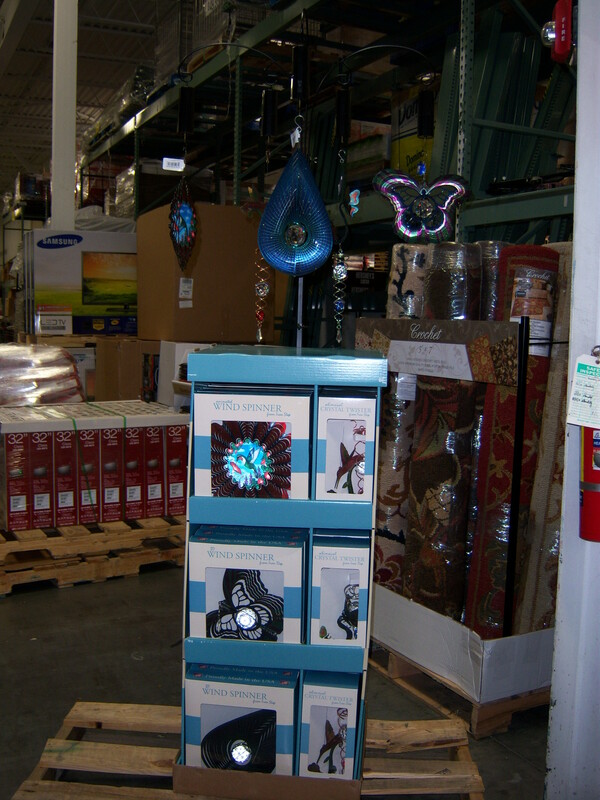 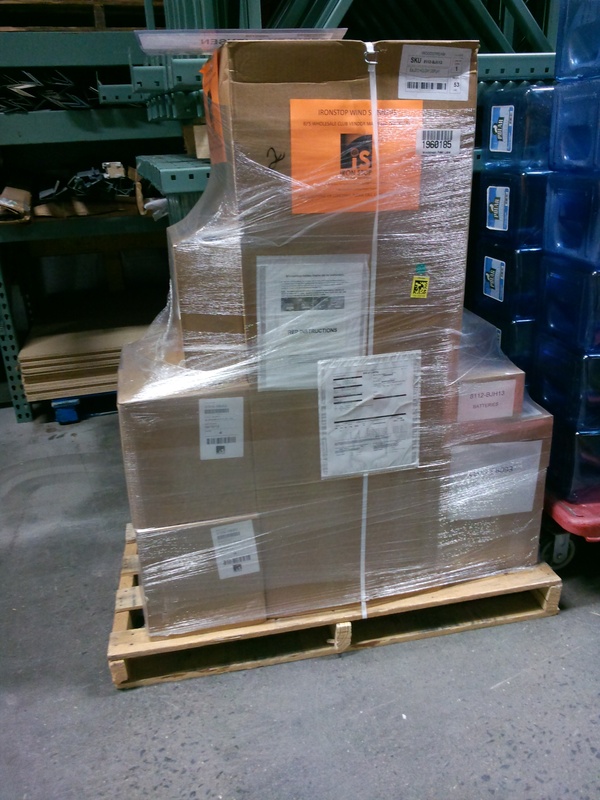 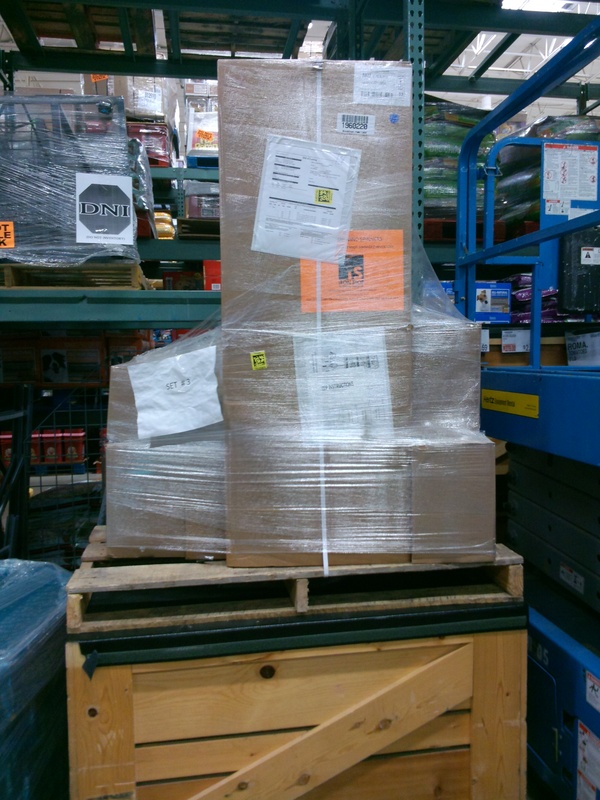 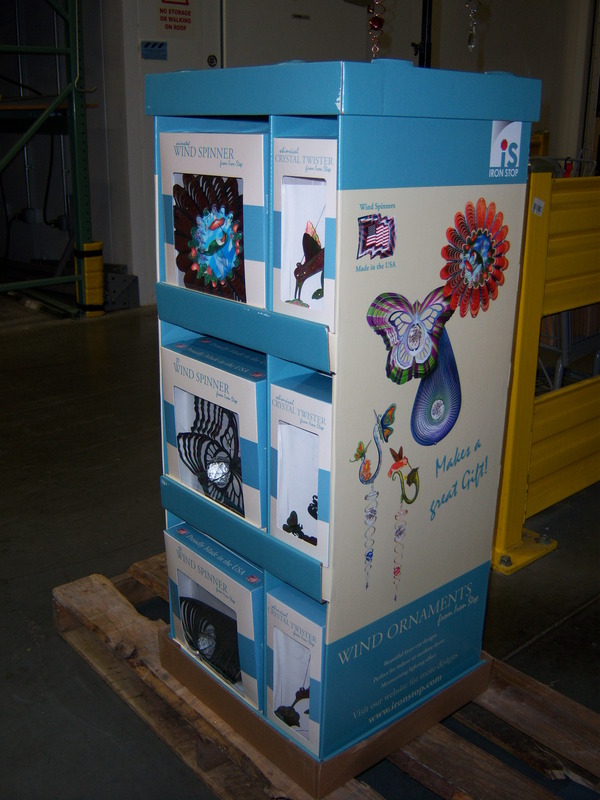 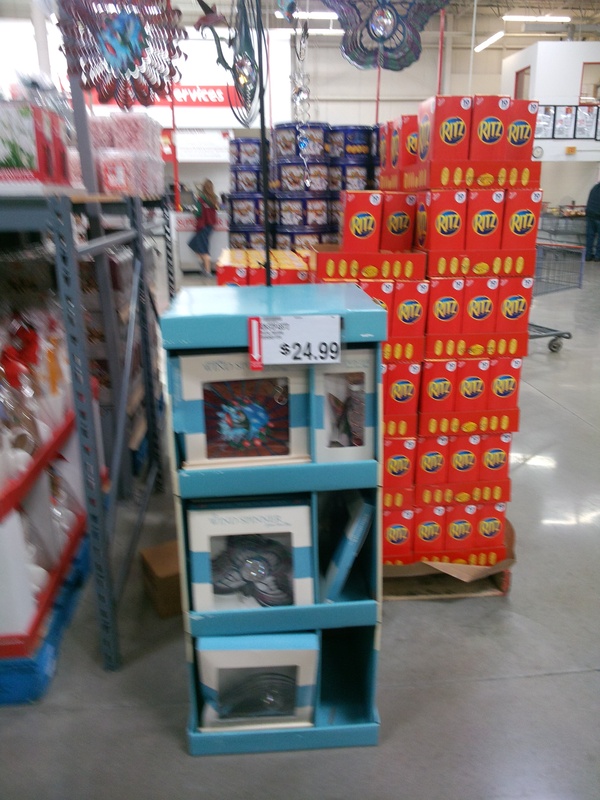 Upon arrival the display was still boxed and shrink wrapped on a pallet. 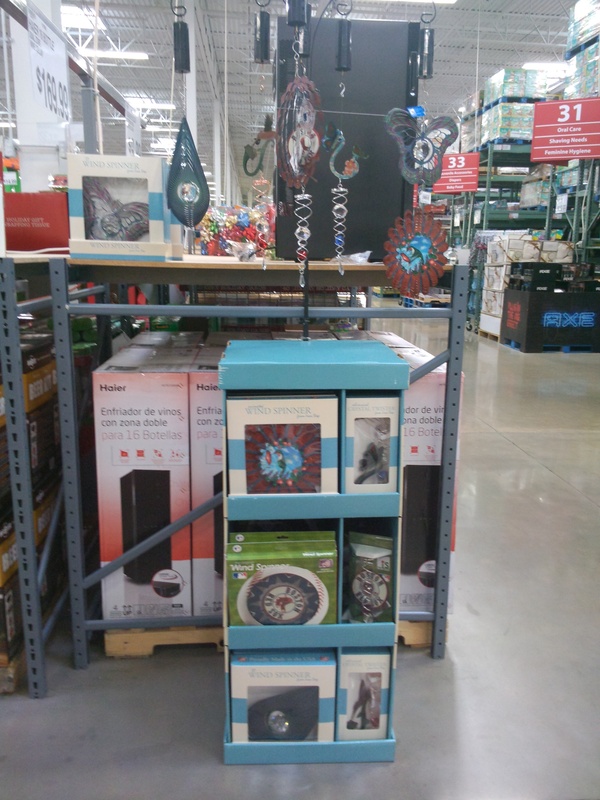 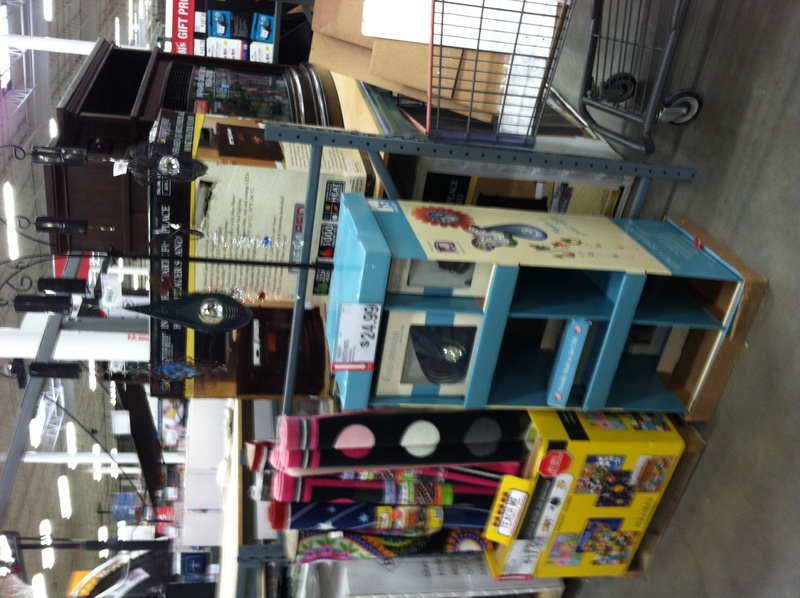 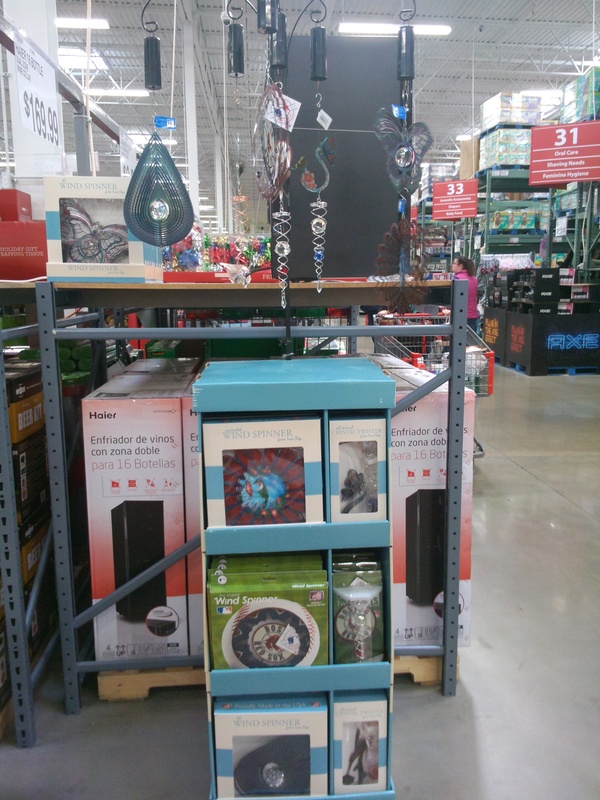 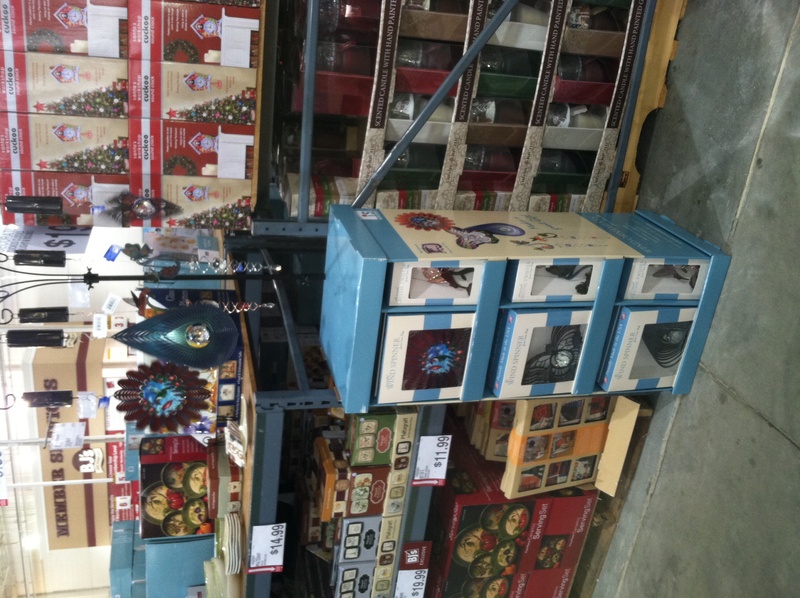 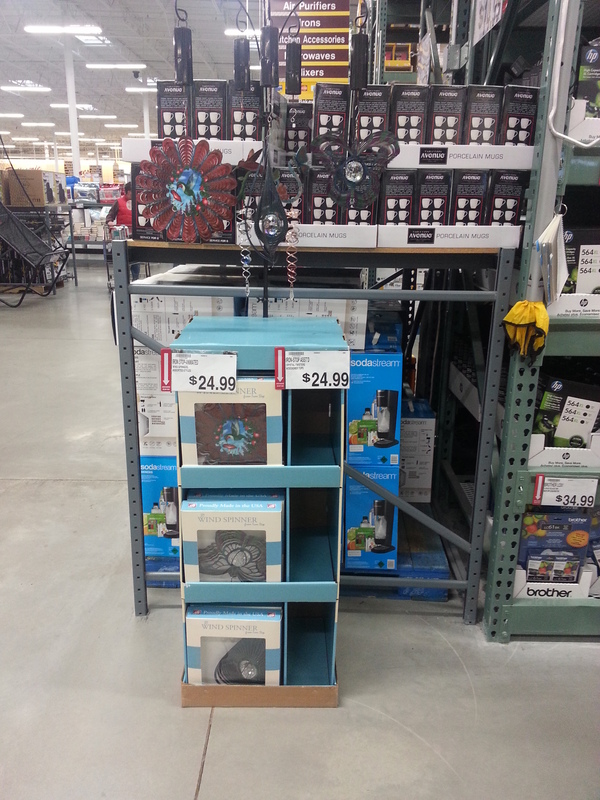 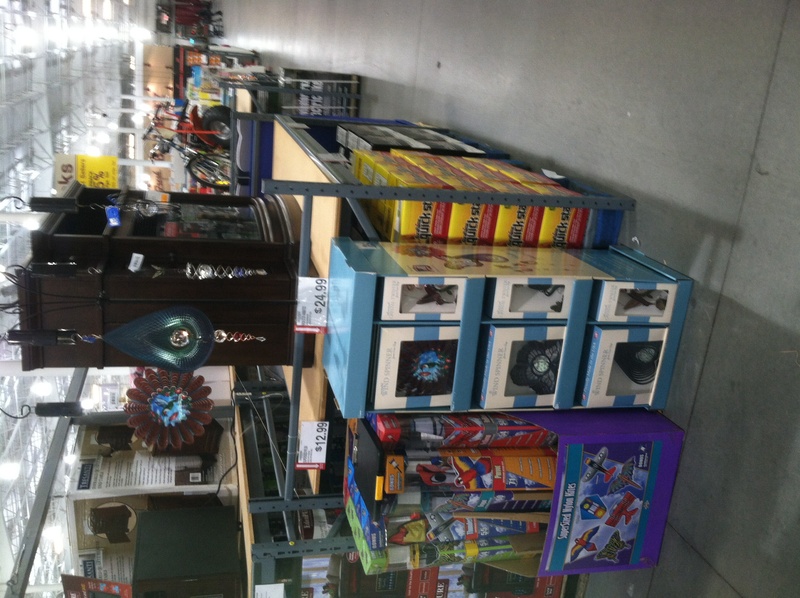 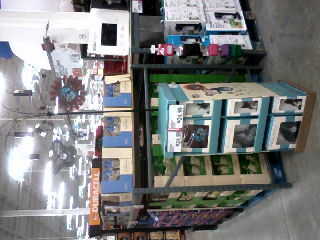 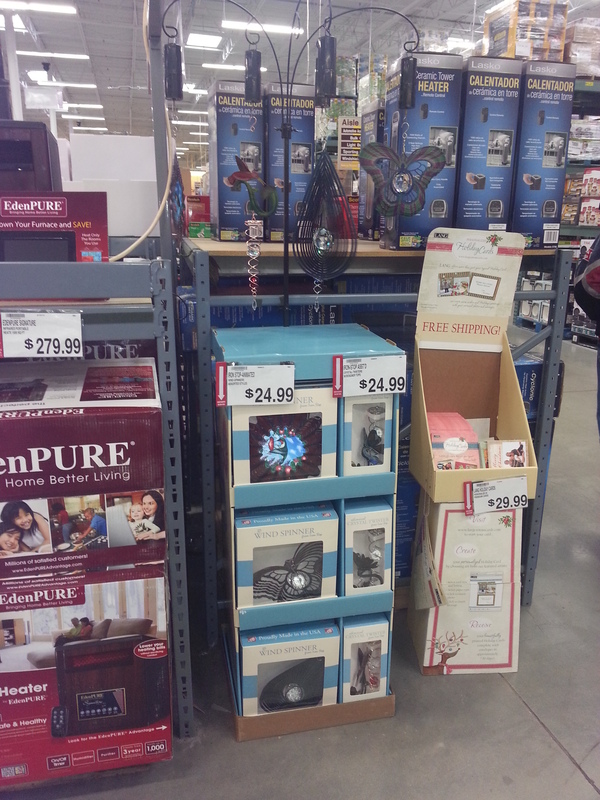 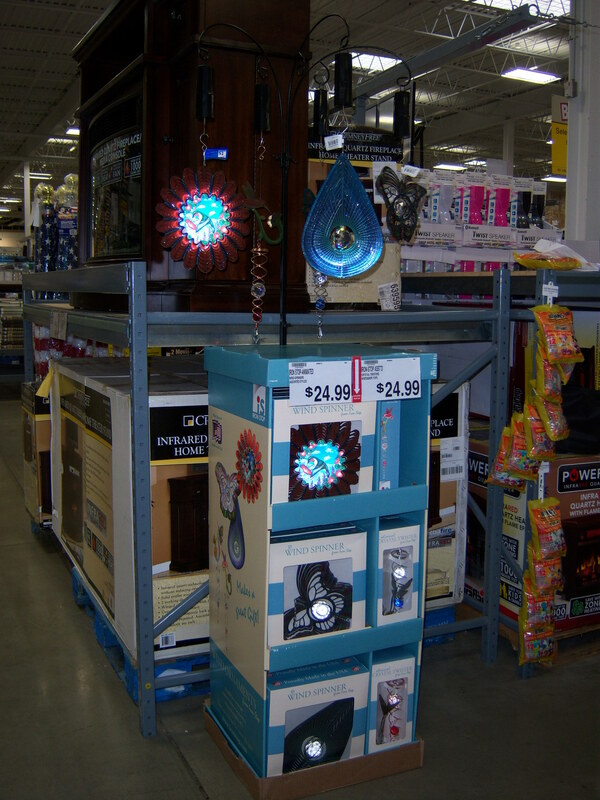 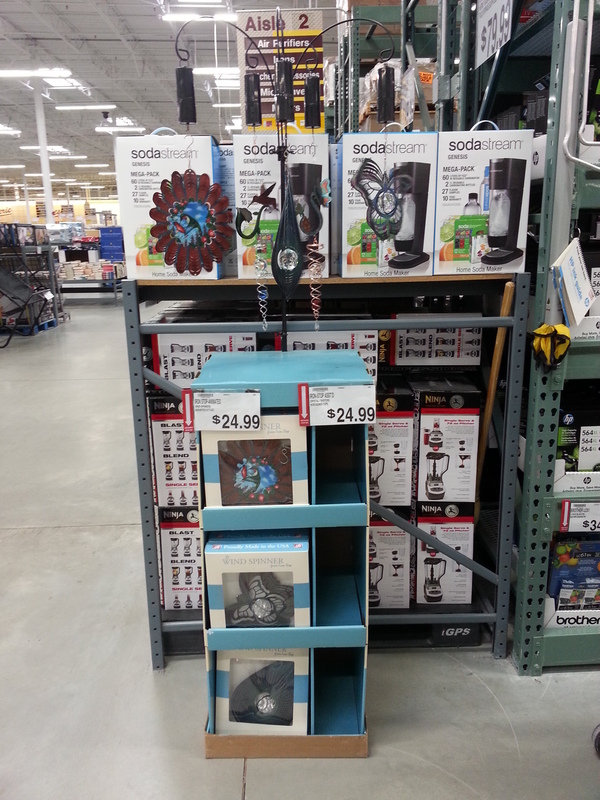 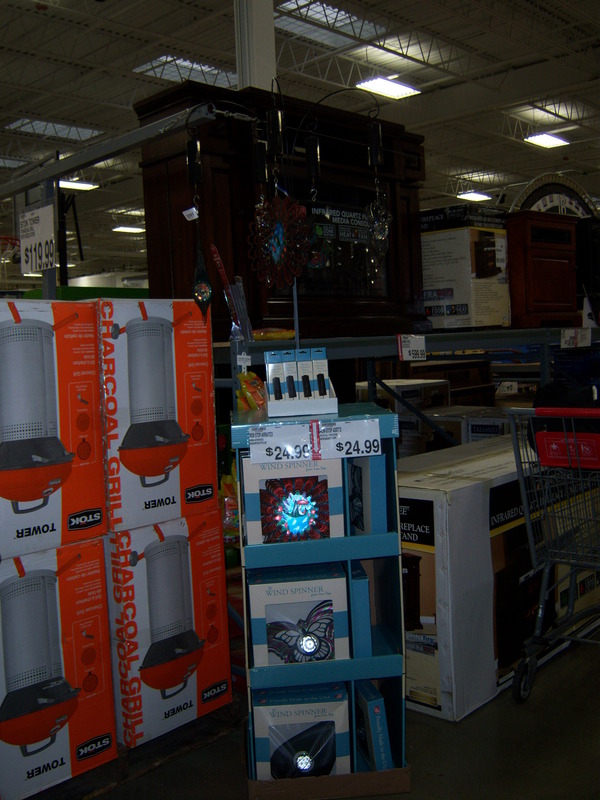 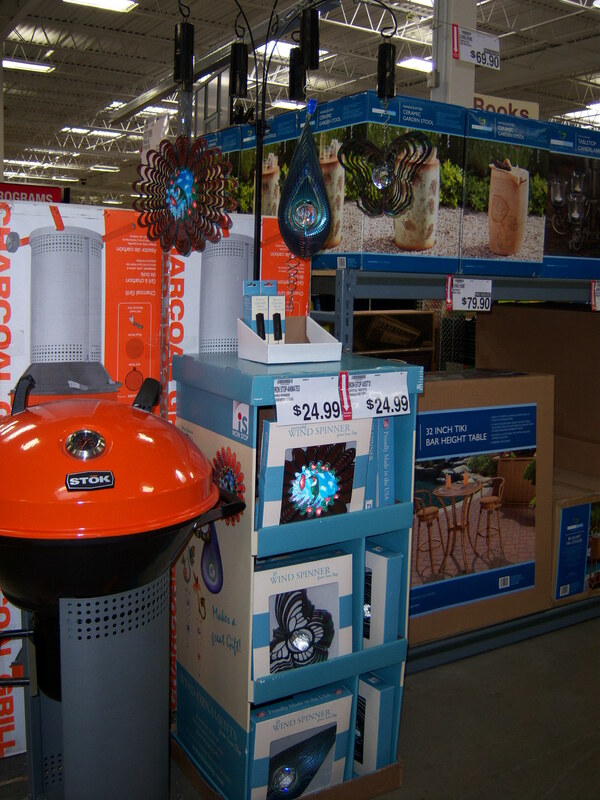 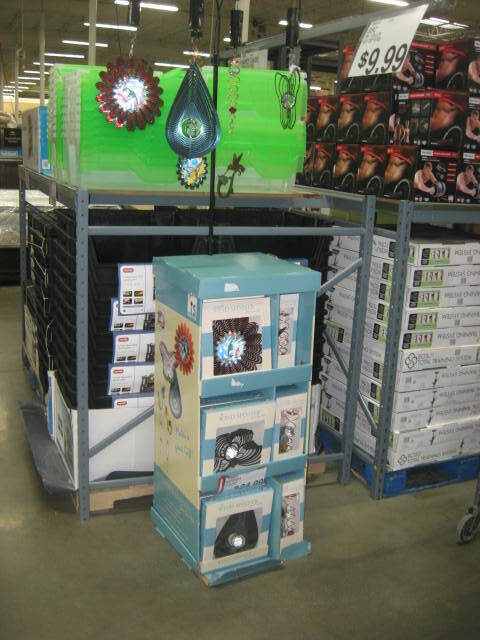 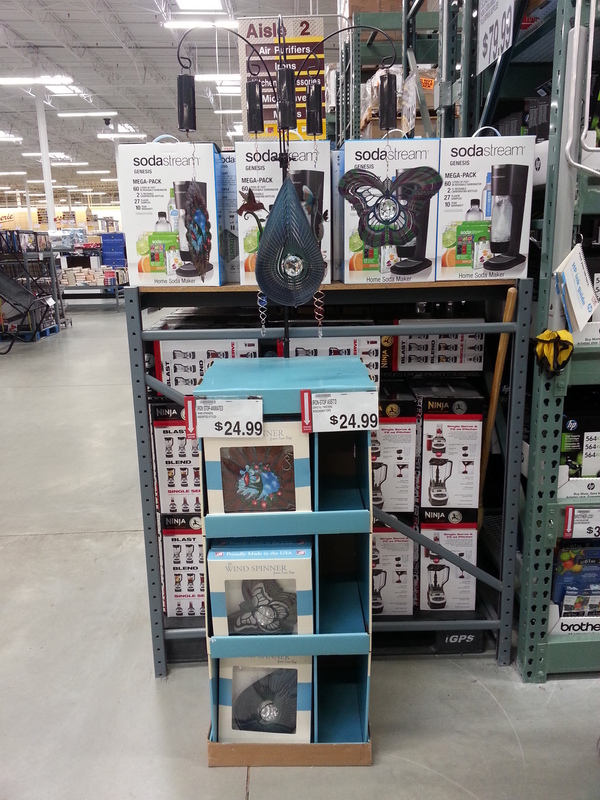 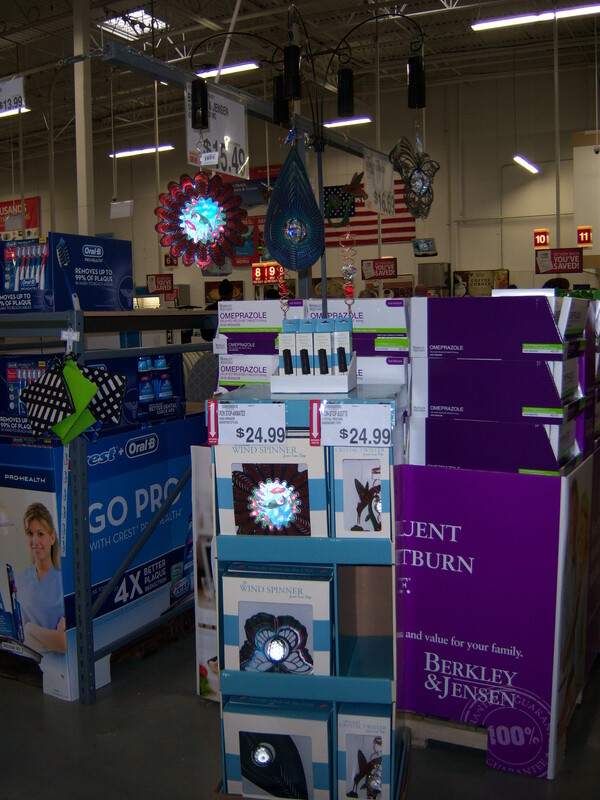 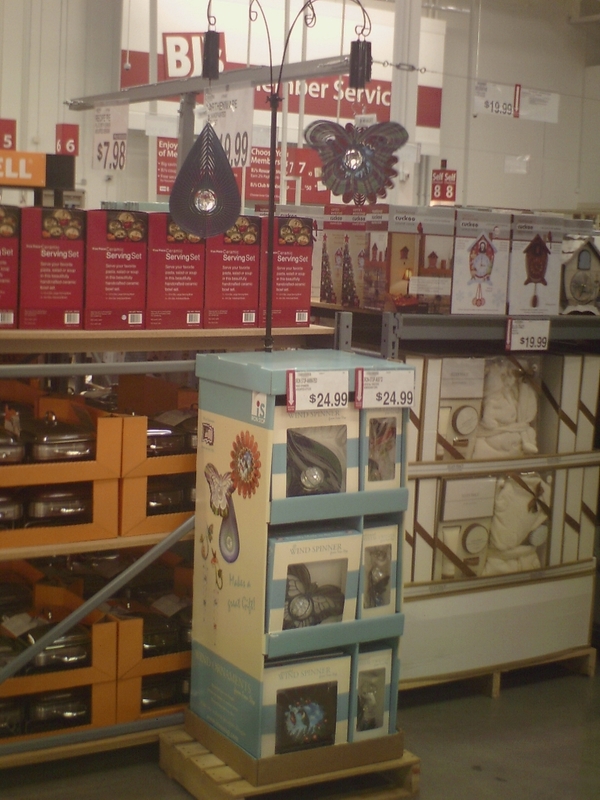 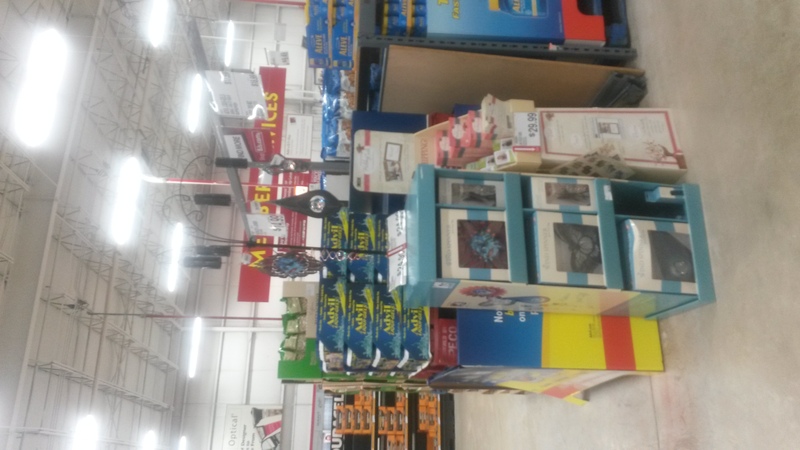 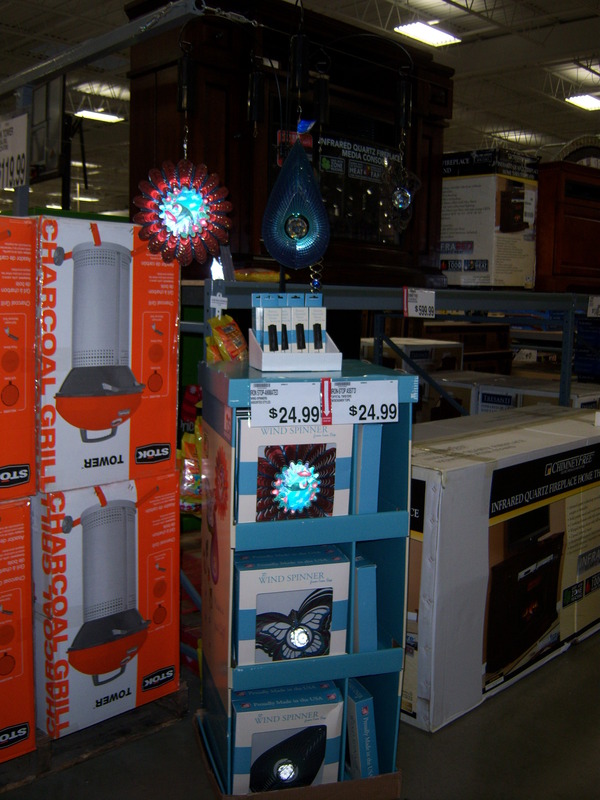 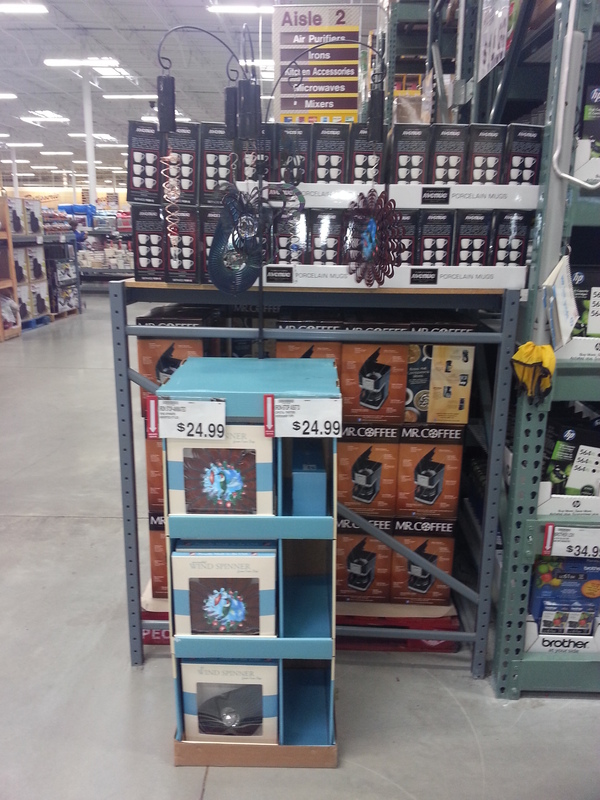 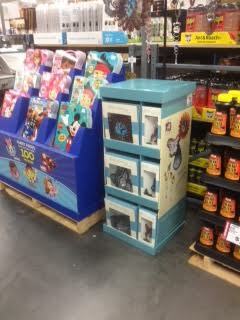 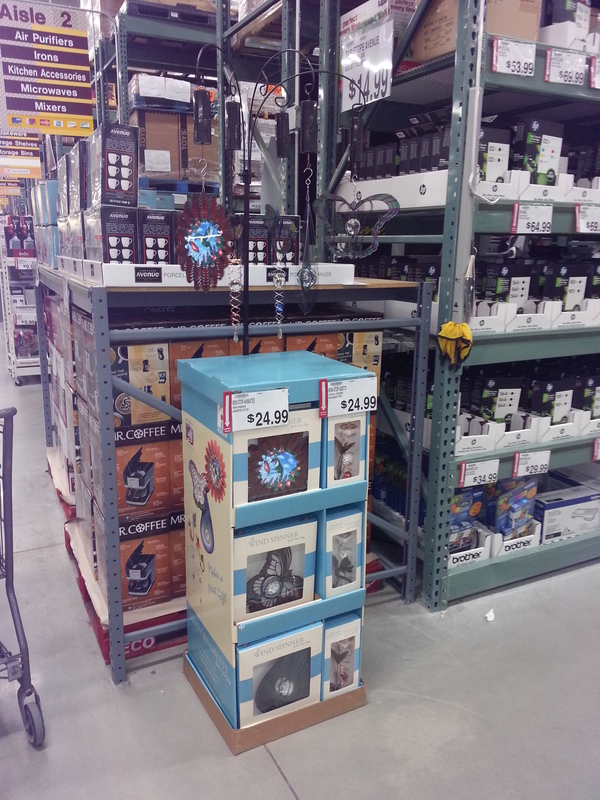 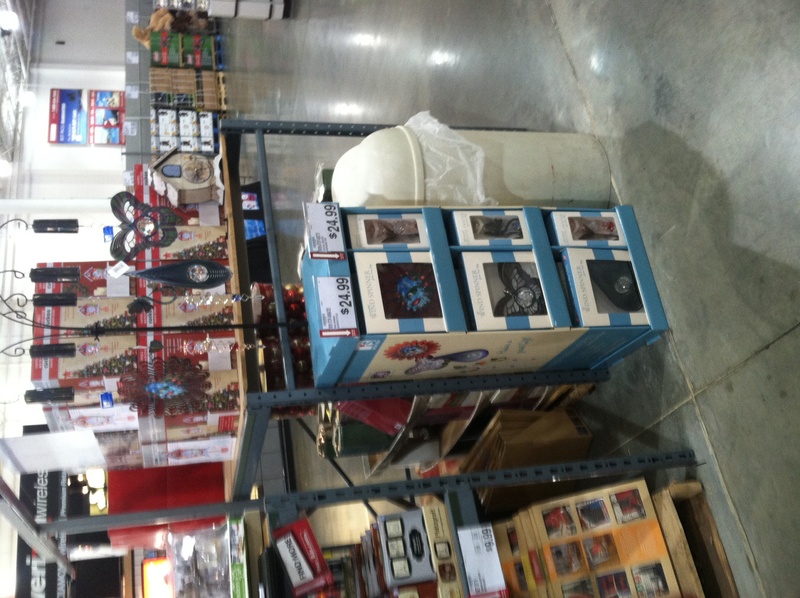 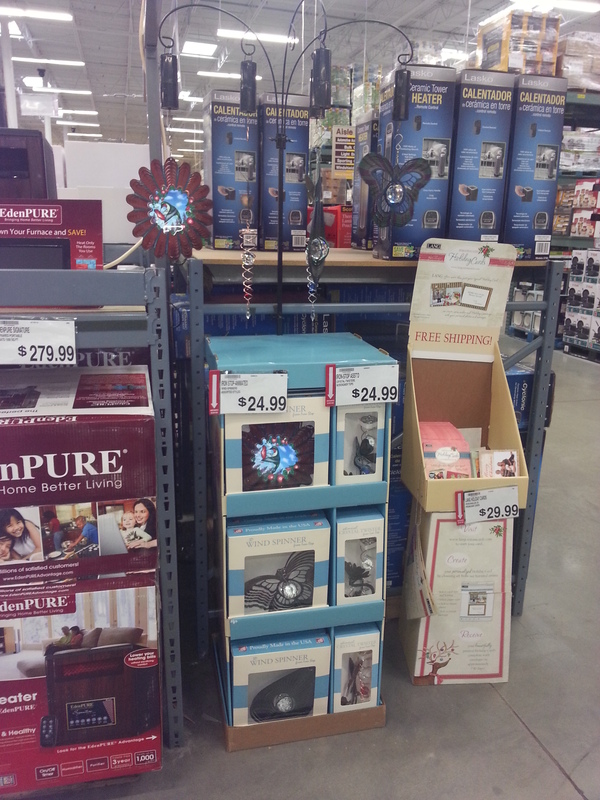 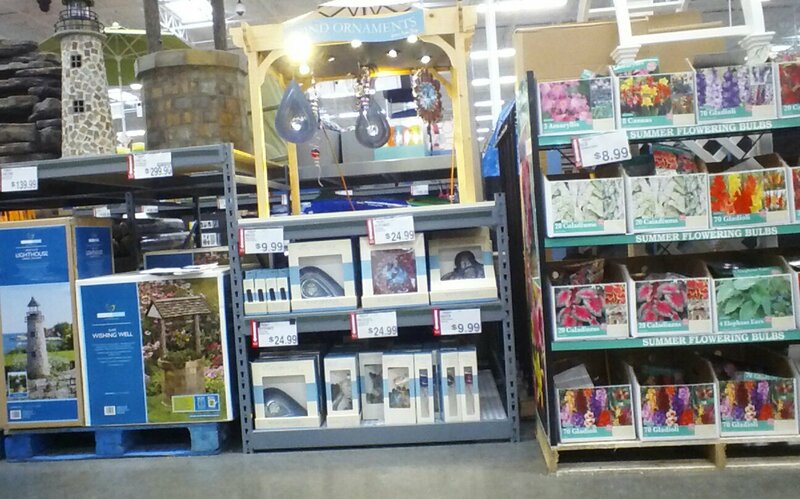 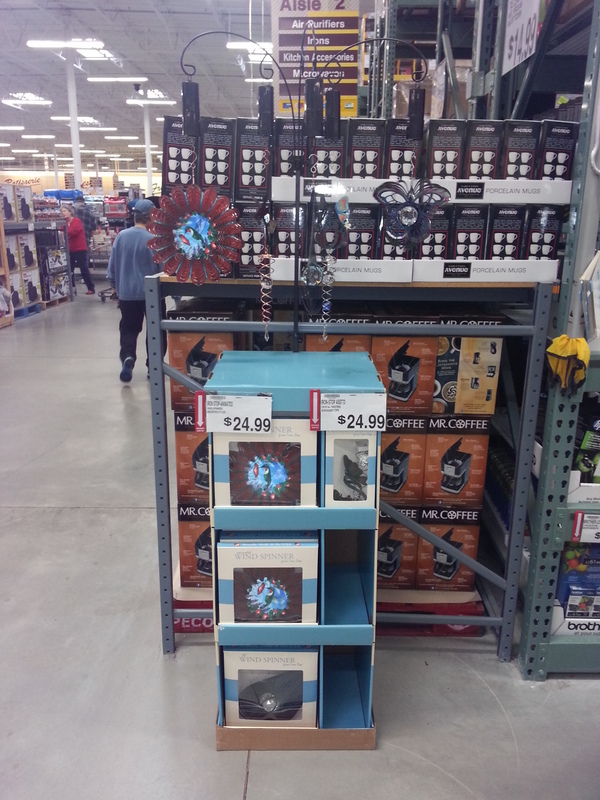 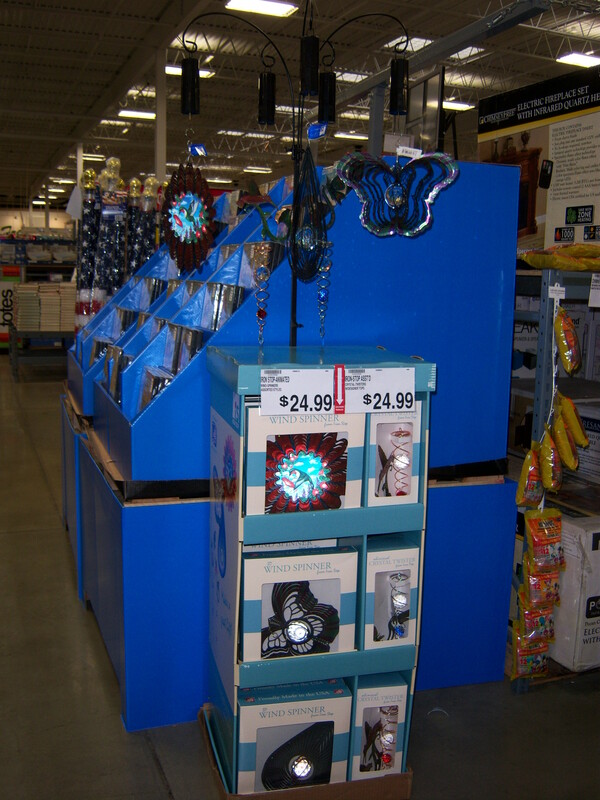 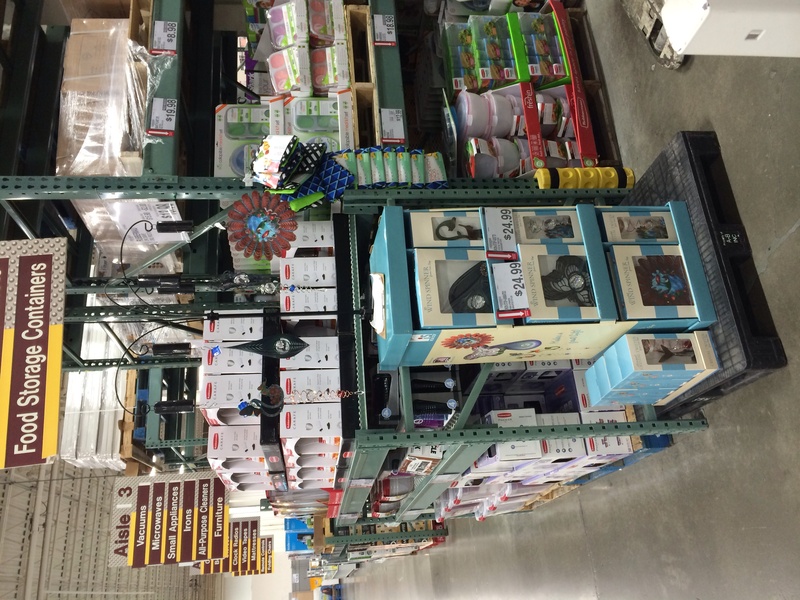 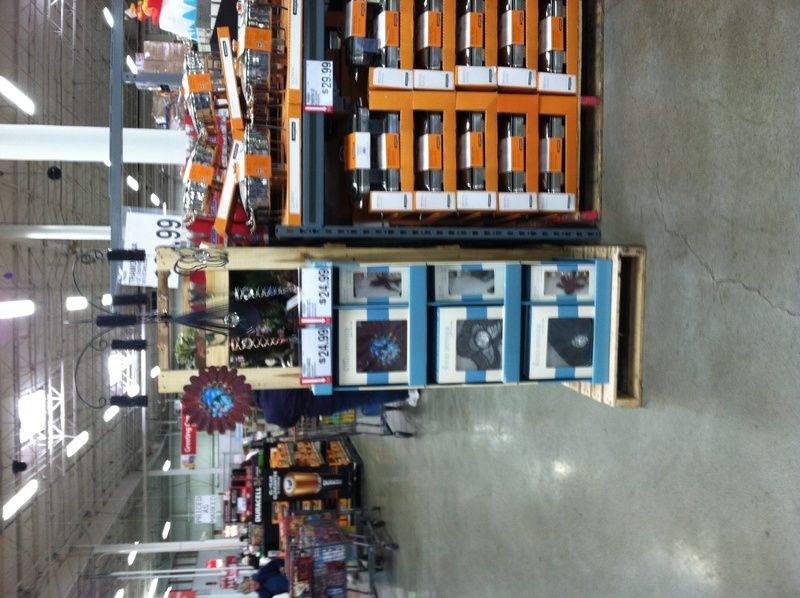 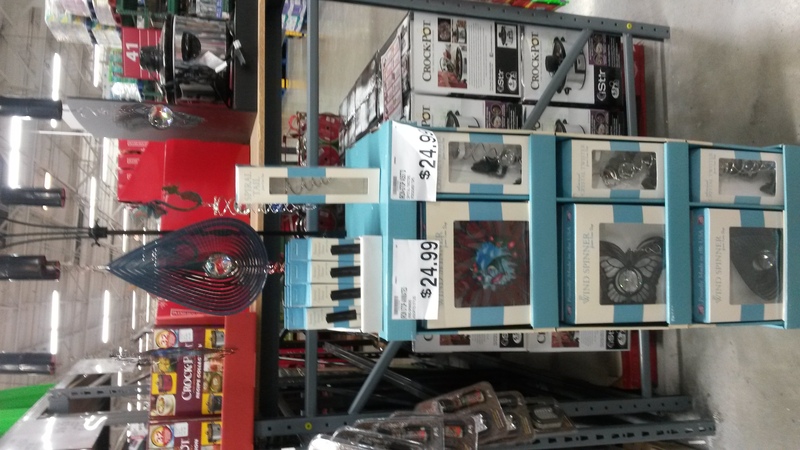 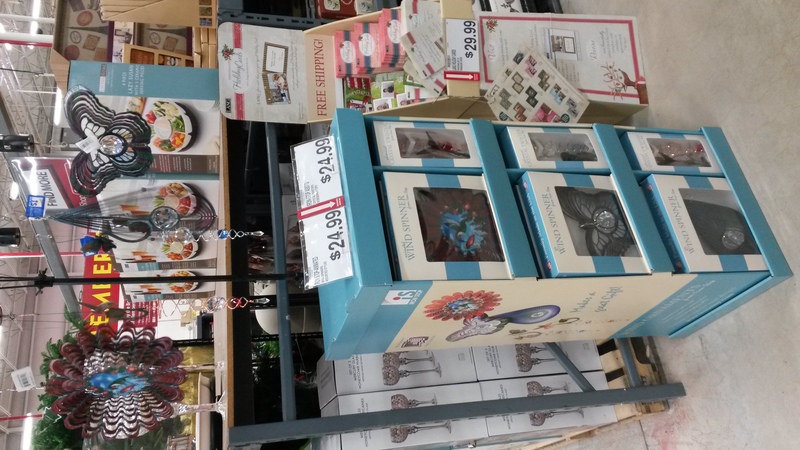 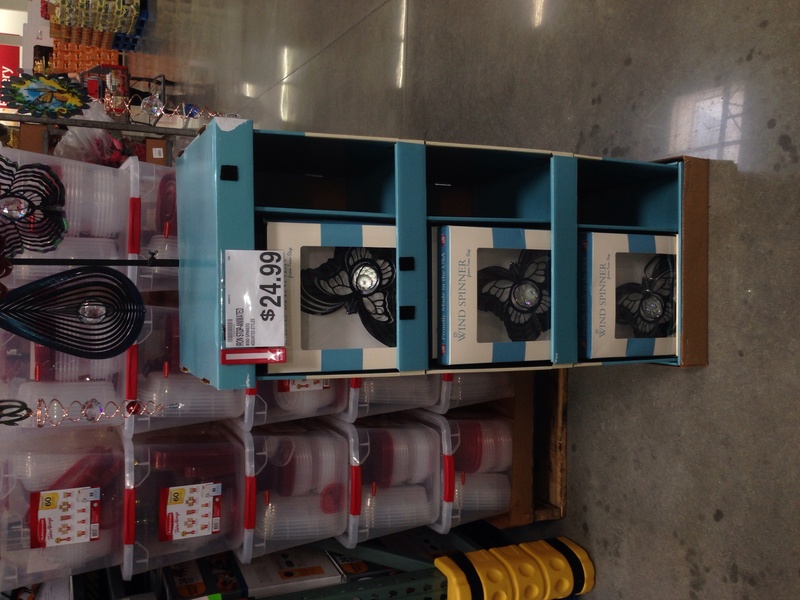 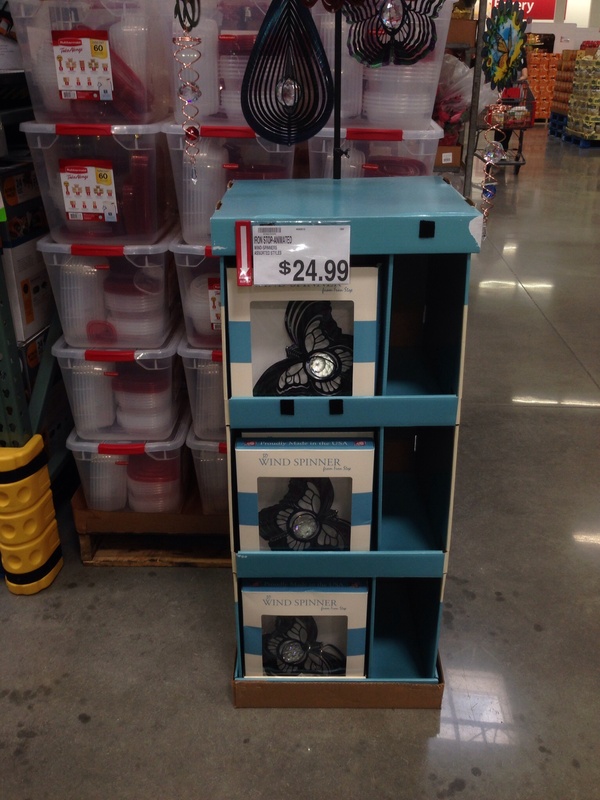 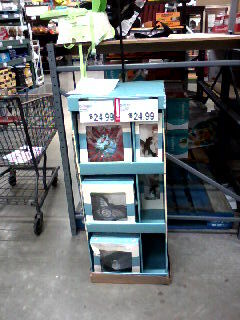 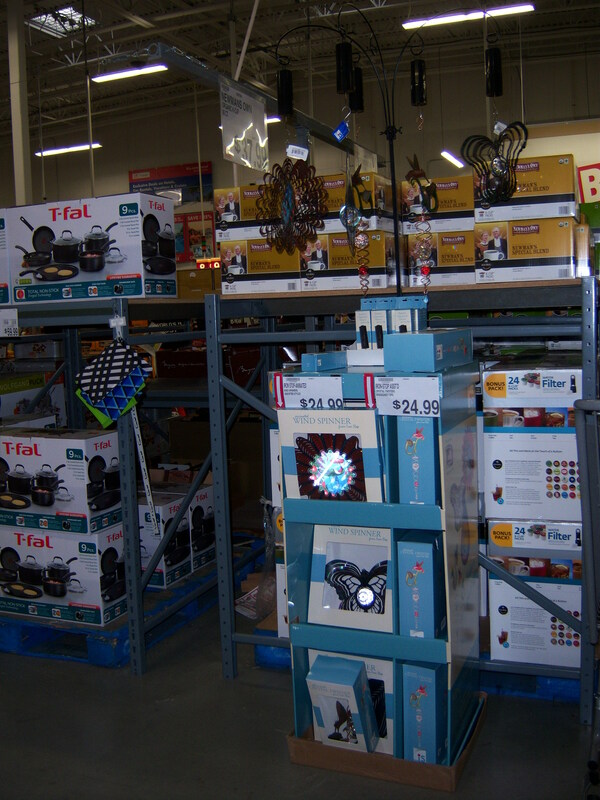 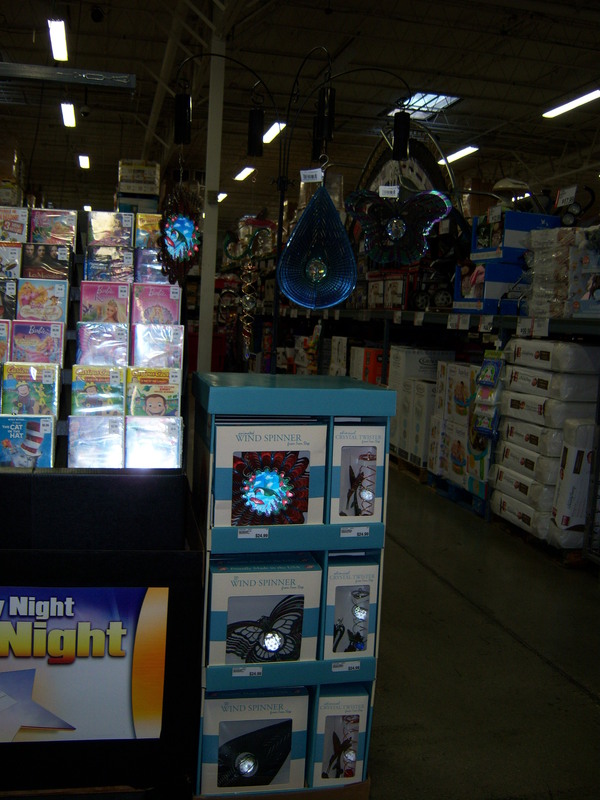 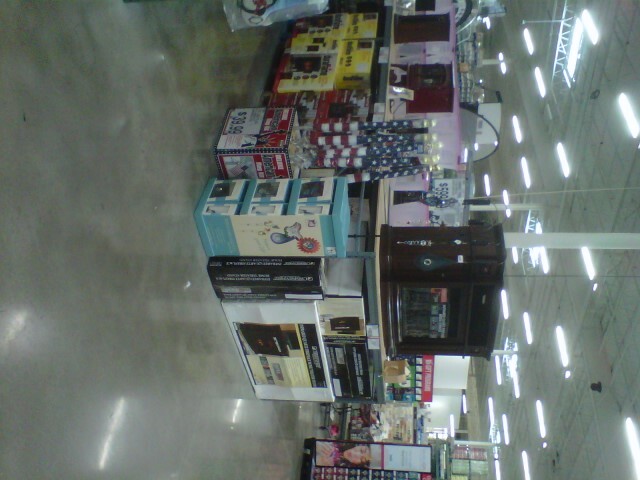 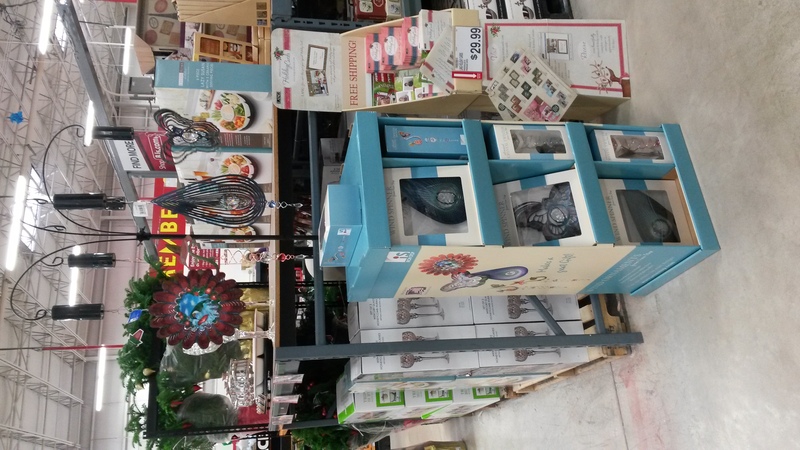 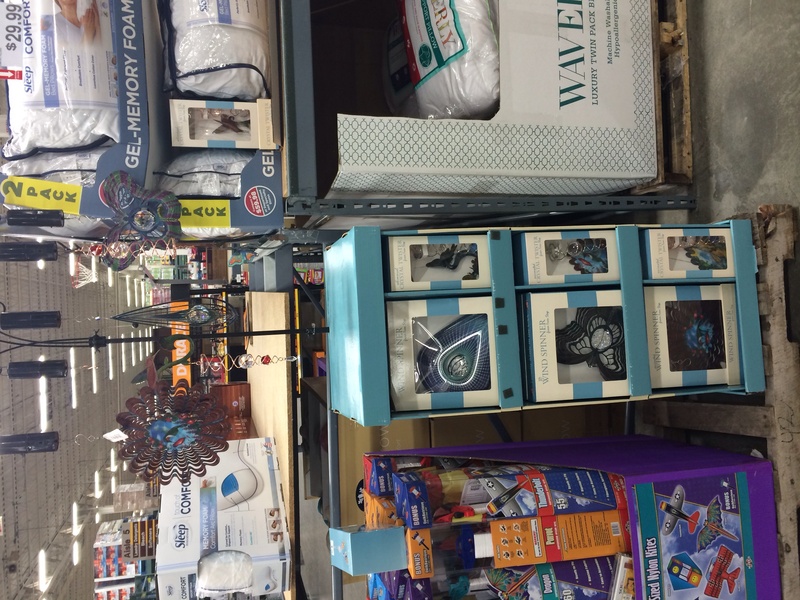 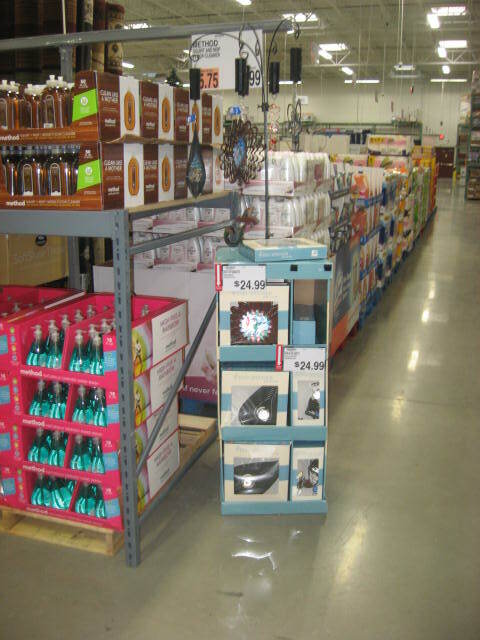 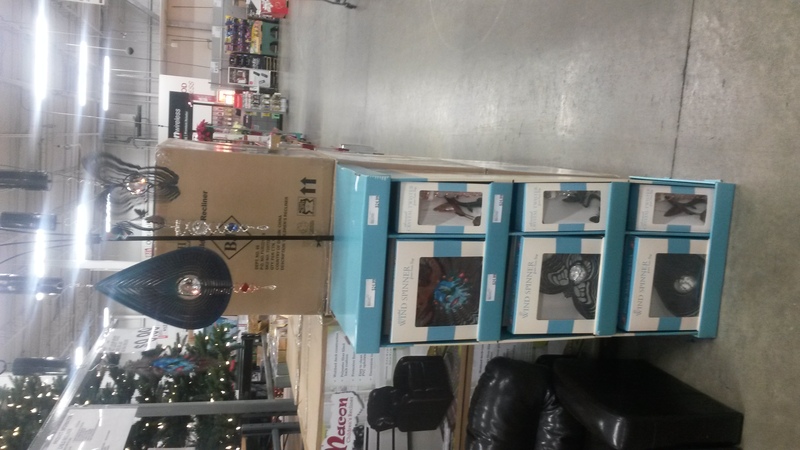 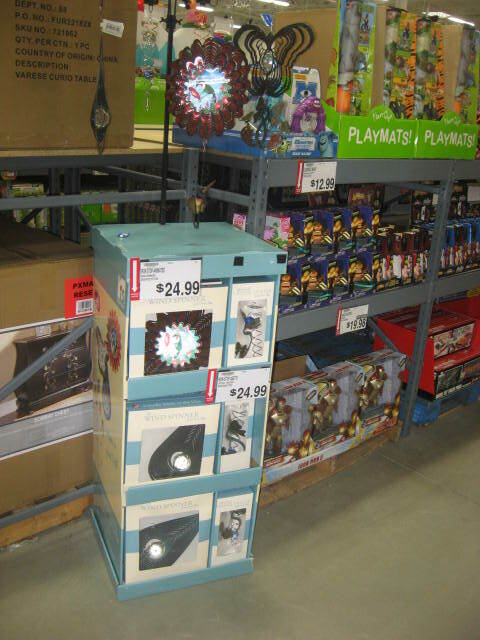 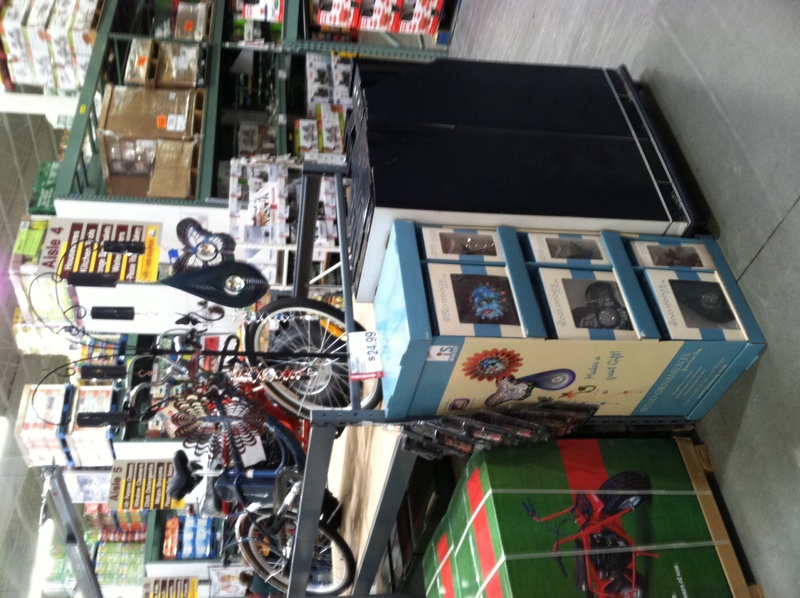 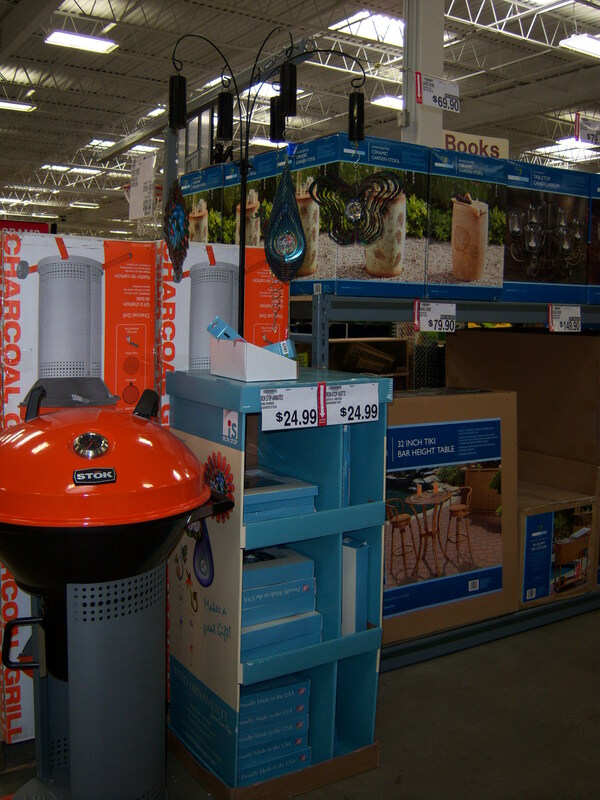 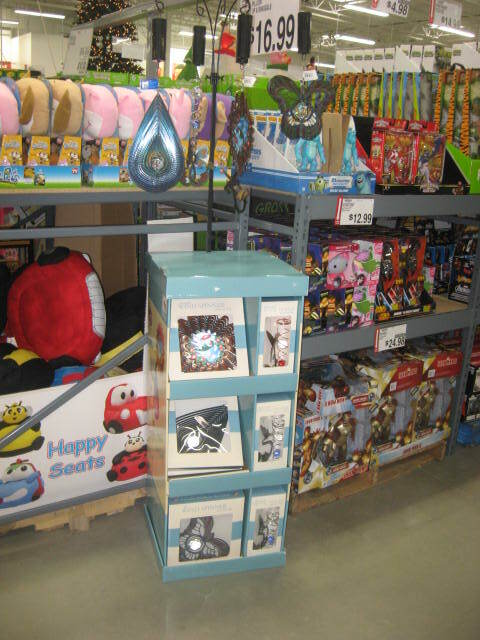 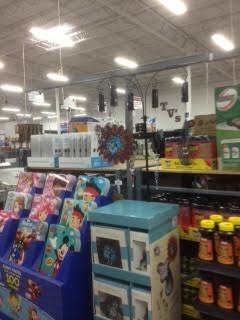 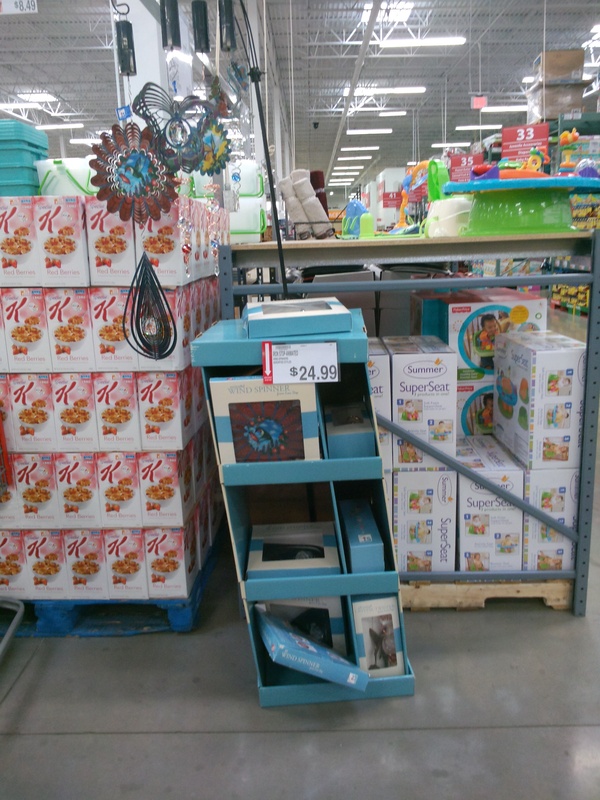 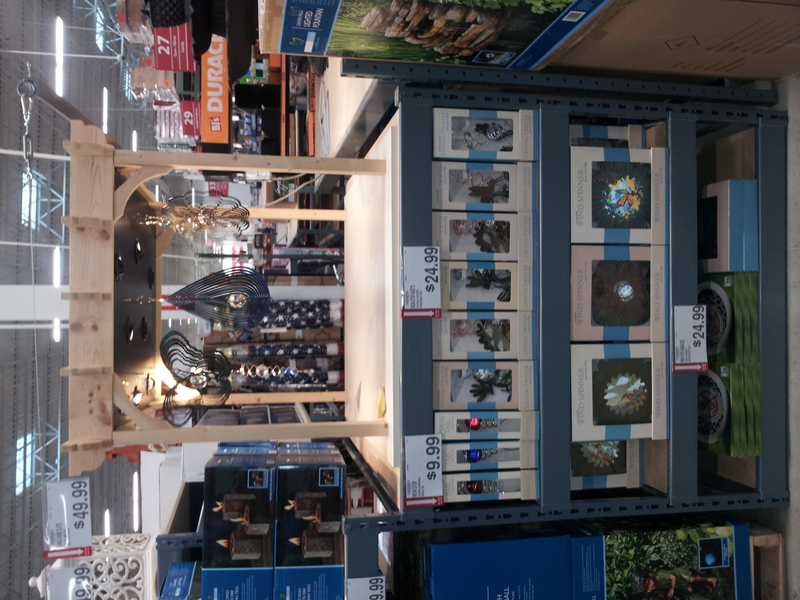 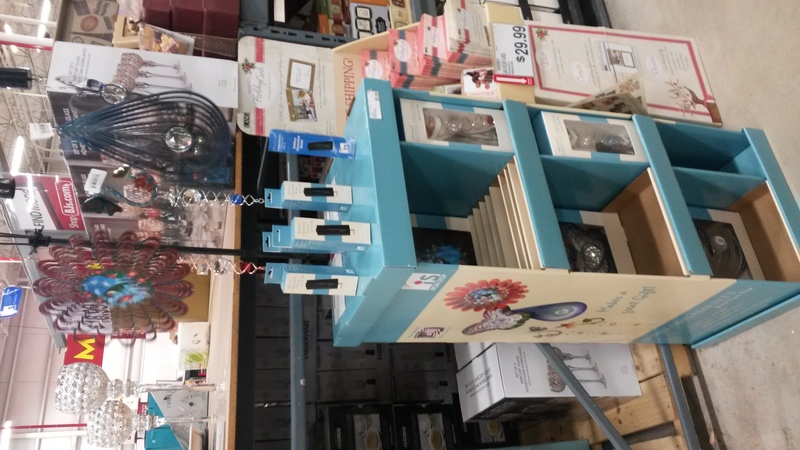 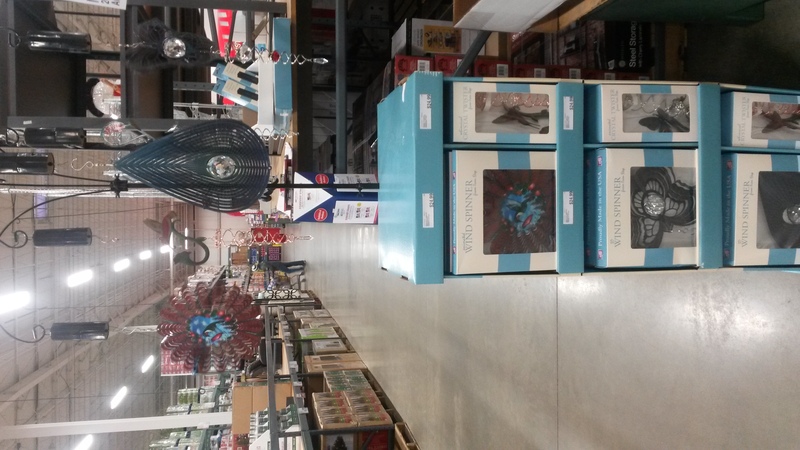 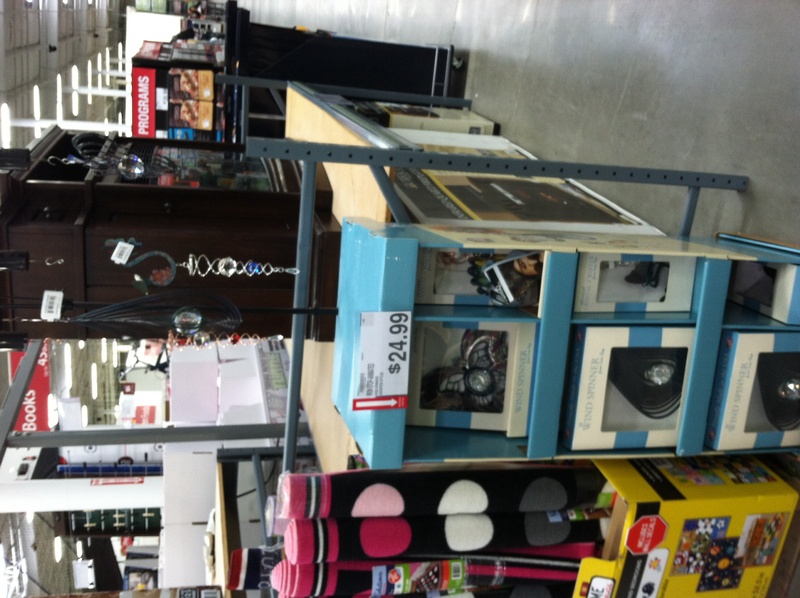 I was able to place the display in seasonal by an endcap off the main aisle; great visibility. 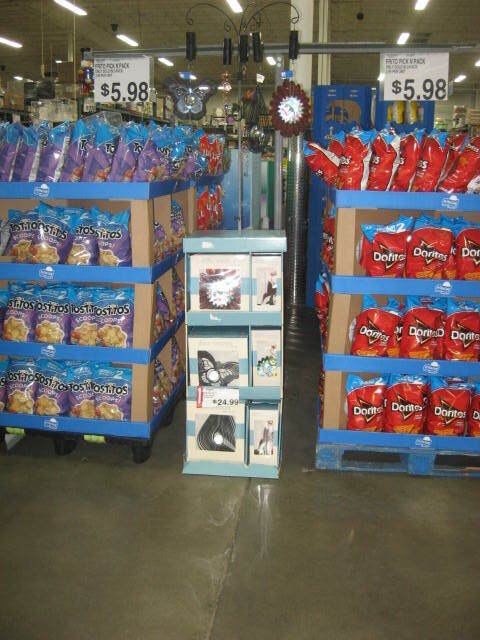 I also was able to have the mngr print out price signage to place on display.